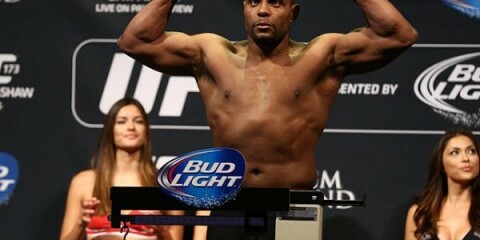 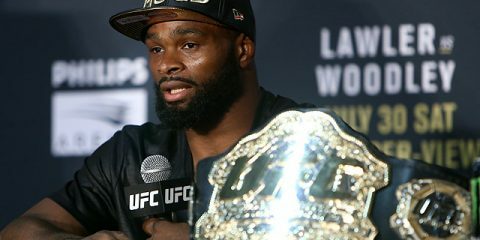 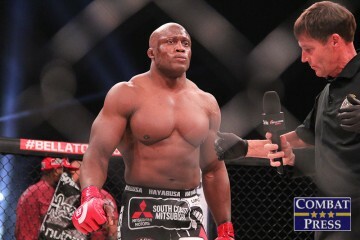 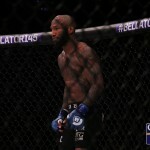 UFC Fans: Team Tyron or Team Colby? 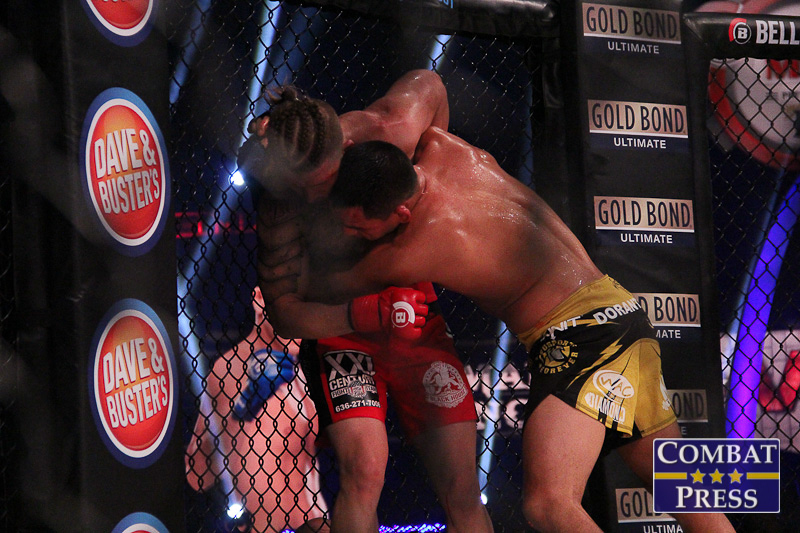 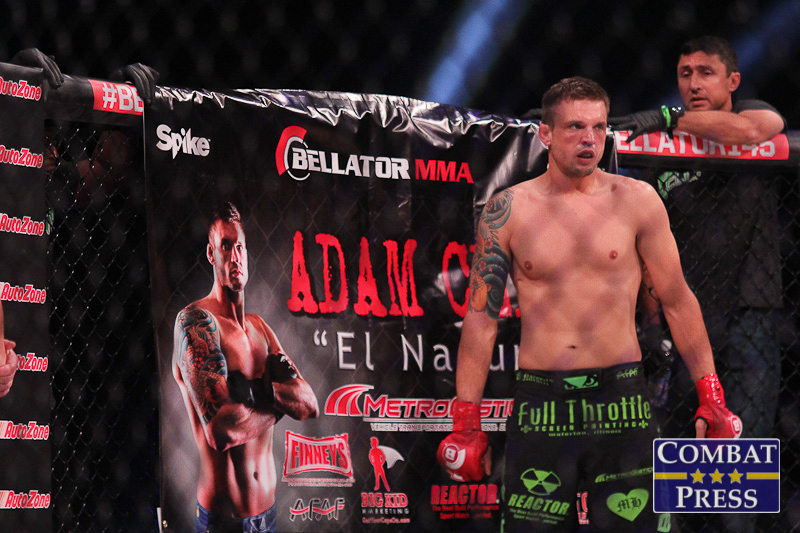 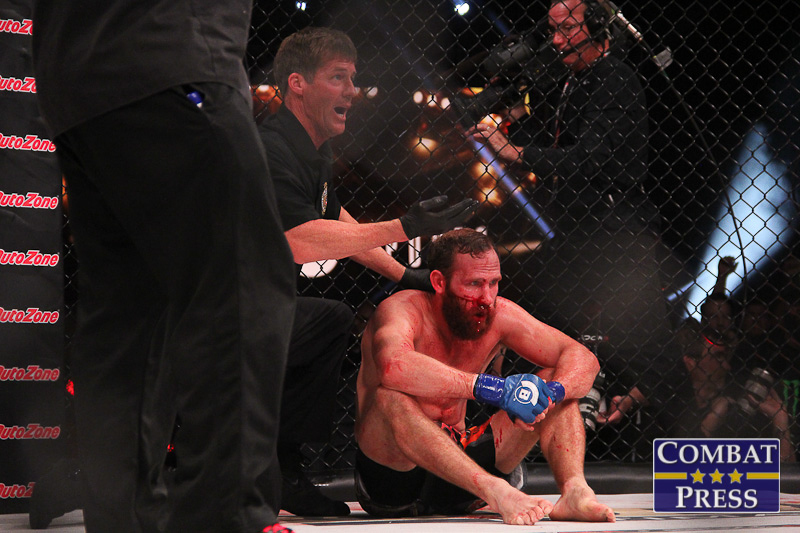 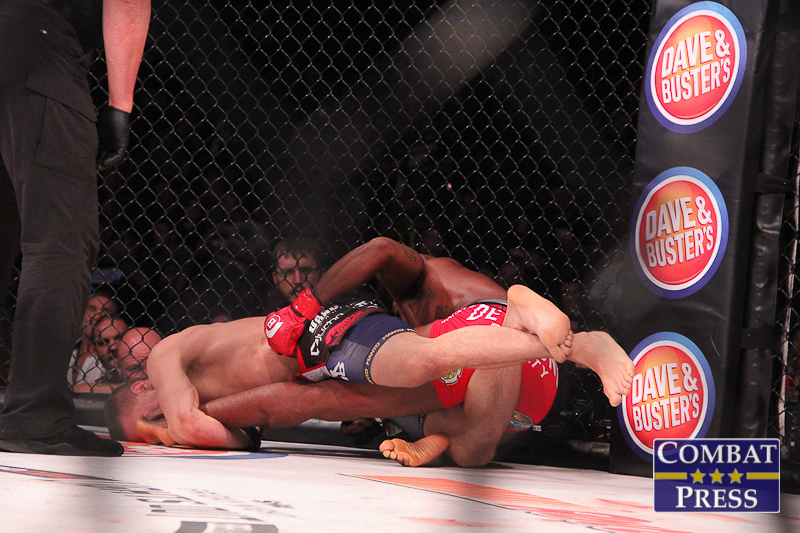 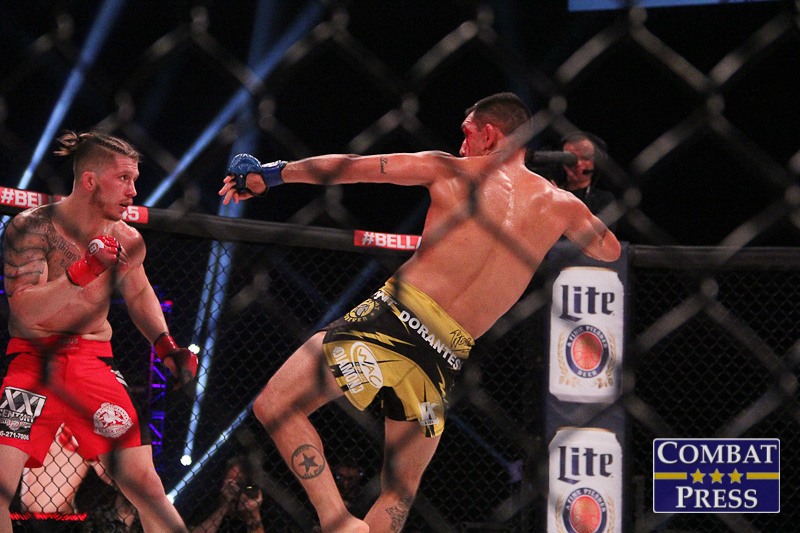 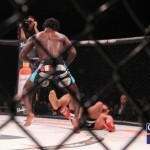 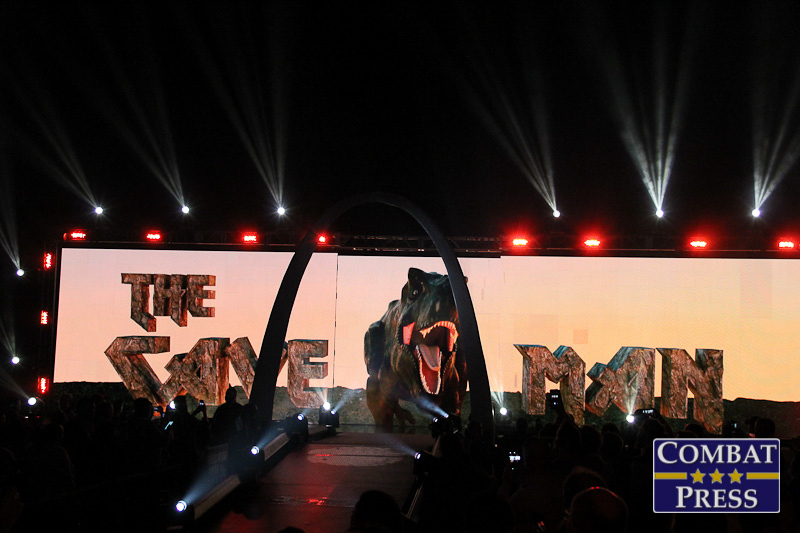 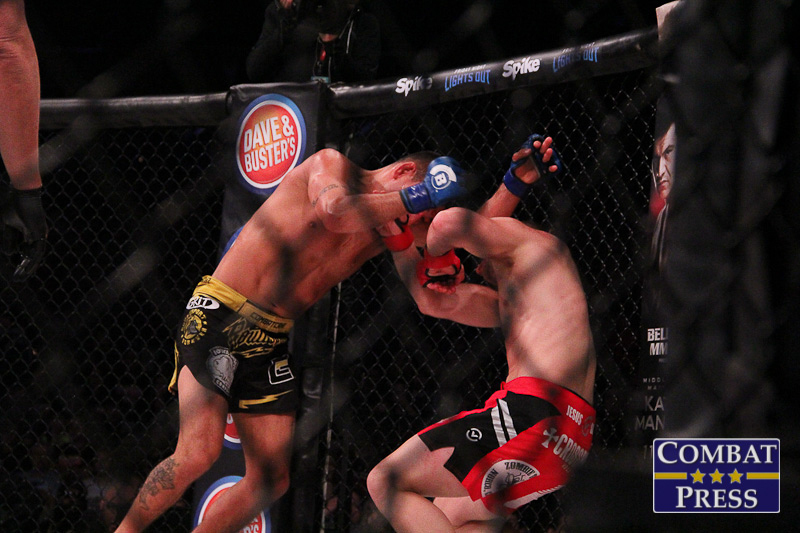 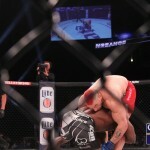 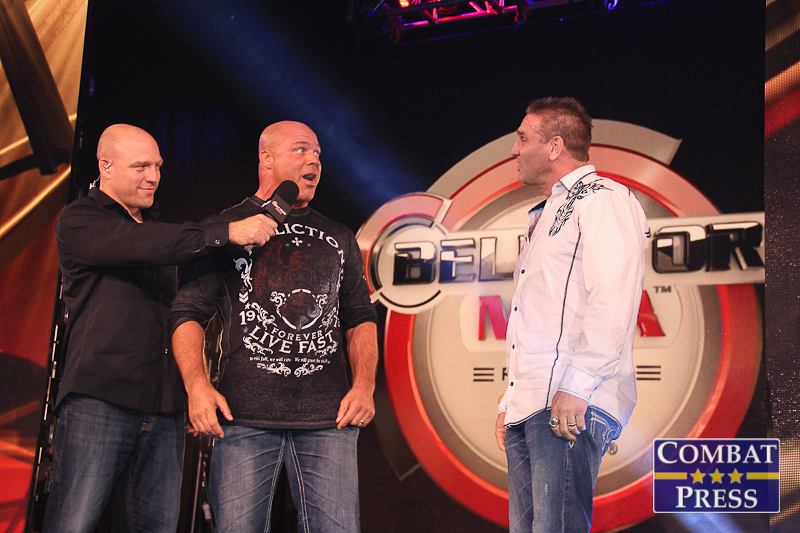 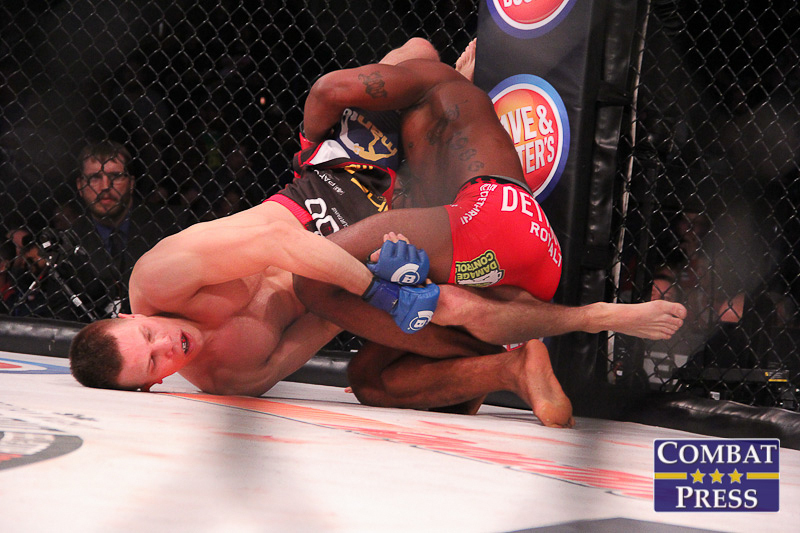 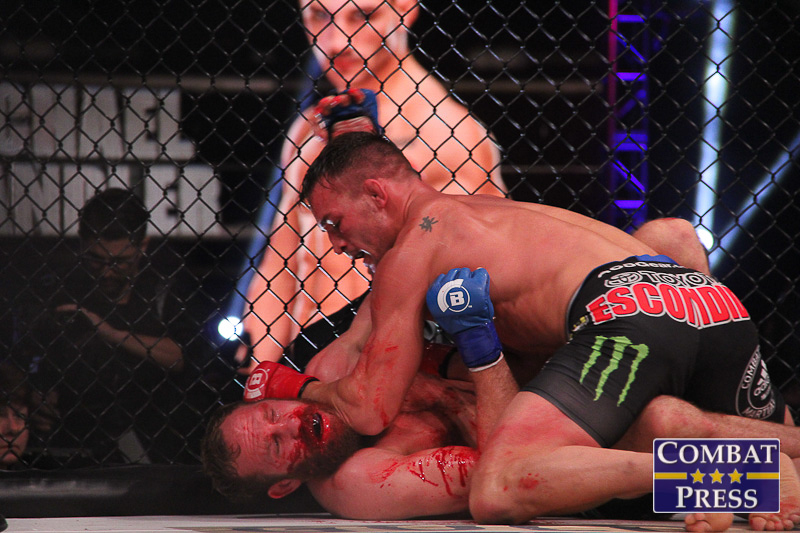 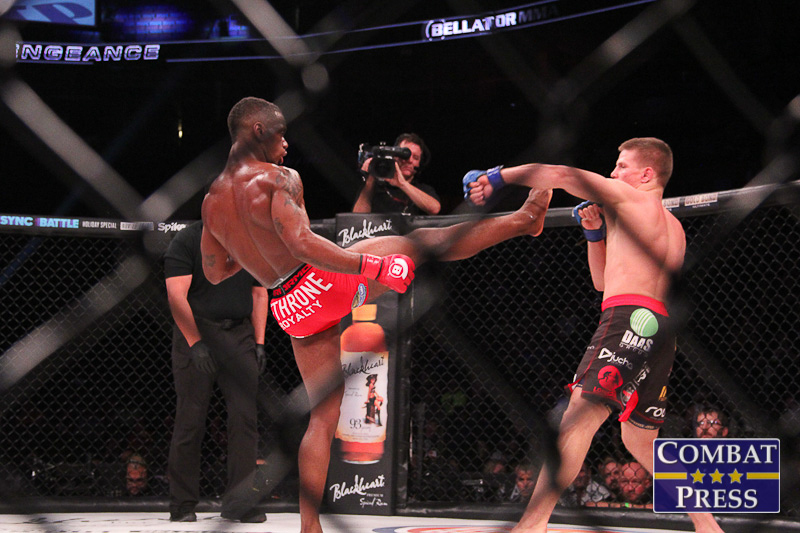 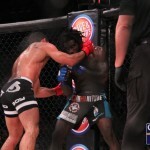 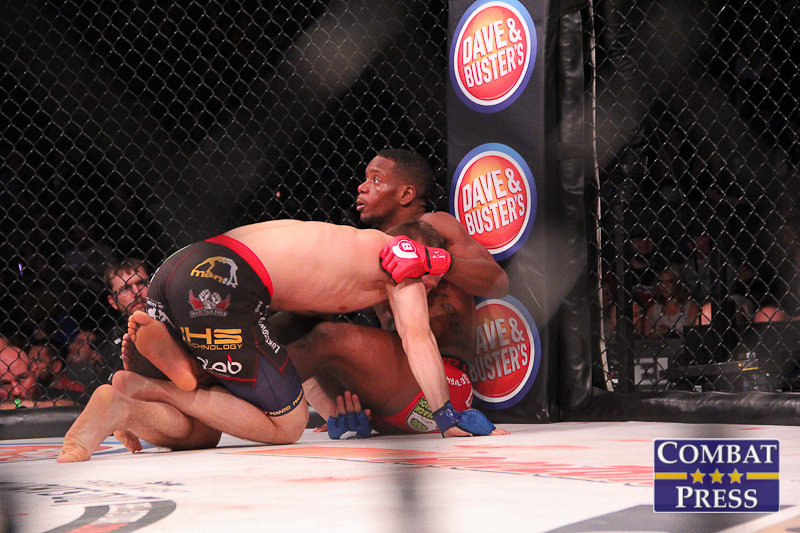 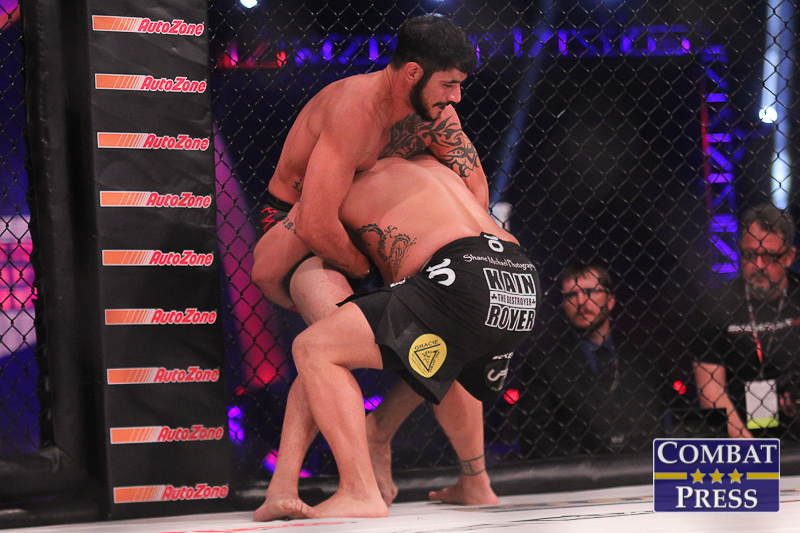 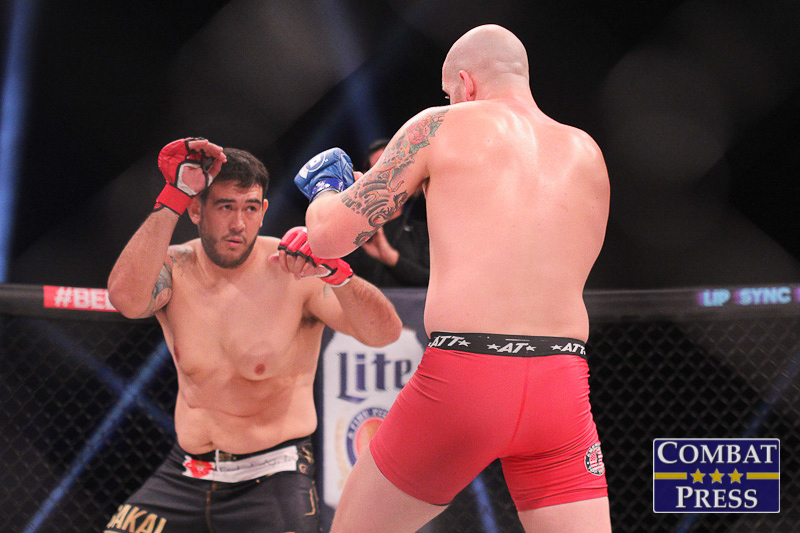 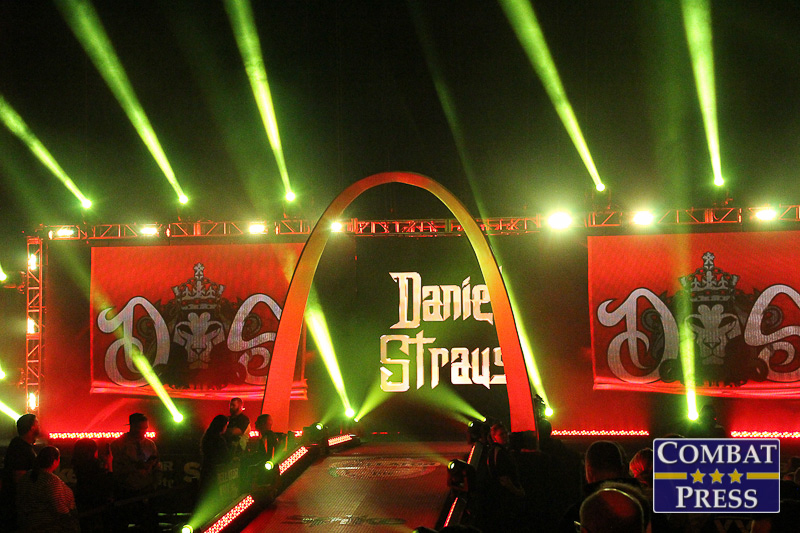 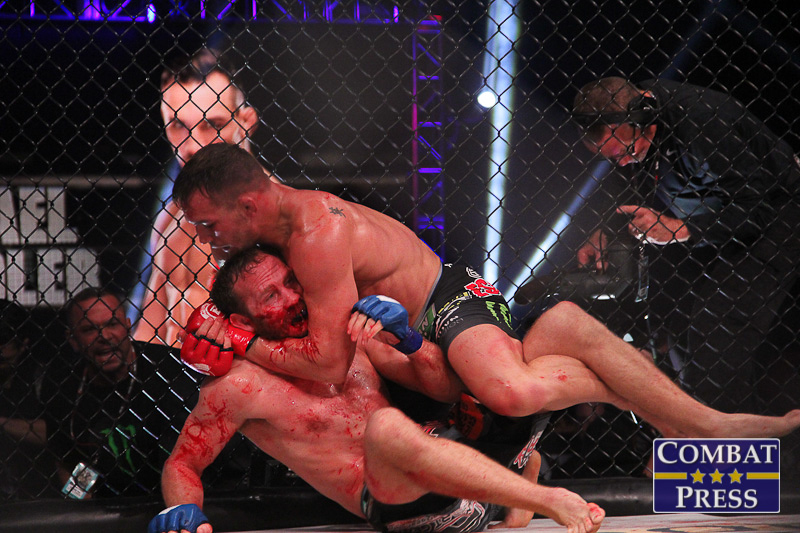 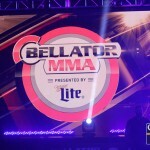 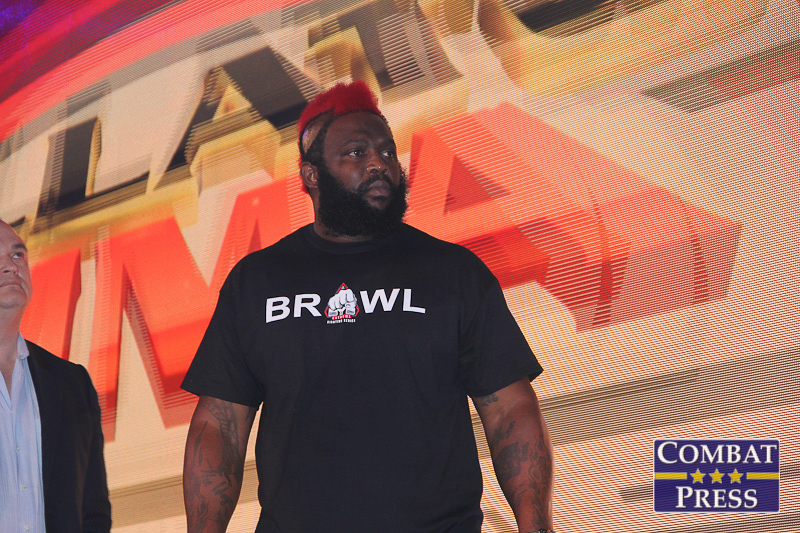 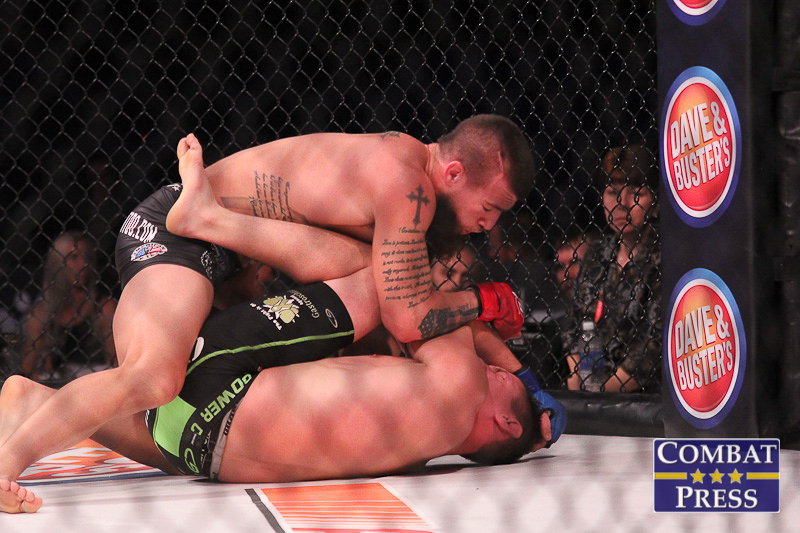 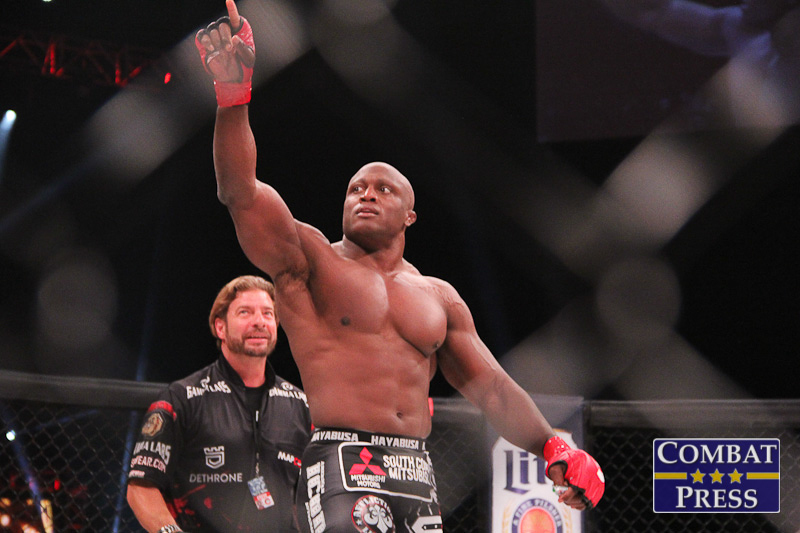 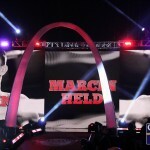 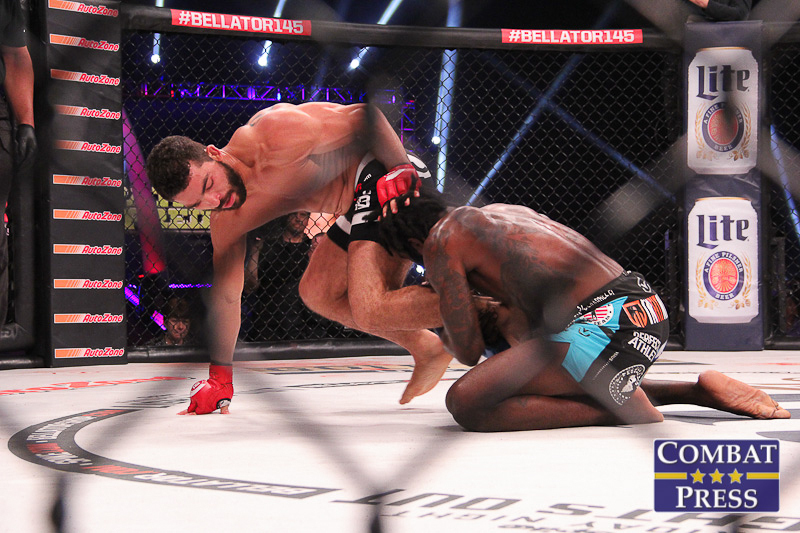 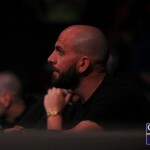 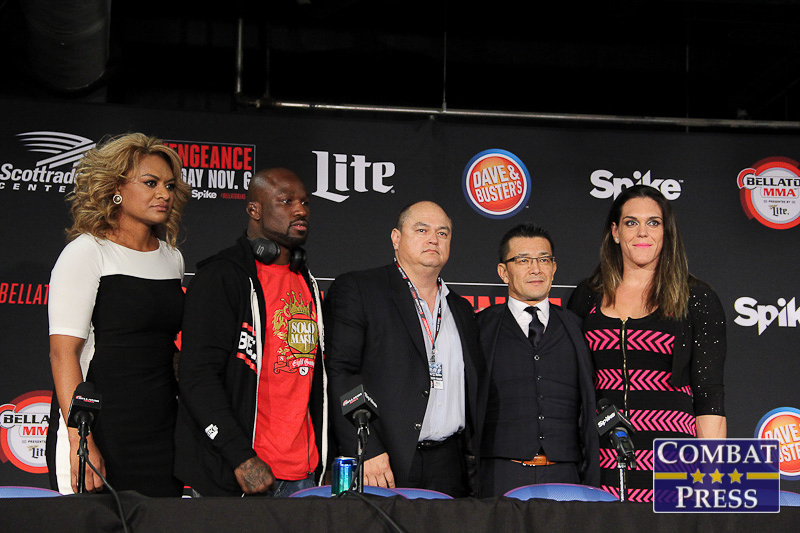 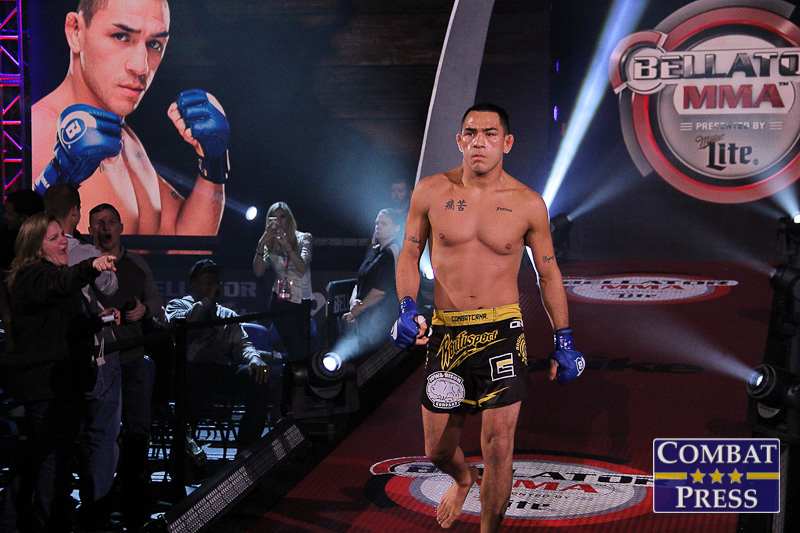 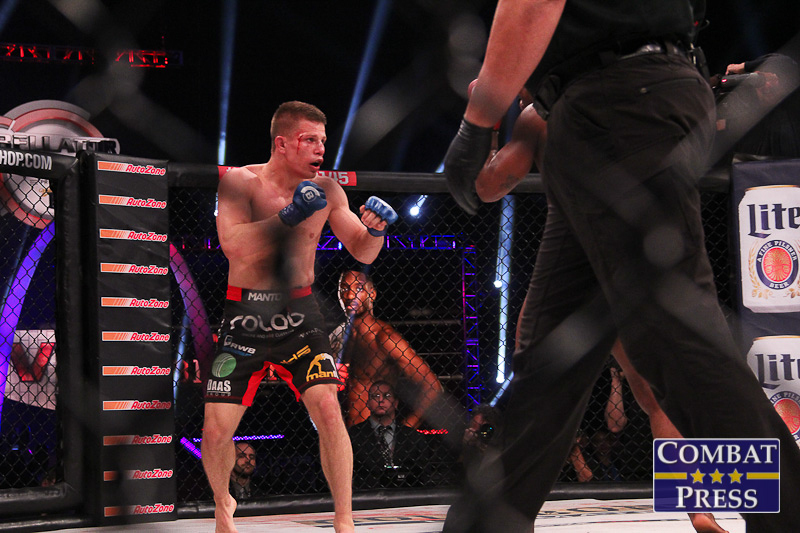 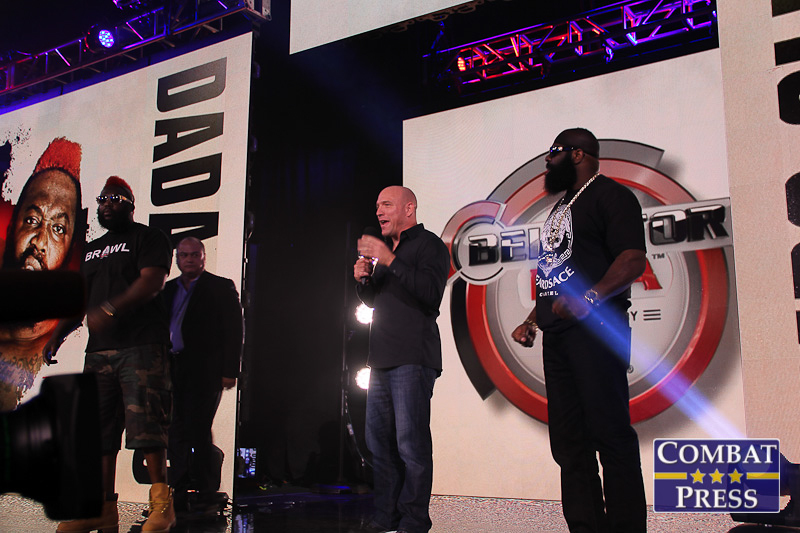 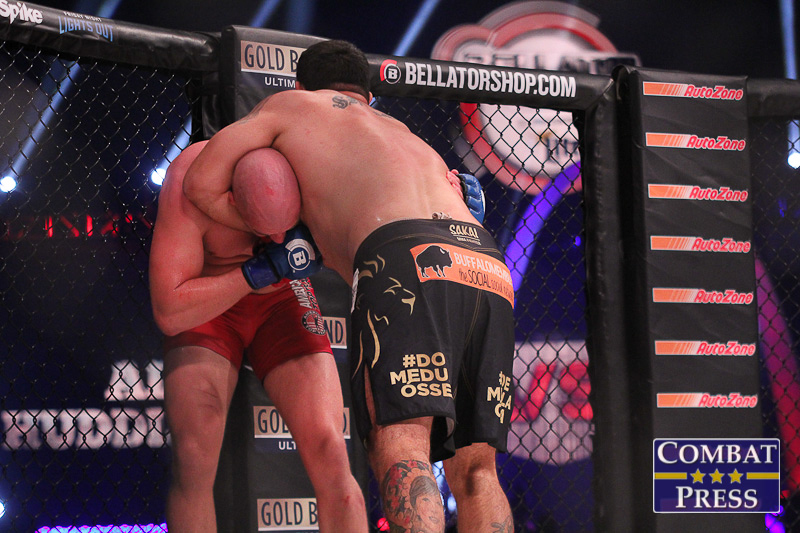 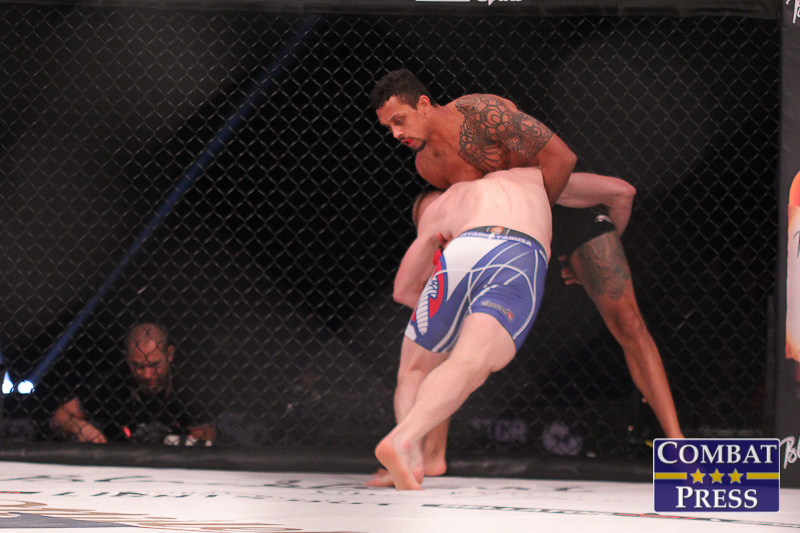 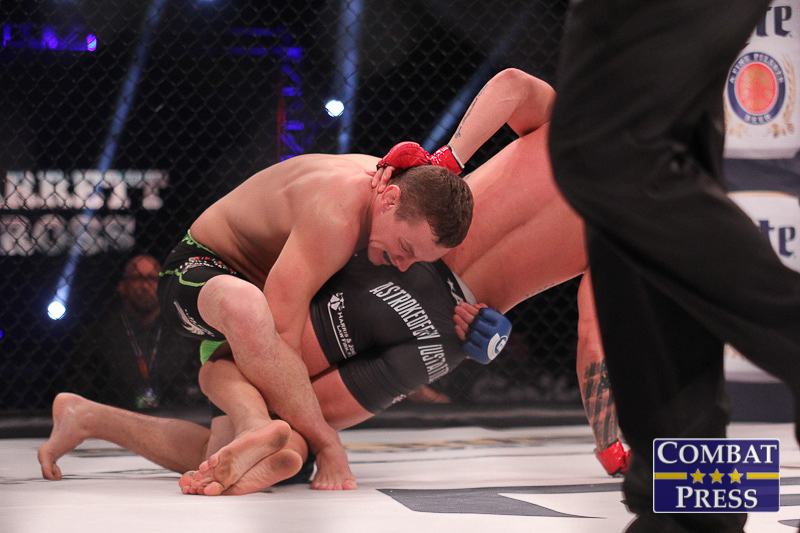 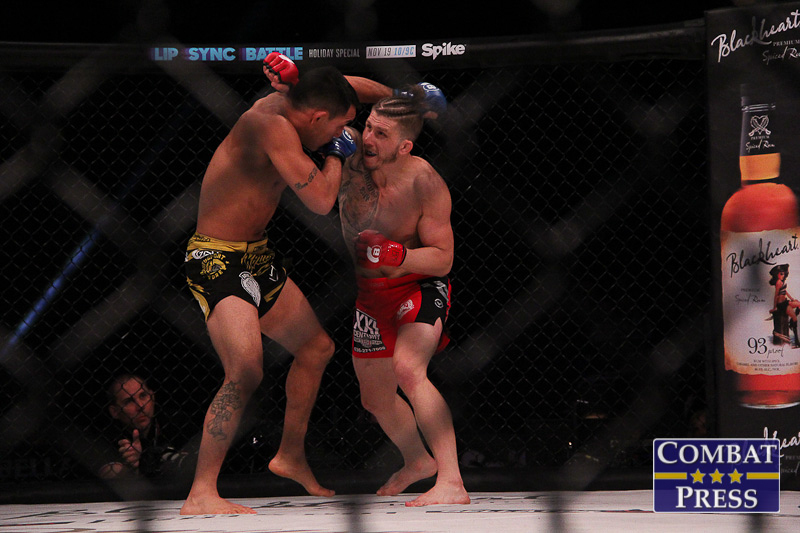 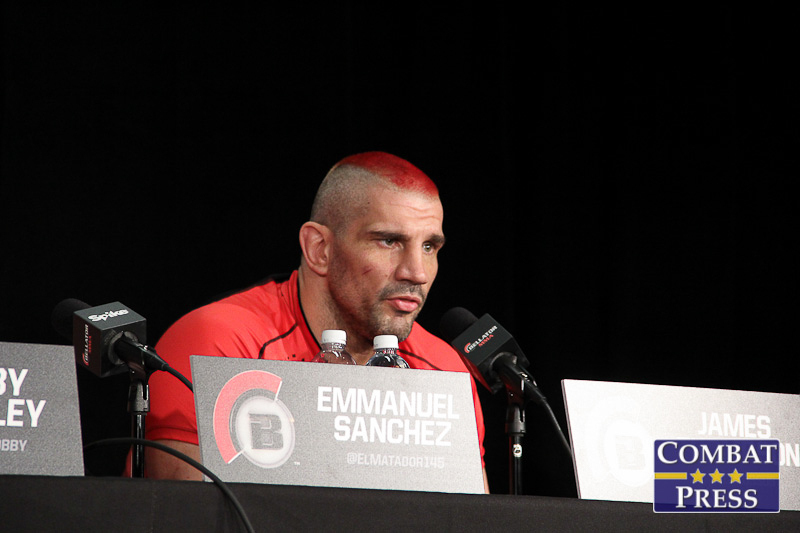 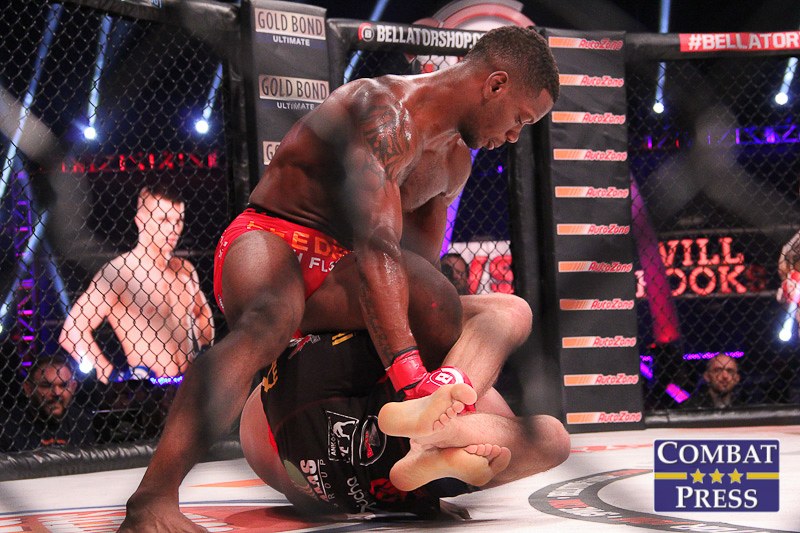 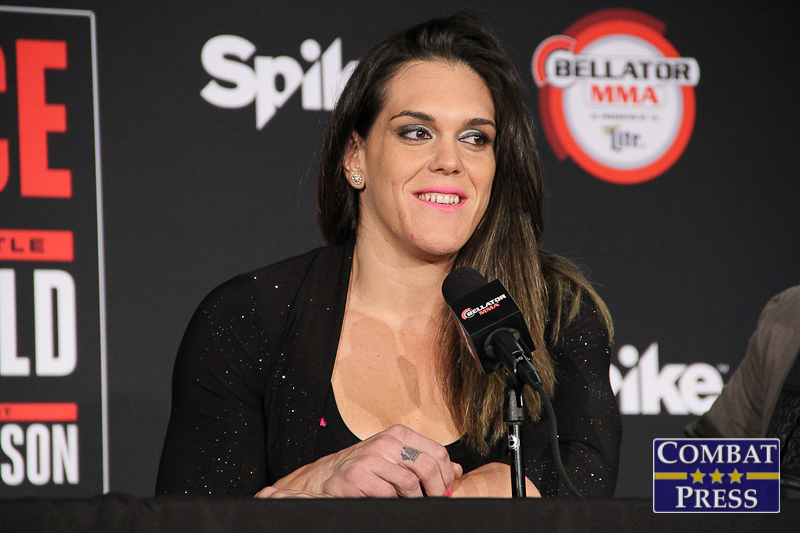 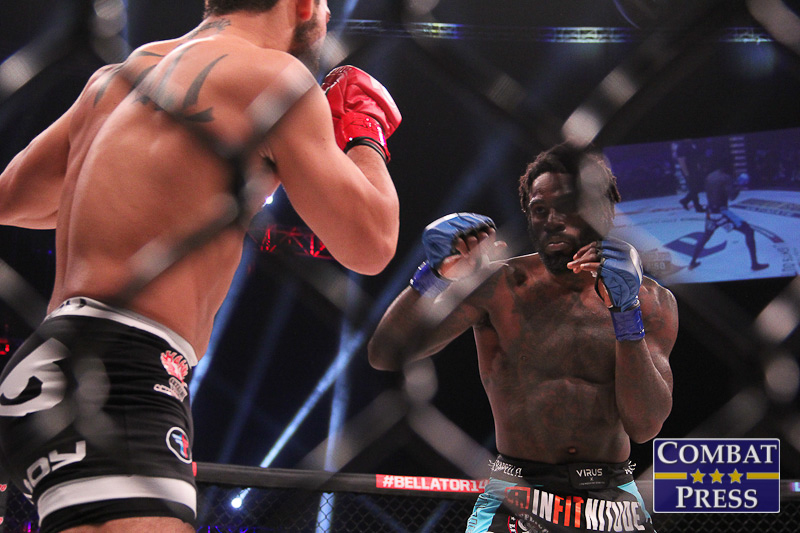 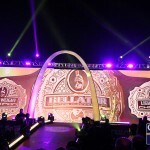 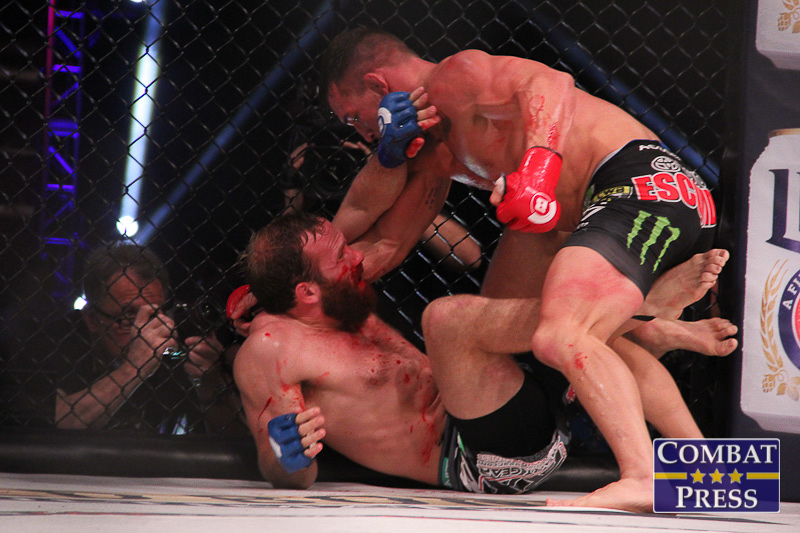 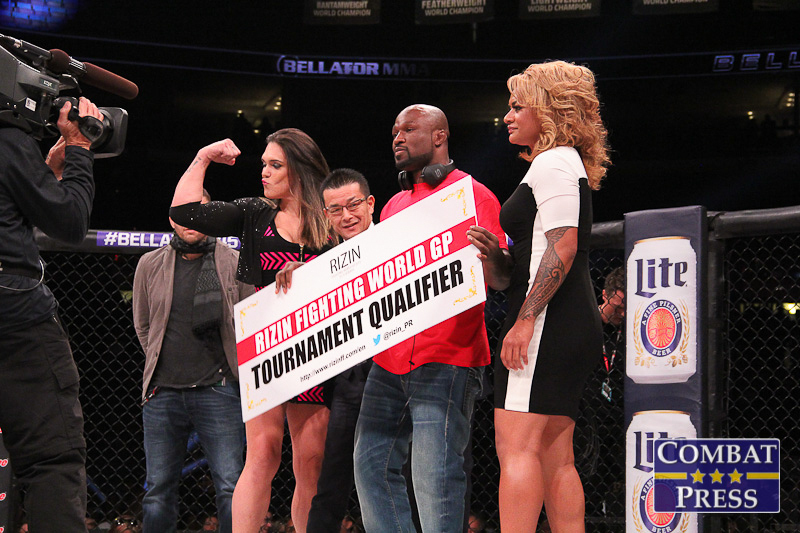 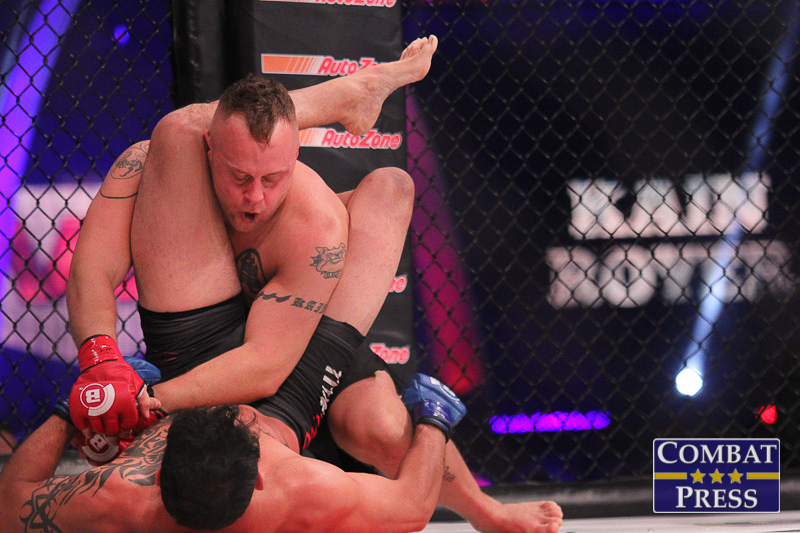 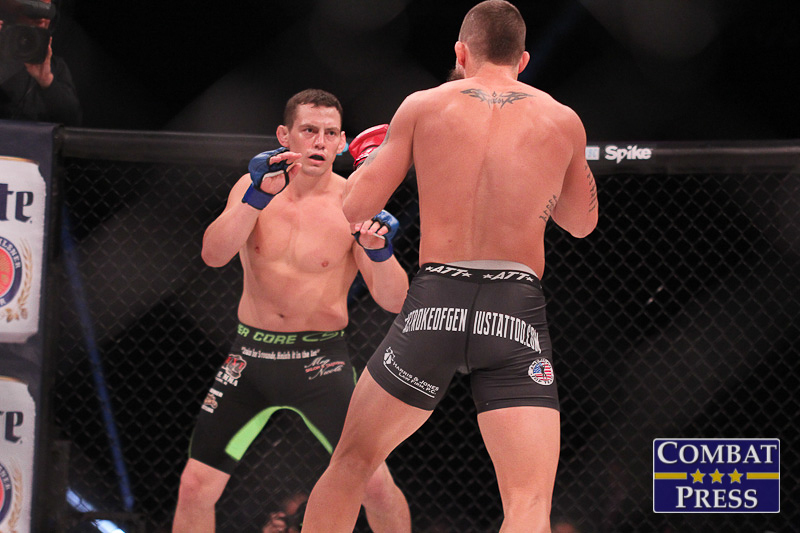 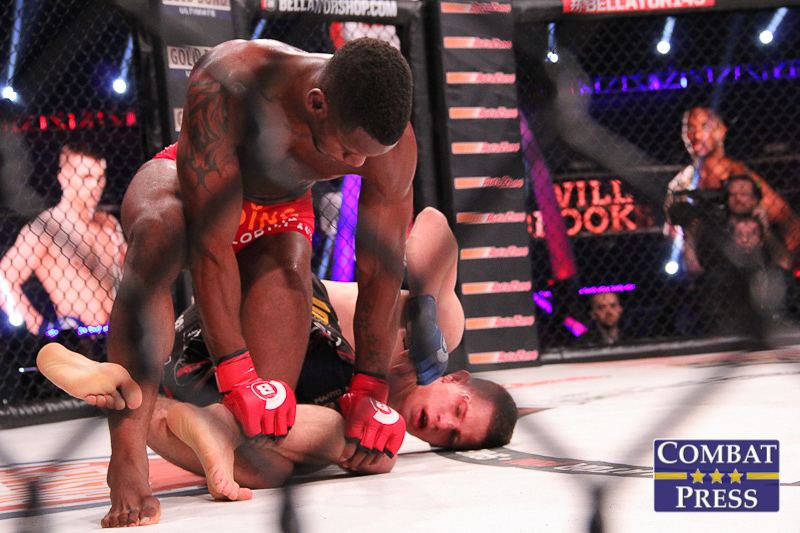 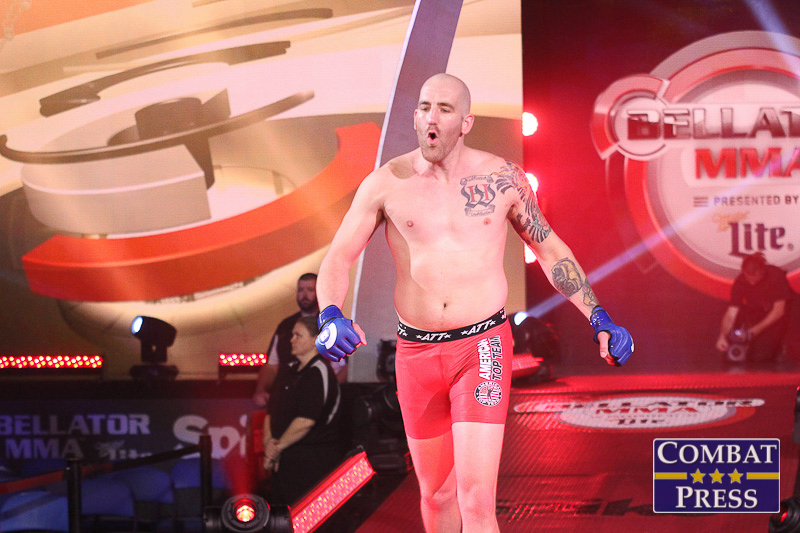 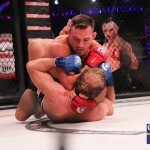 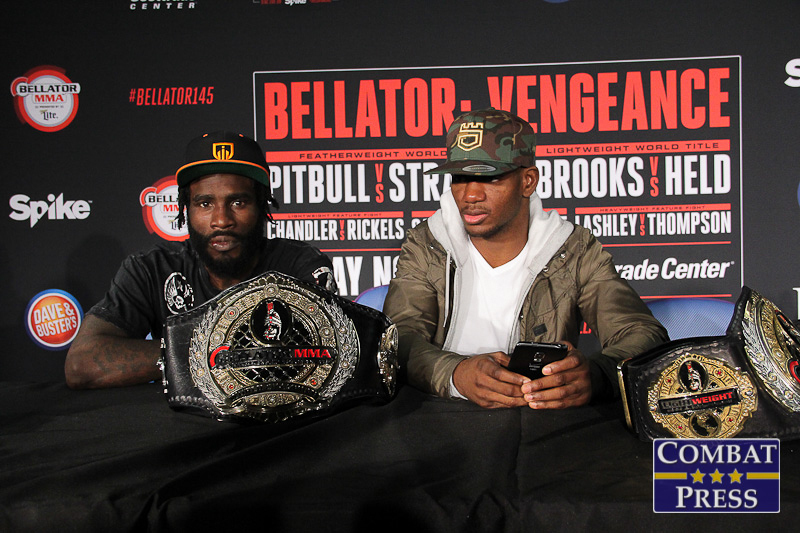 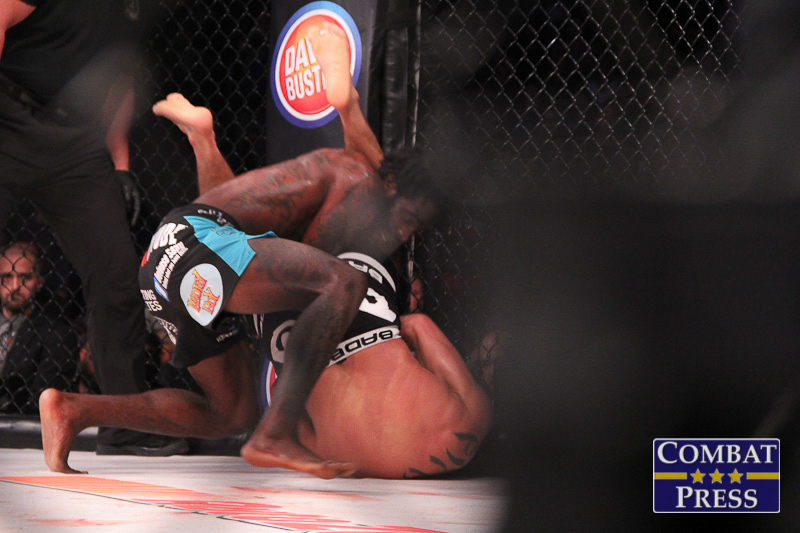 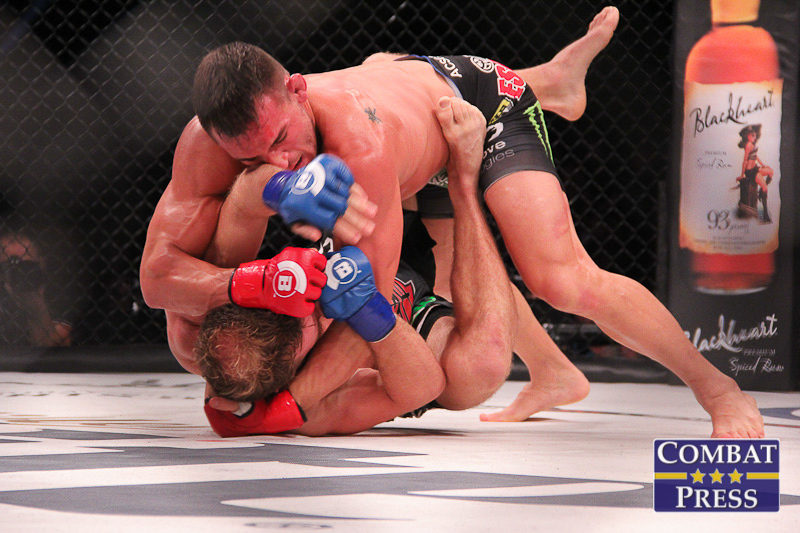 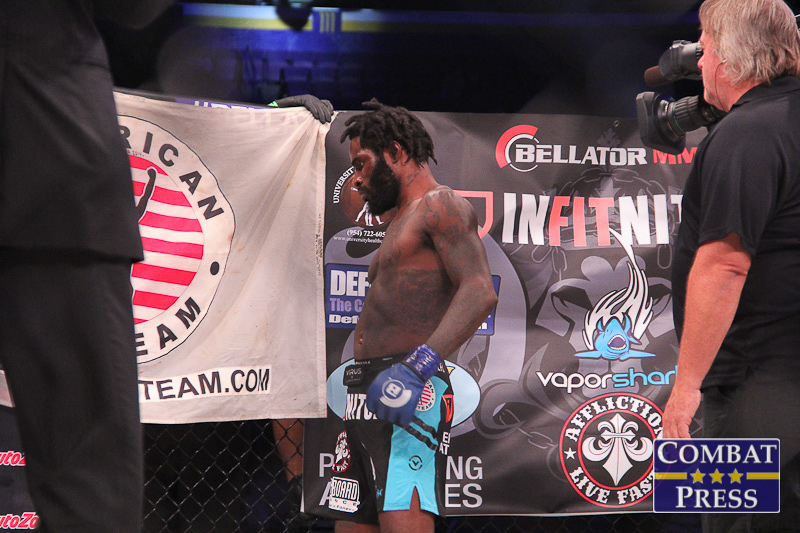 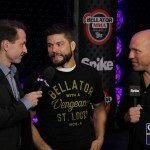 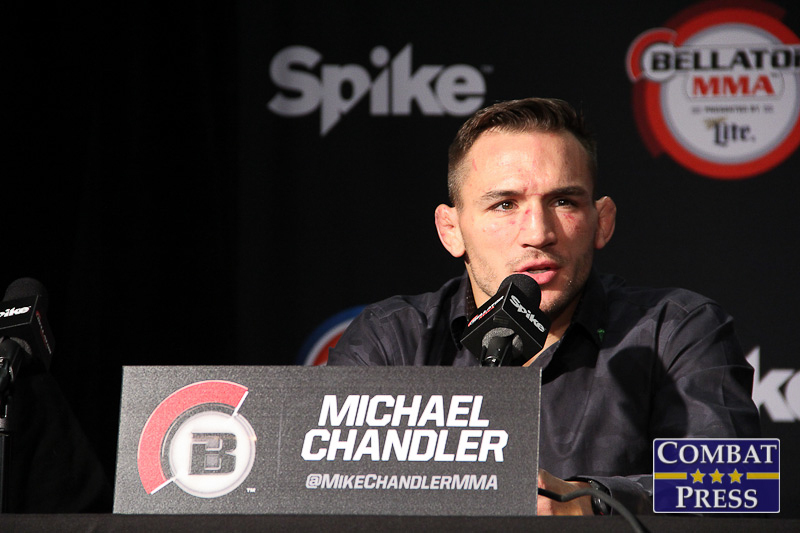 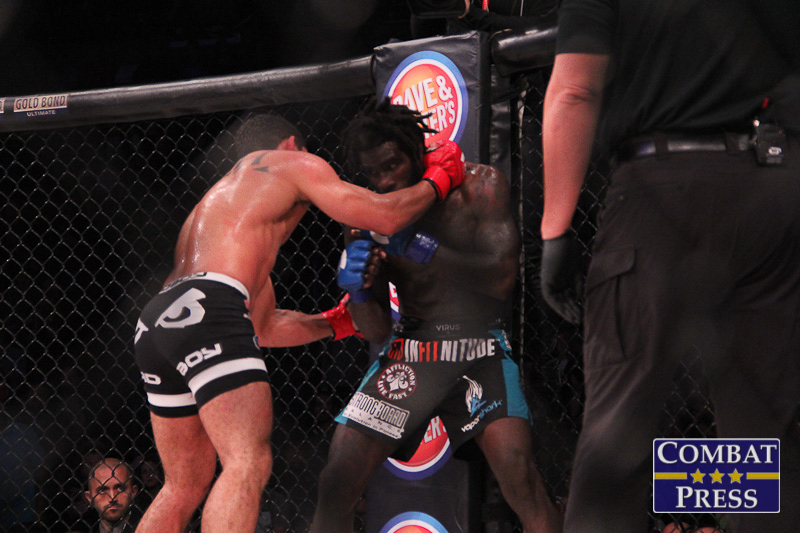 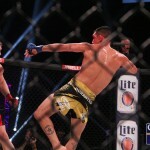 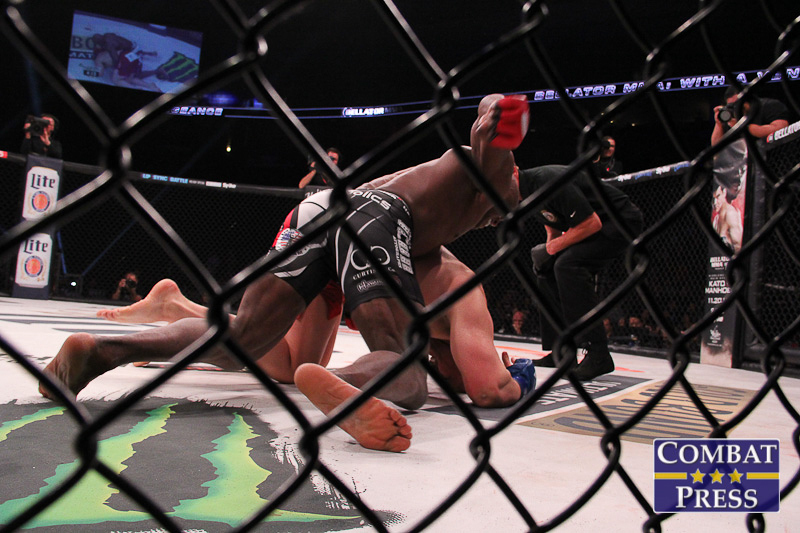 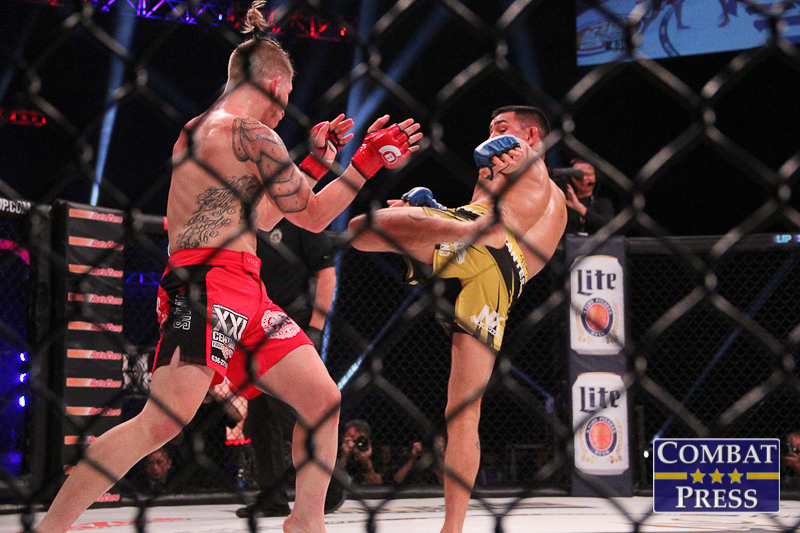 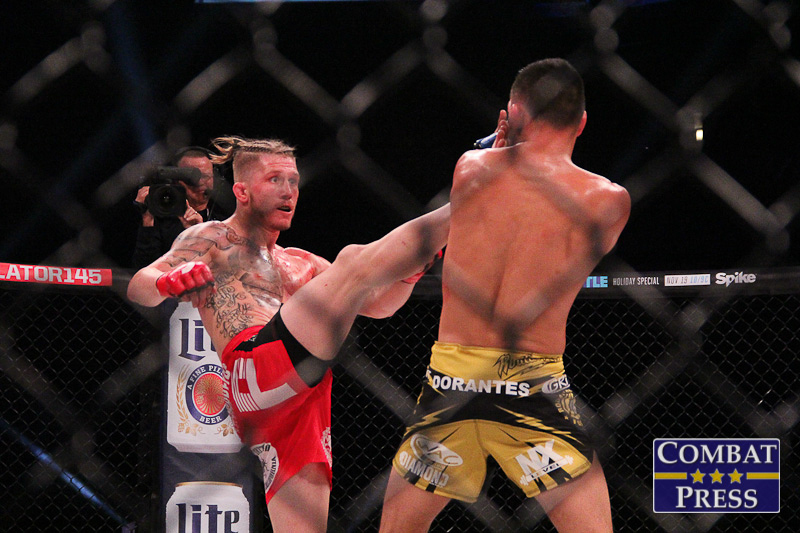 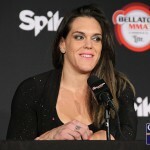 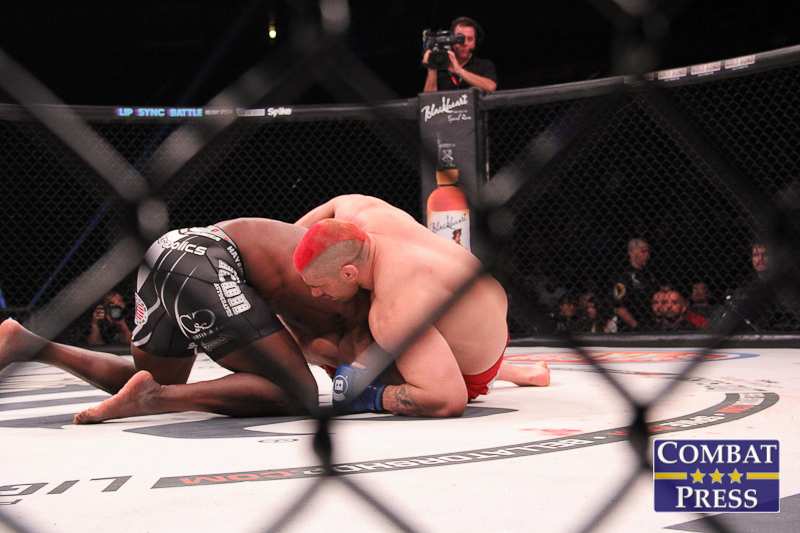 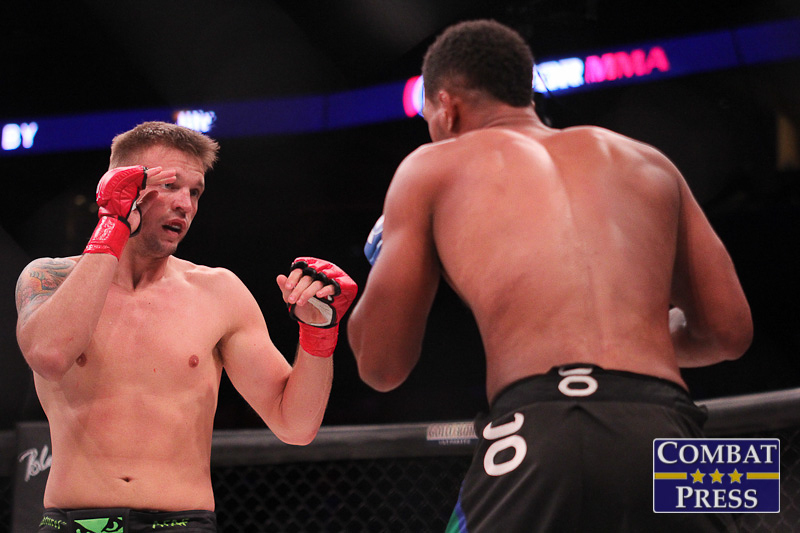 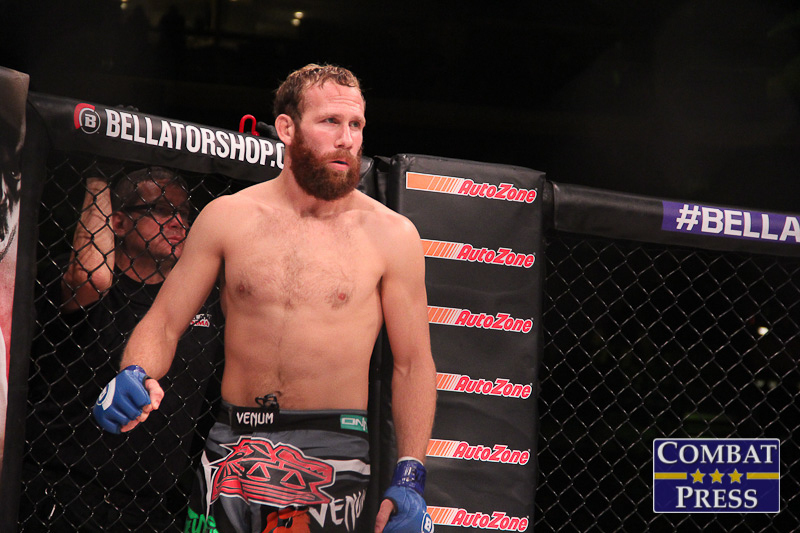 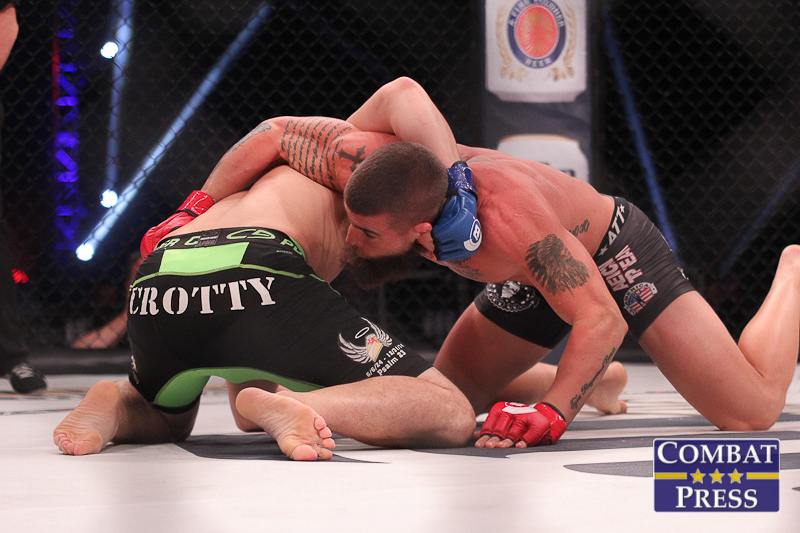 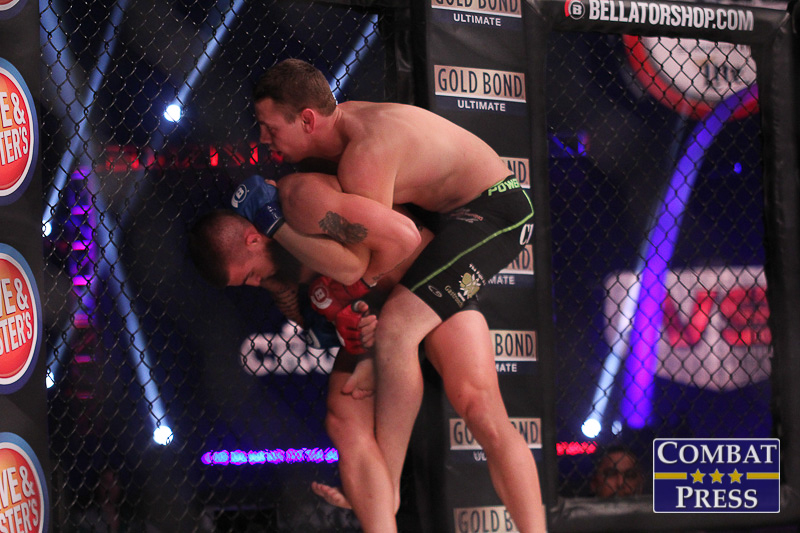 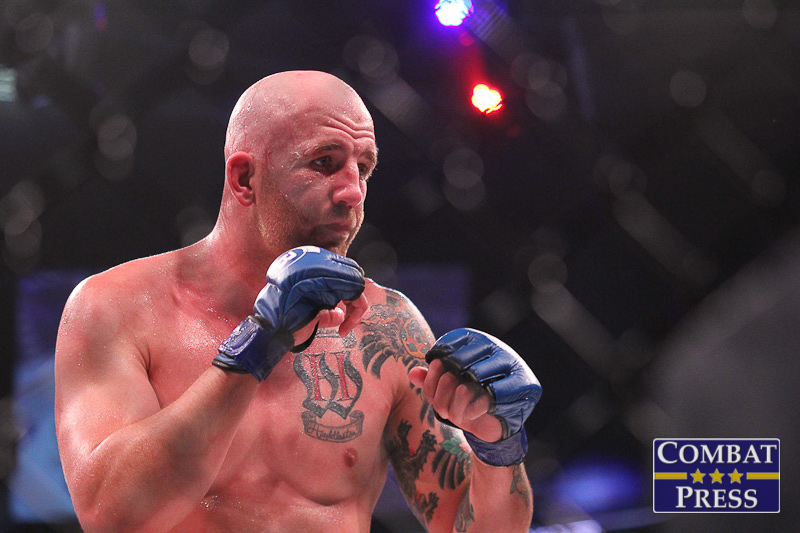 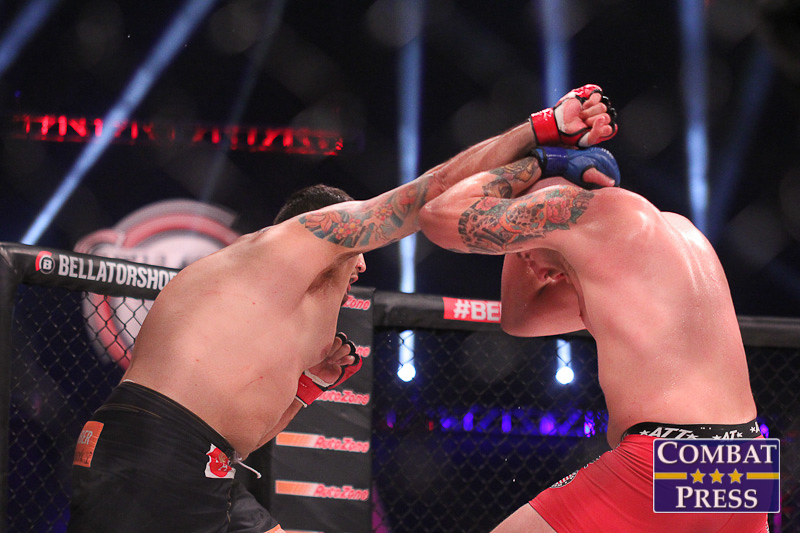 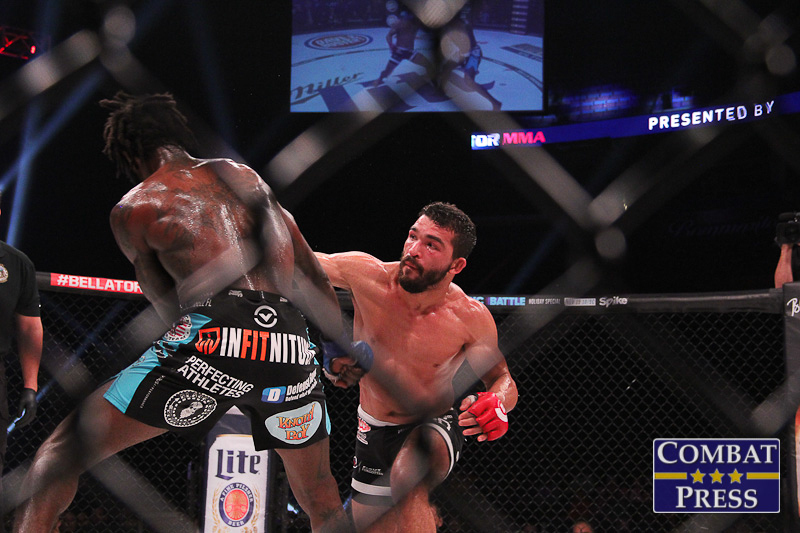 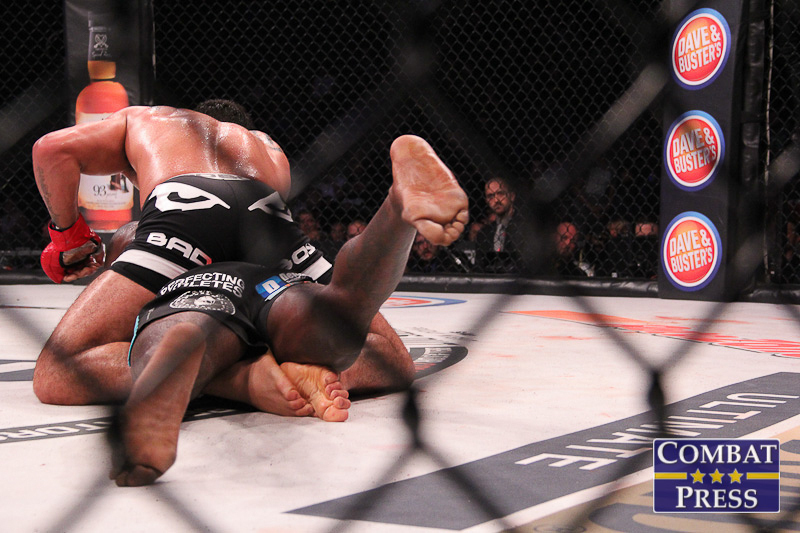 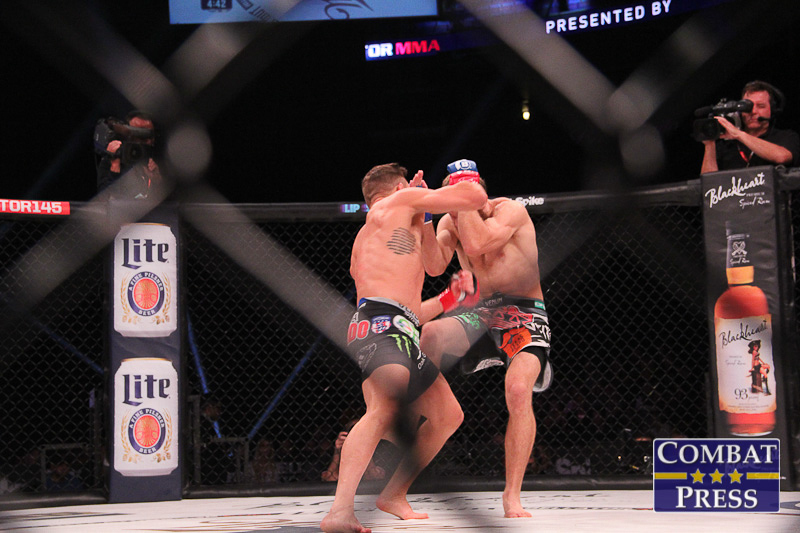 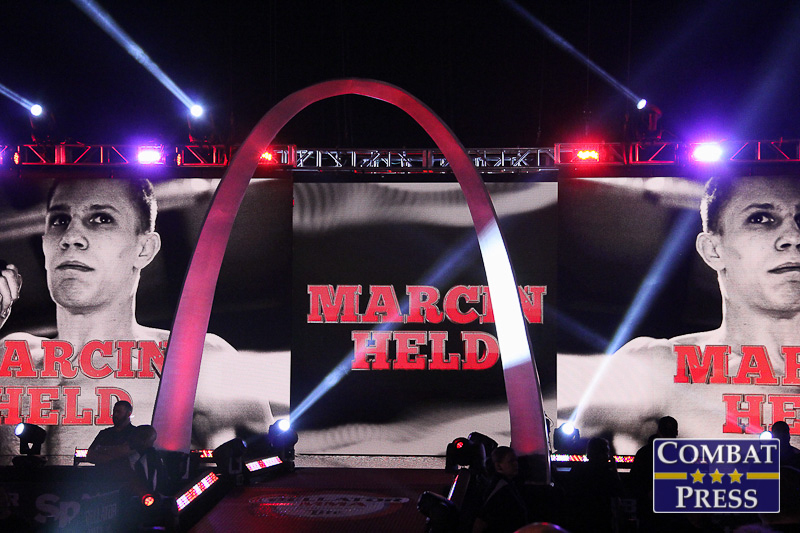 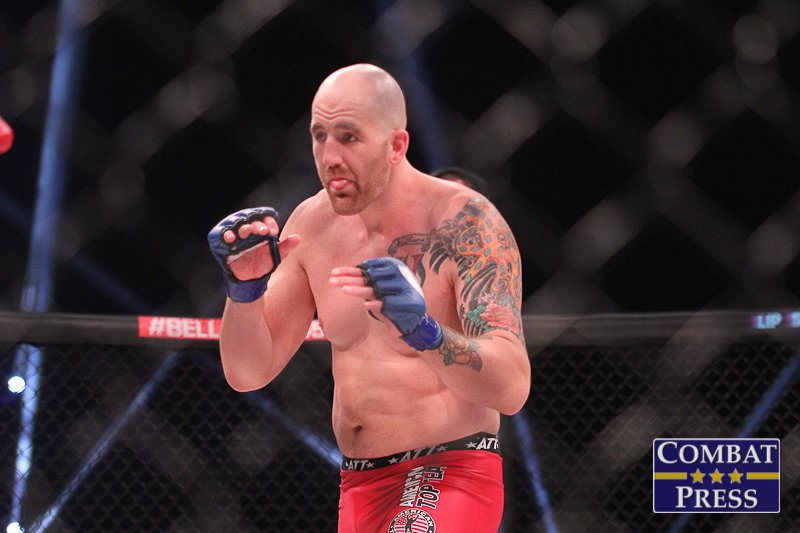 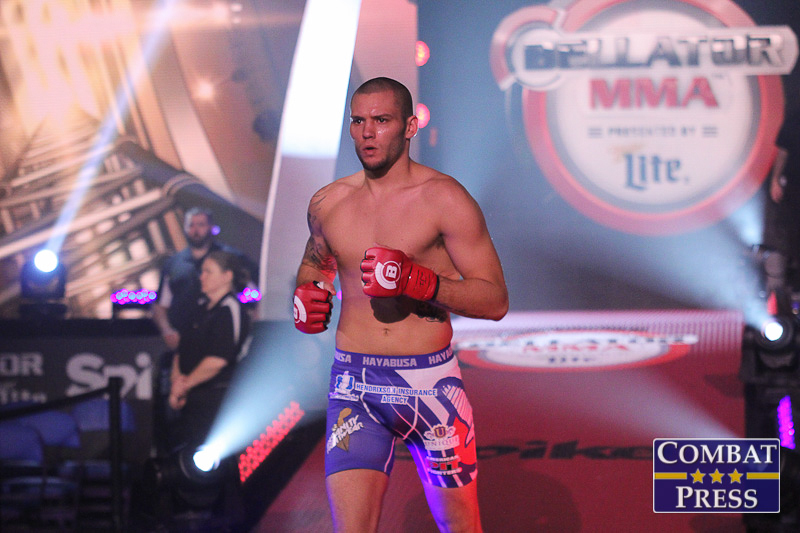 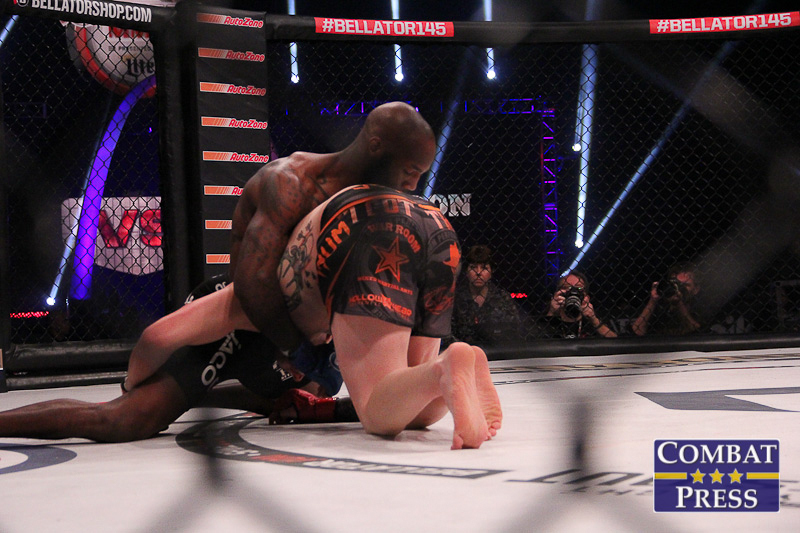 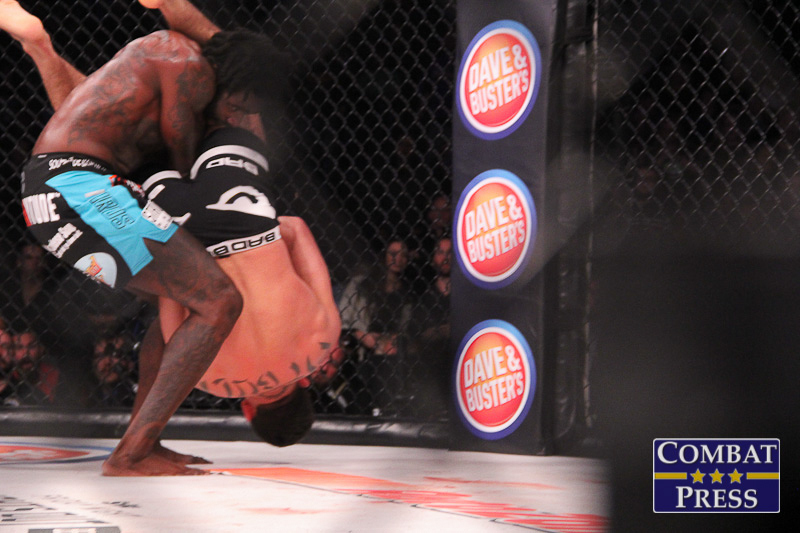 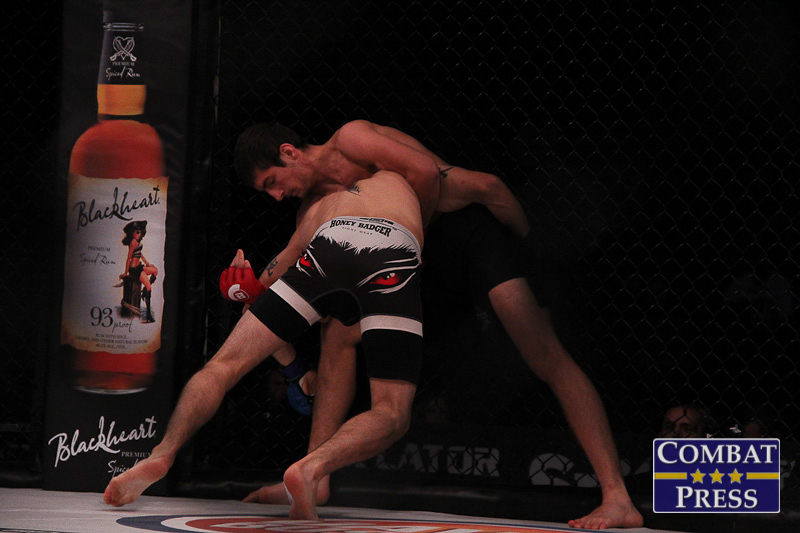 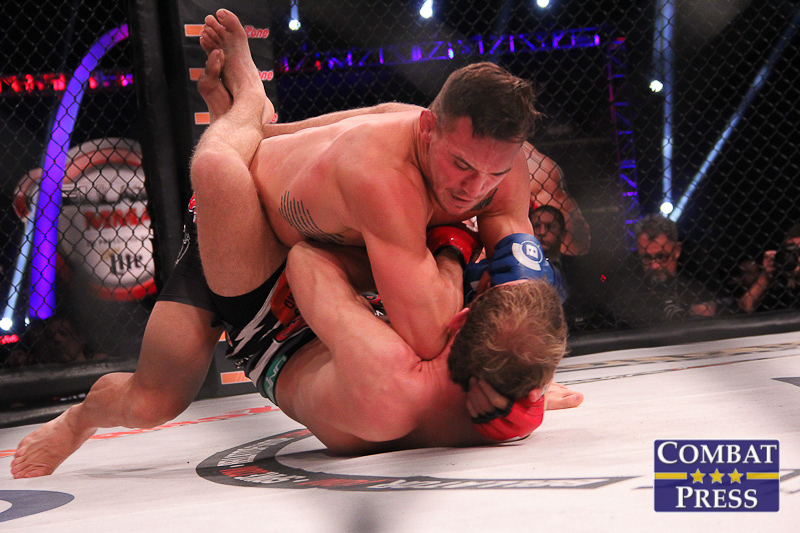 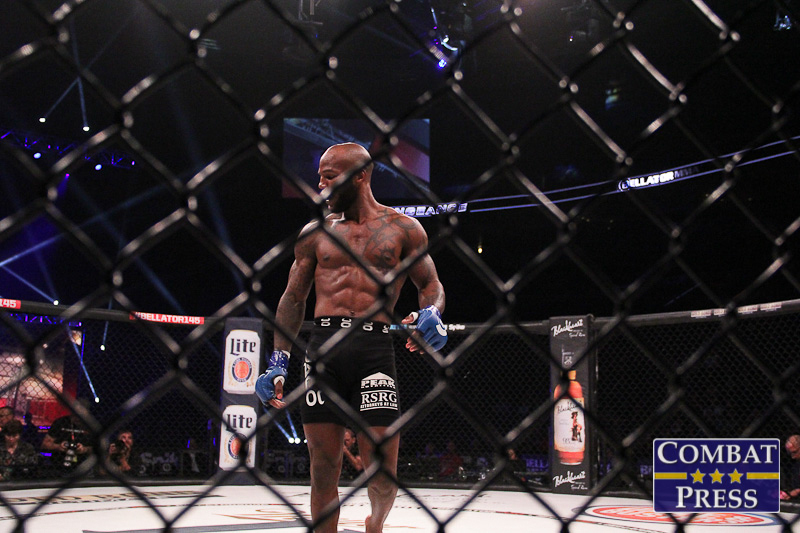 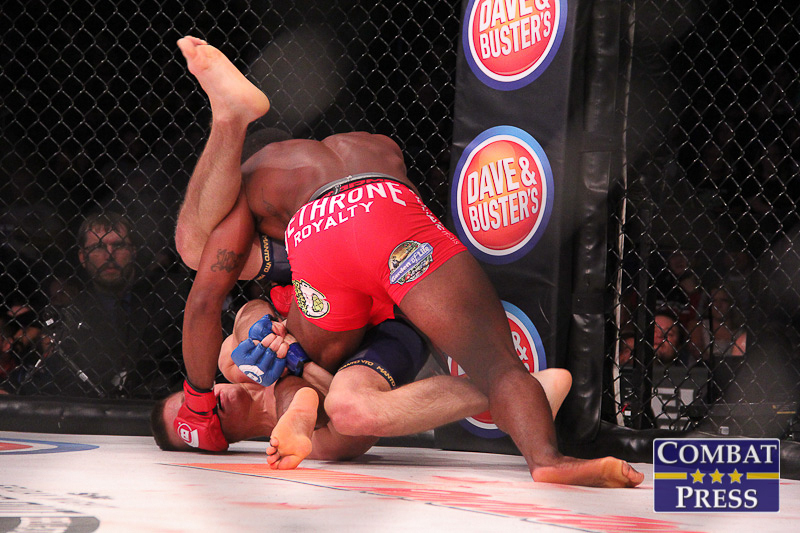 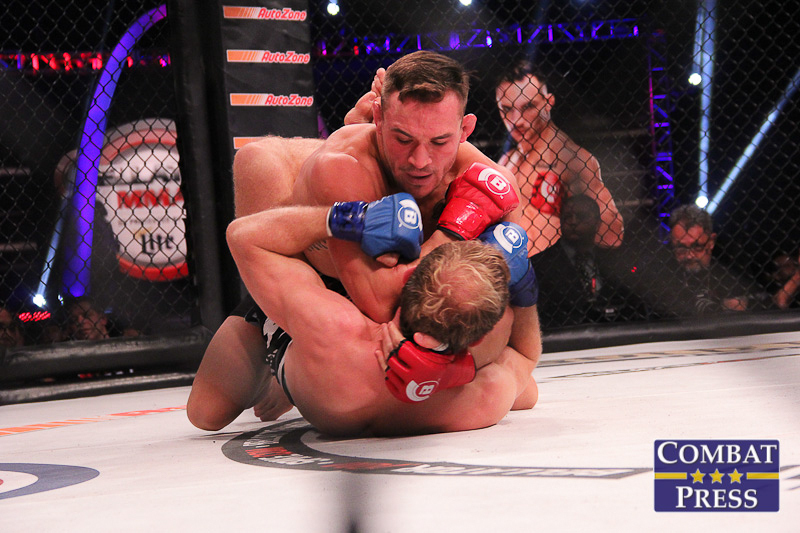 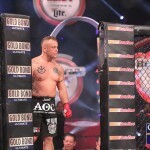 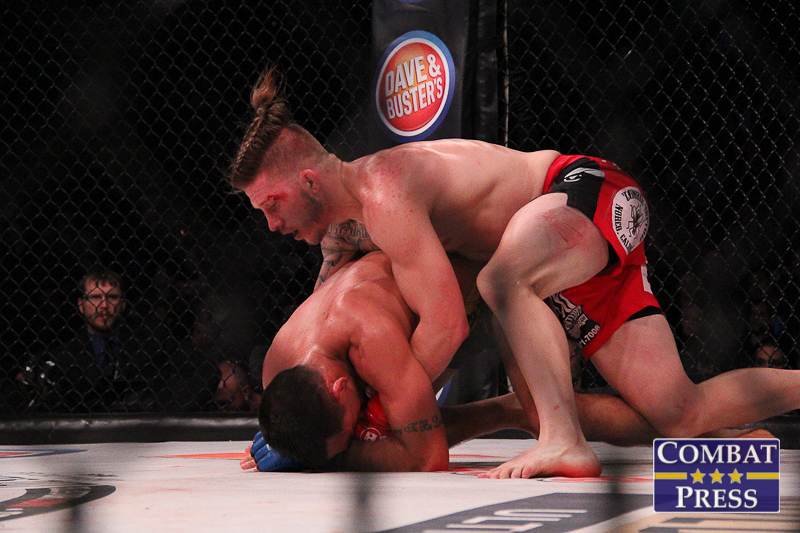 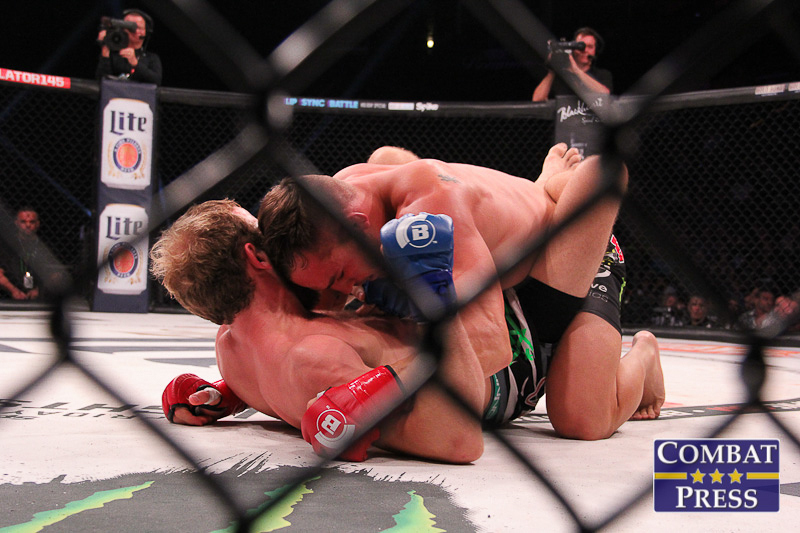 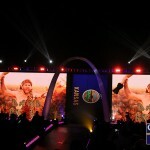 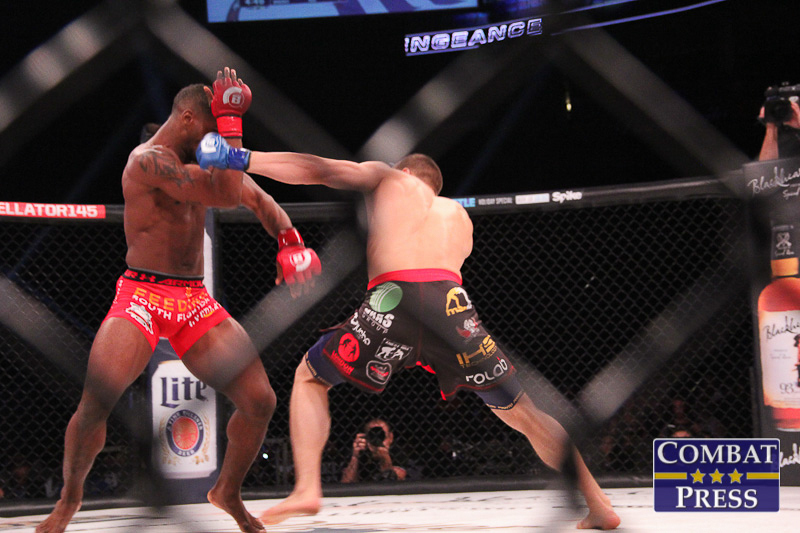 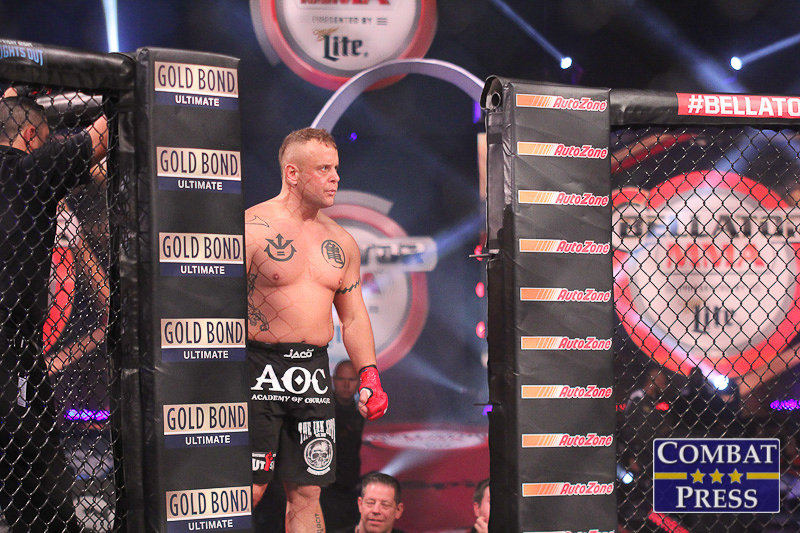 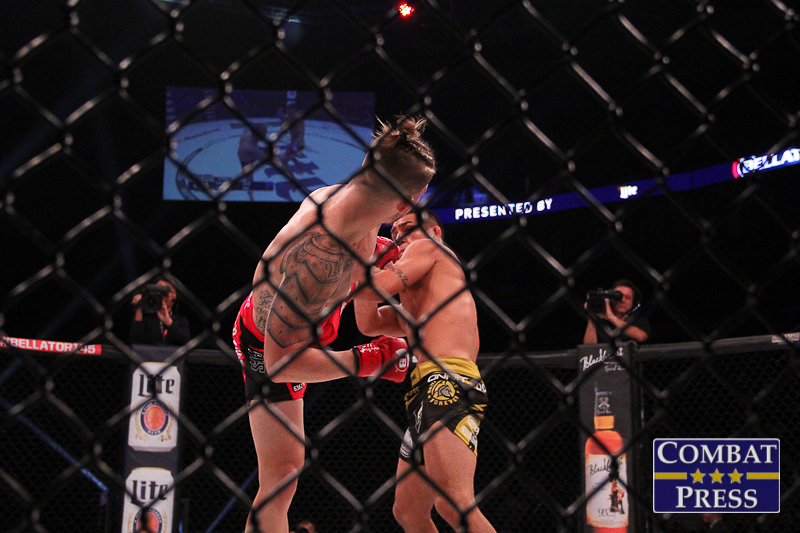 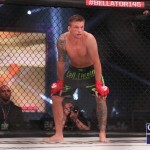 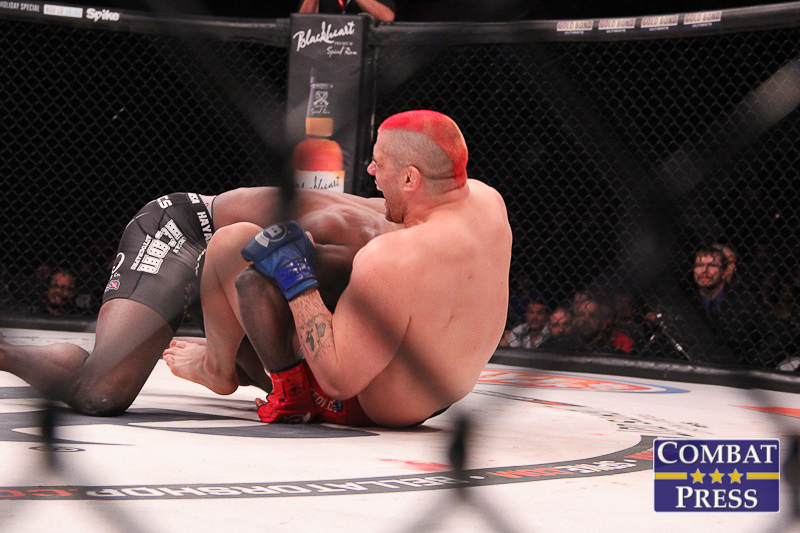 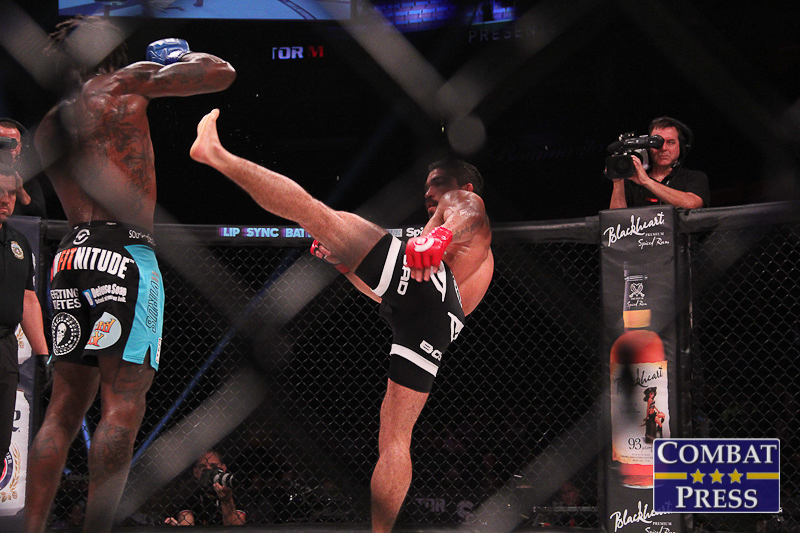 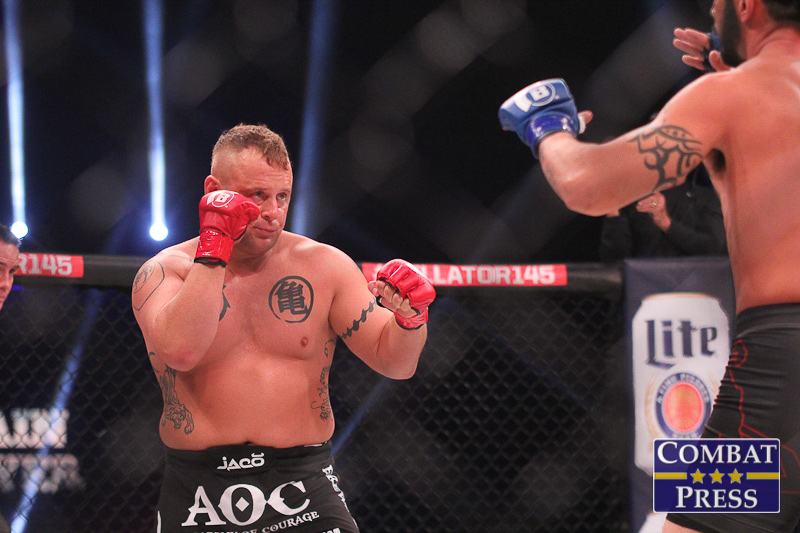 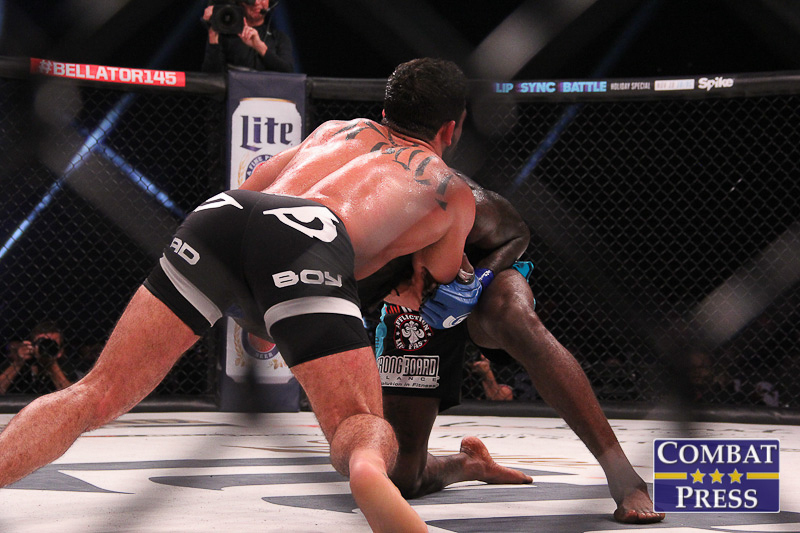 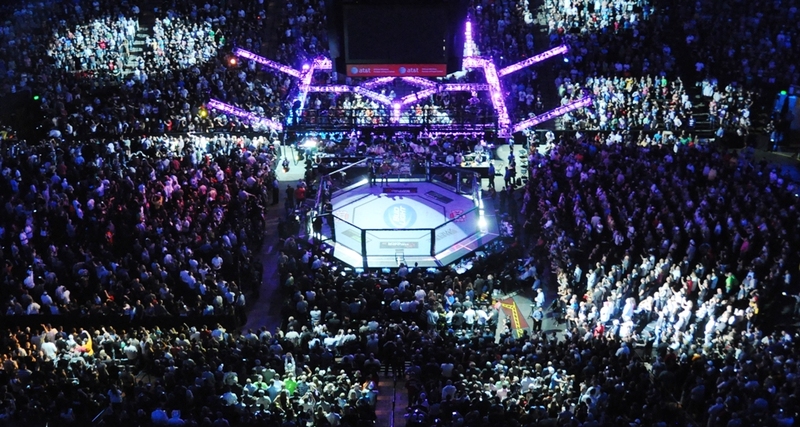 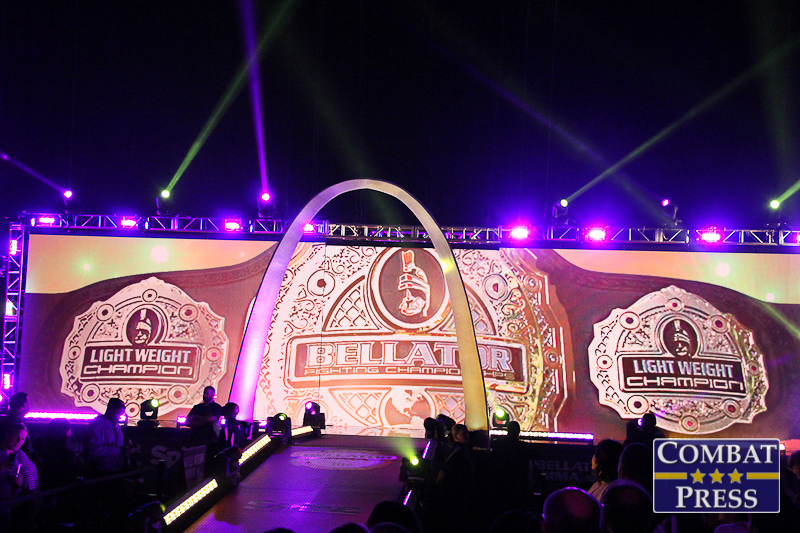 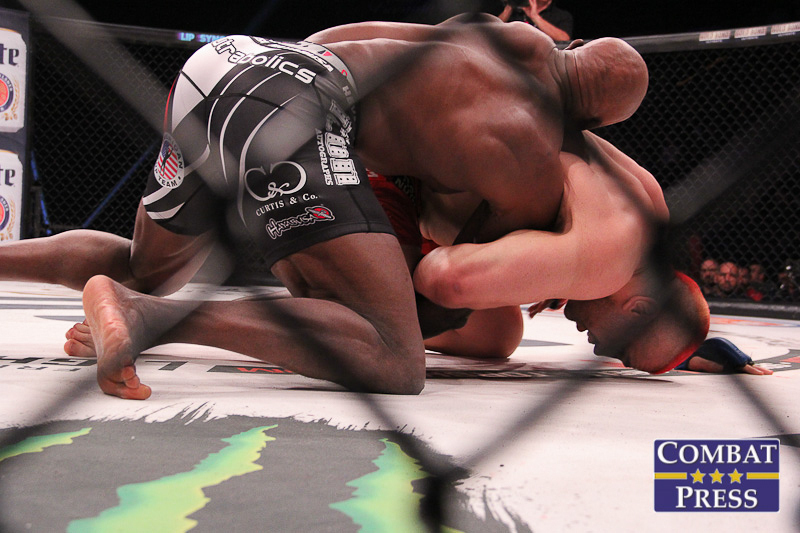 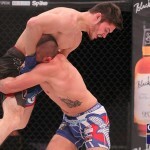 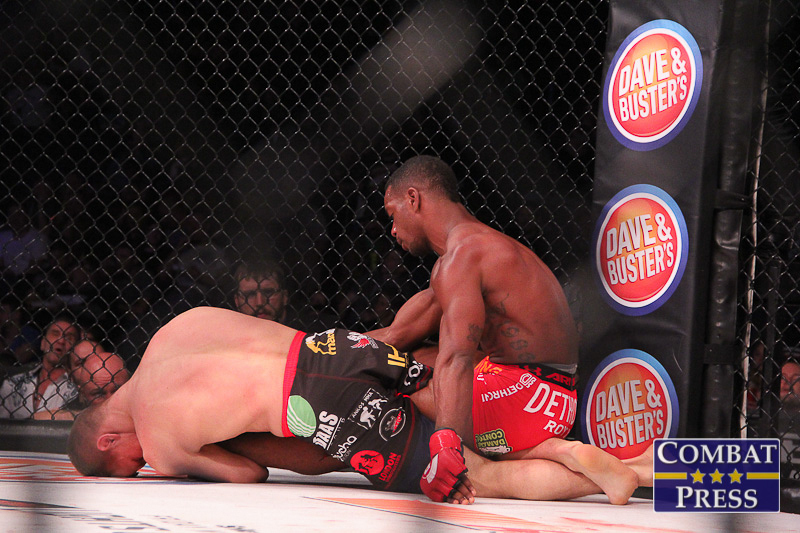 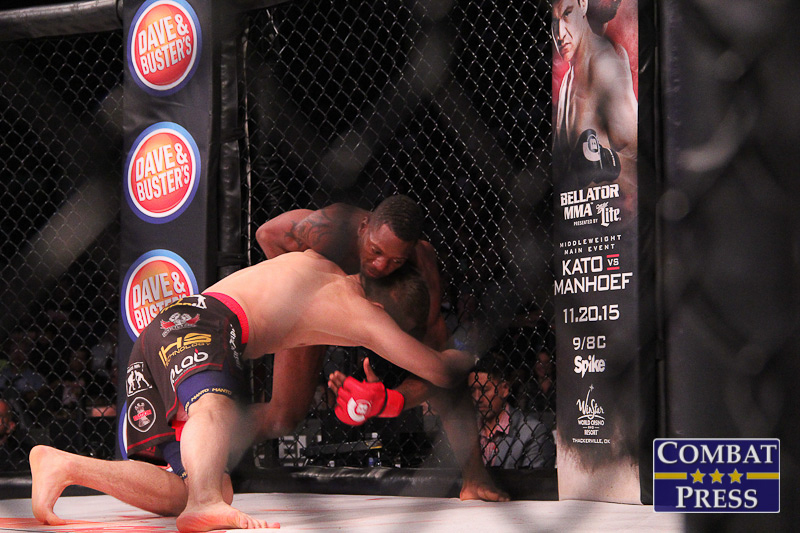 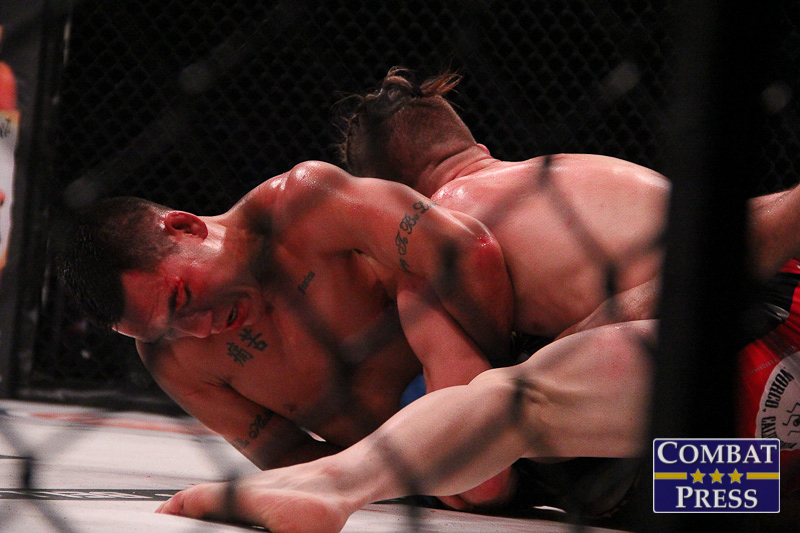 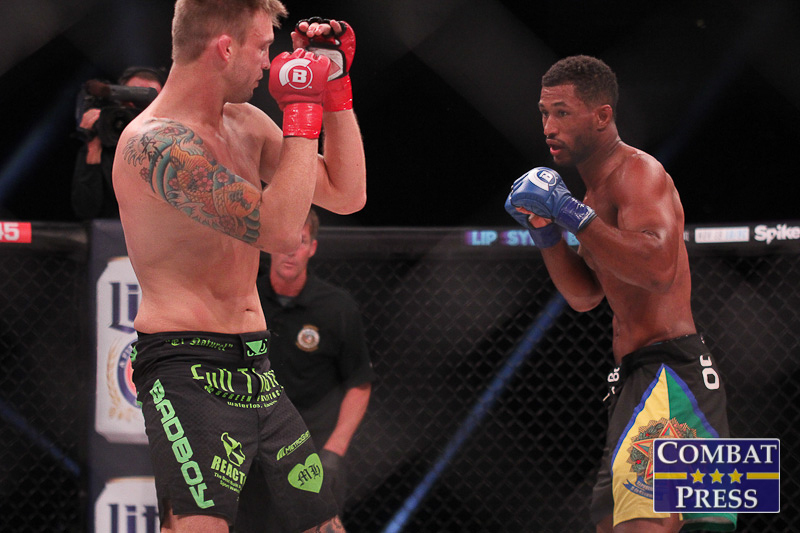 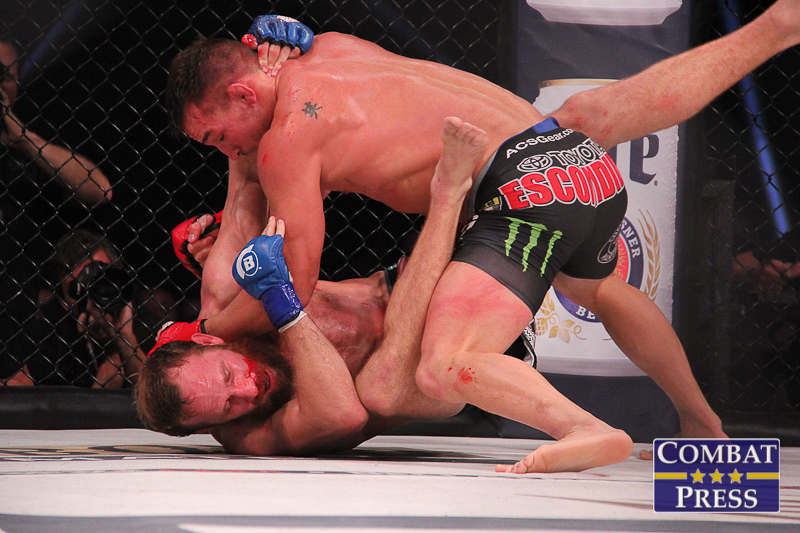 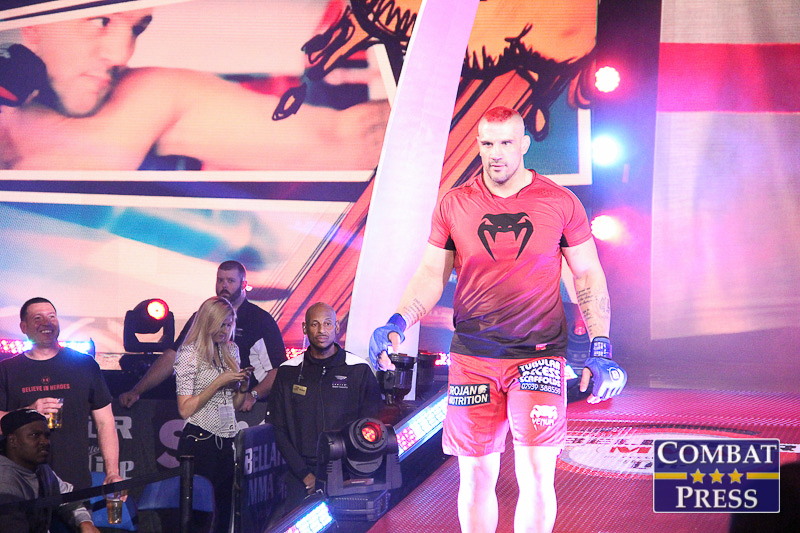 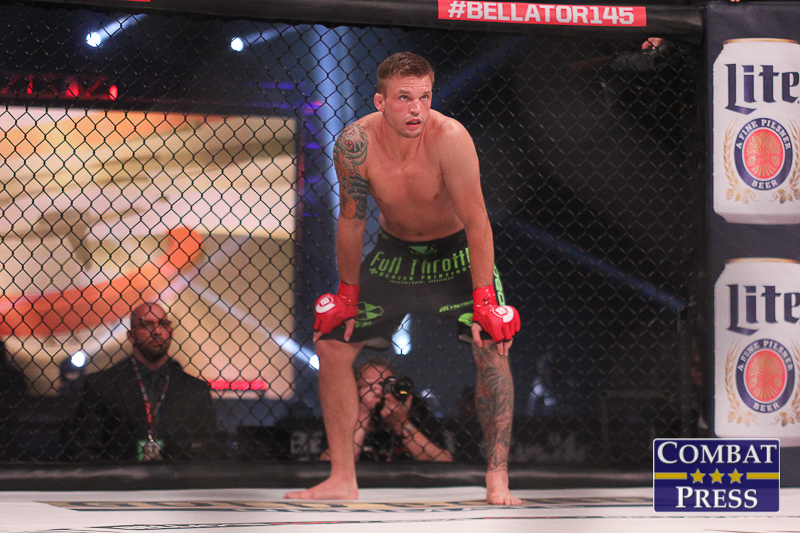 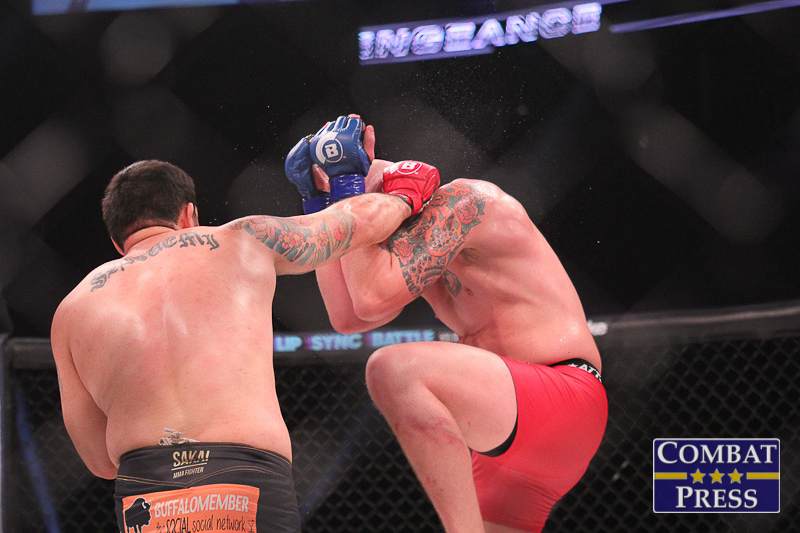 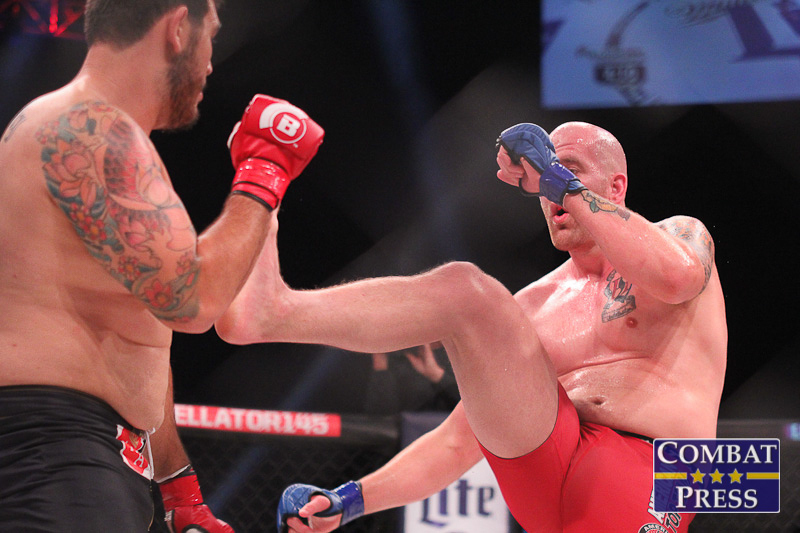 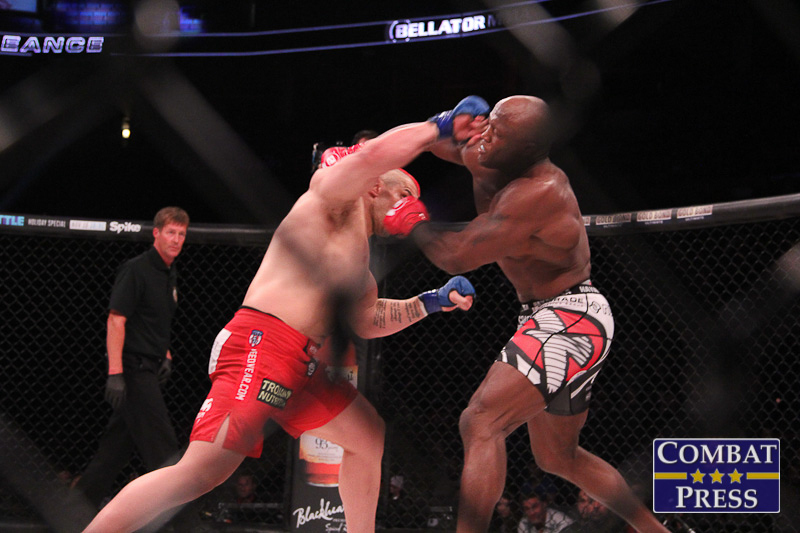 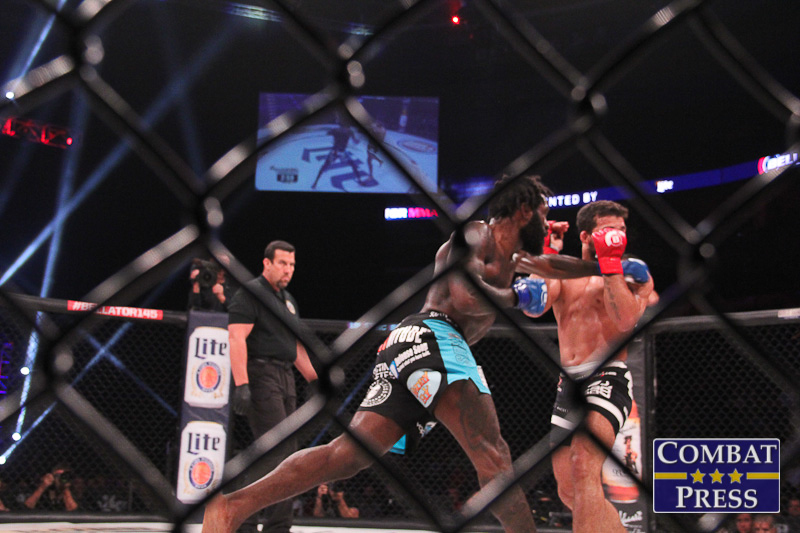 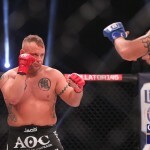 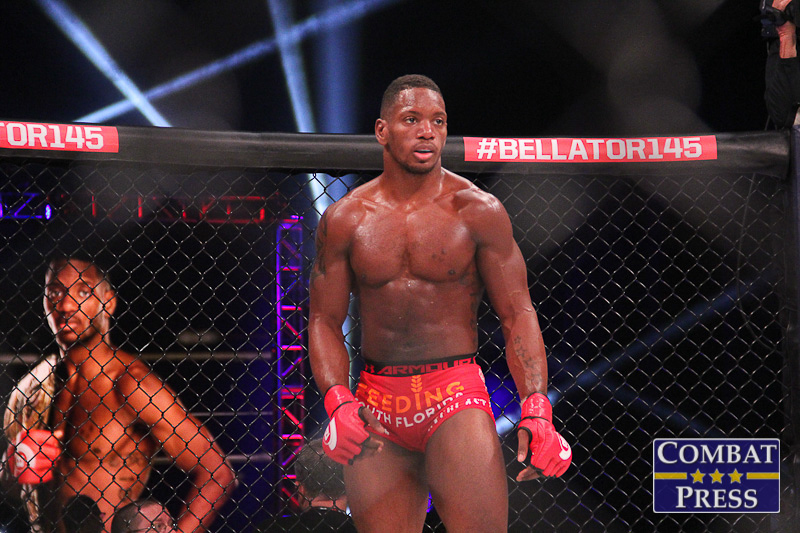 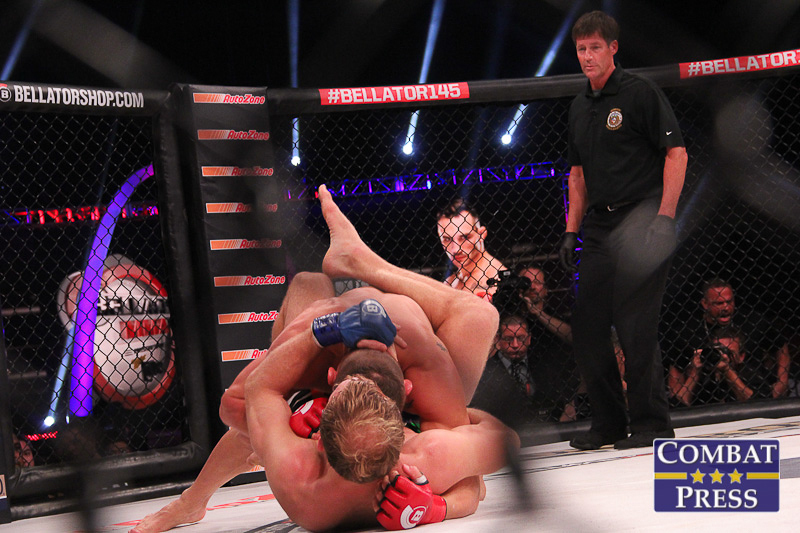 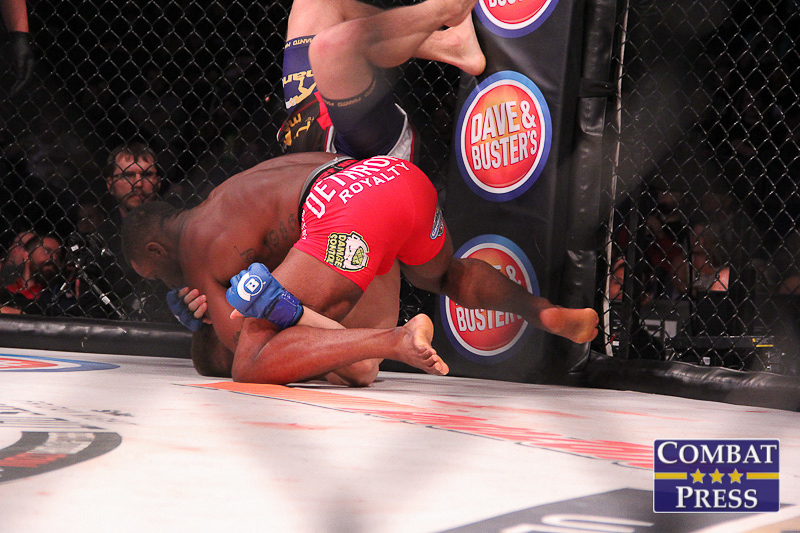 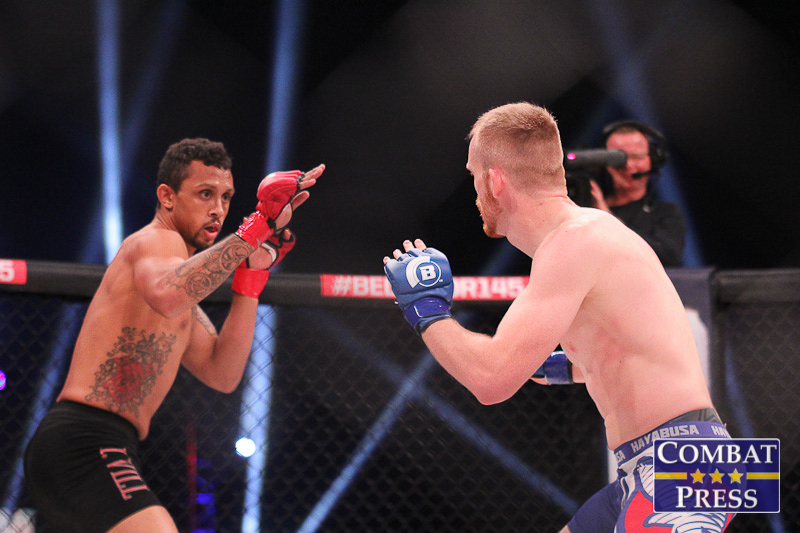 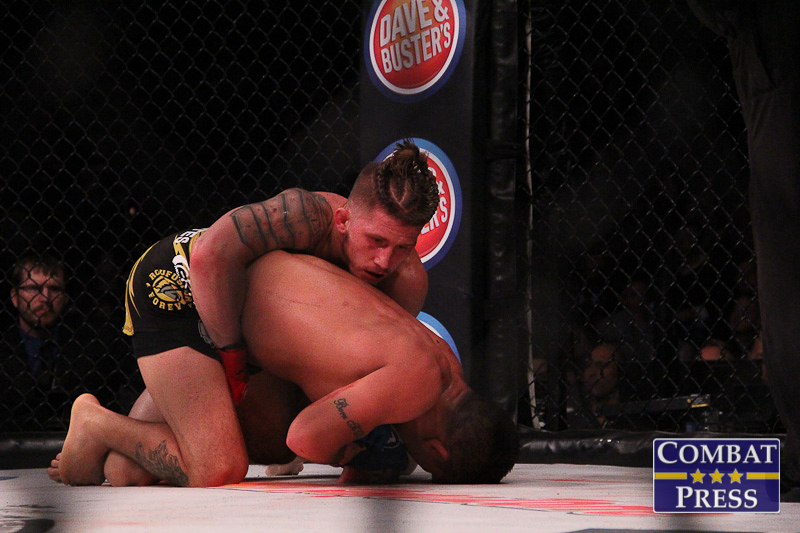 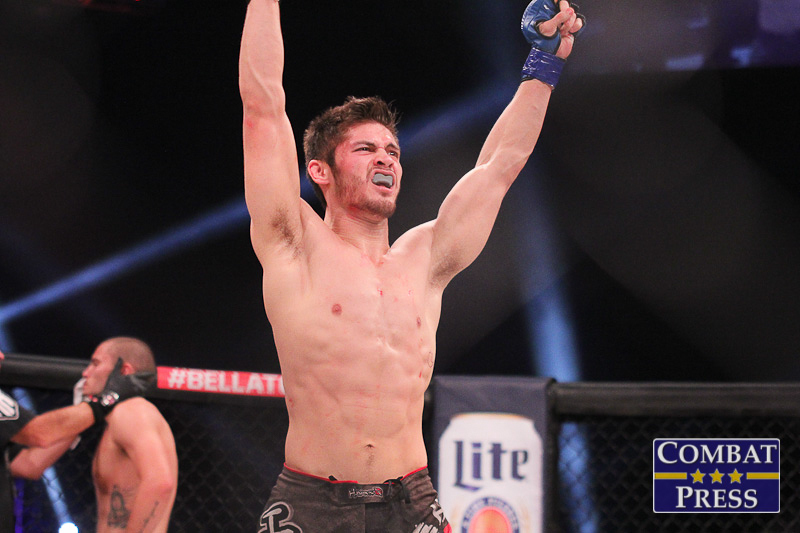 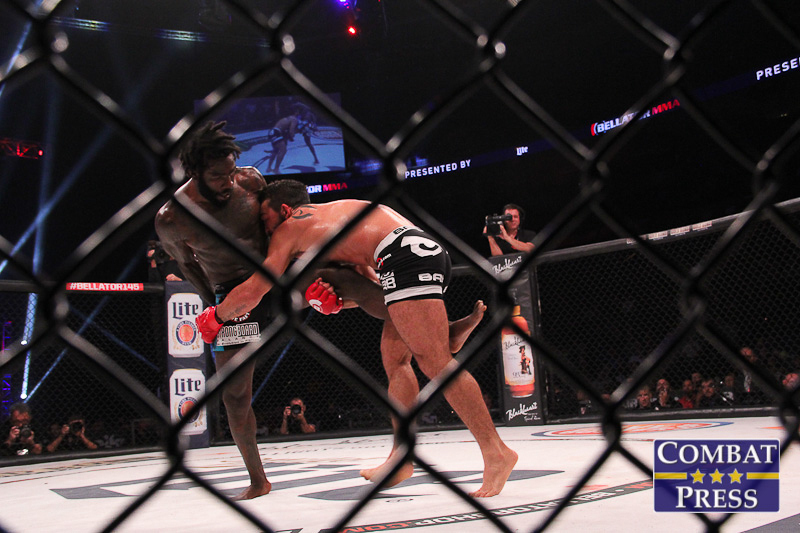 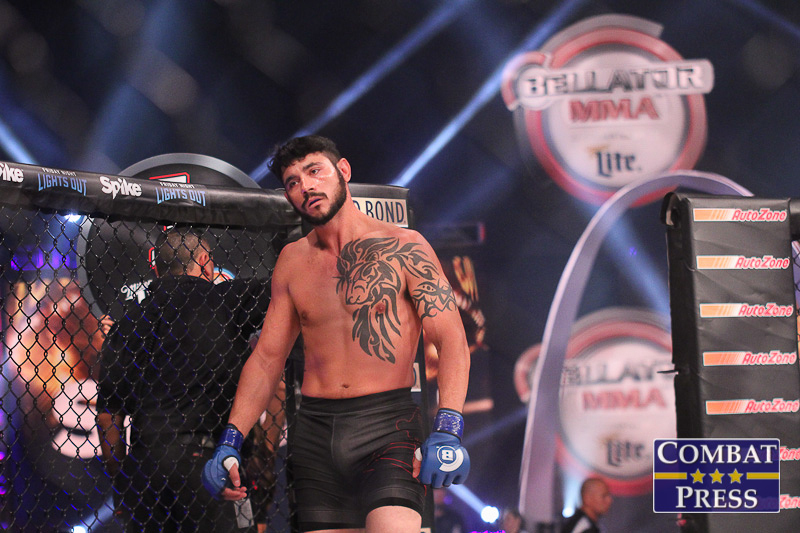 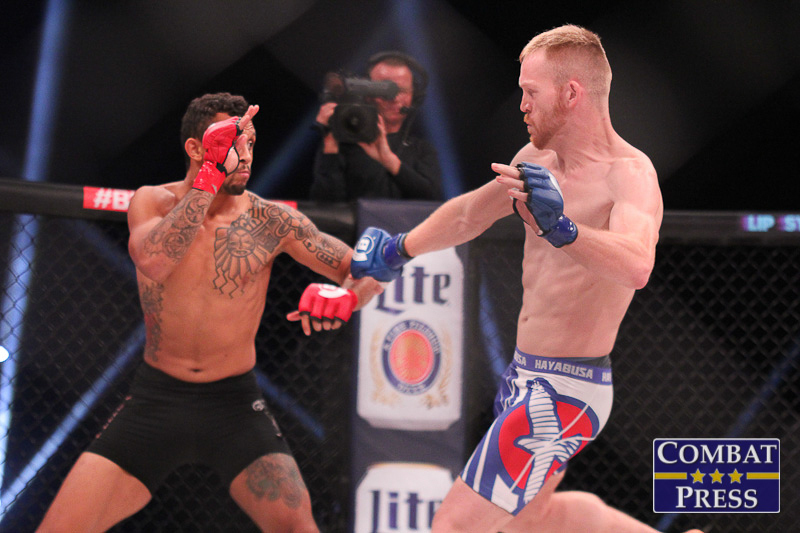 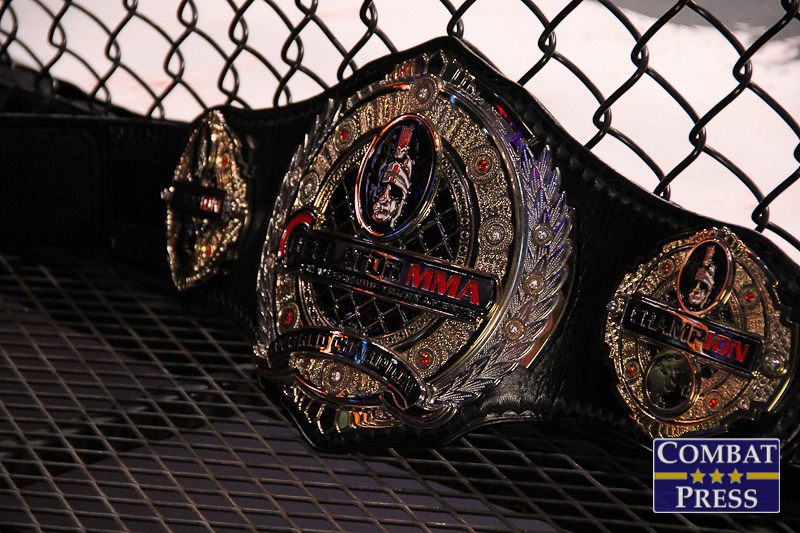 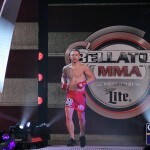 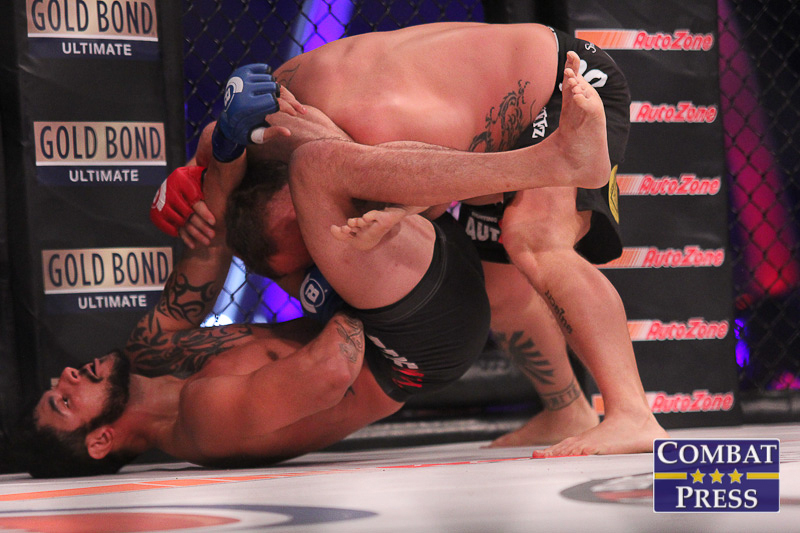 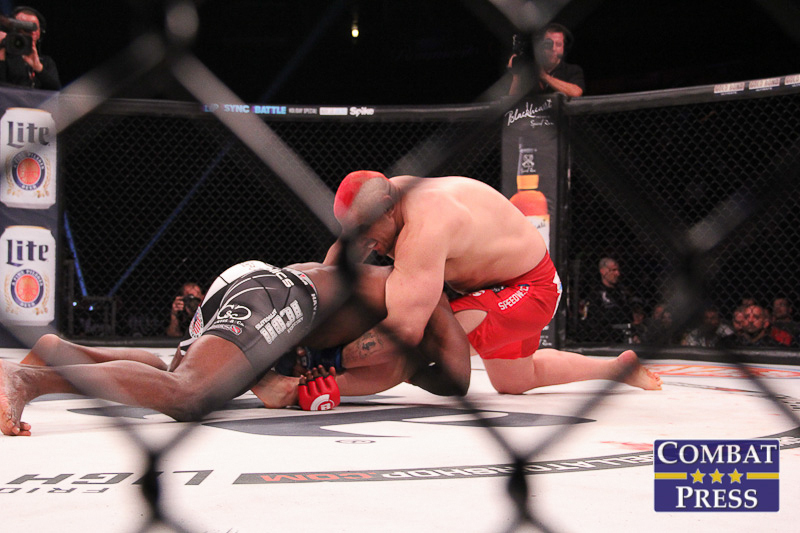 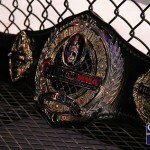 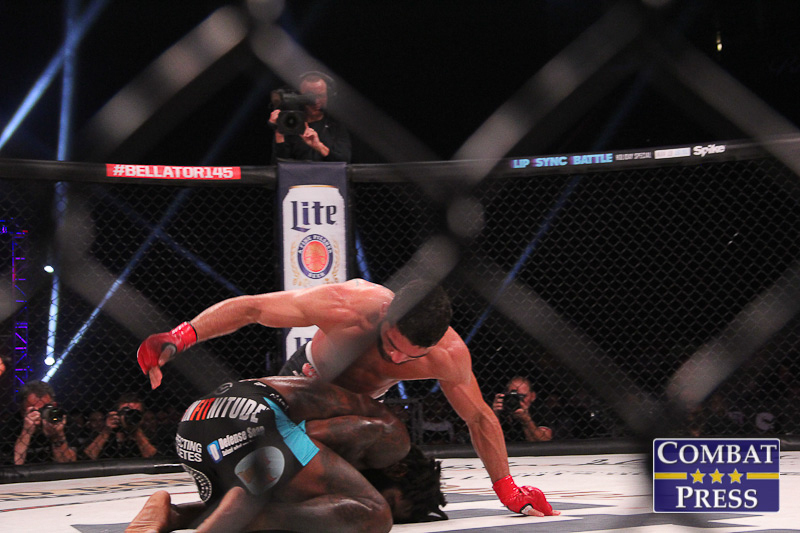 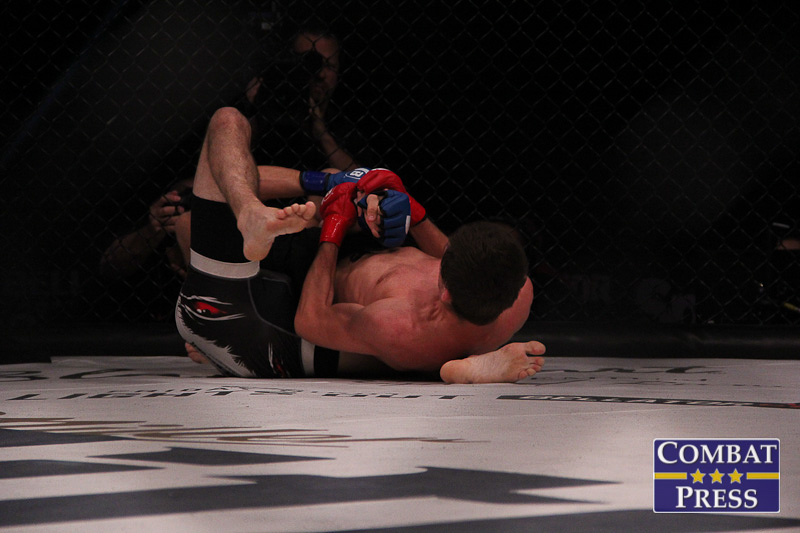 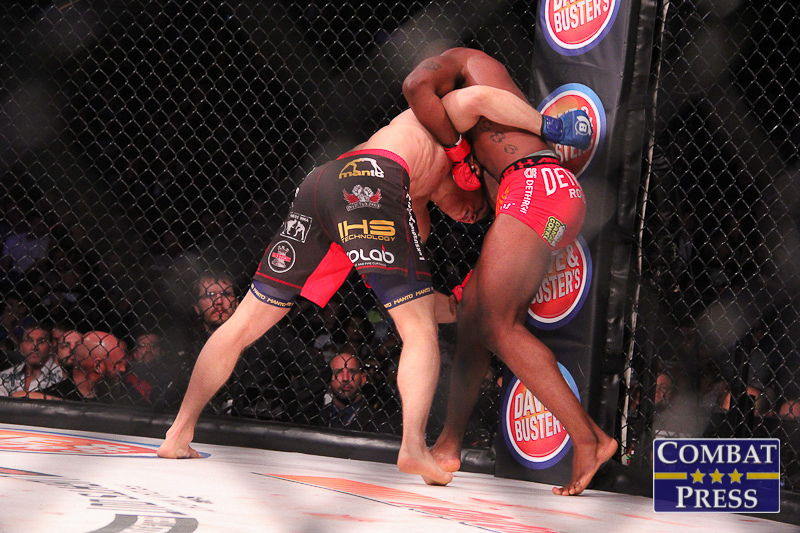 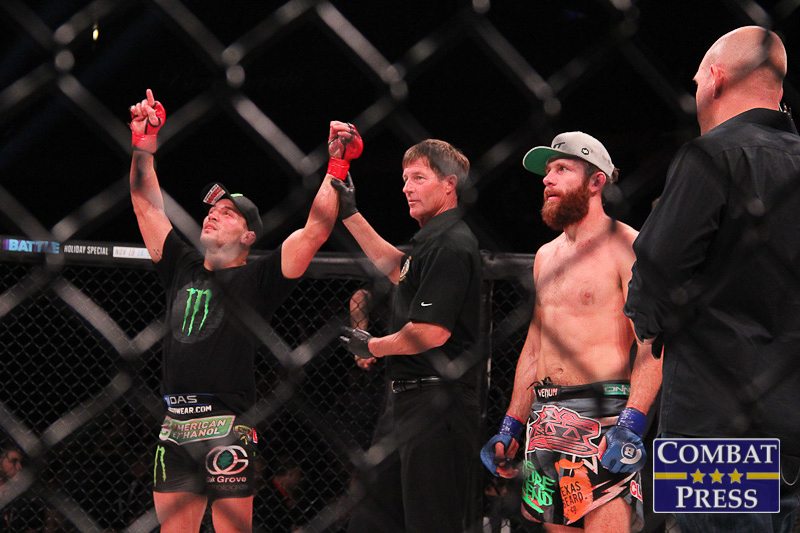 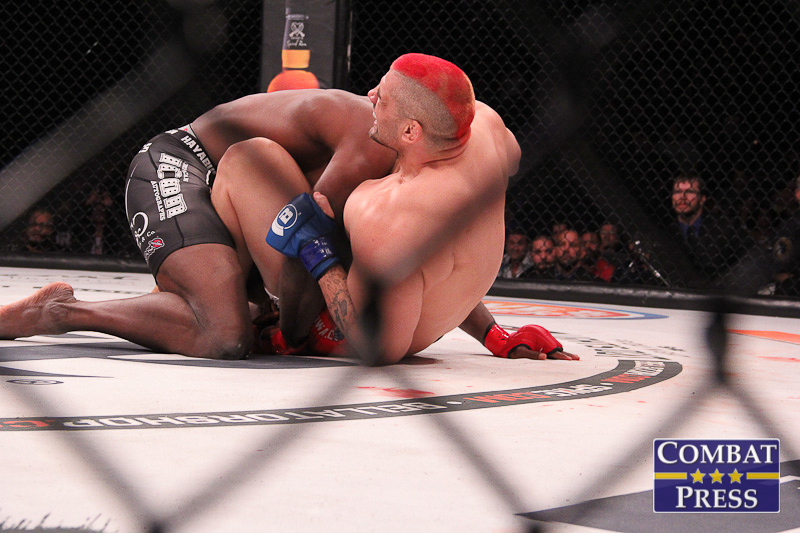 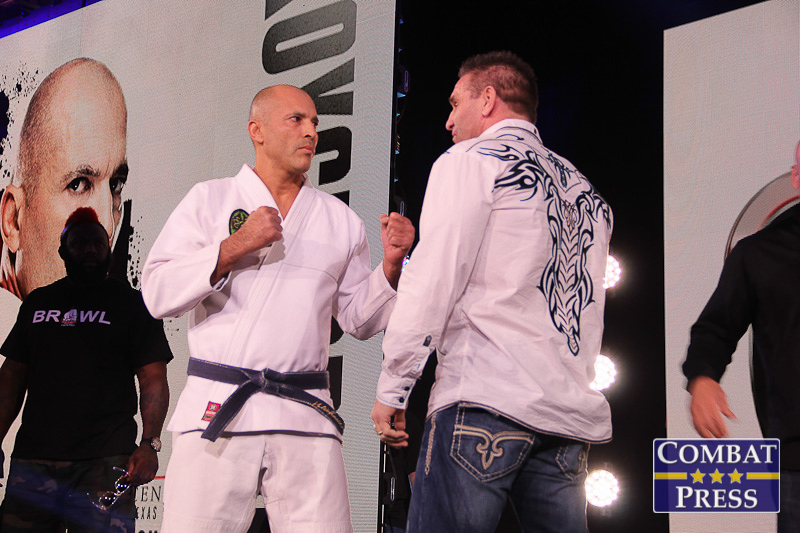 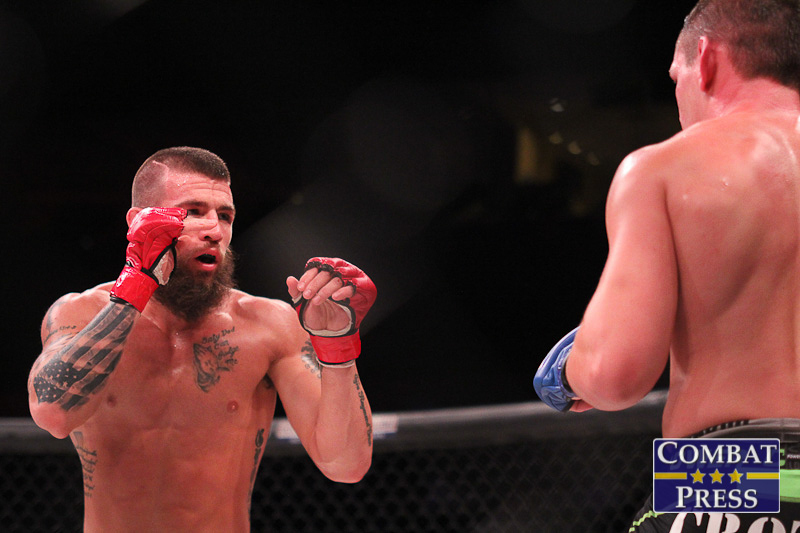 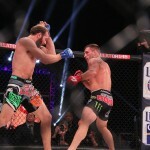 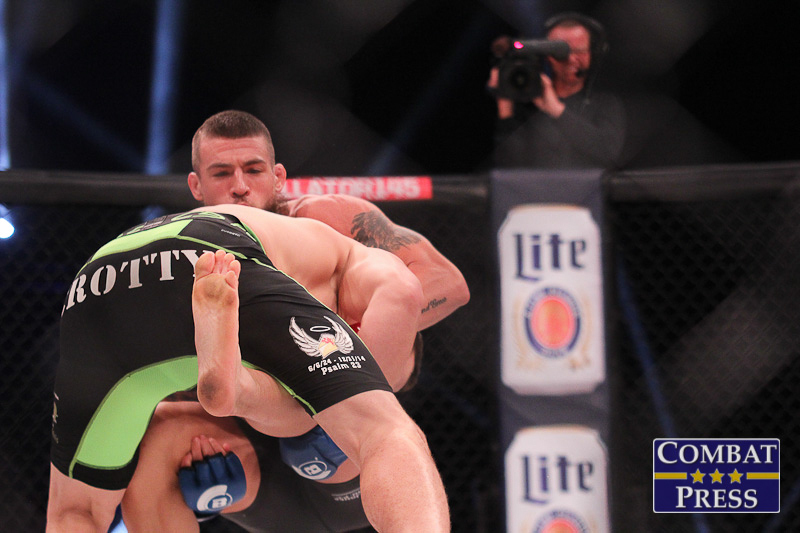 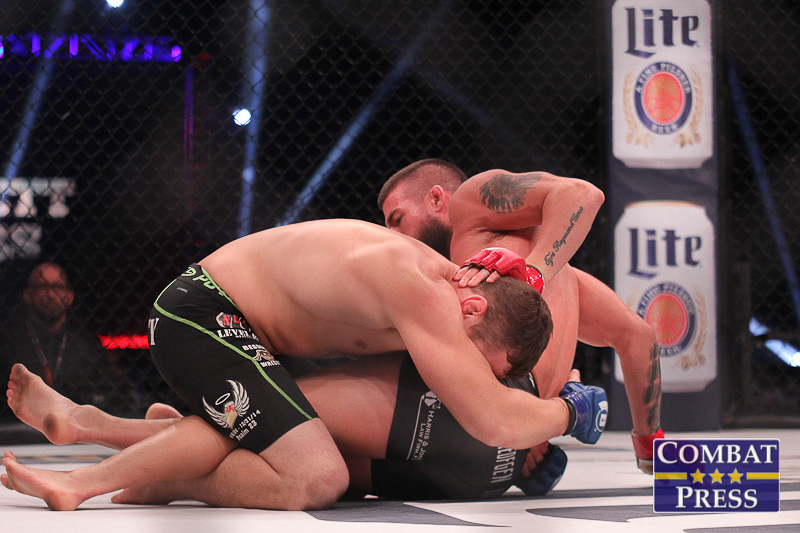 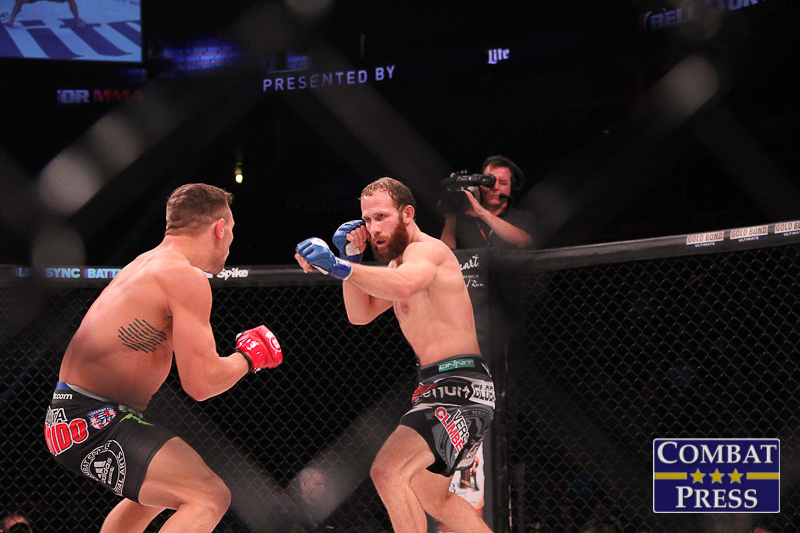 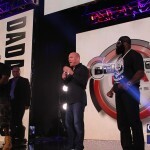 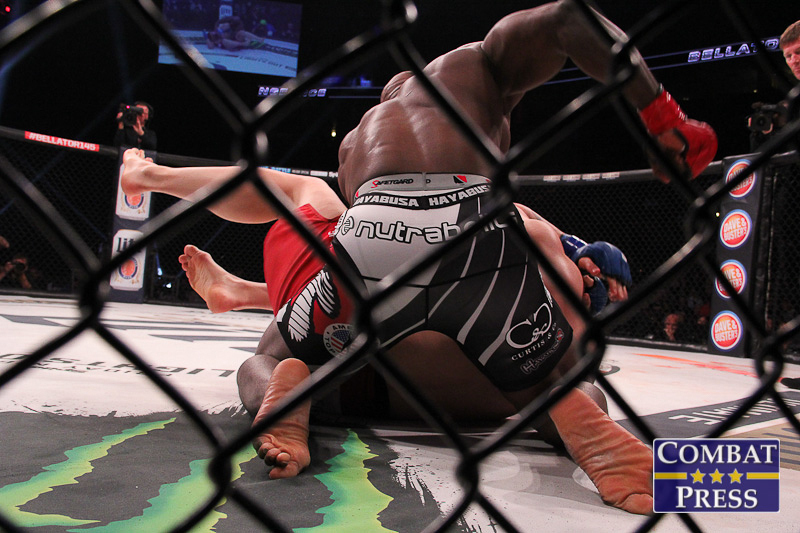 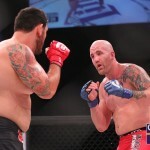 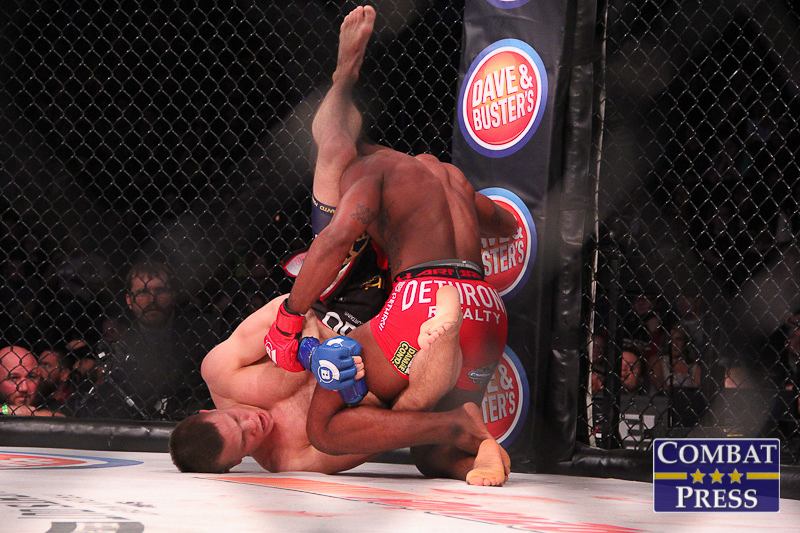 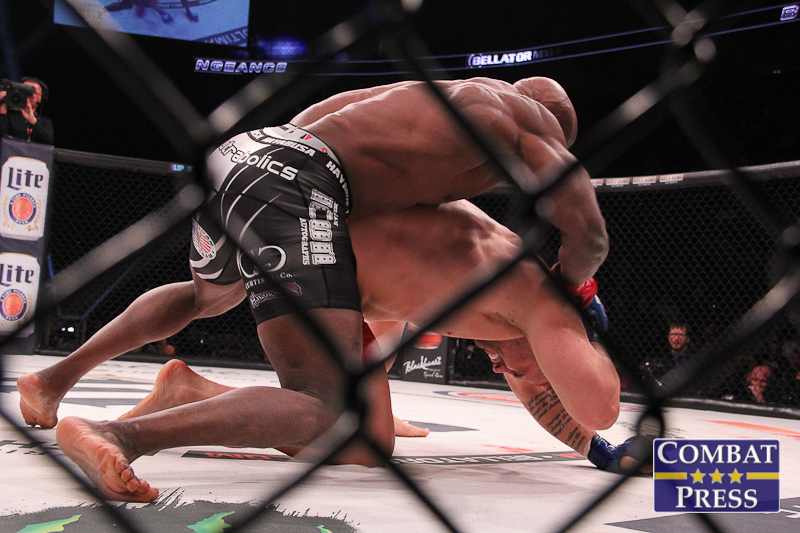 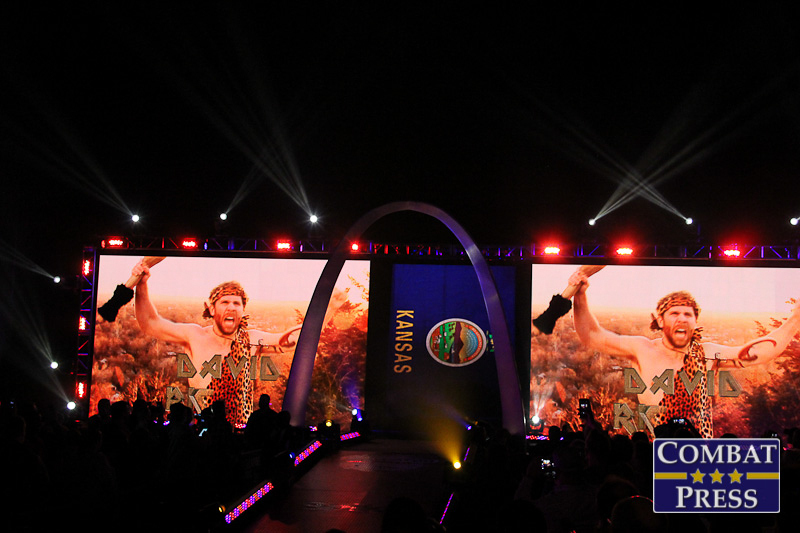 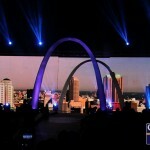 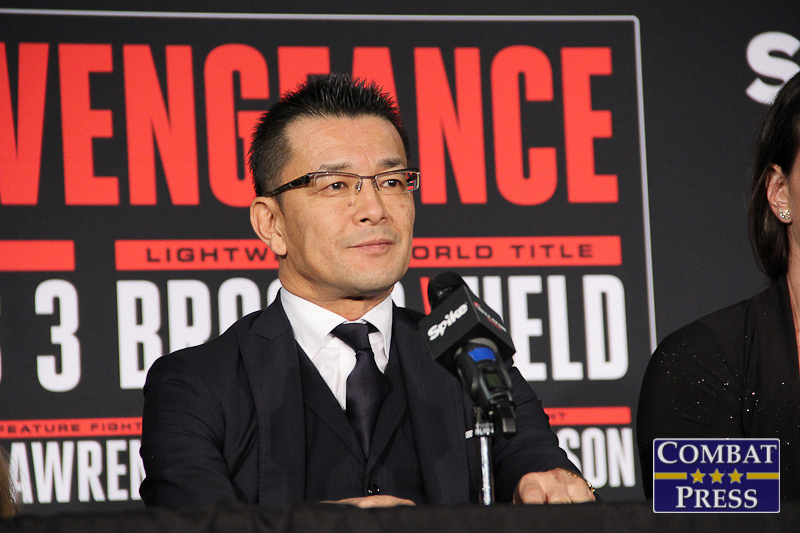 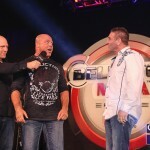 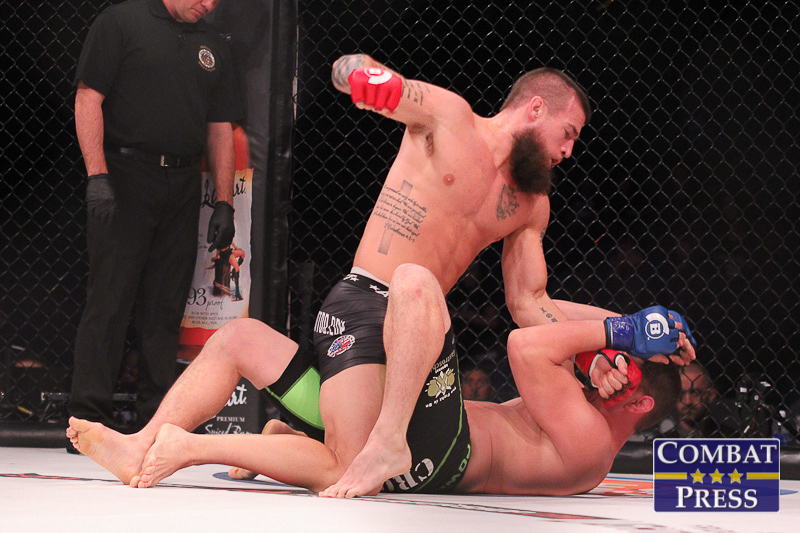 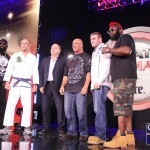 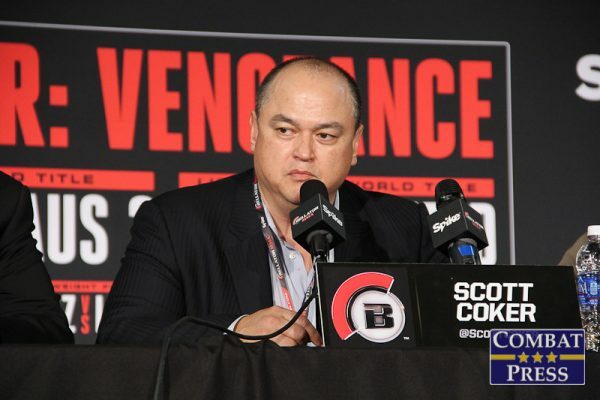 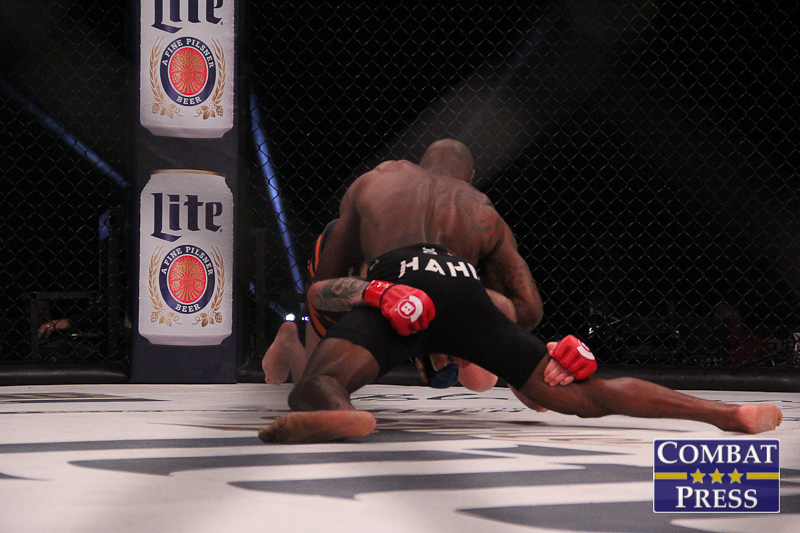 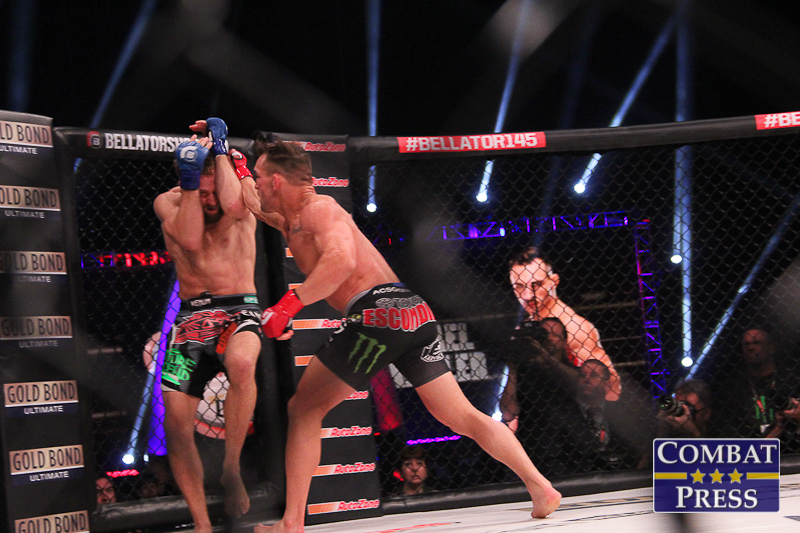 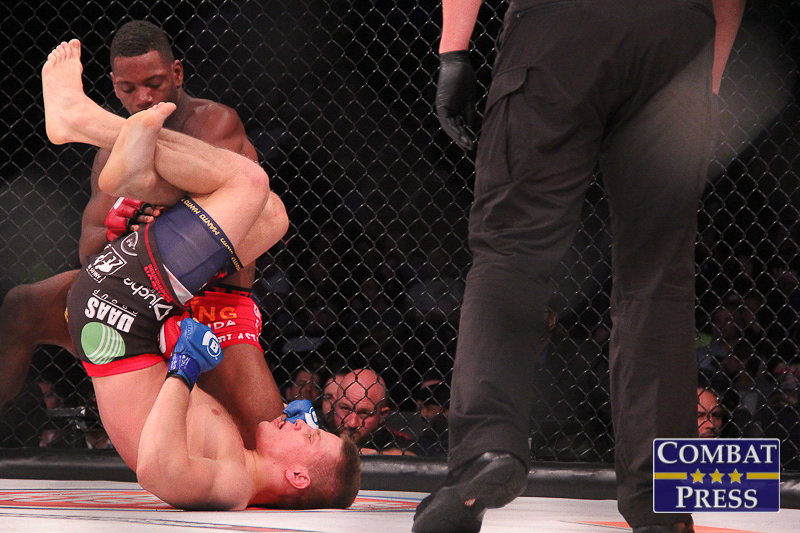 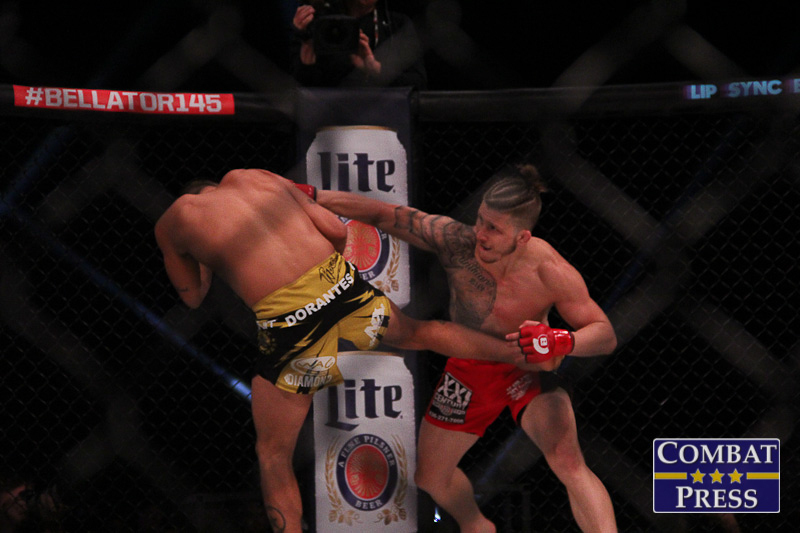 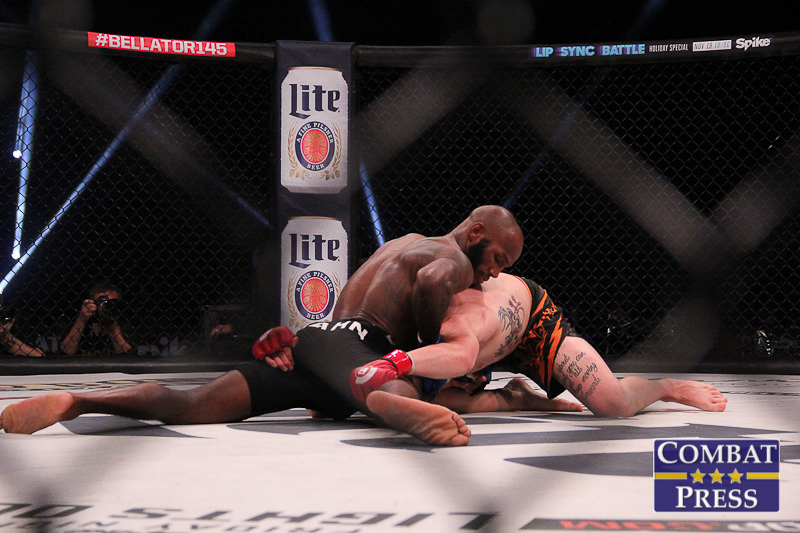 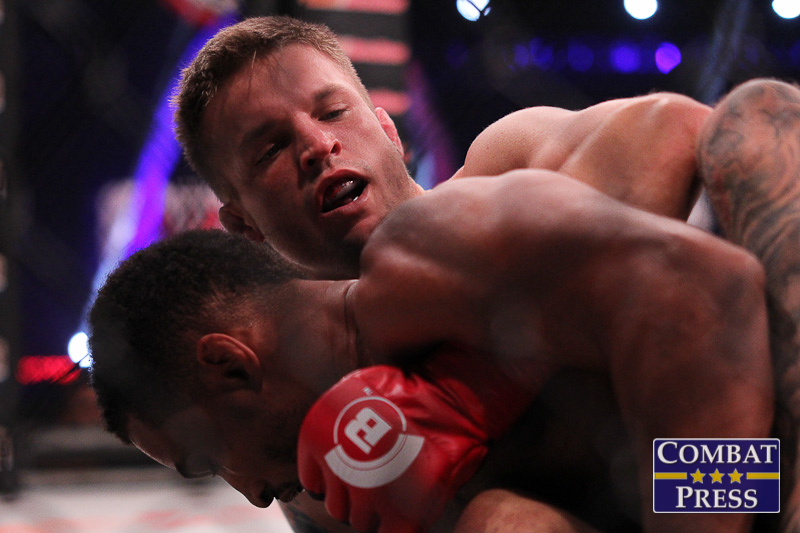 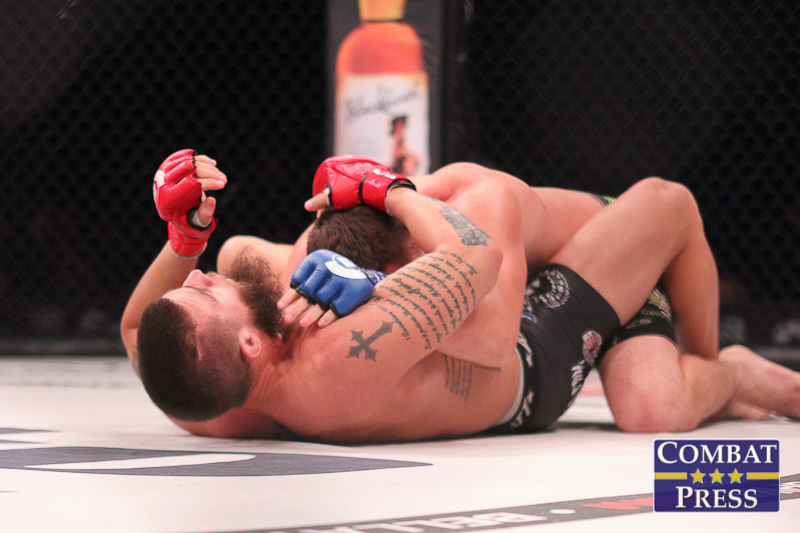 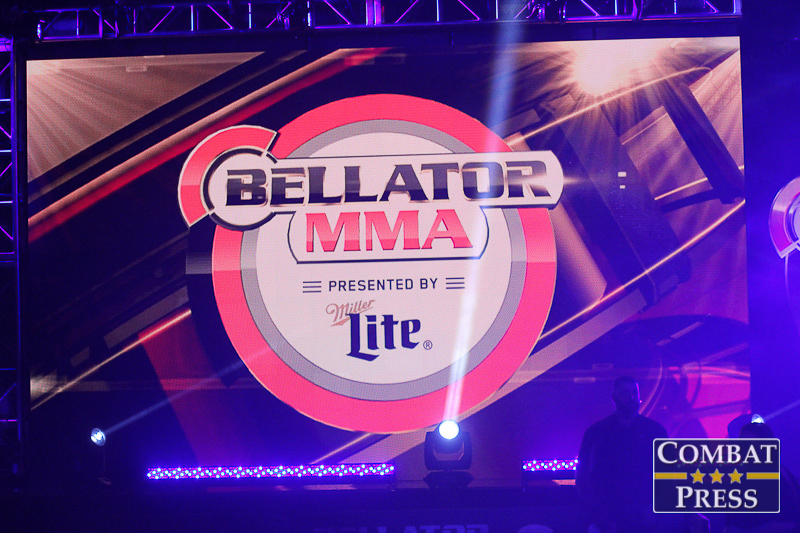 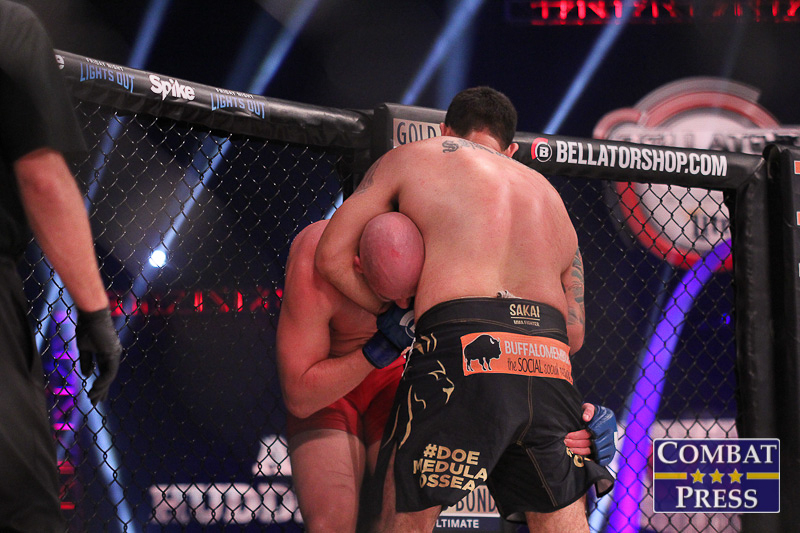 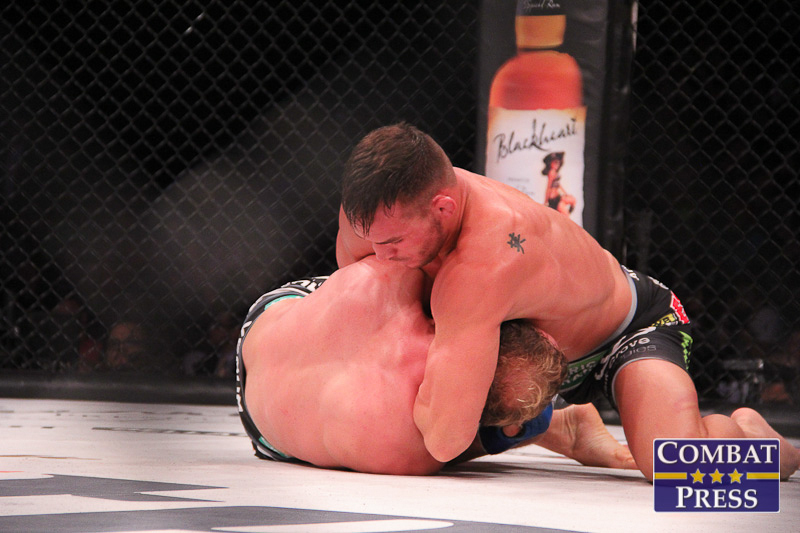 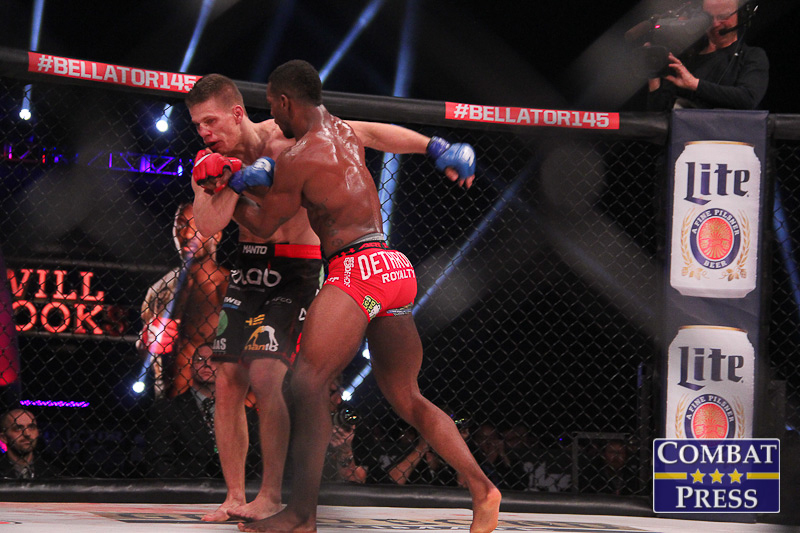 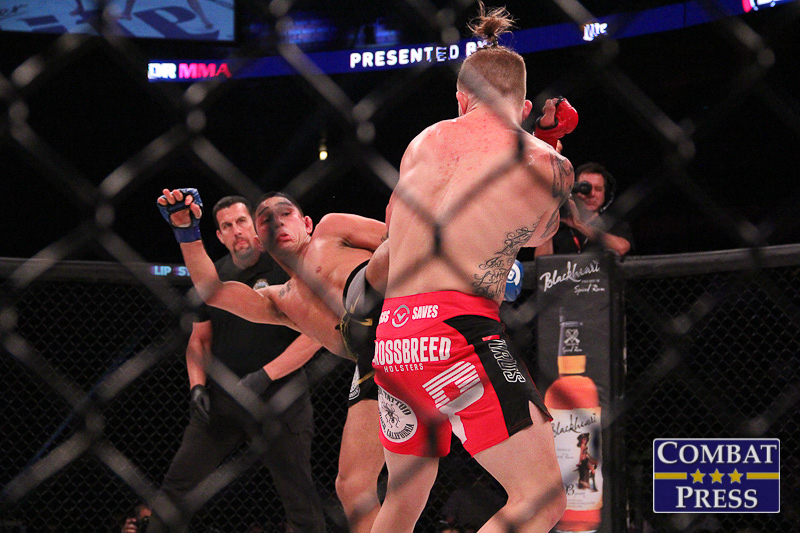 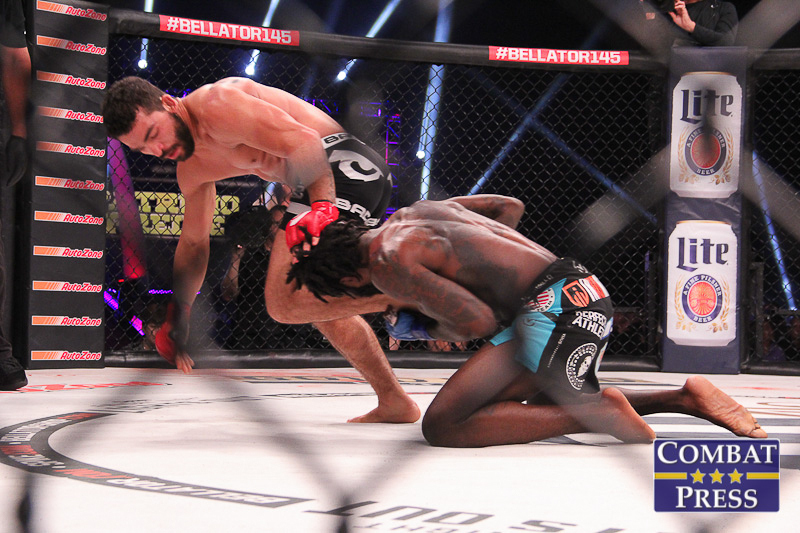 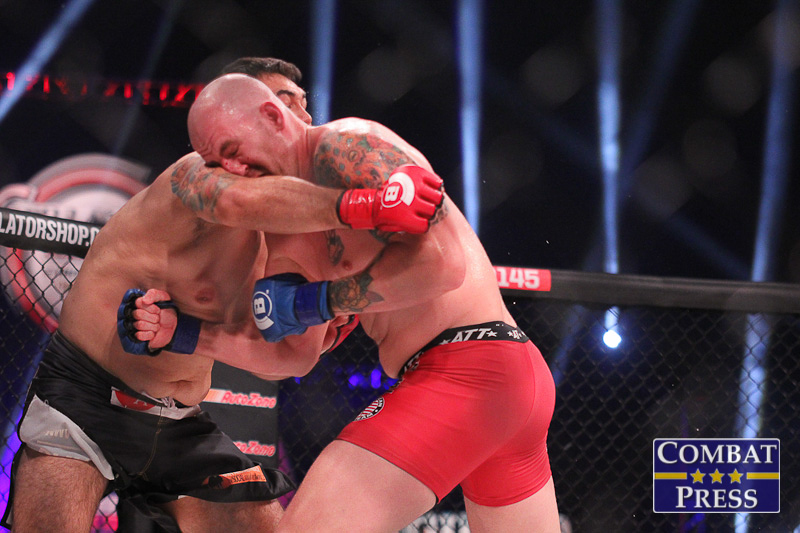 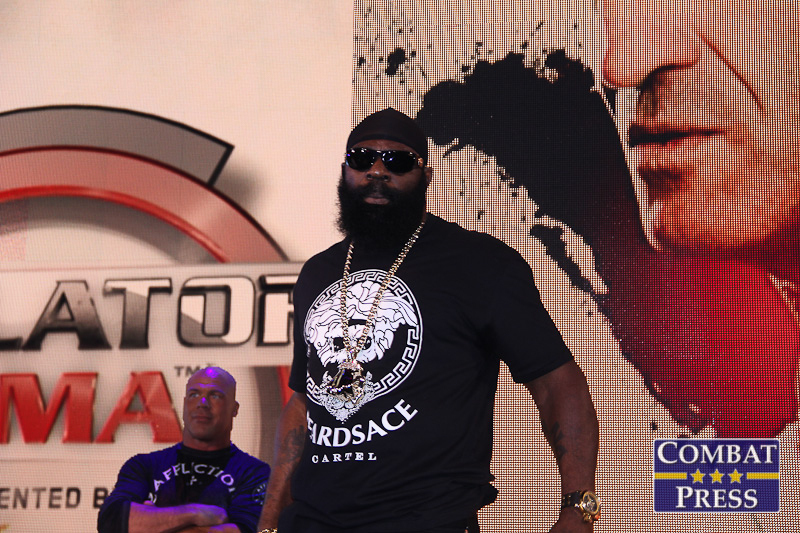 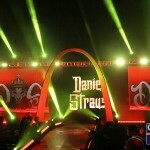 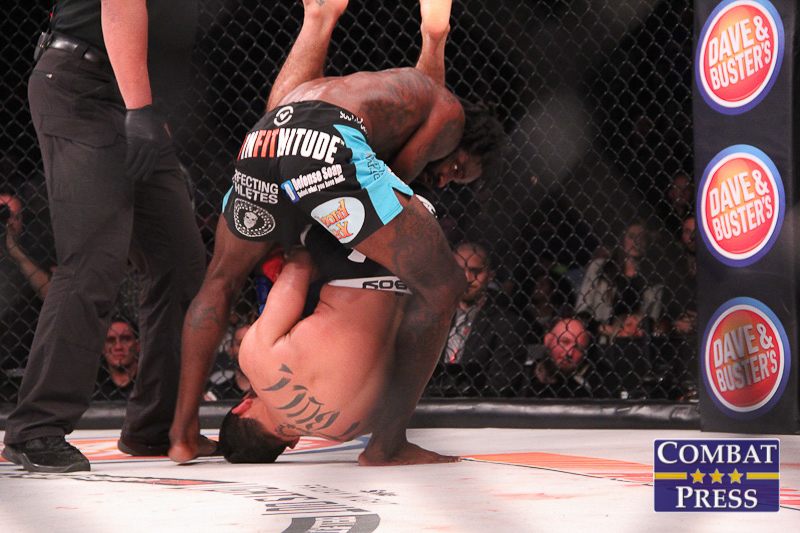 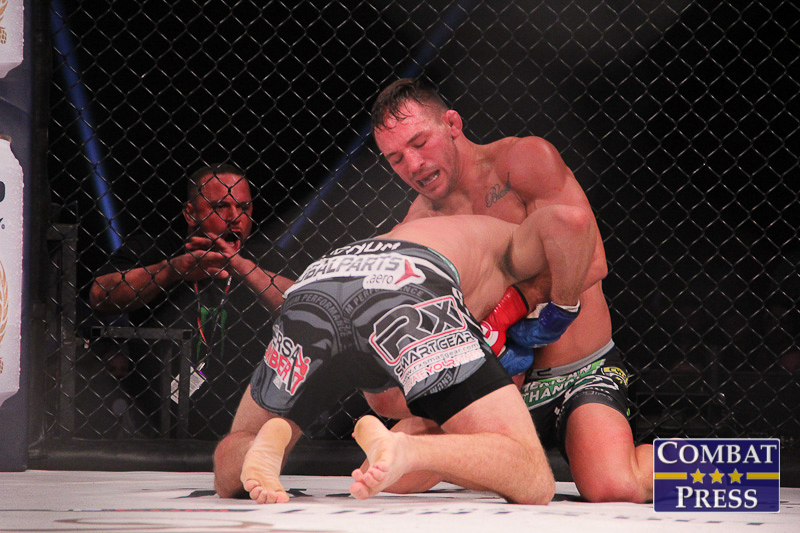 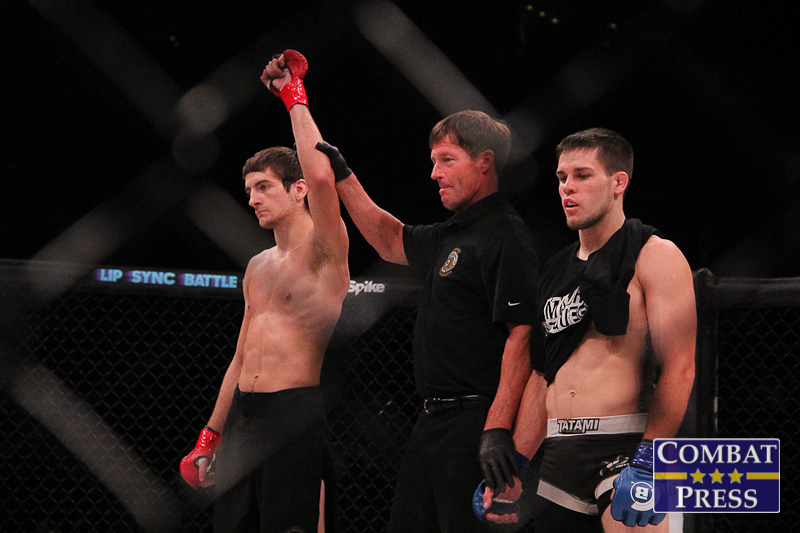 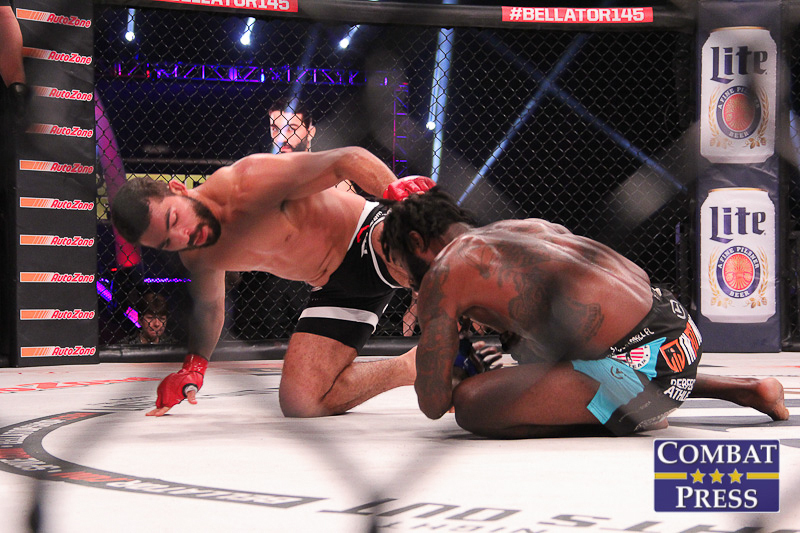 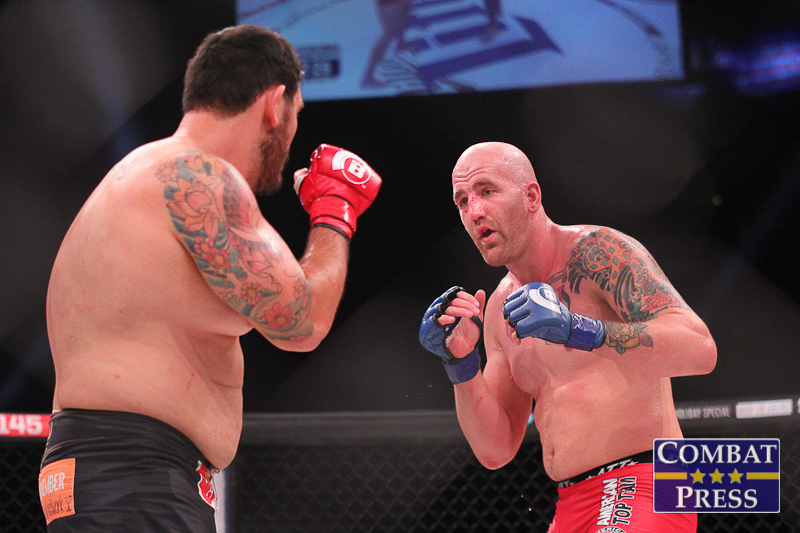 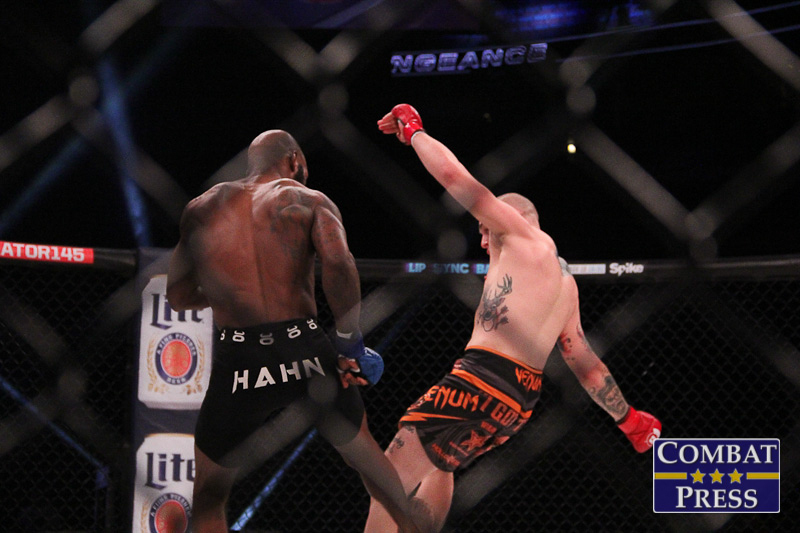 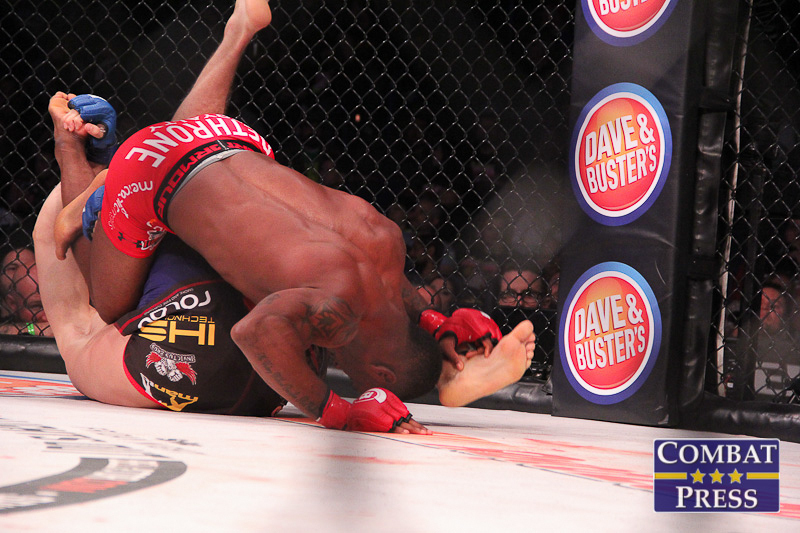 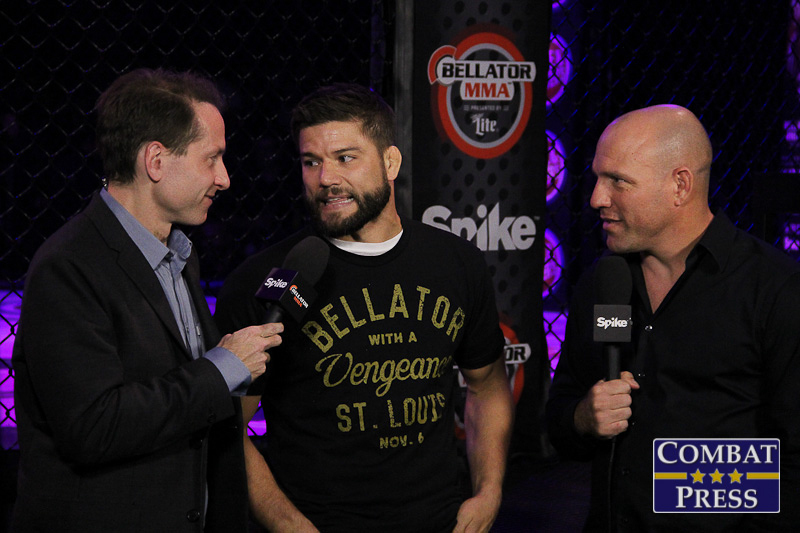 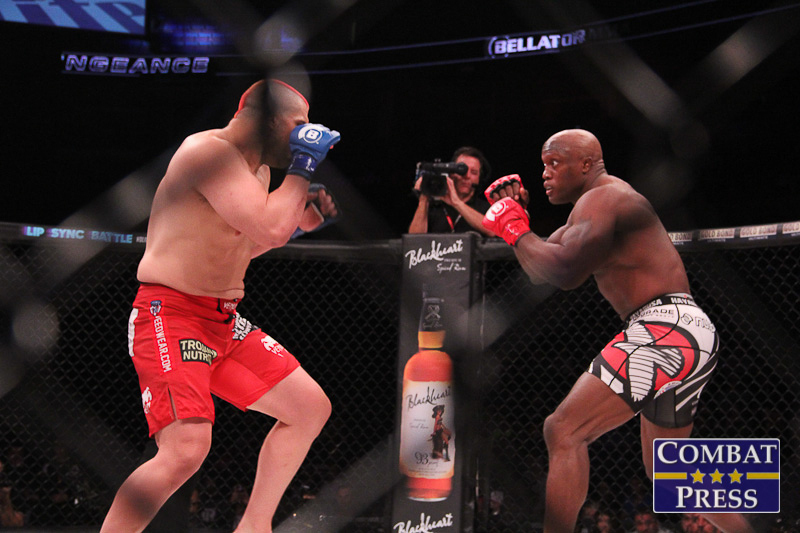 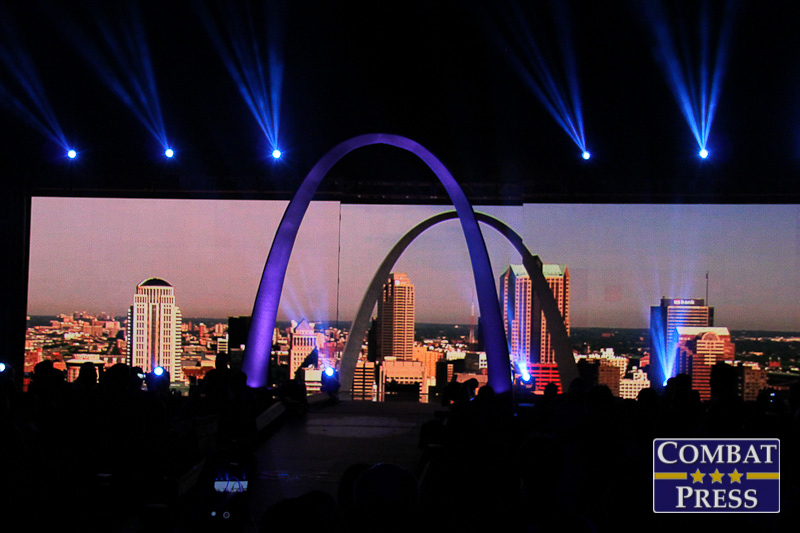 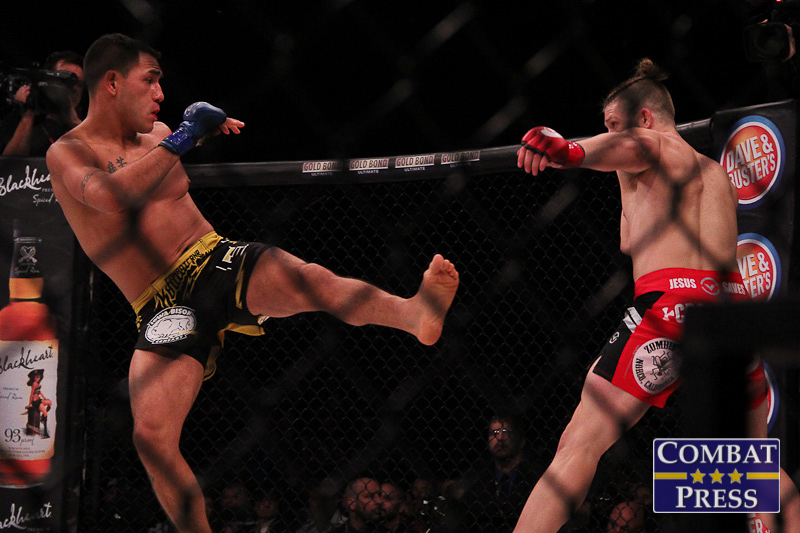 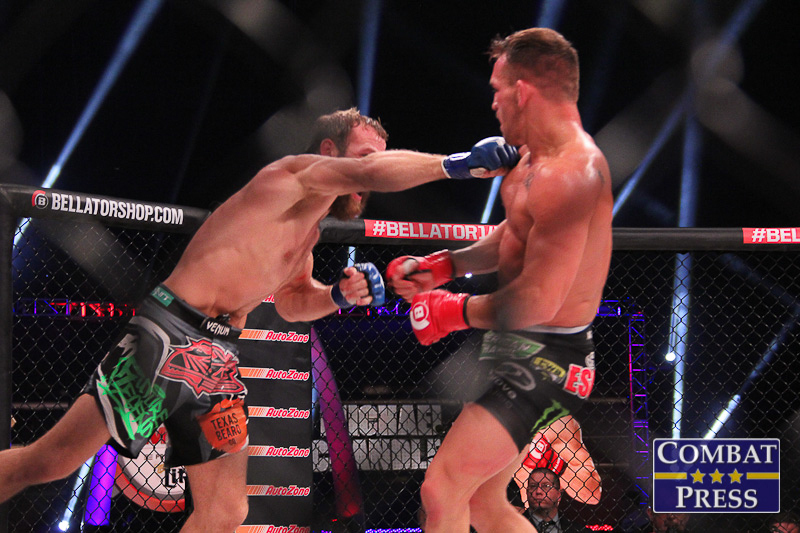 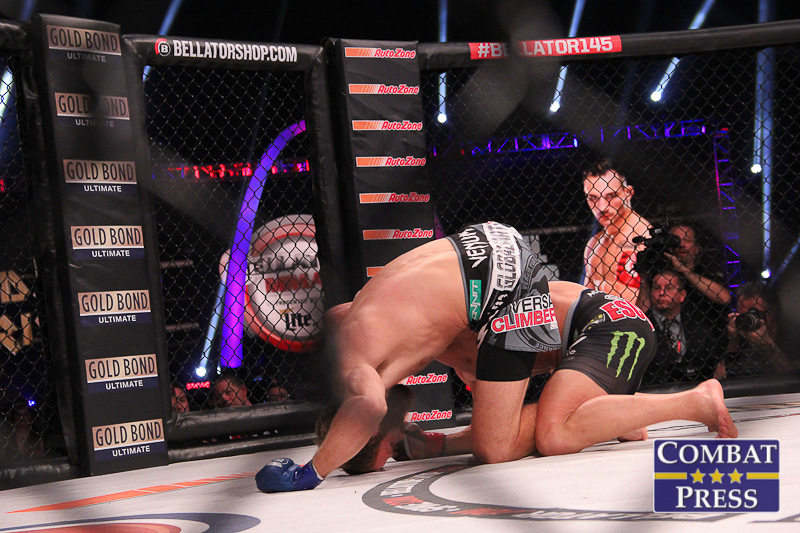 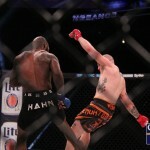 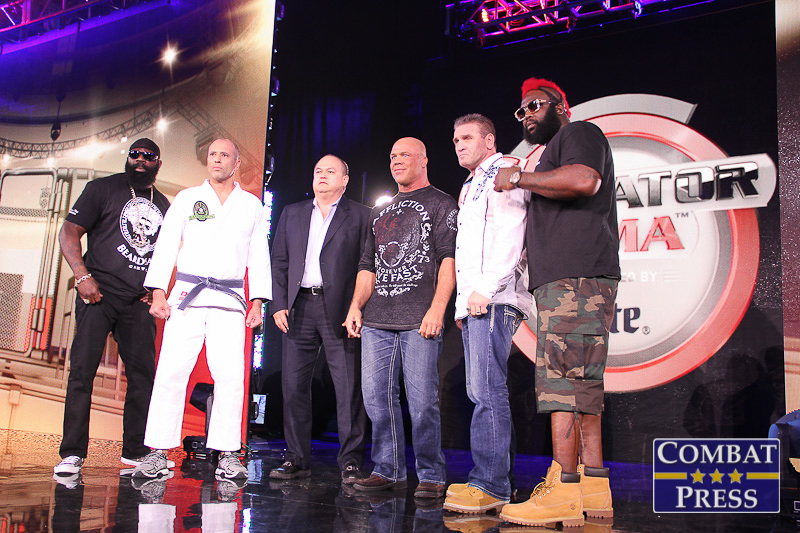 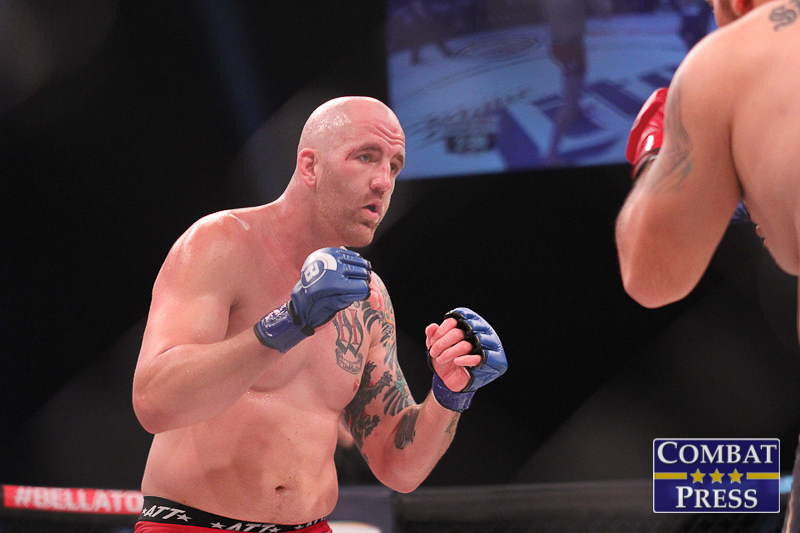 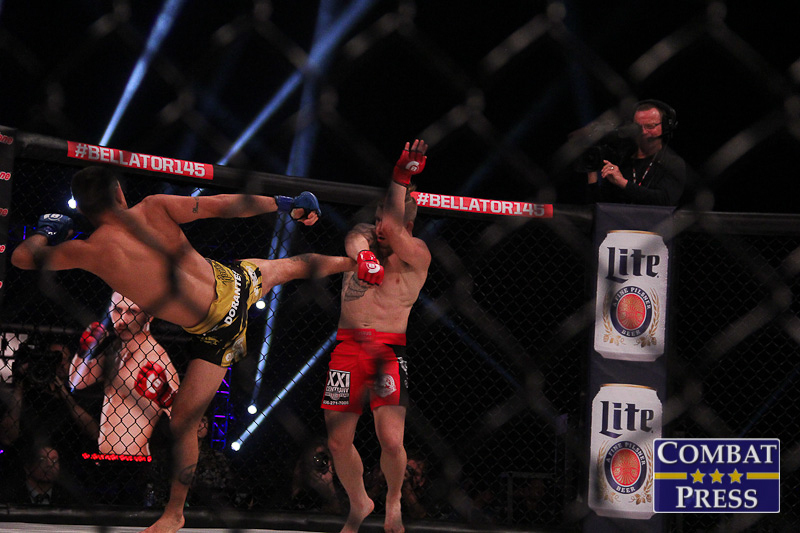 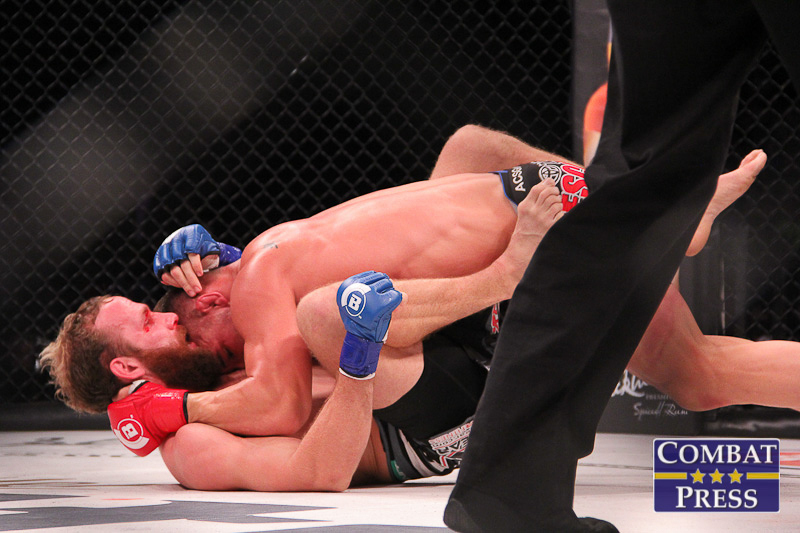 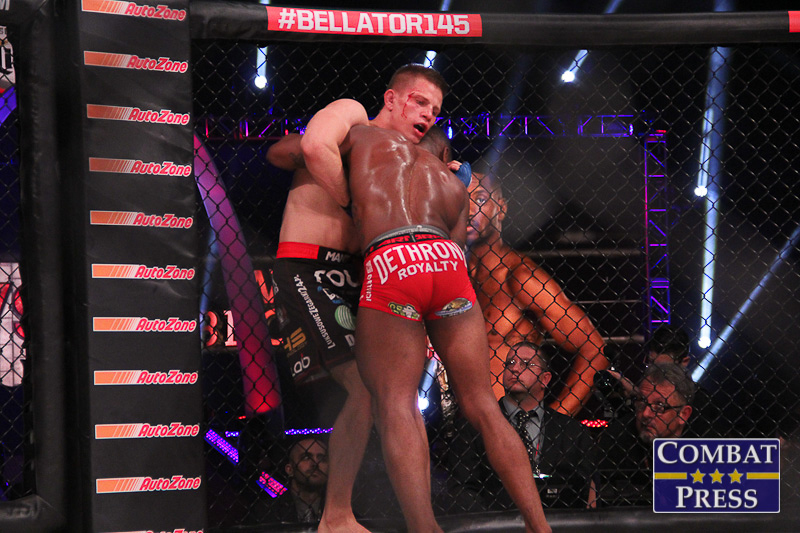 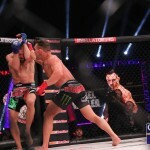 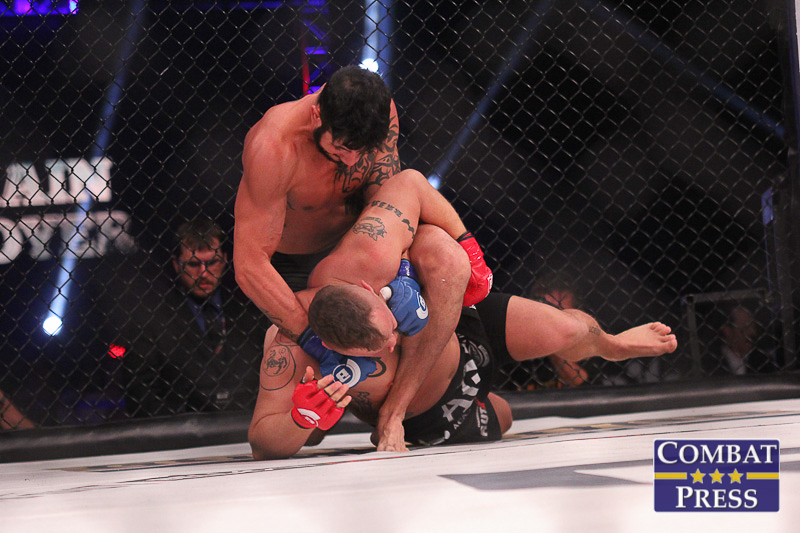 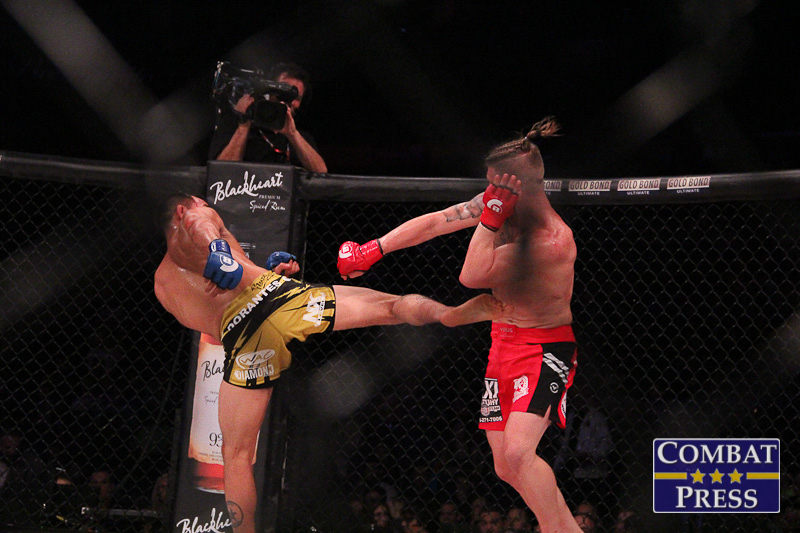 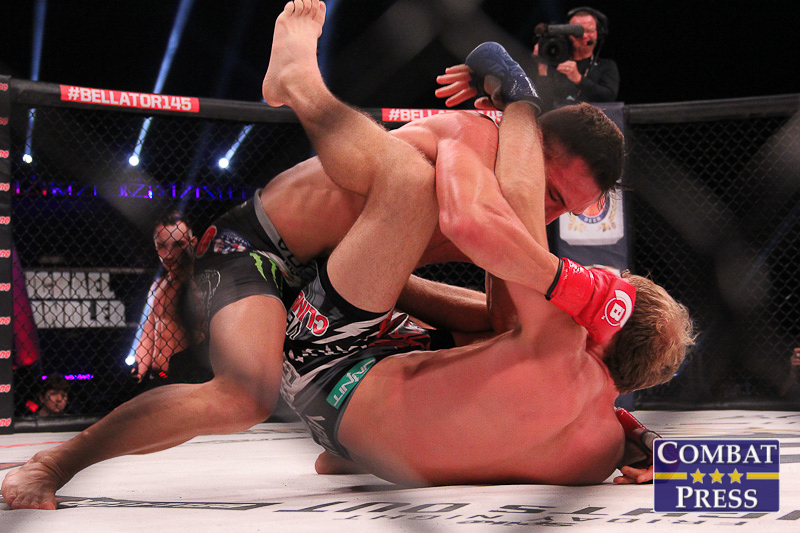 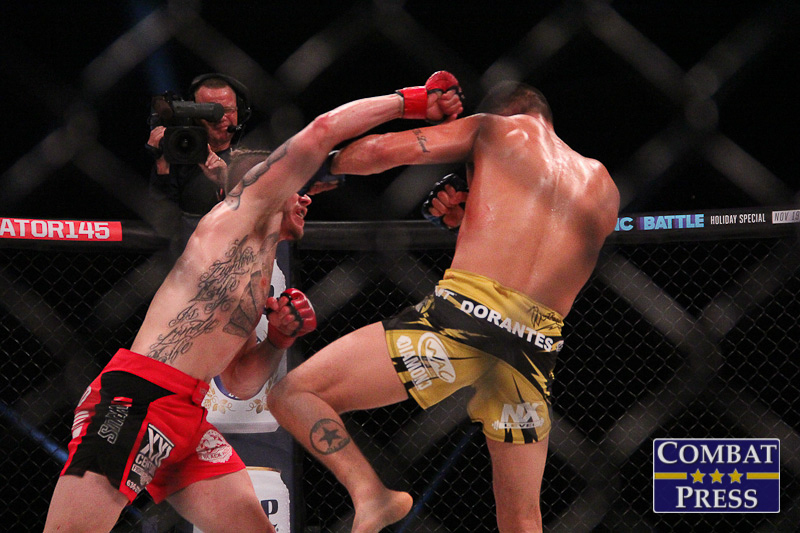 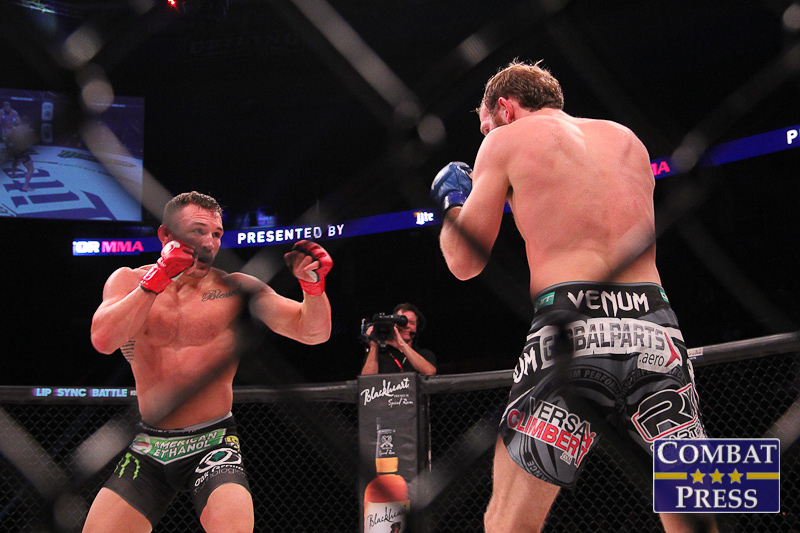 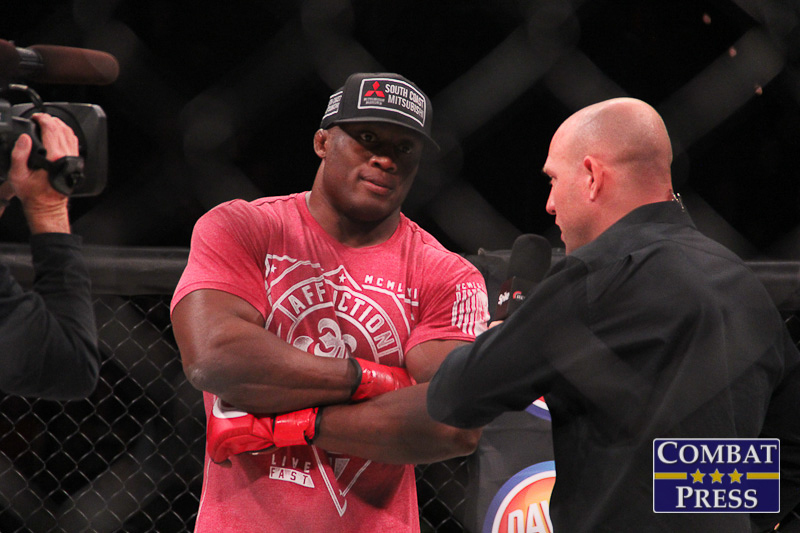 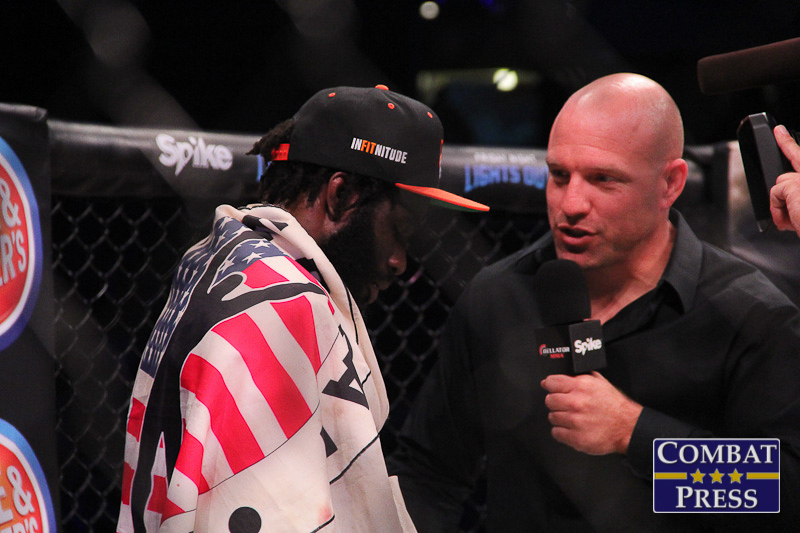 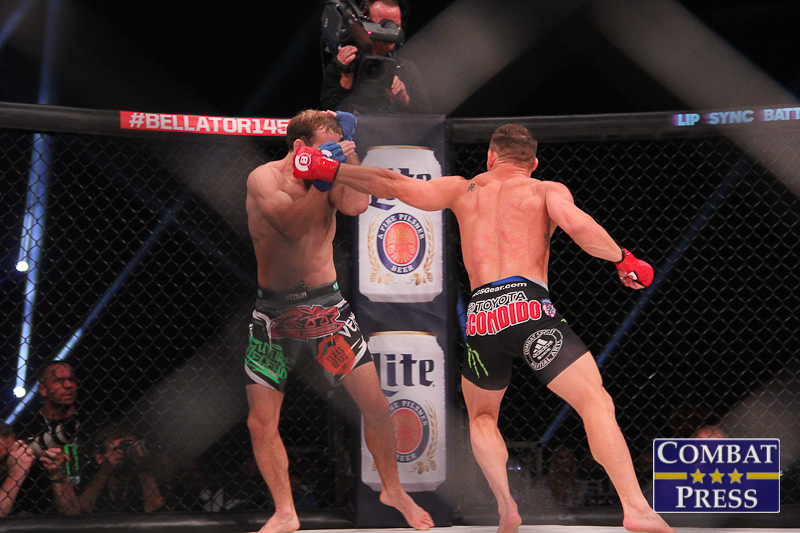 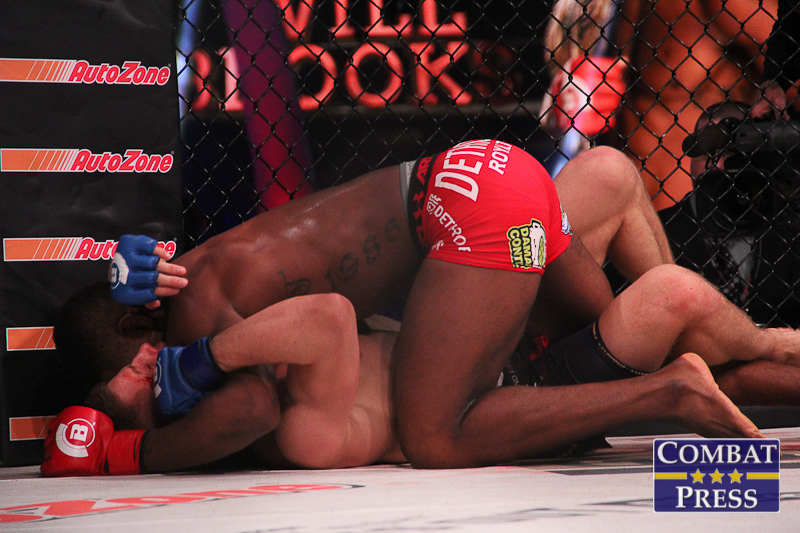 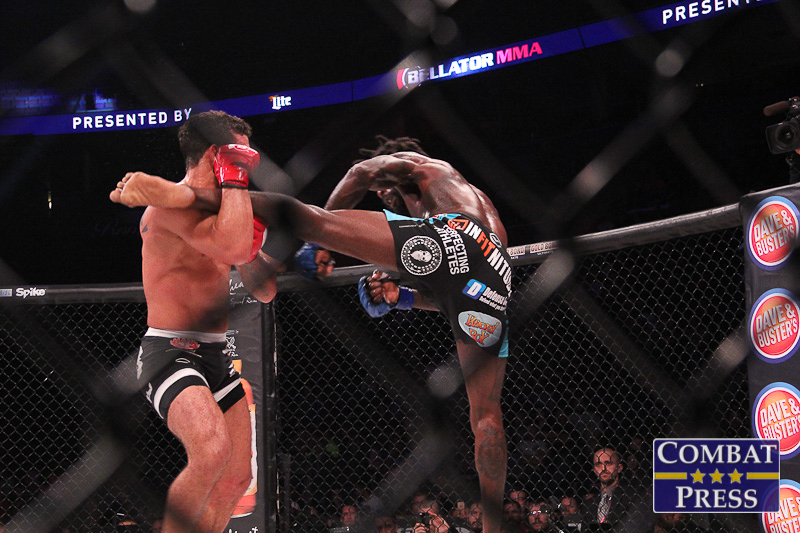 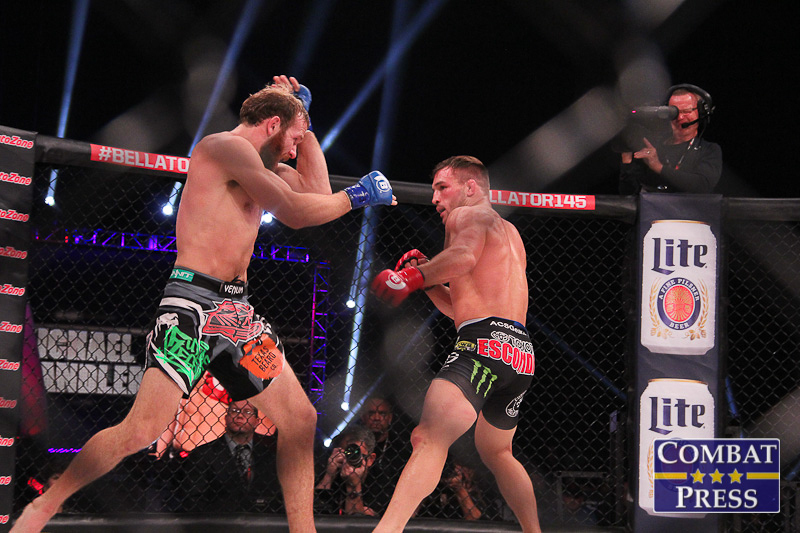 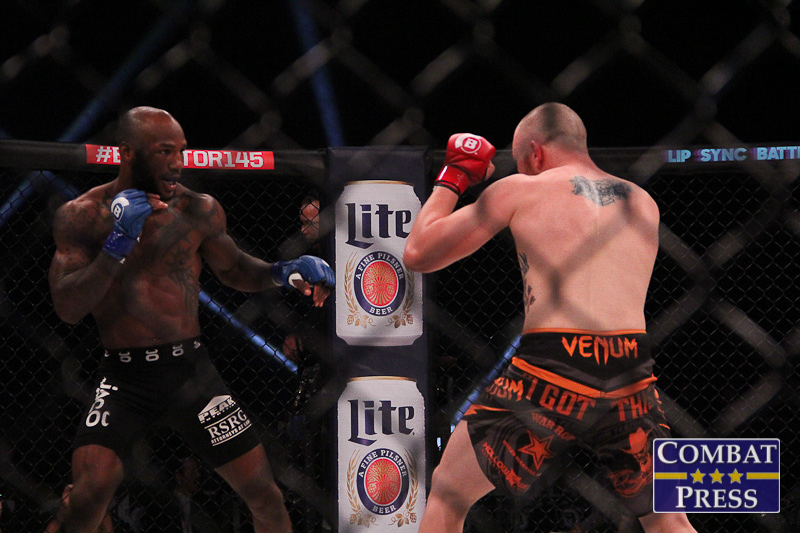 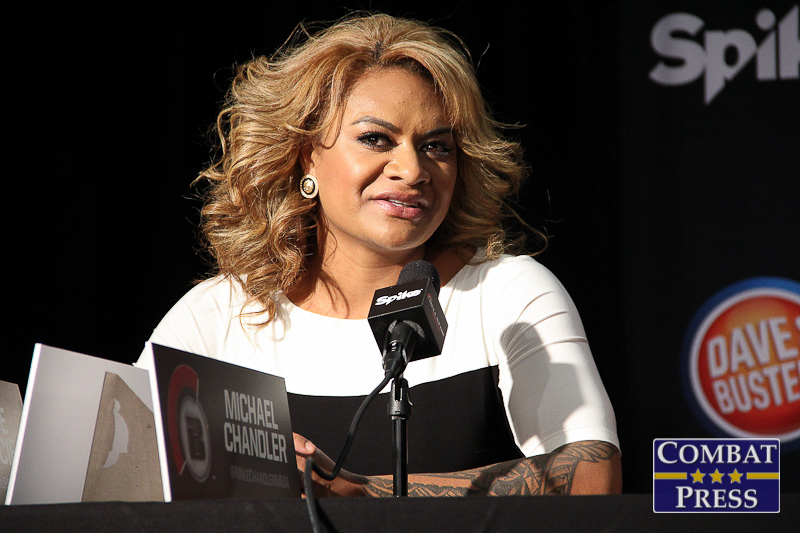 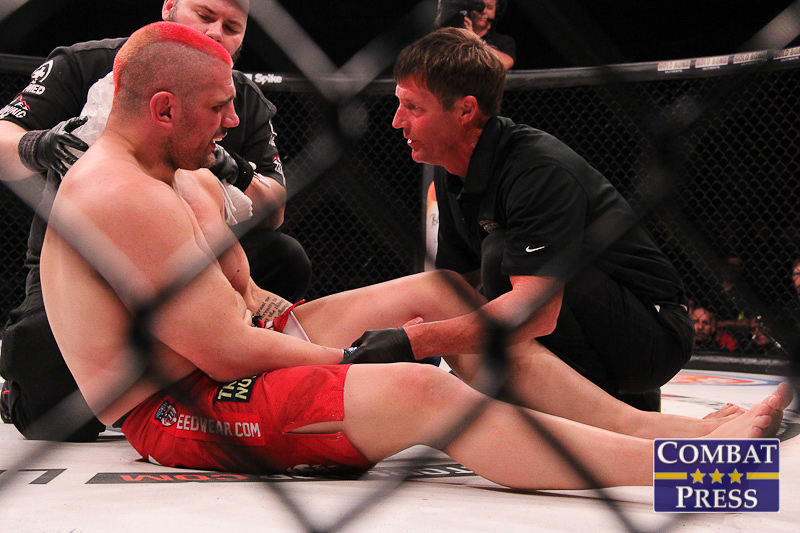 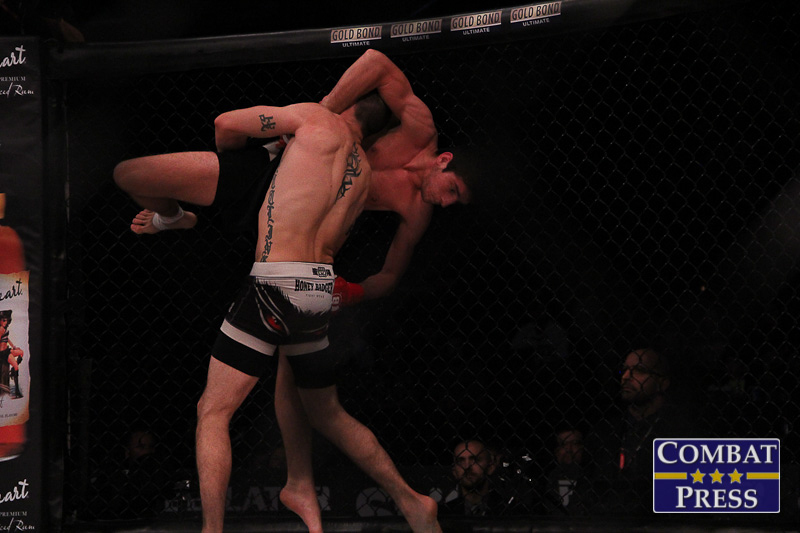 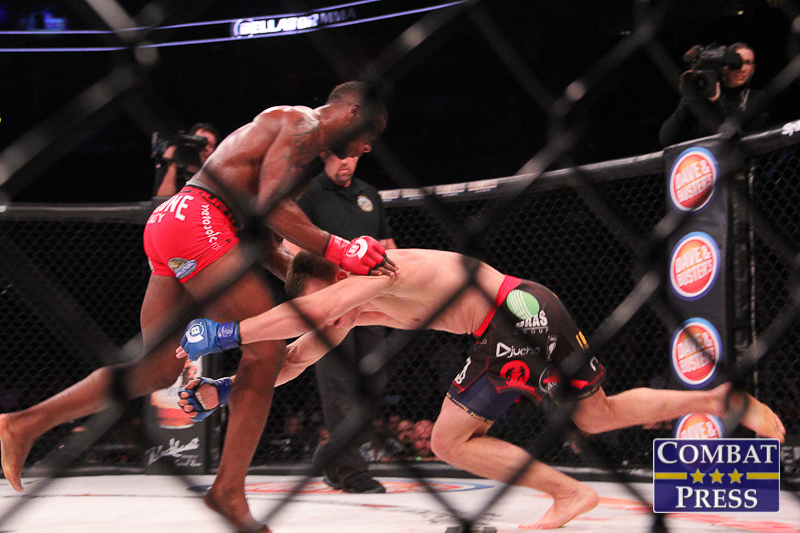 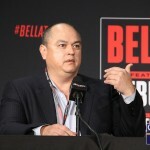 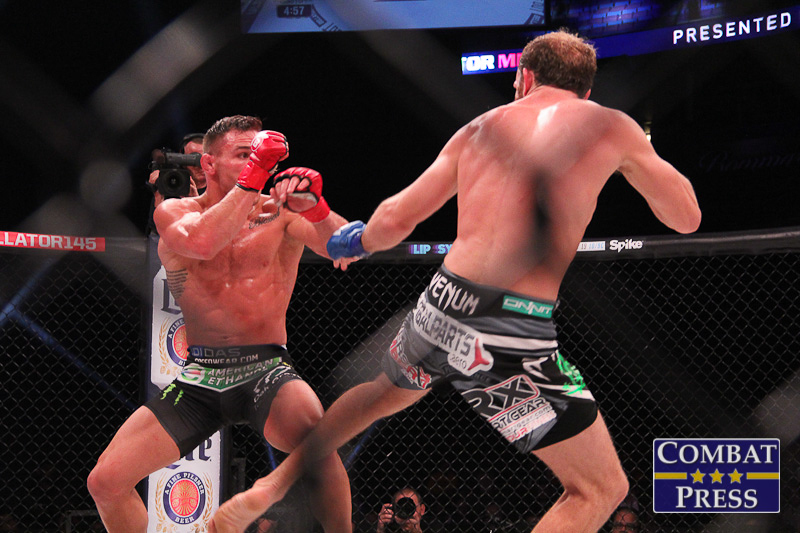 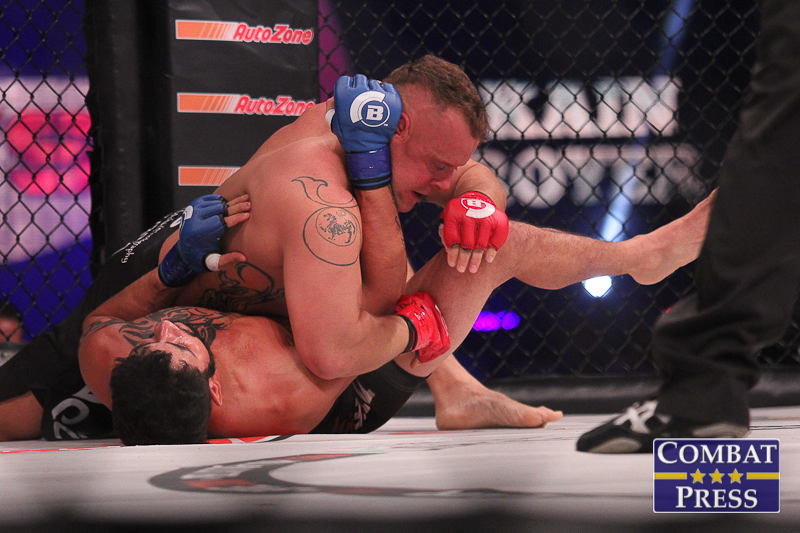 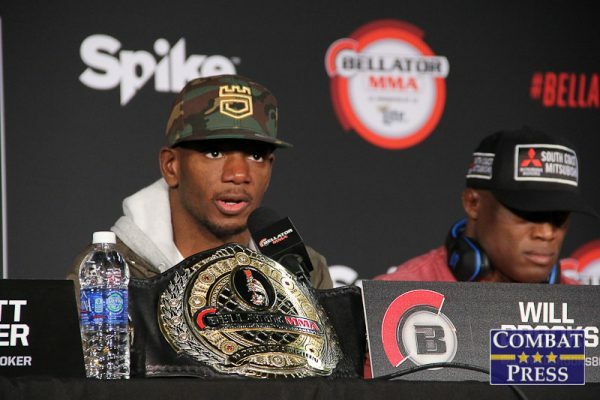 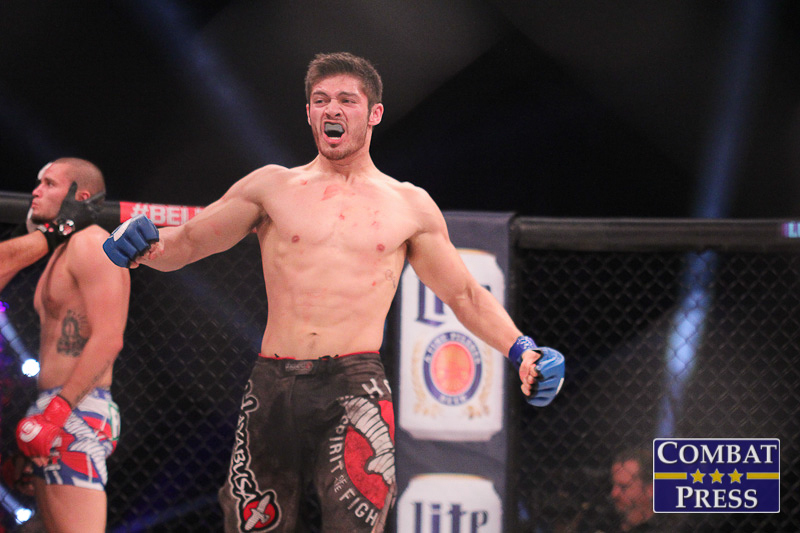 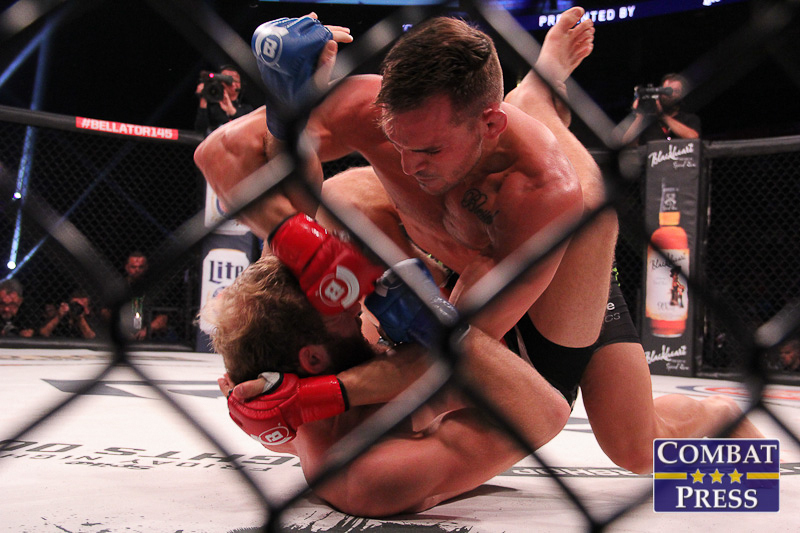 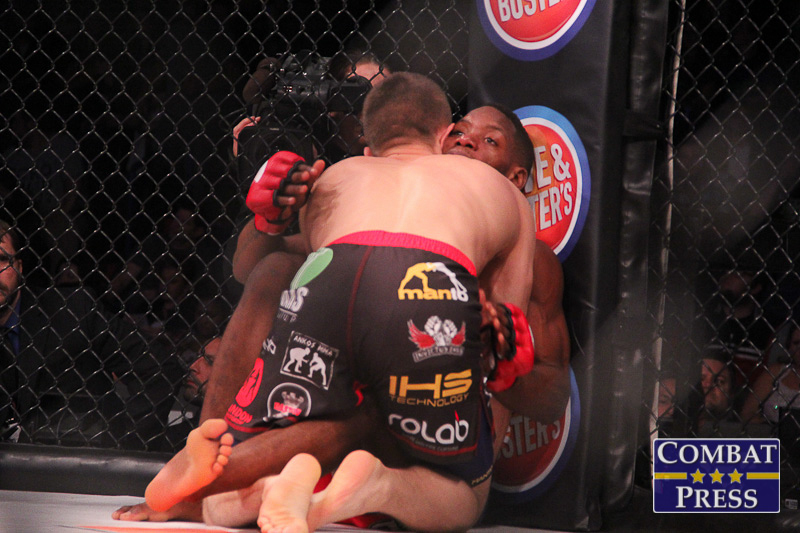 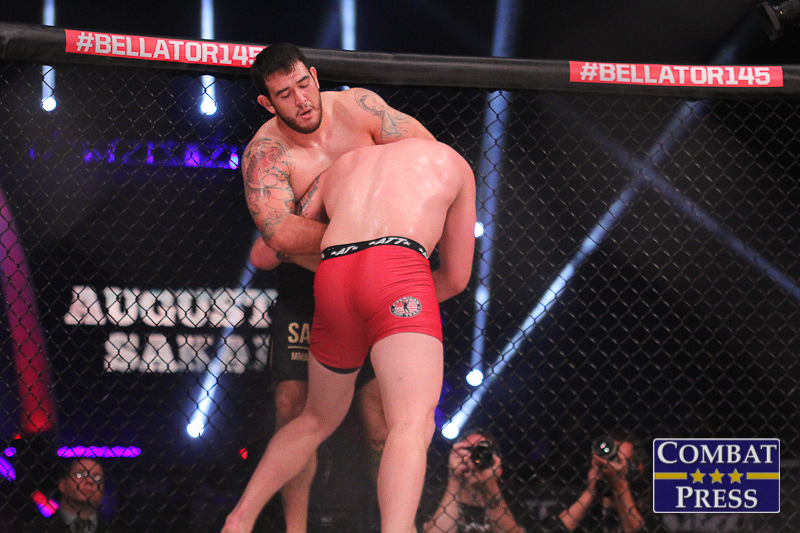 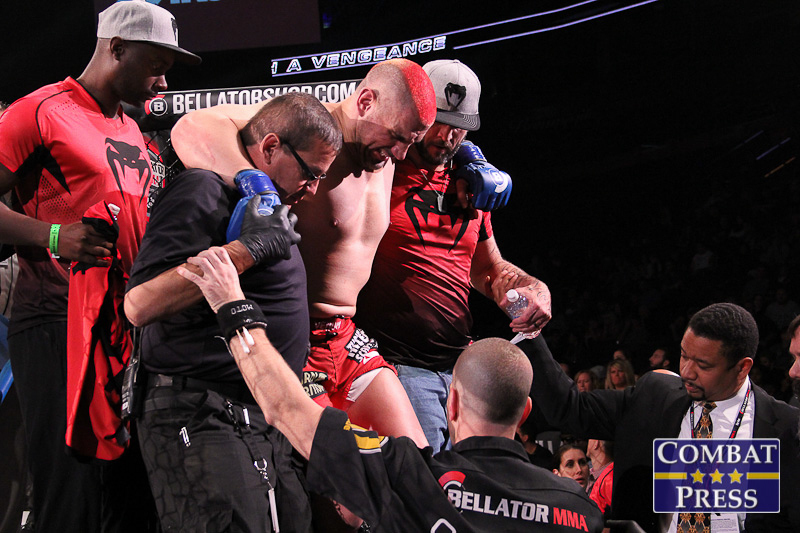 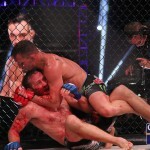 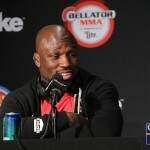 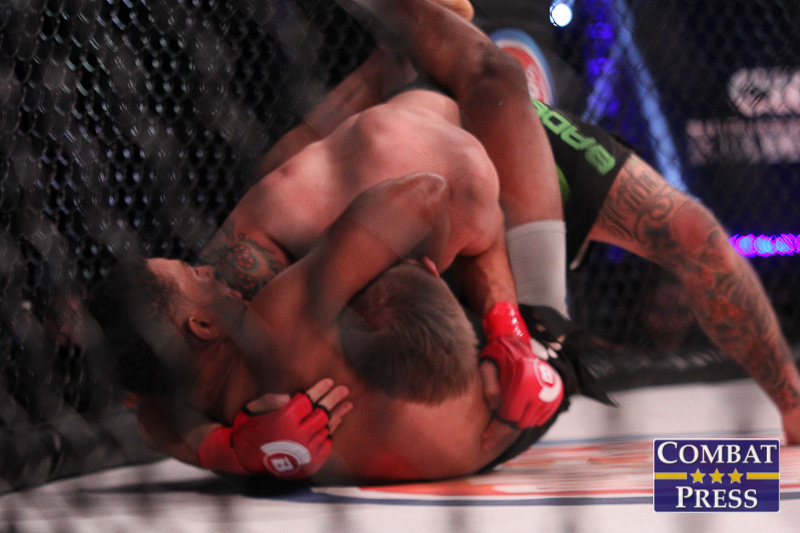 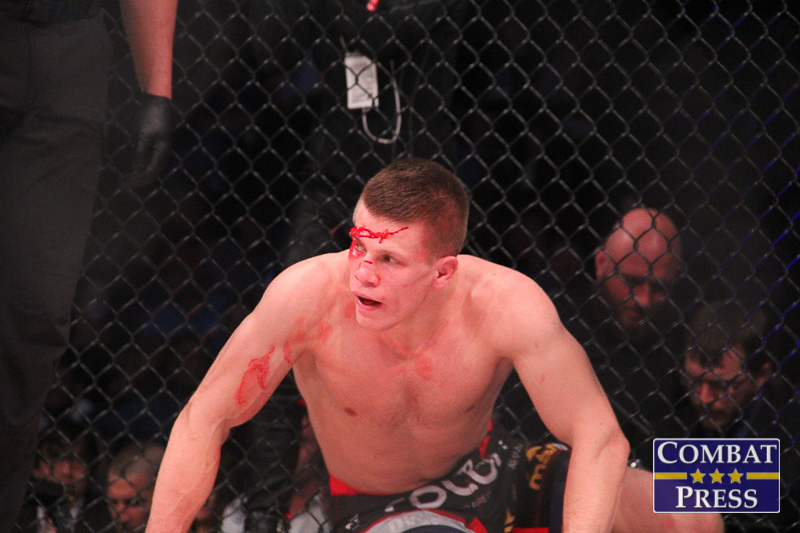 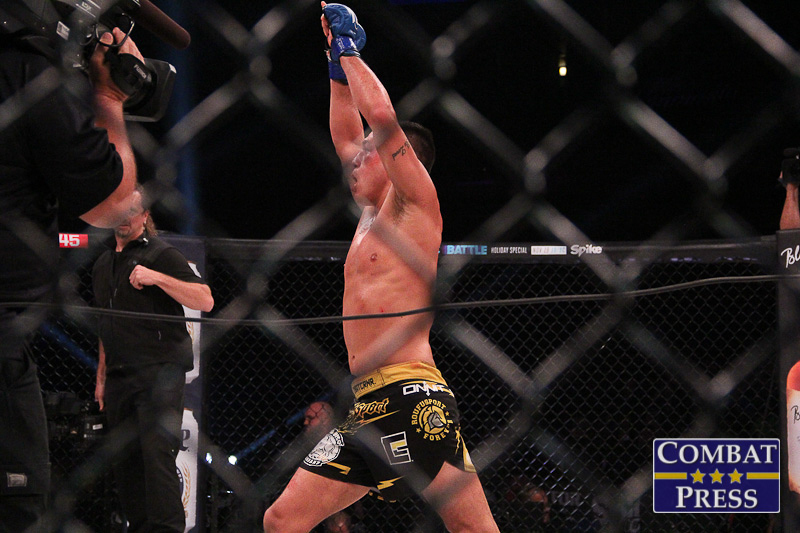 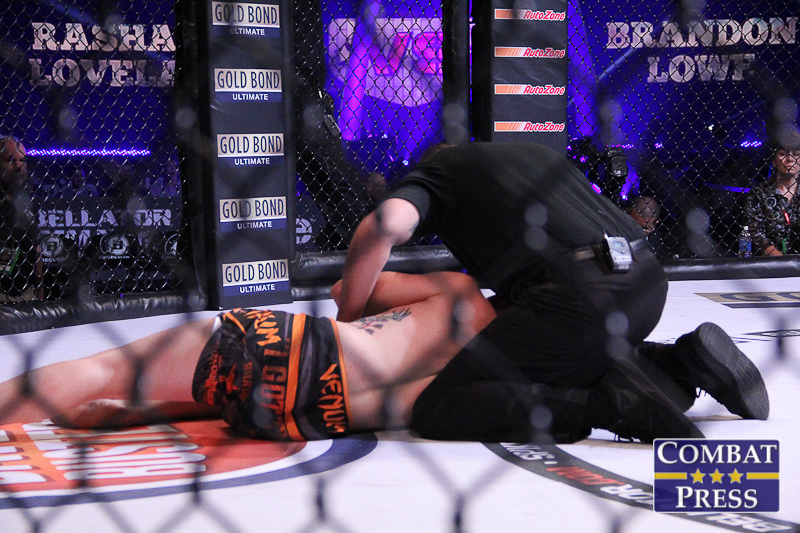 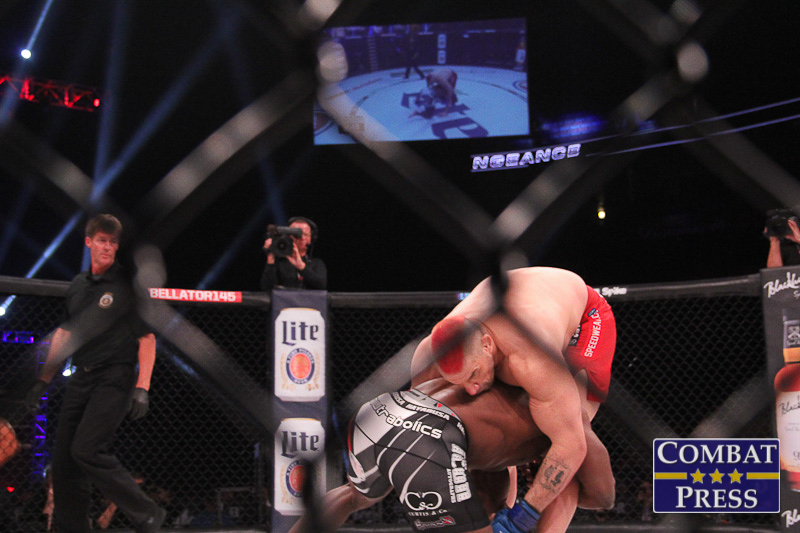 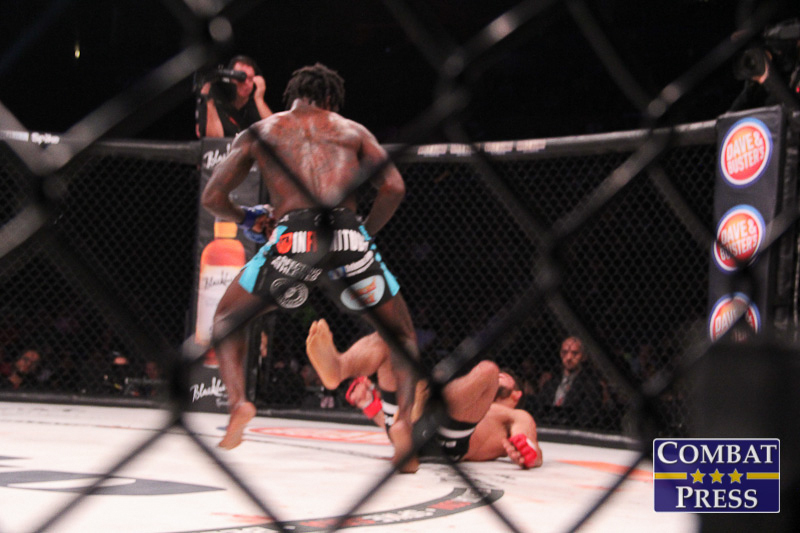 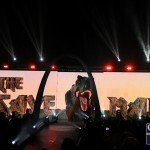 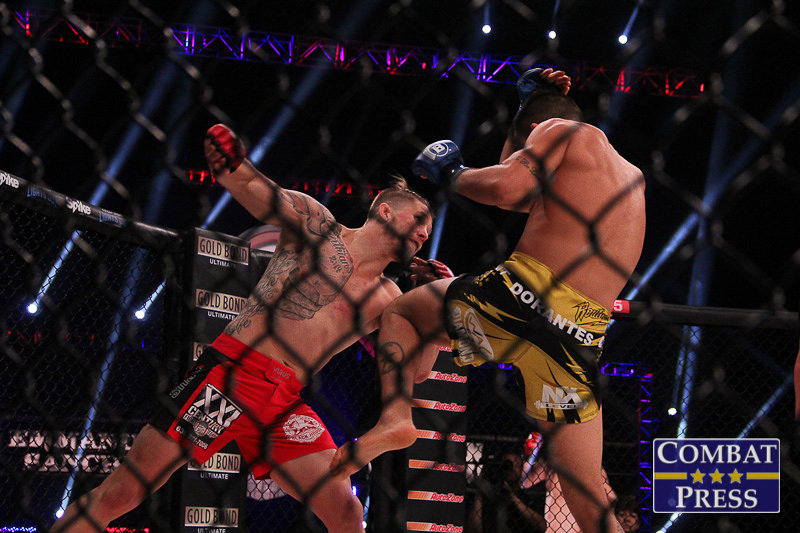 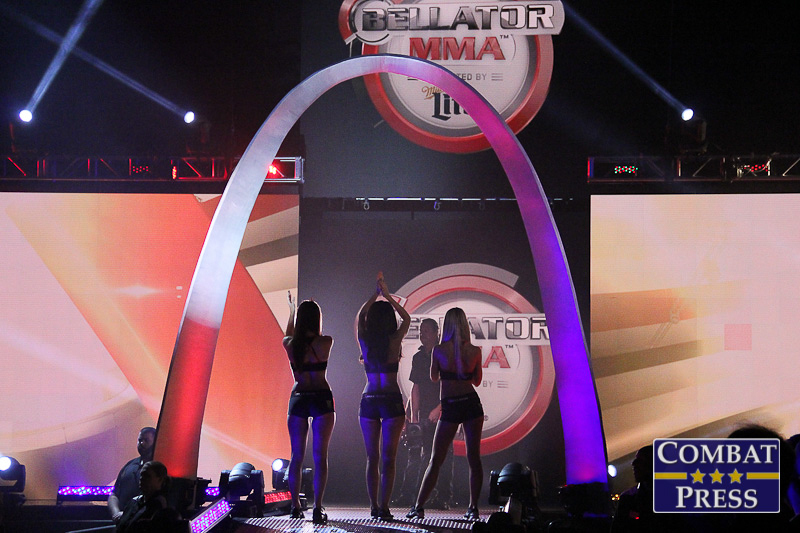 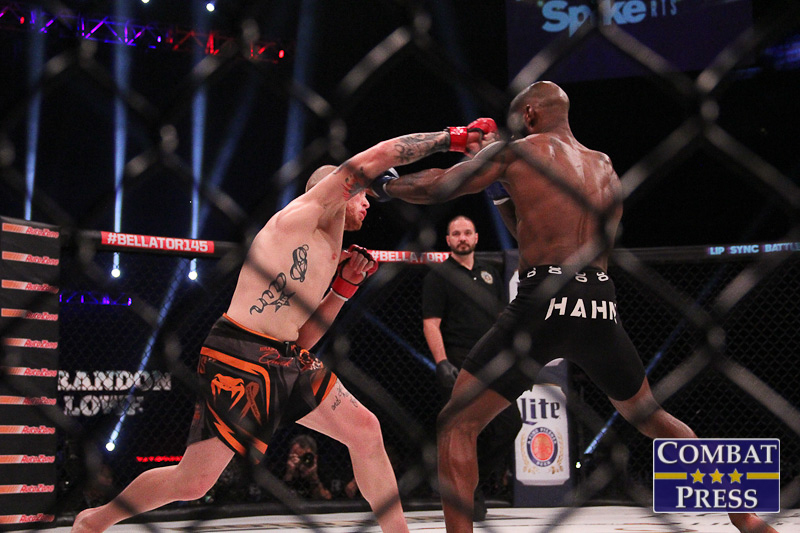 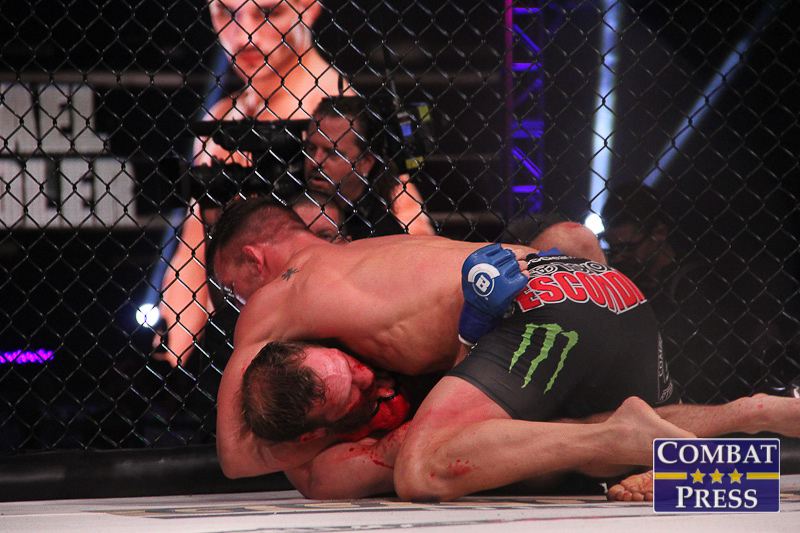 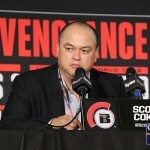 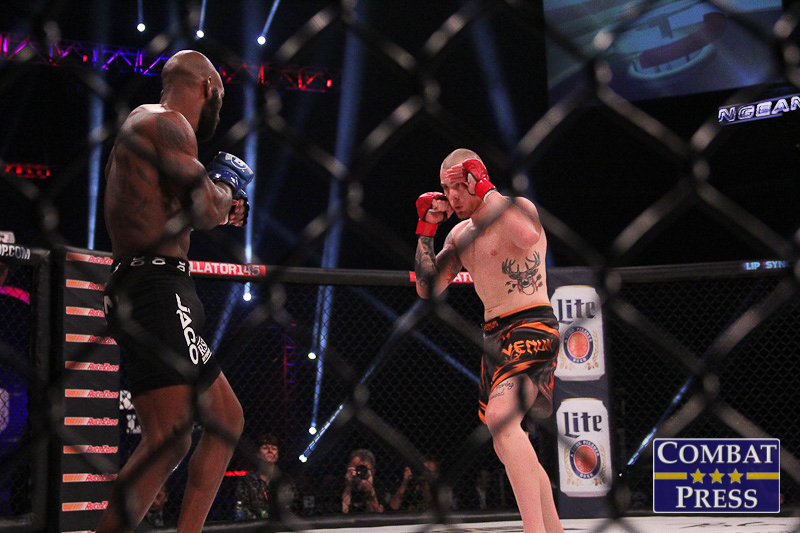 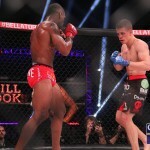 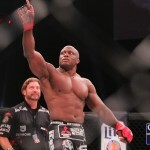 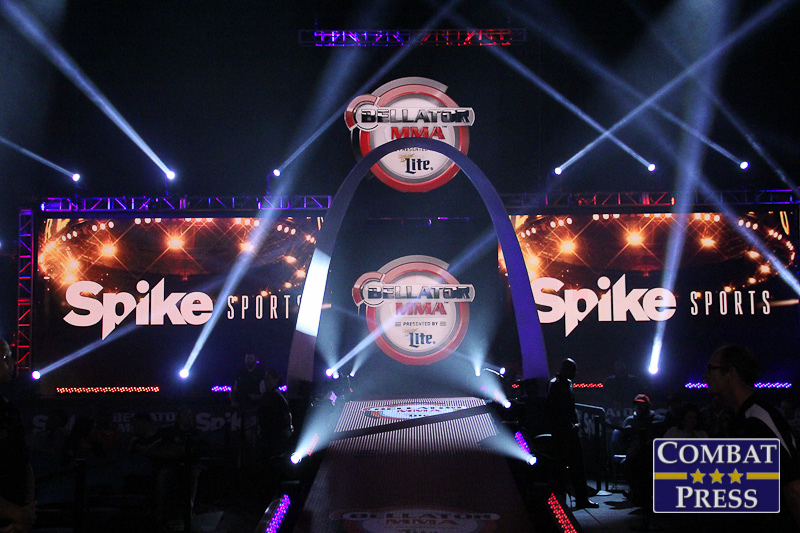 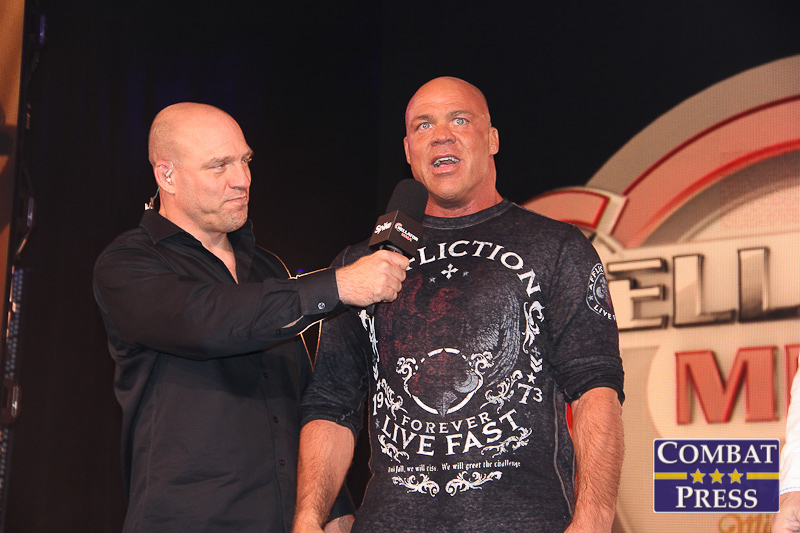 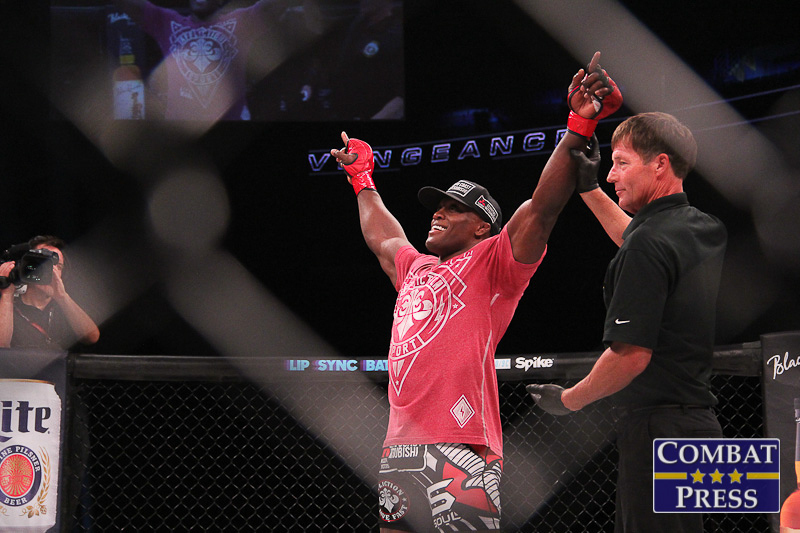 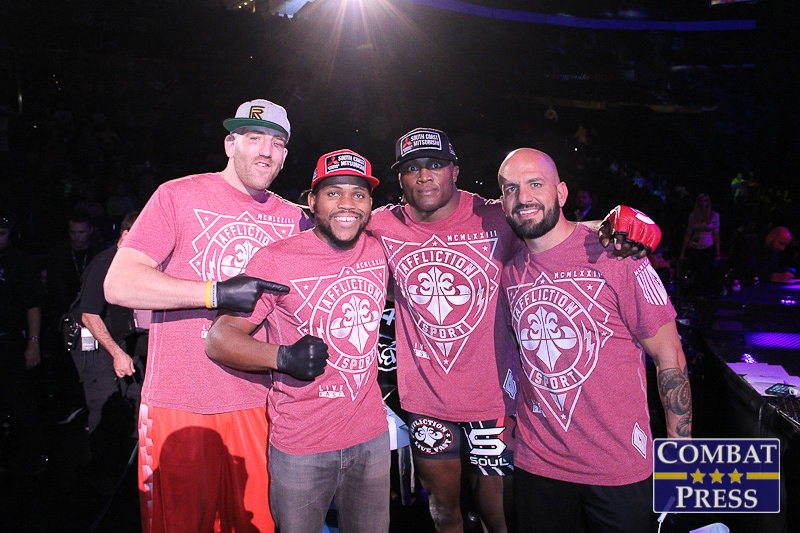 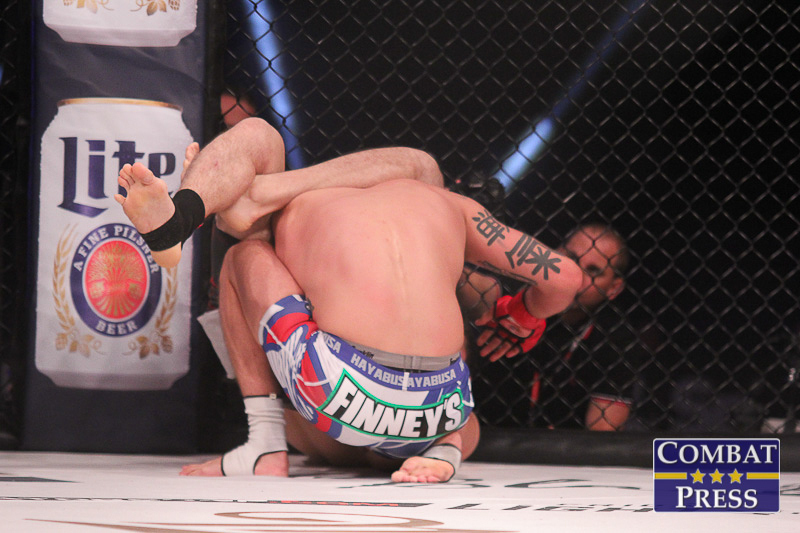 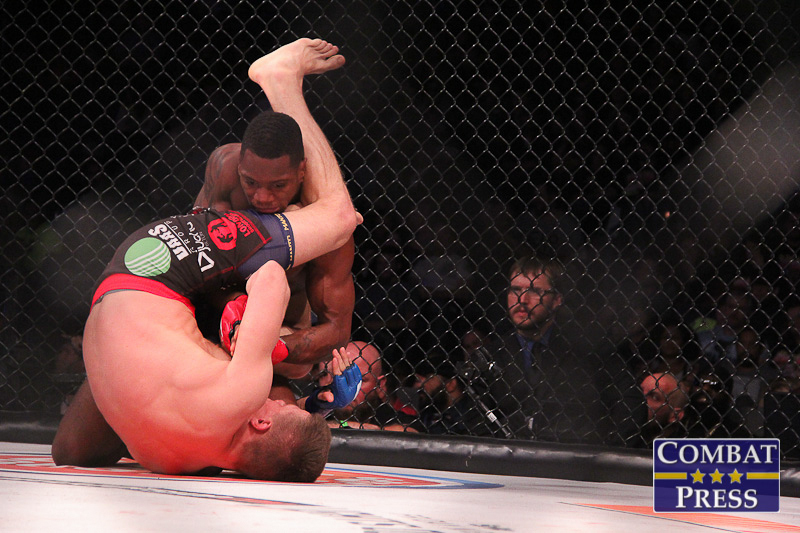 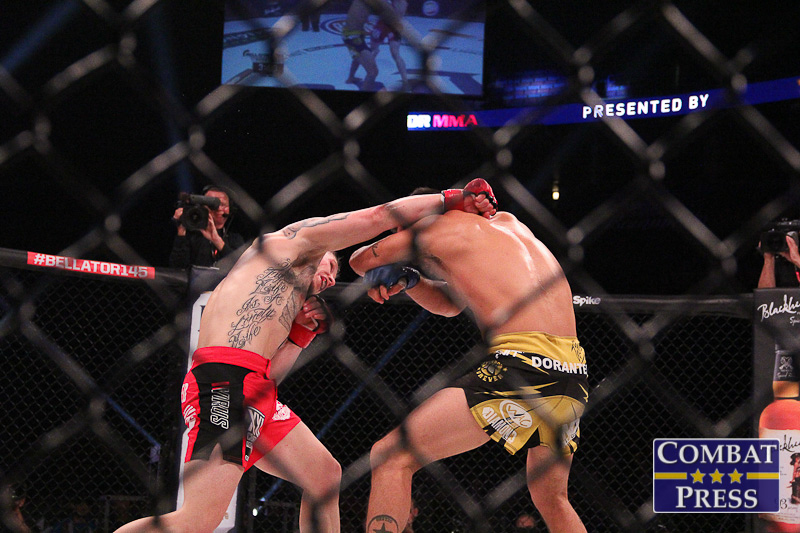 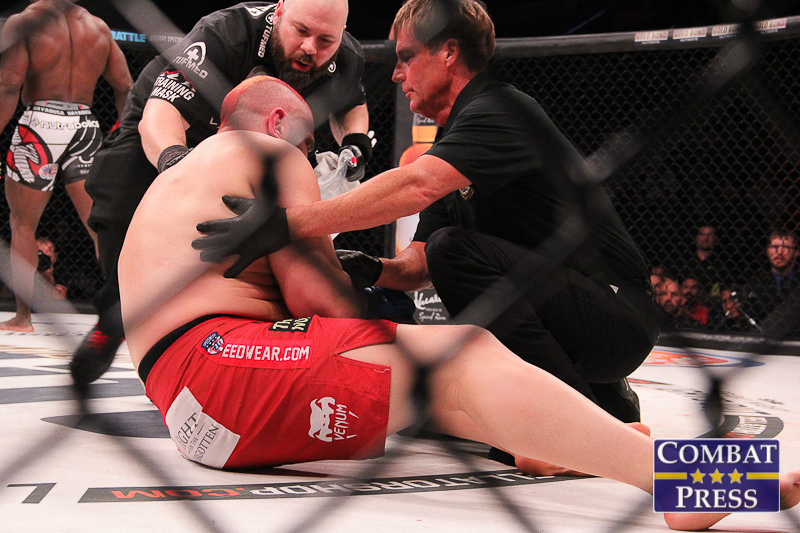 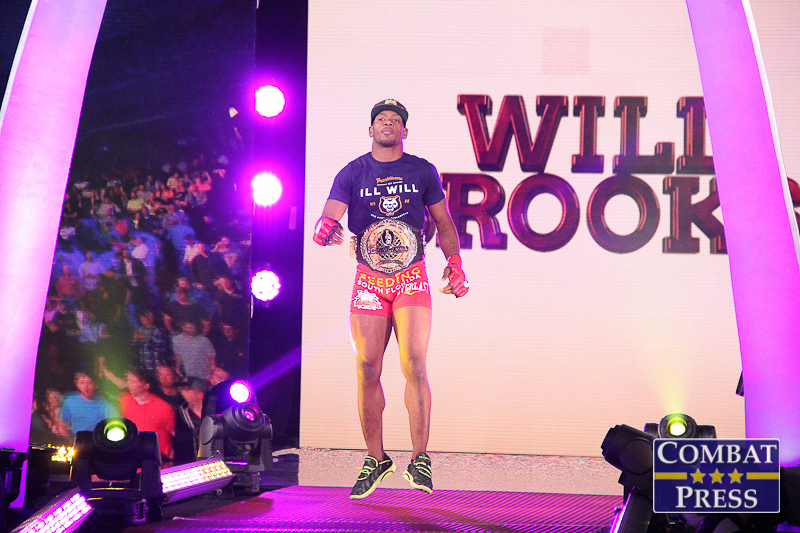 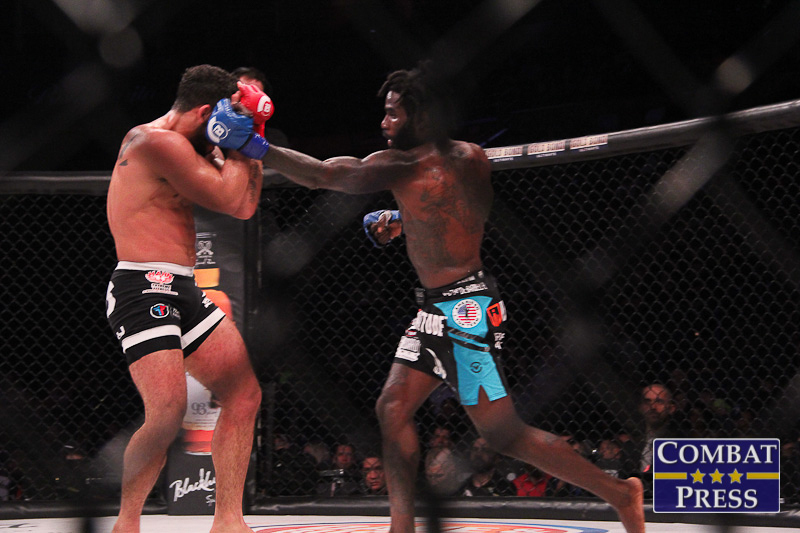 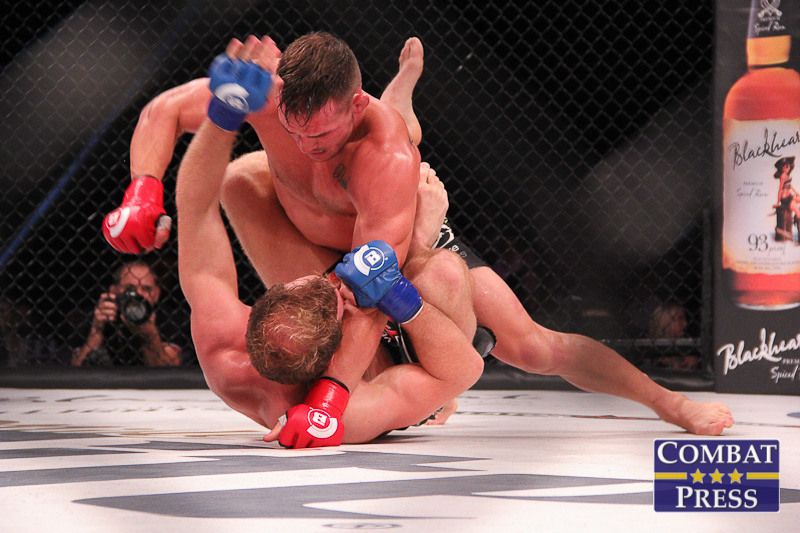 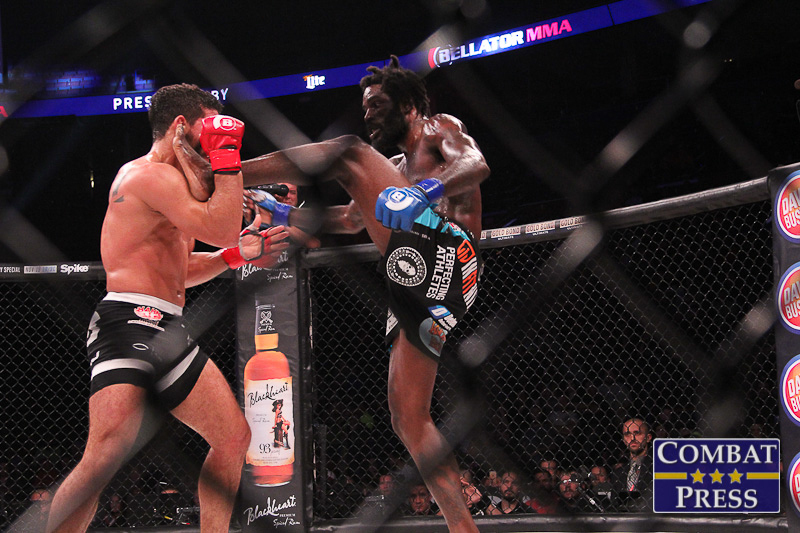 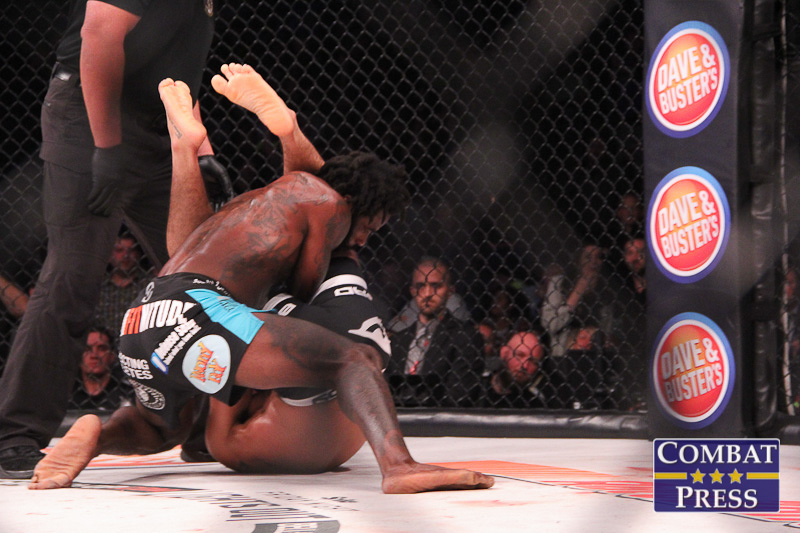 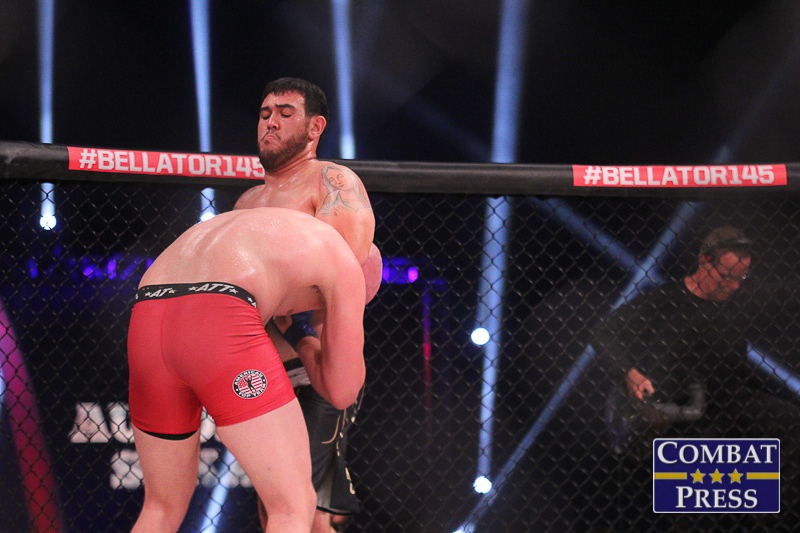 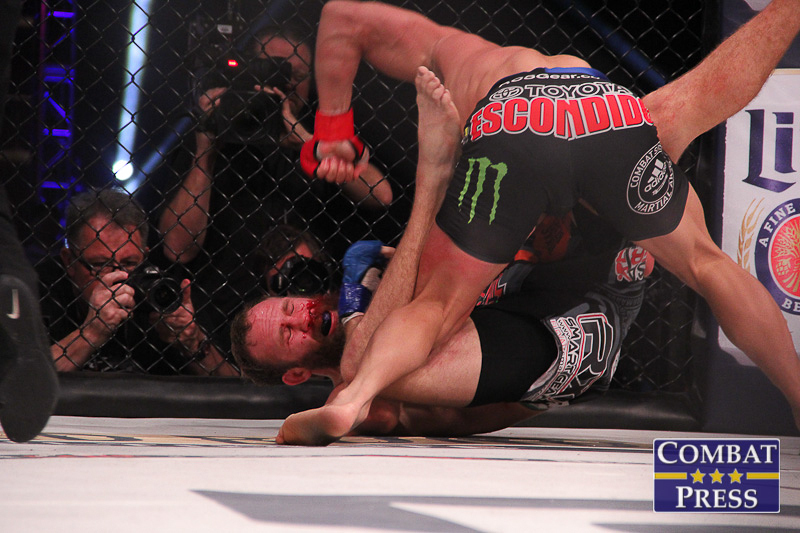 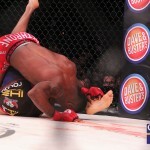 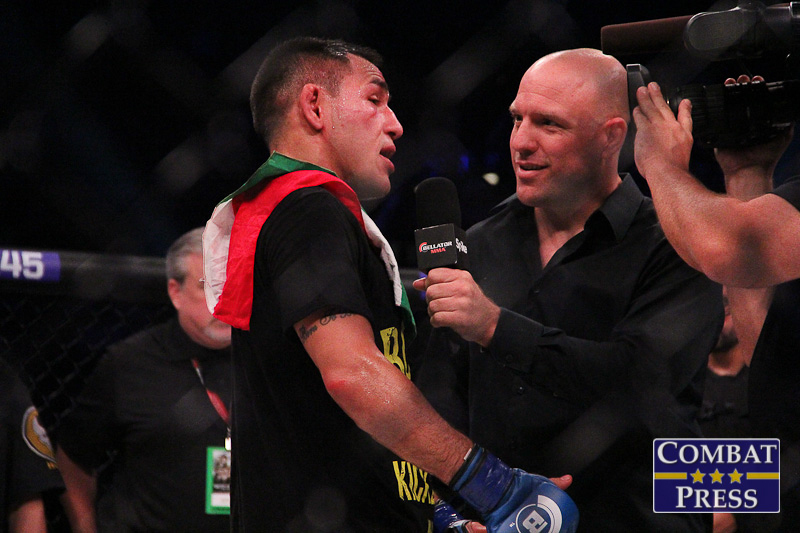 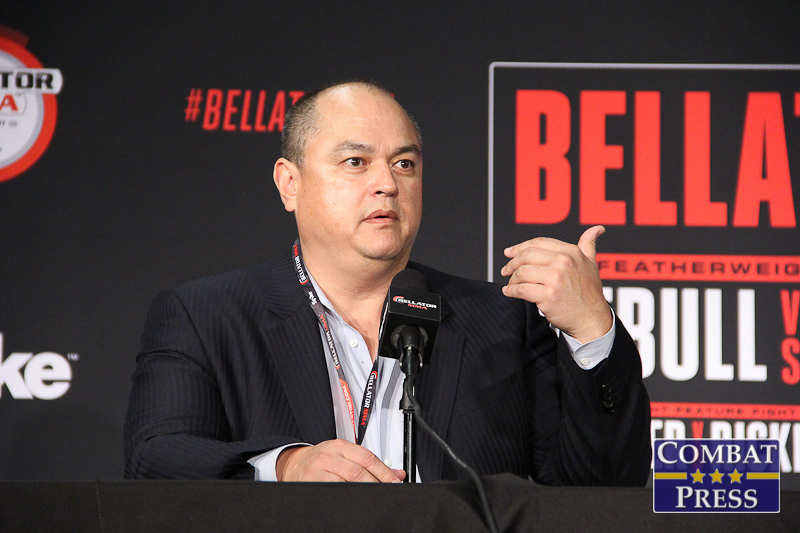 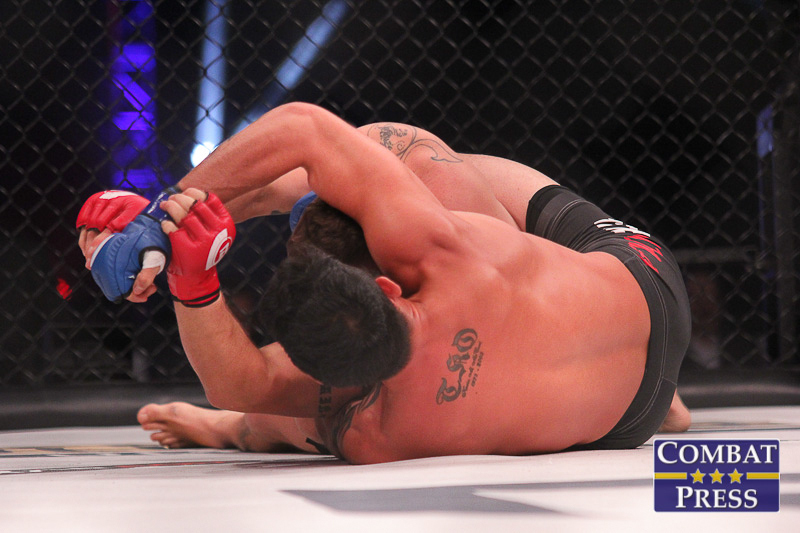 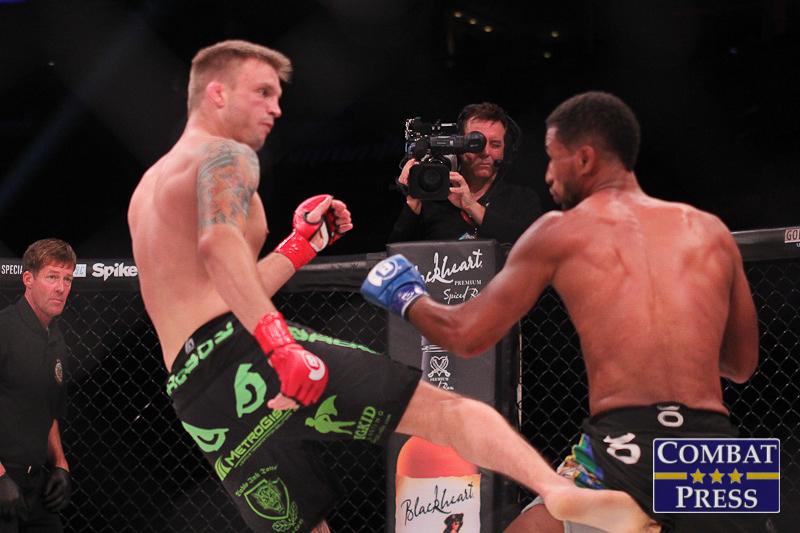 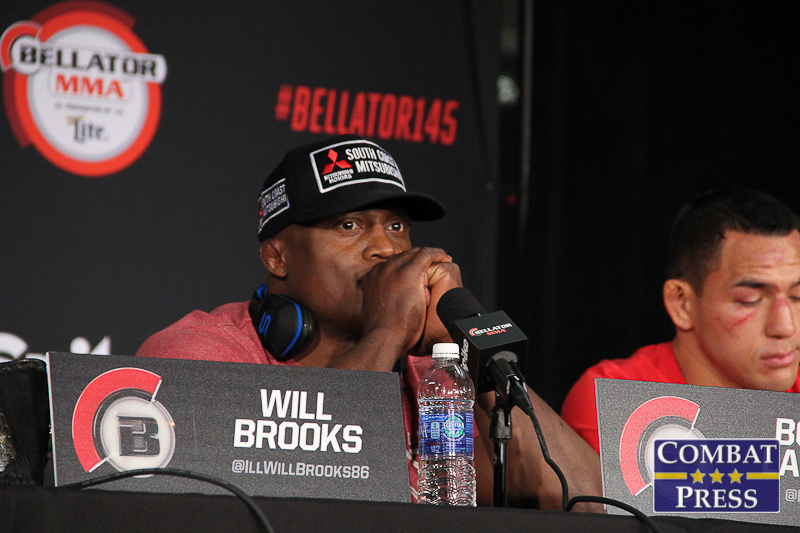 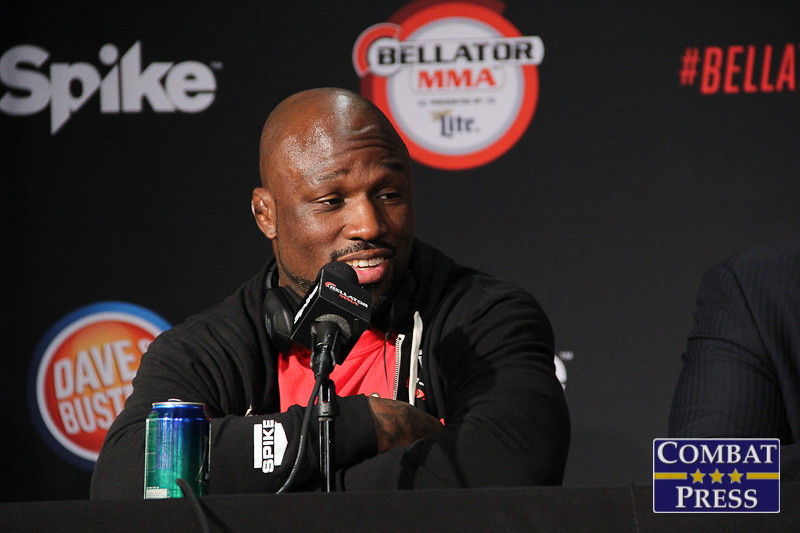 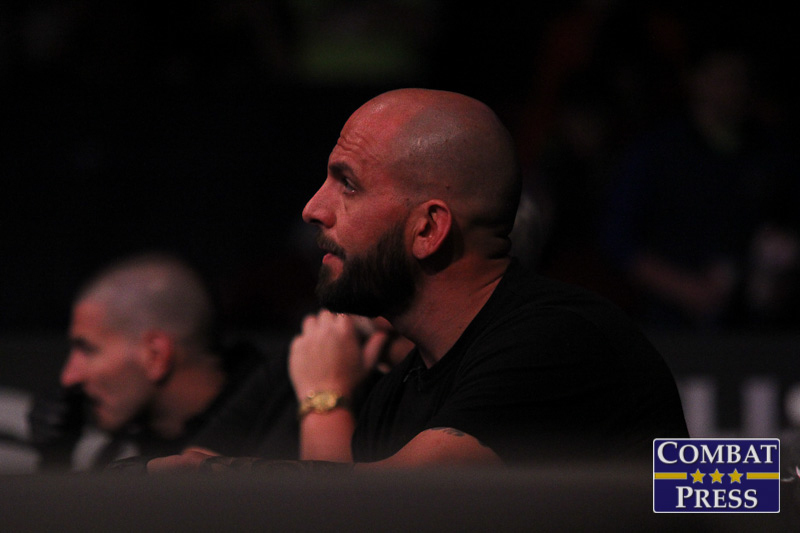 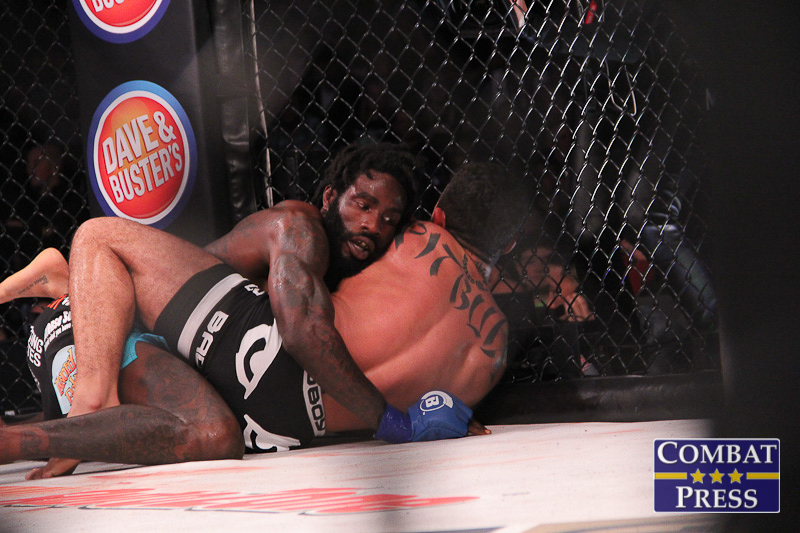 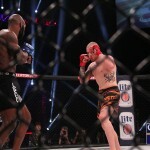 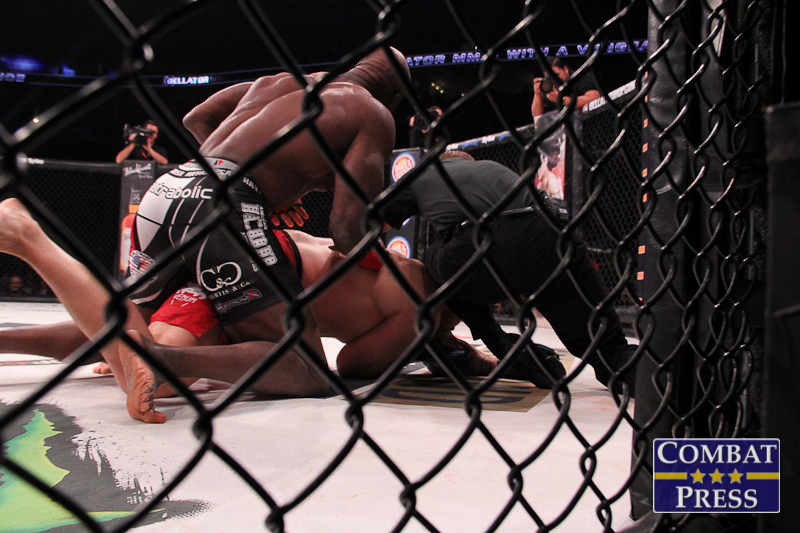 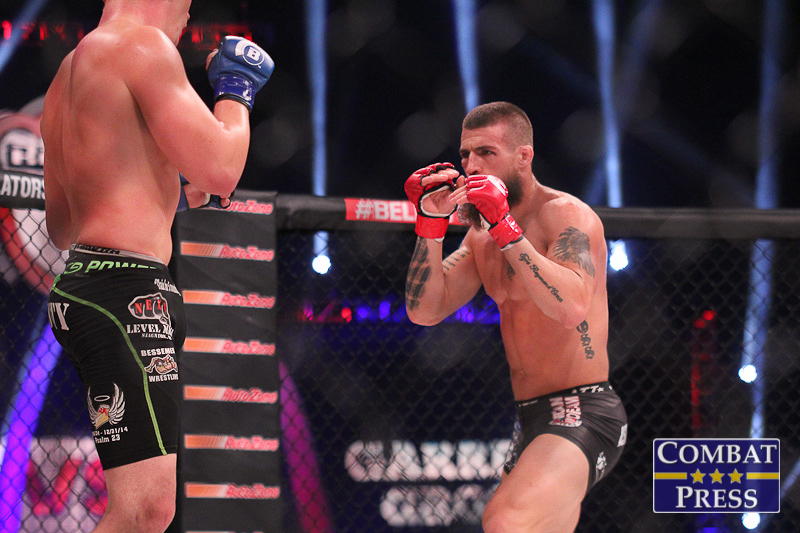 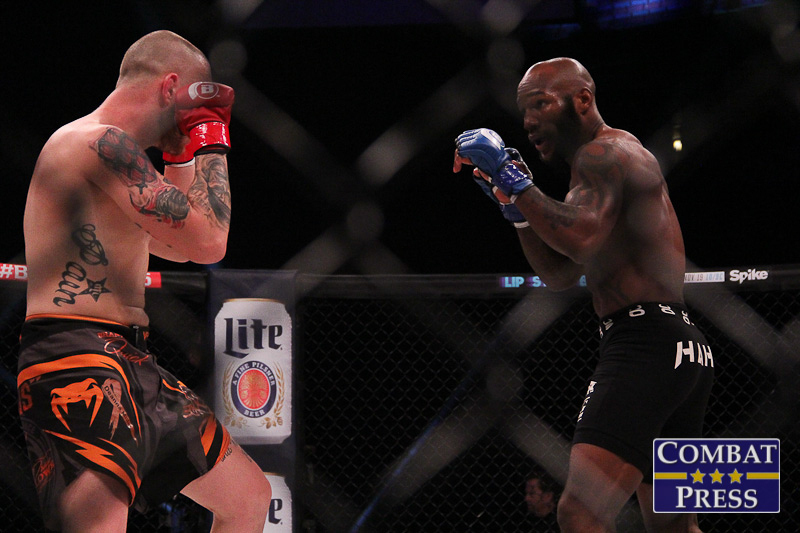 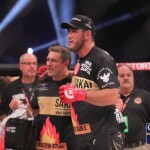 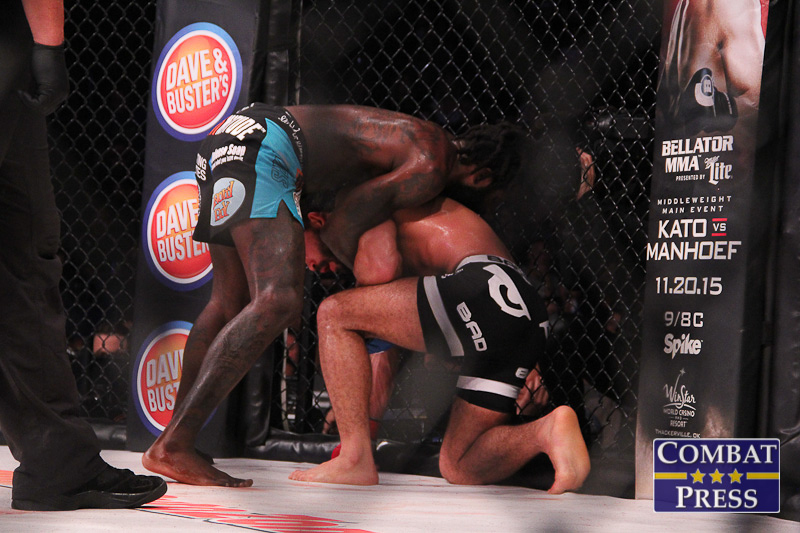 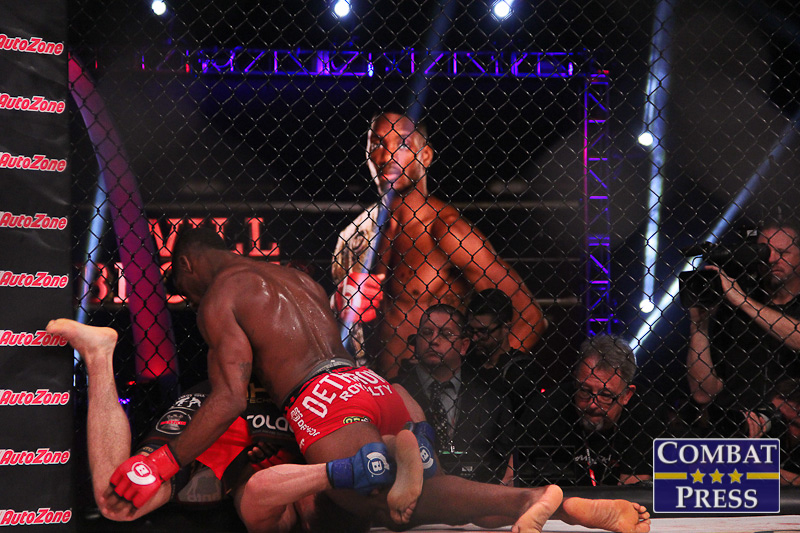 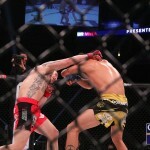 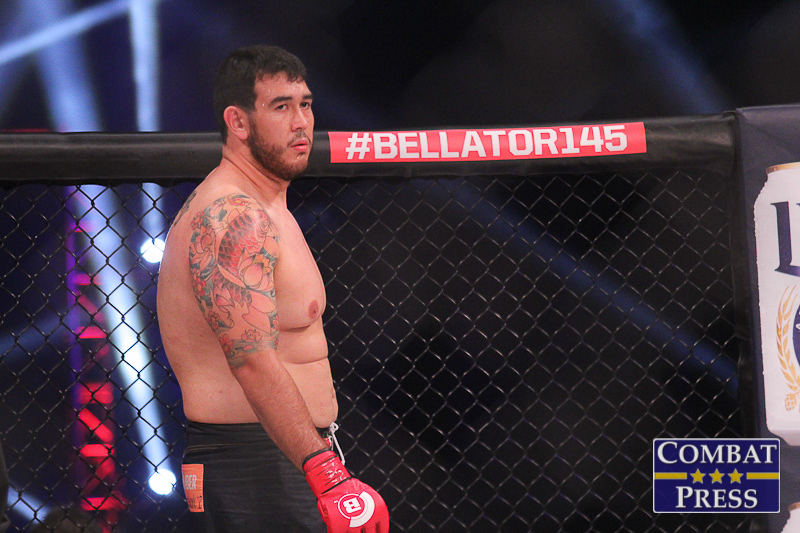 On Friday, Nov. 6, Bellator MMA hosted its 145th event from the Scottrade Center in St. Louis. 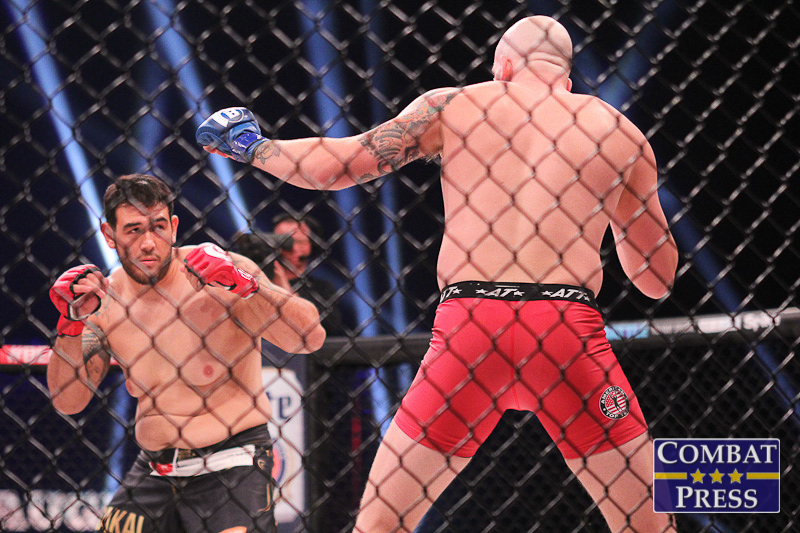 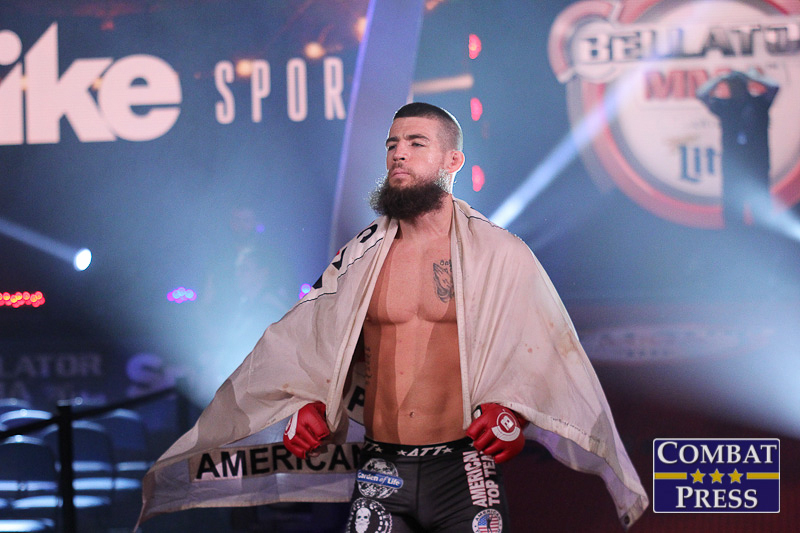 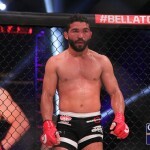 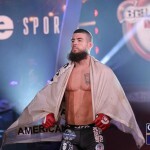 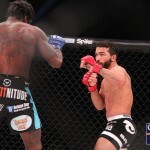 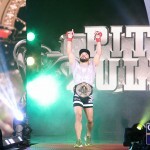 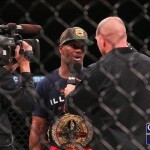 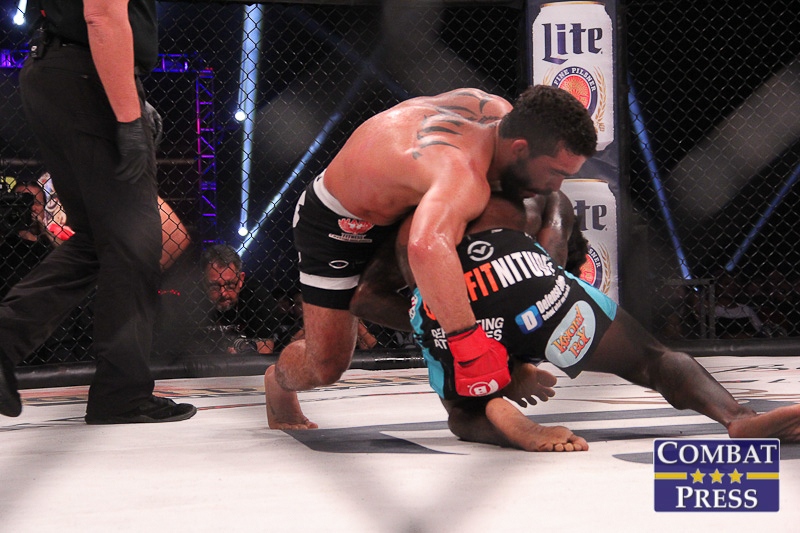 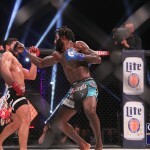 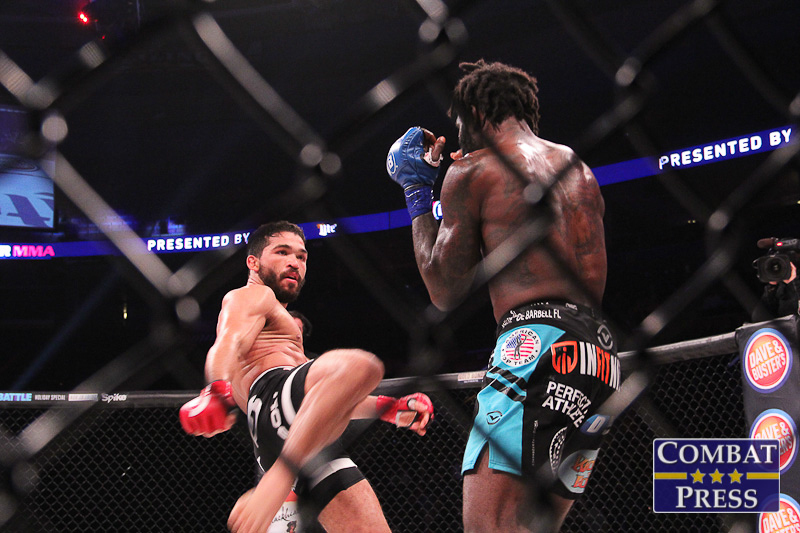 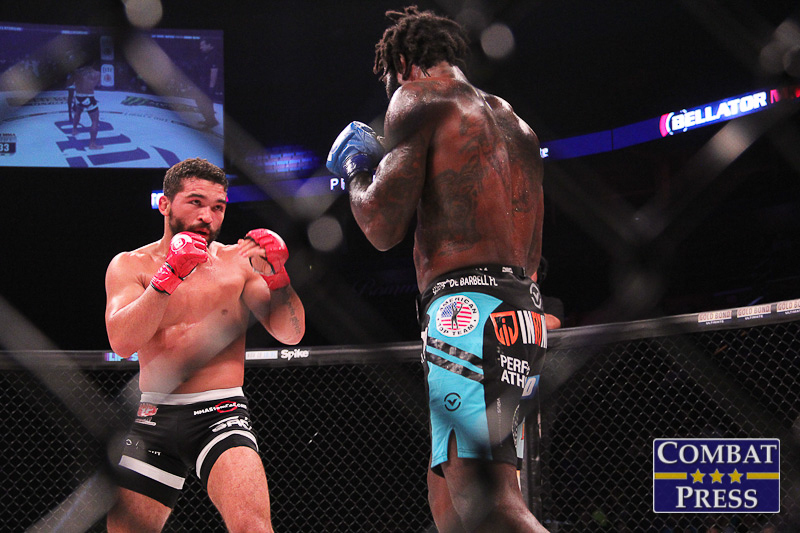 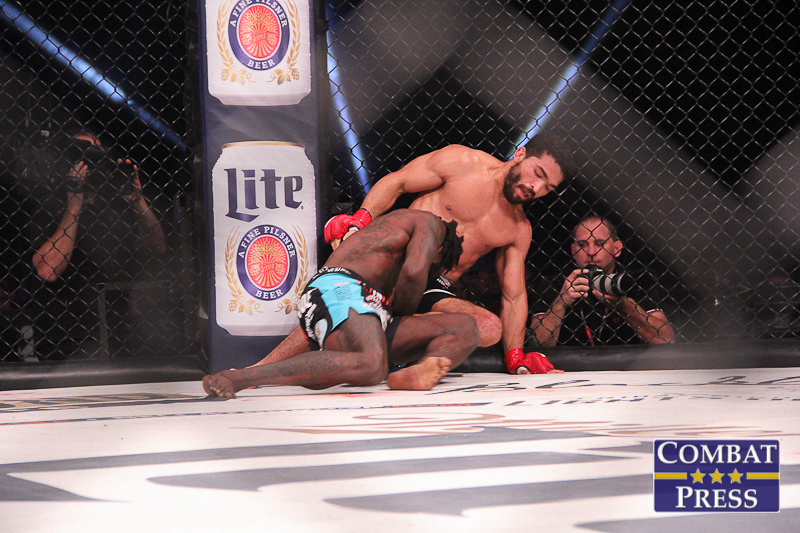 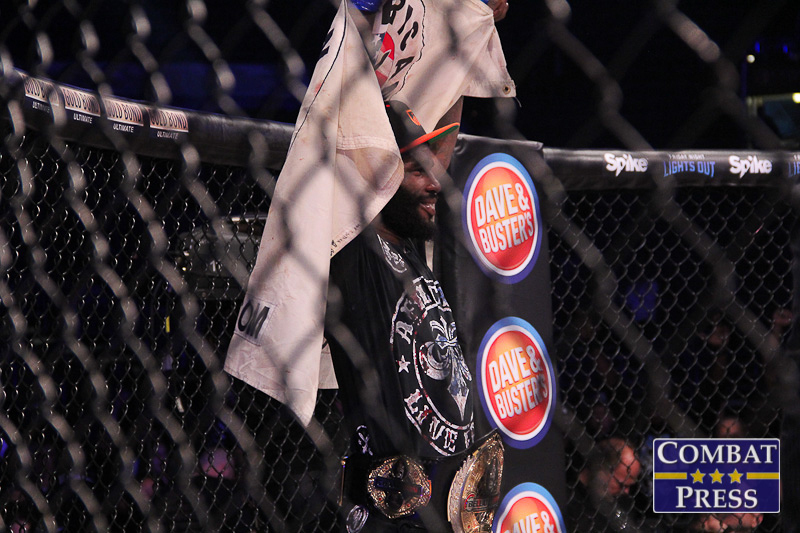 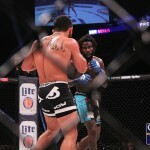 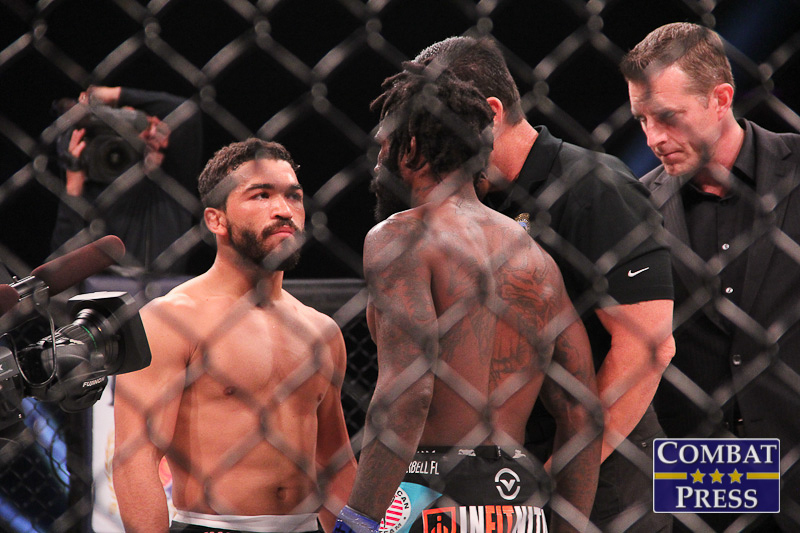 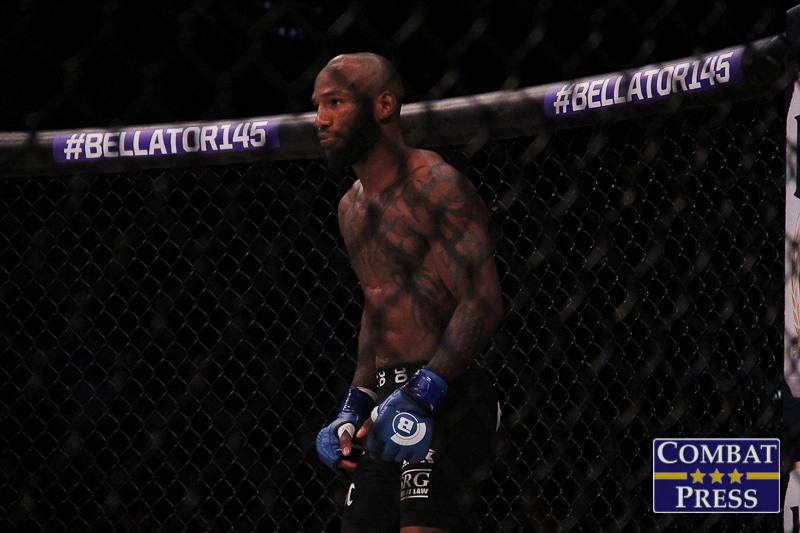 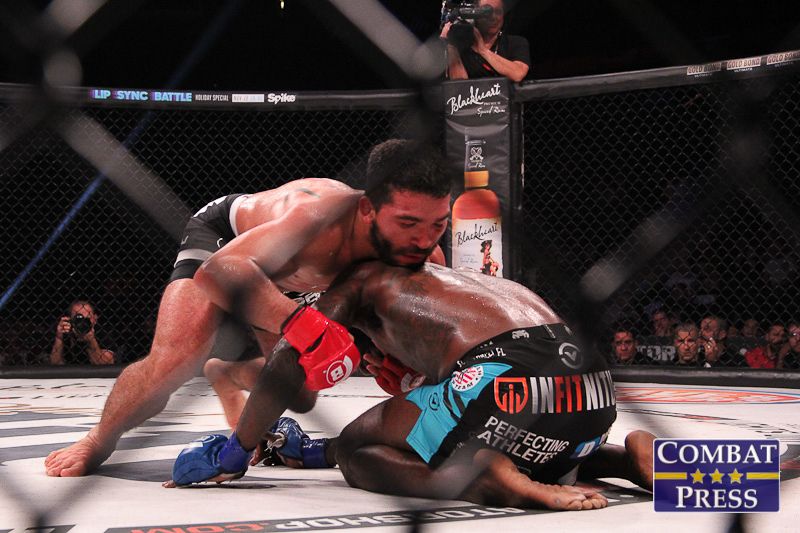 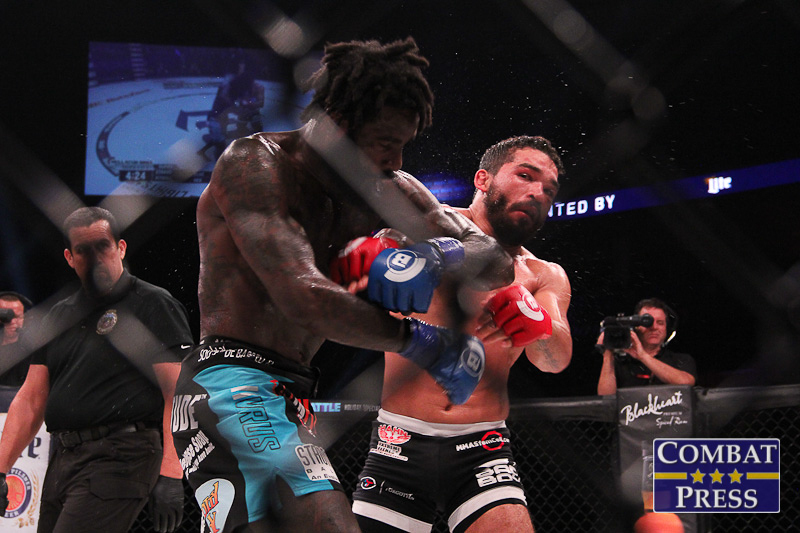 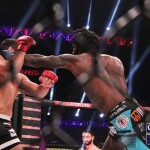 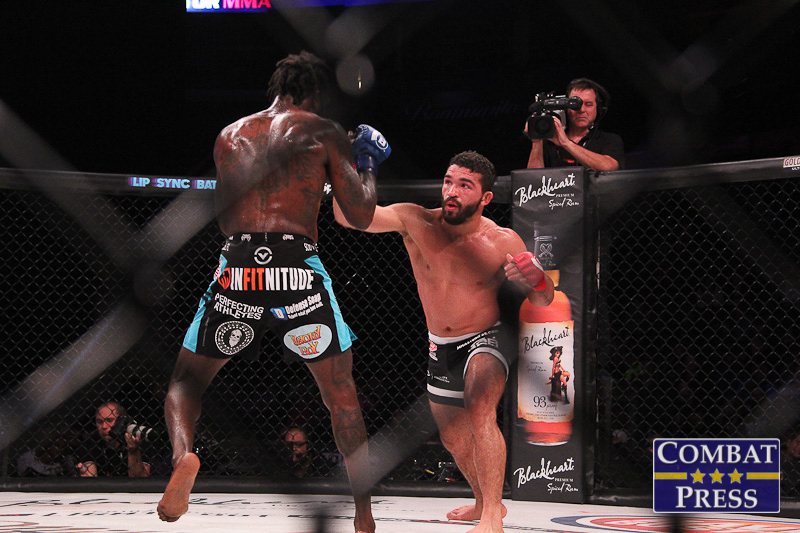 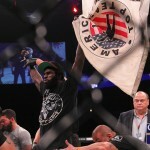 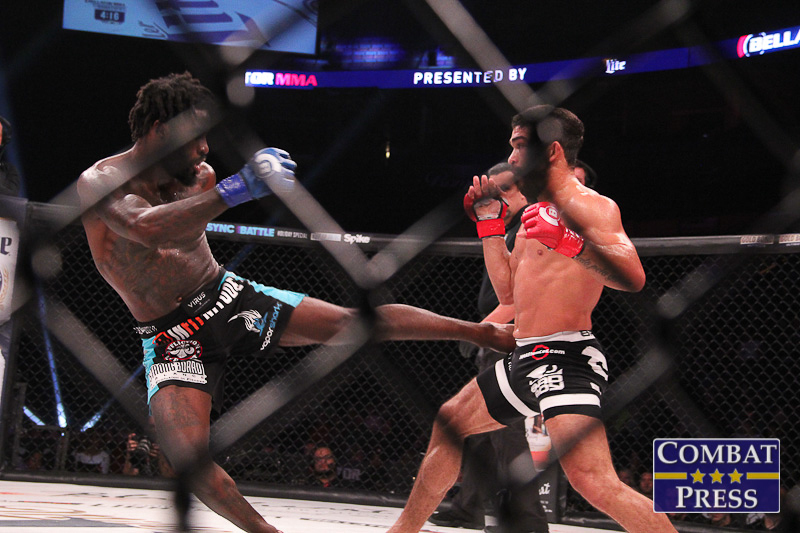 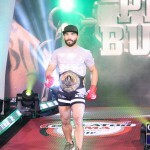 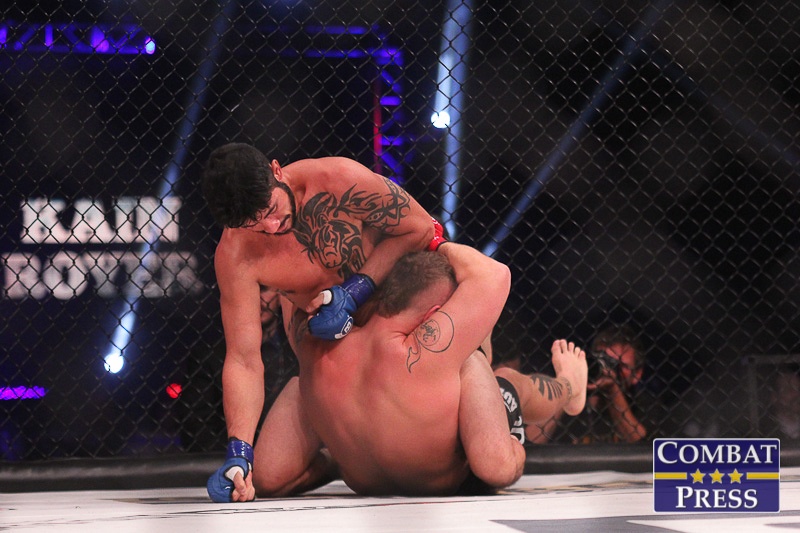 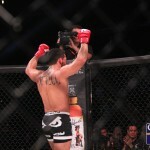 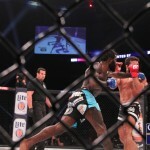 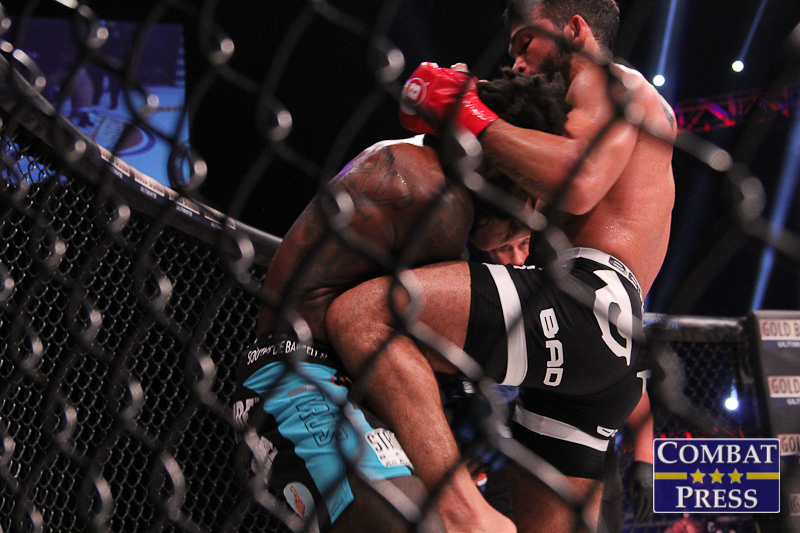 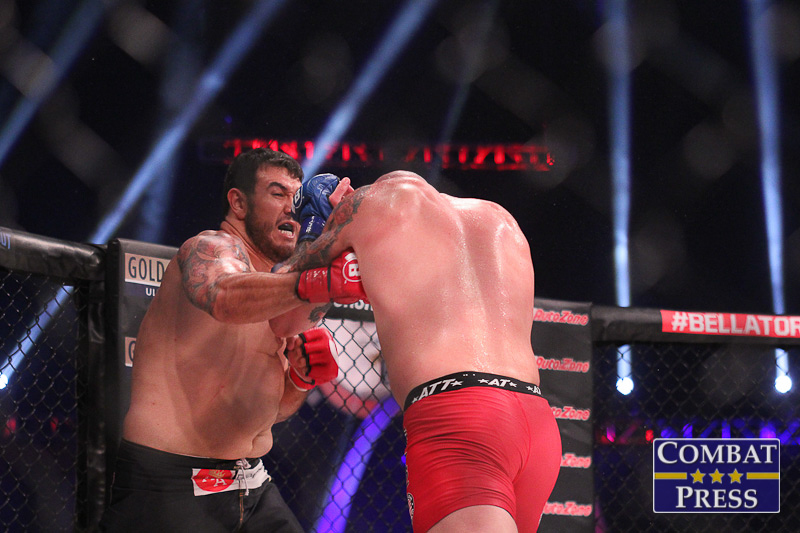 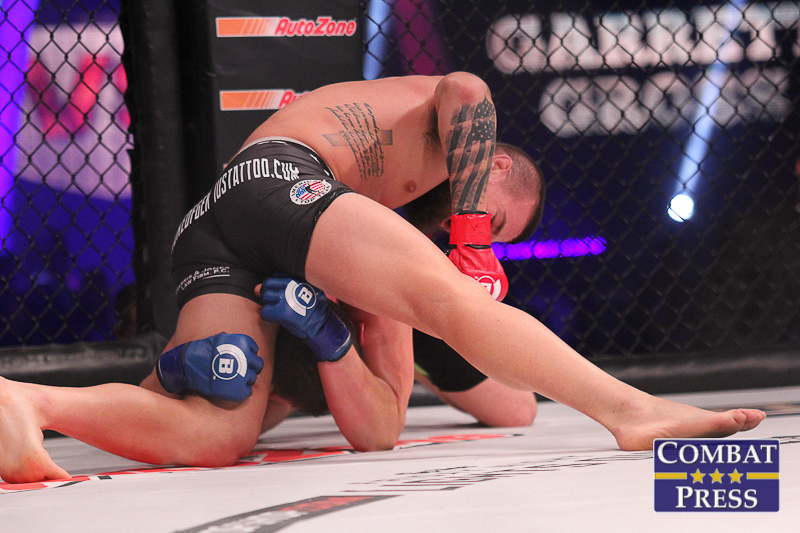 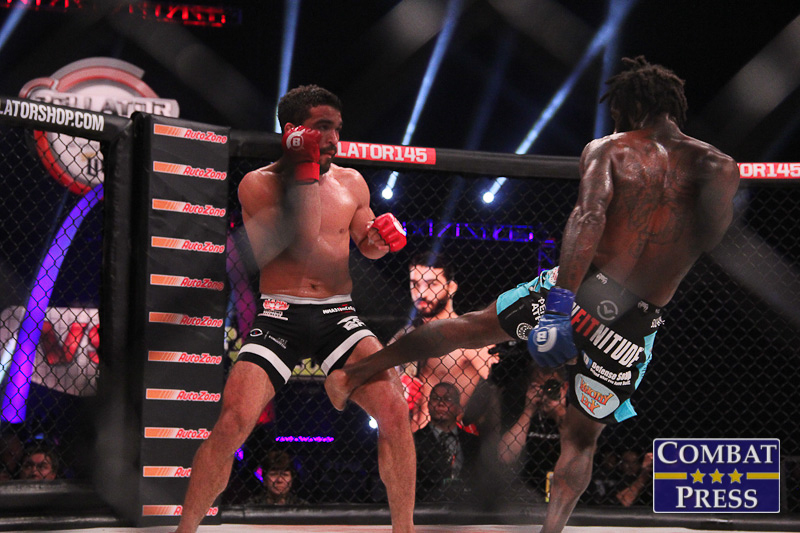 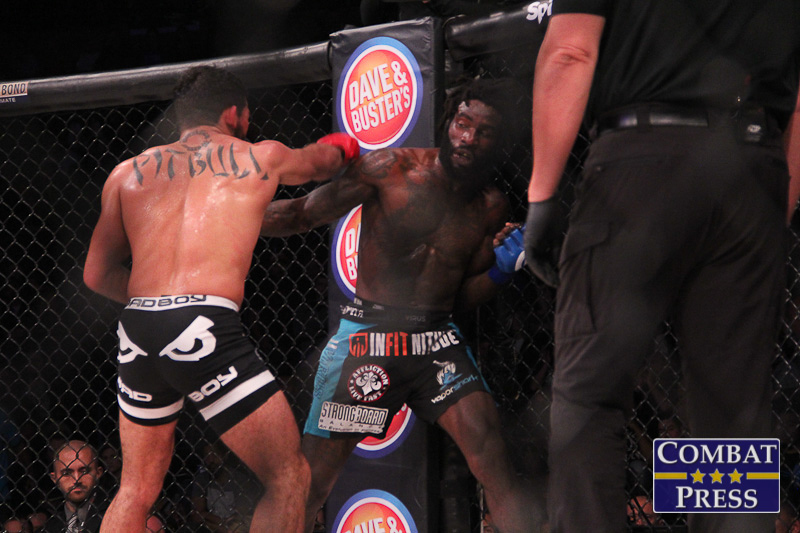 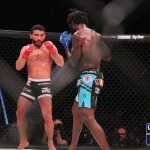 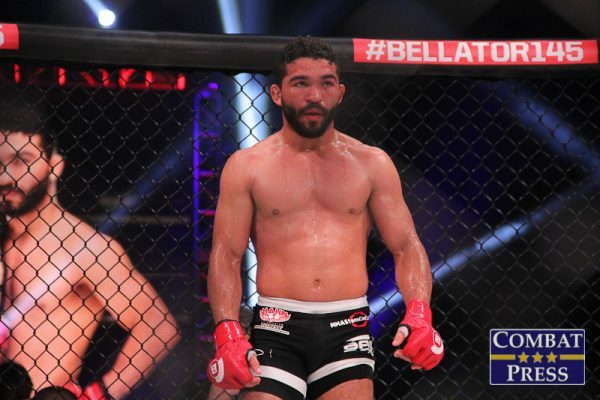 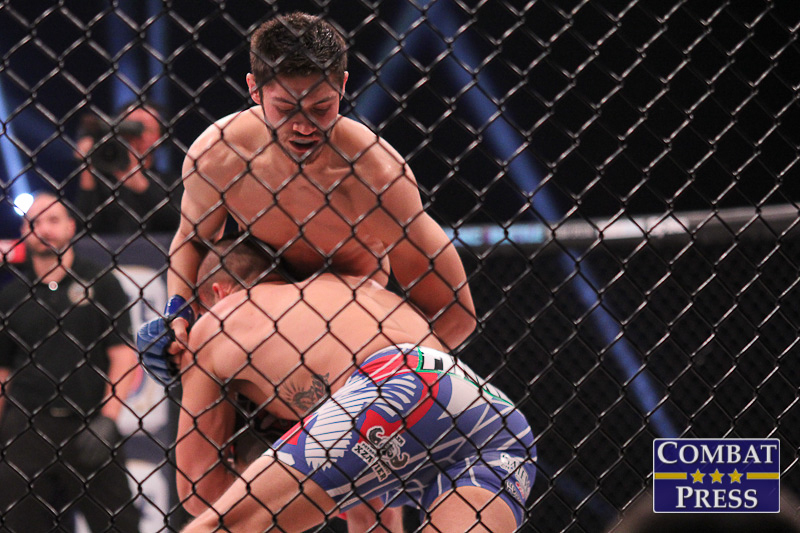 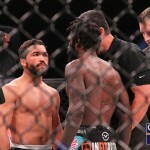 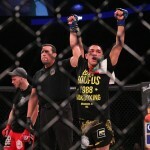 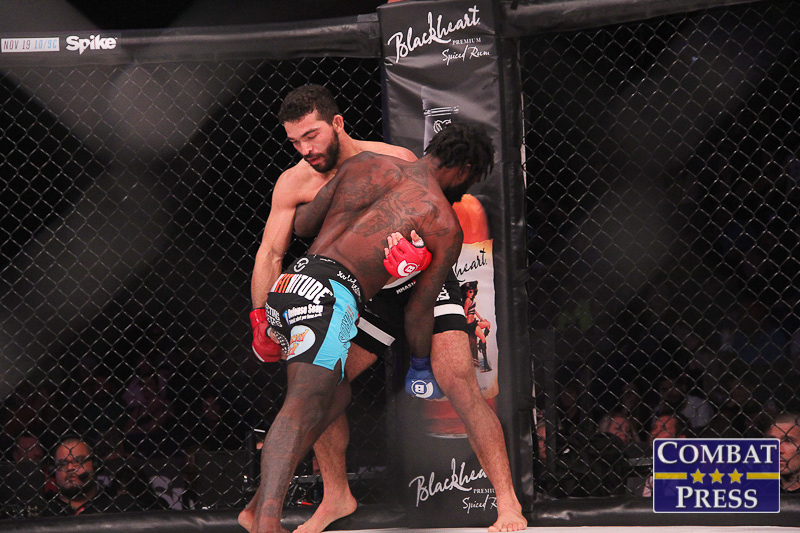 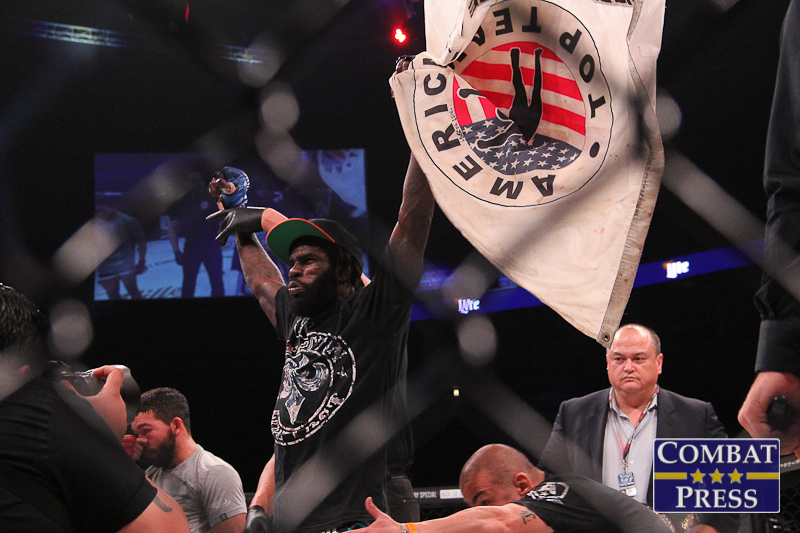 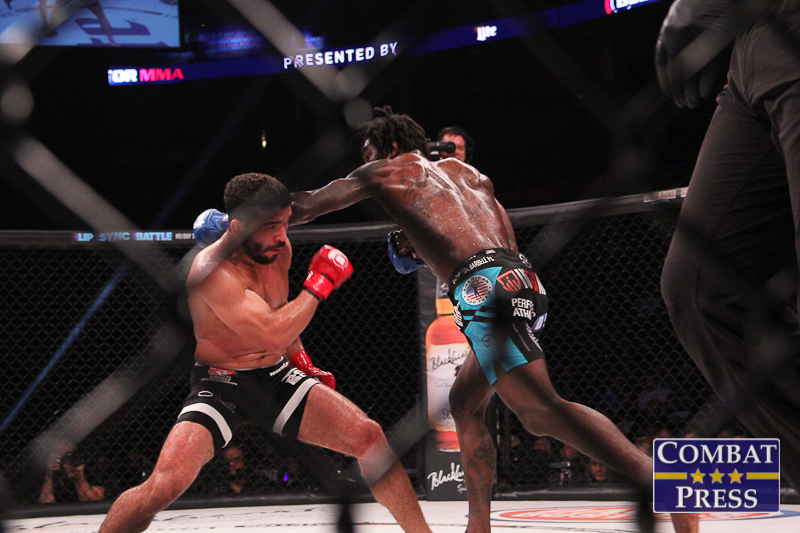 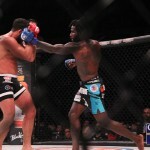 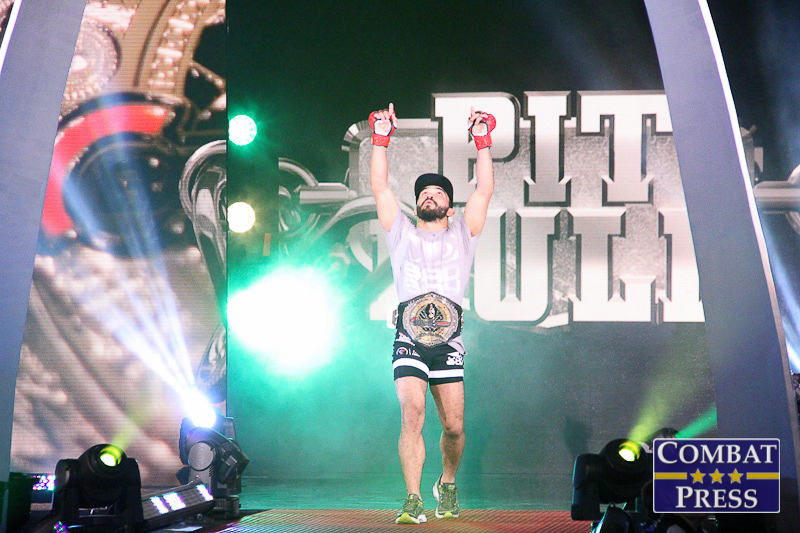 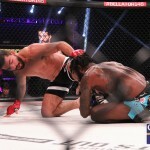 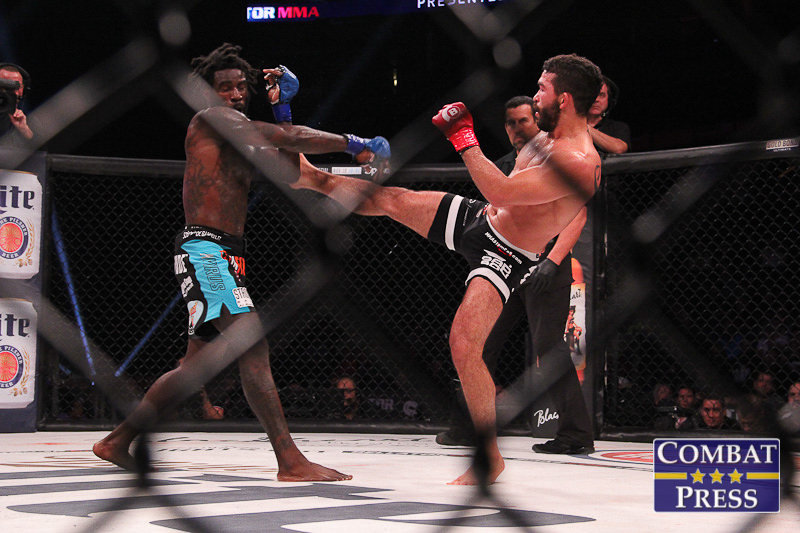 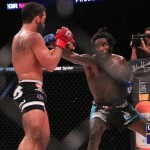 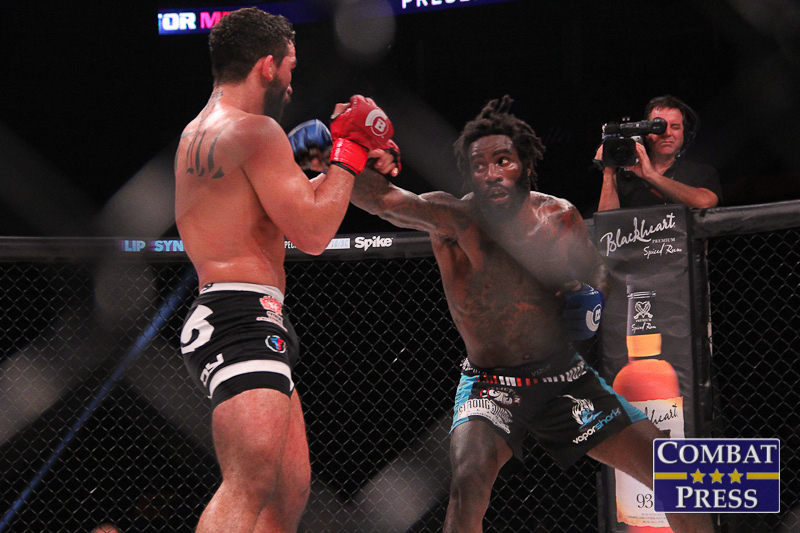 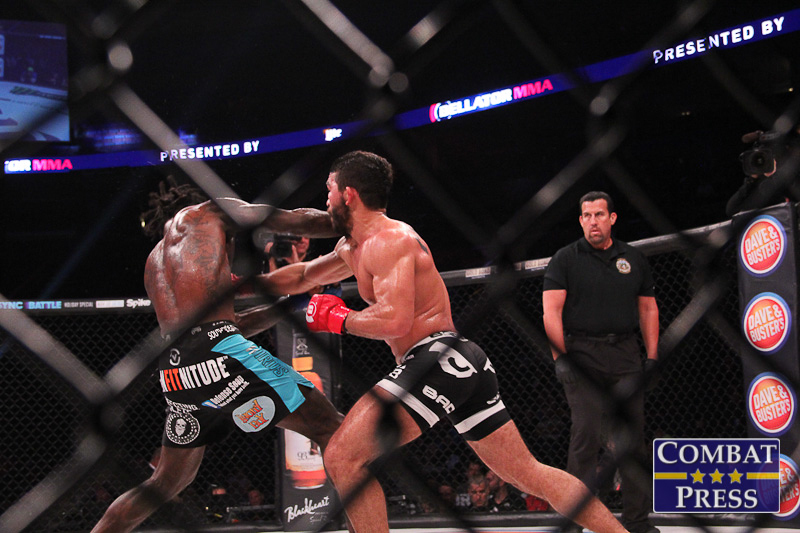 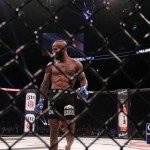 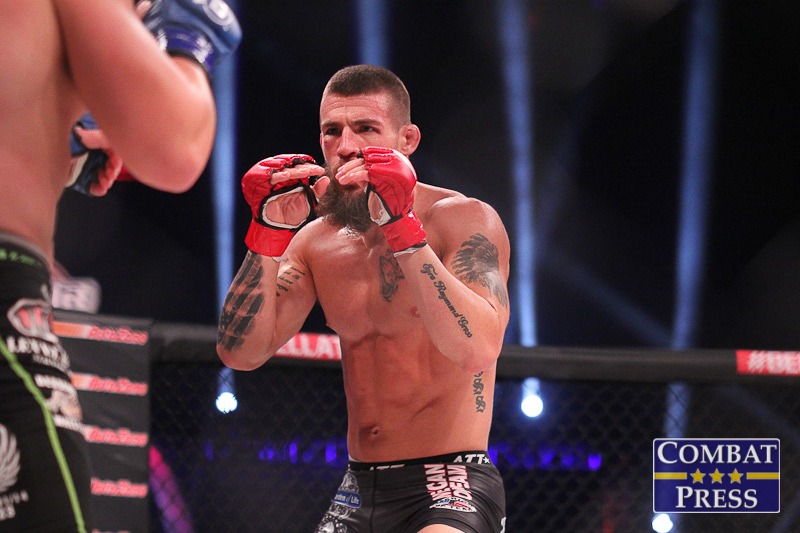 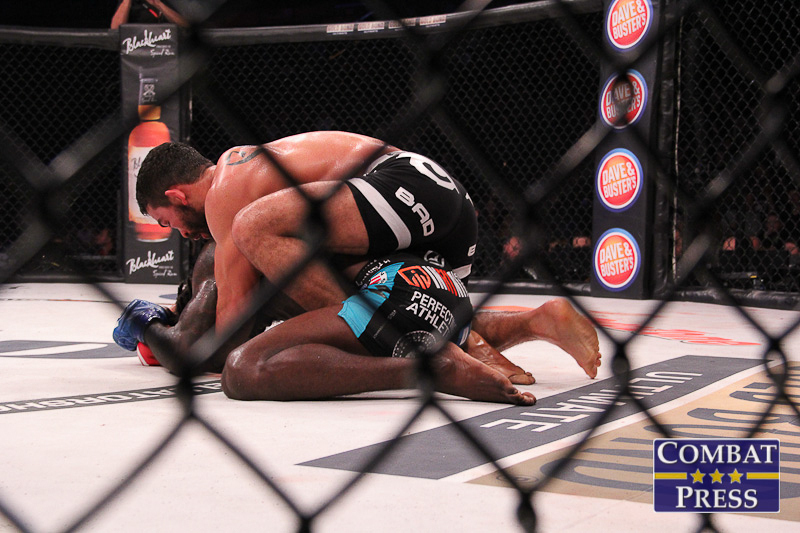 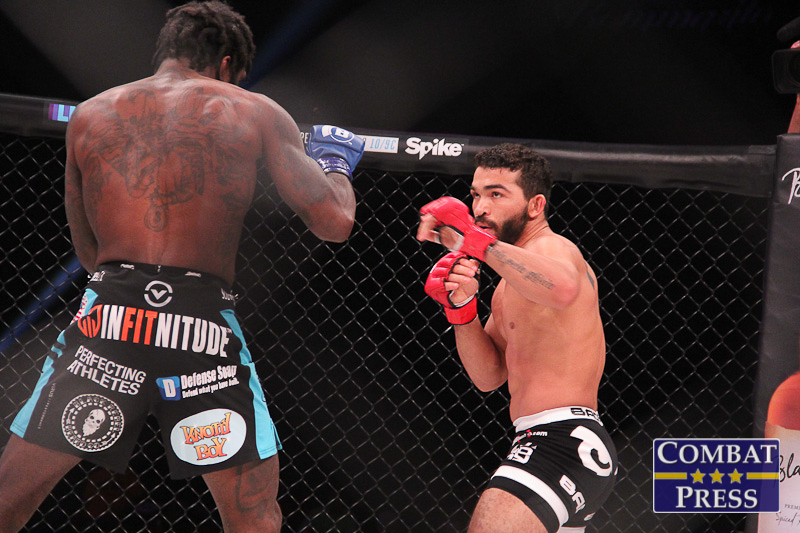 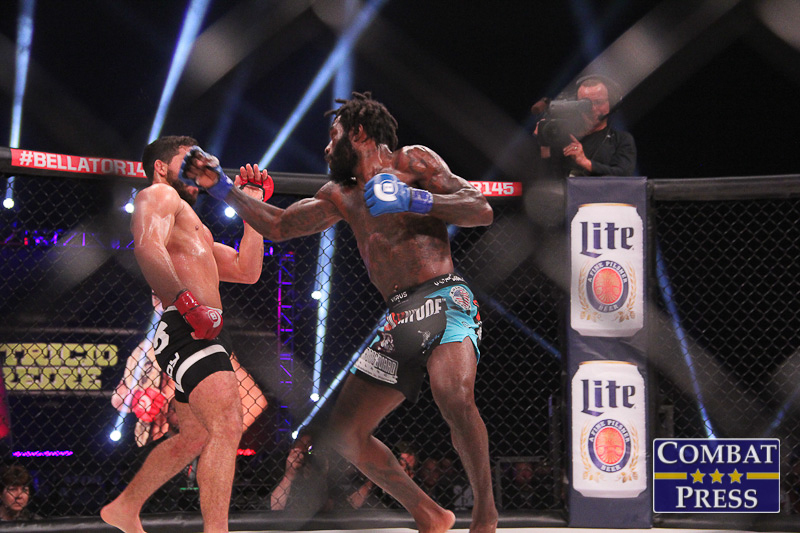 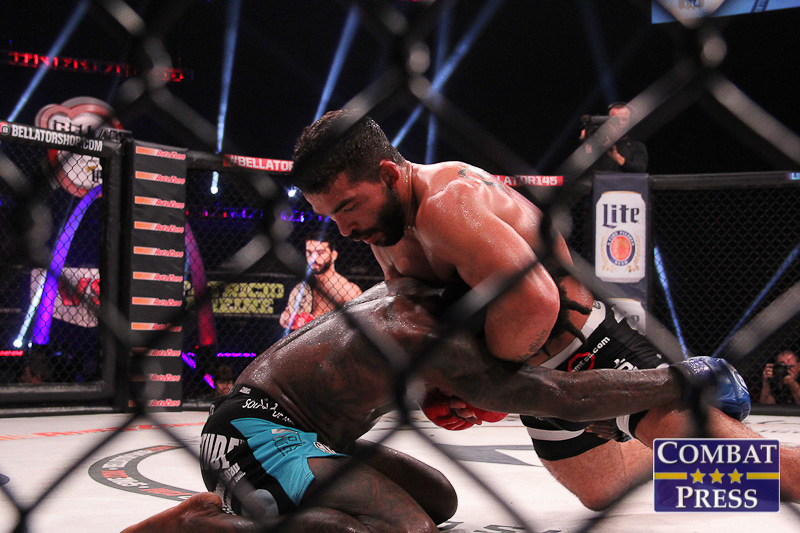 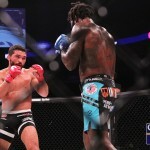 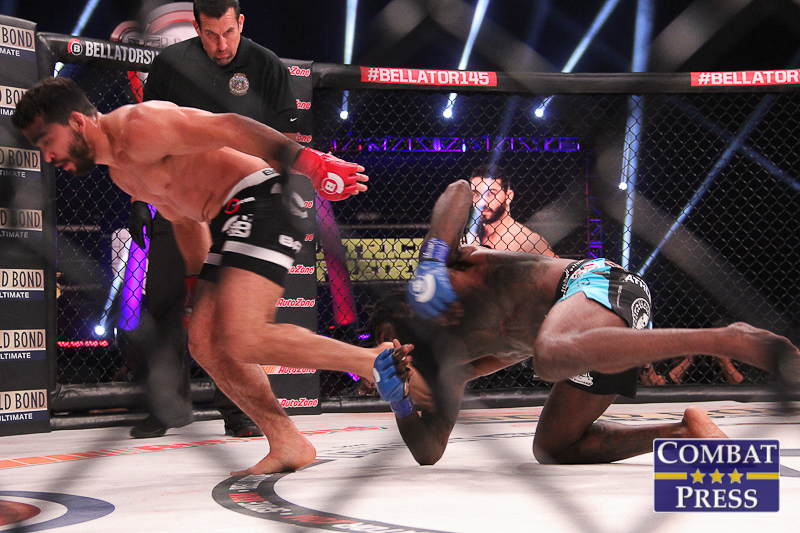 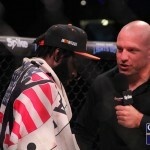 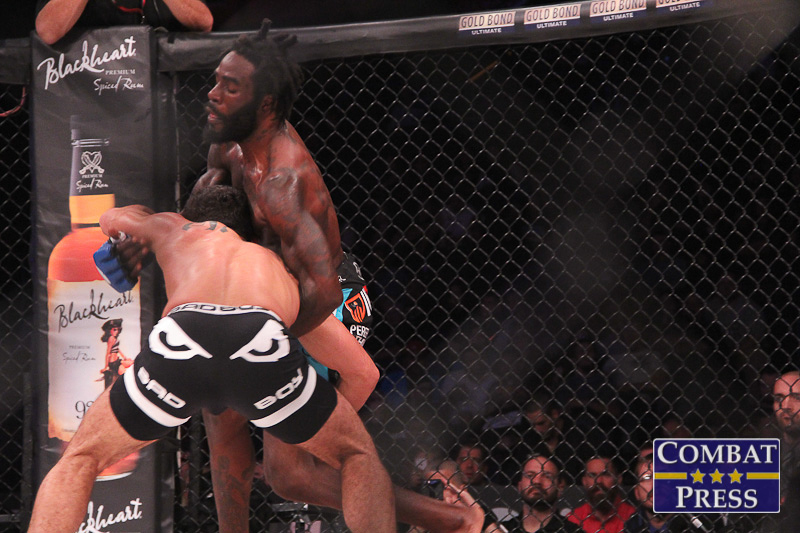 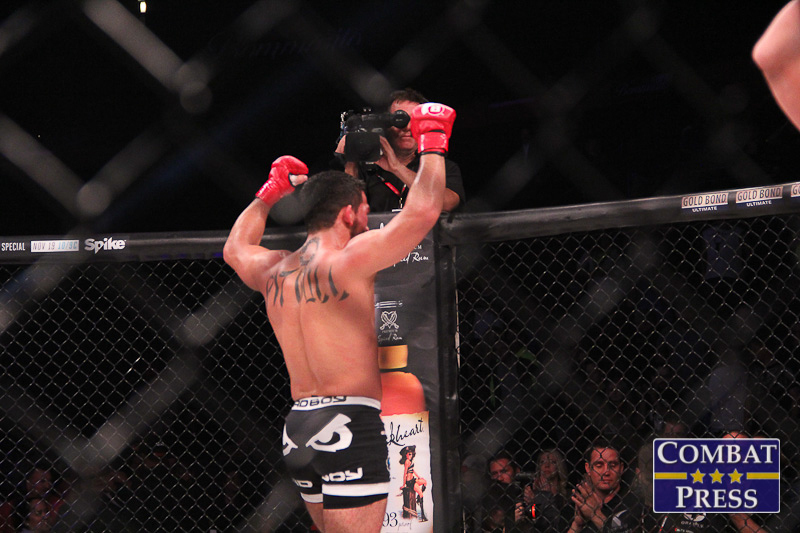 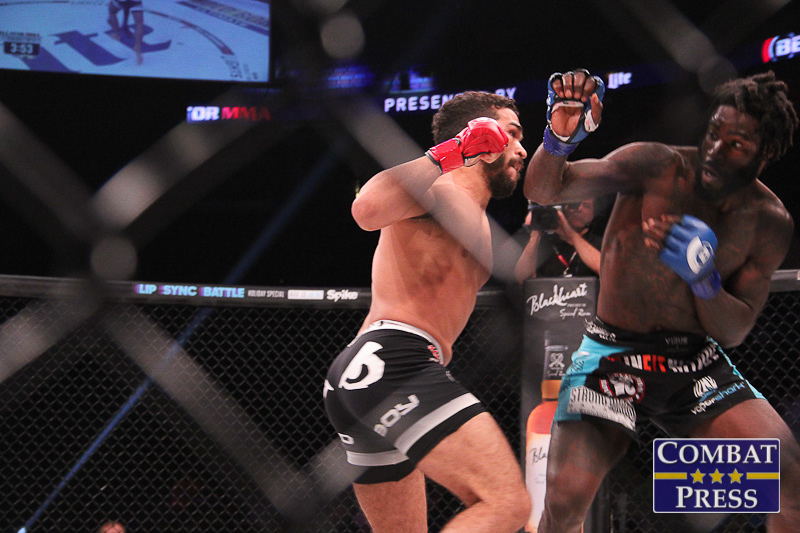 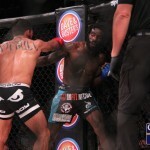 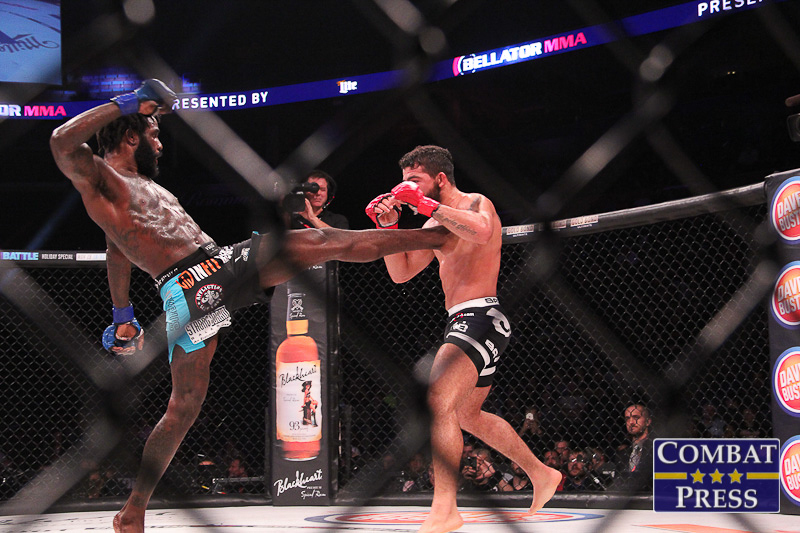 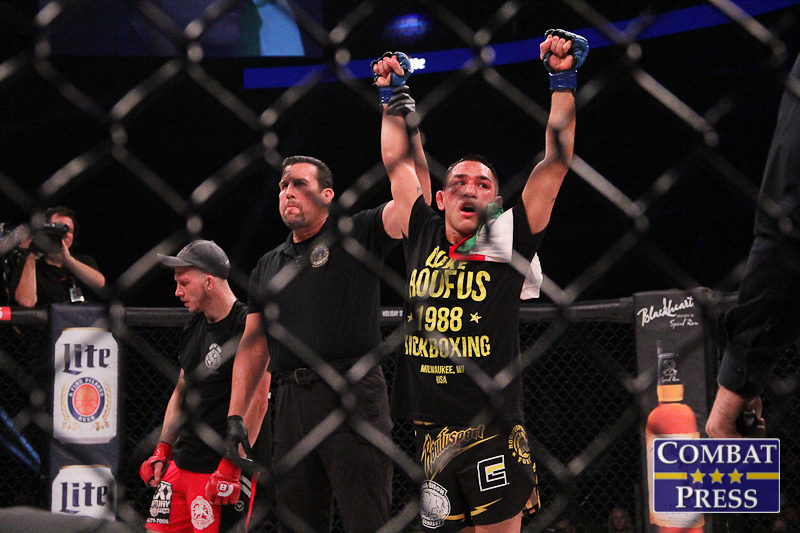 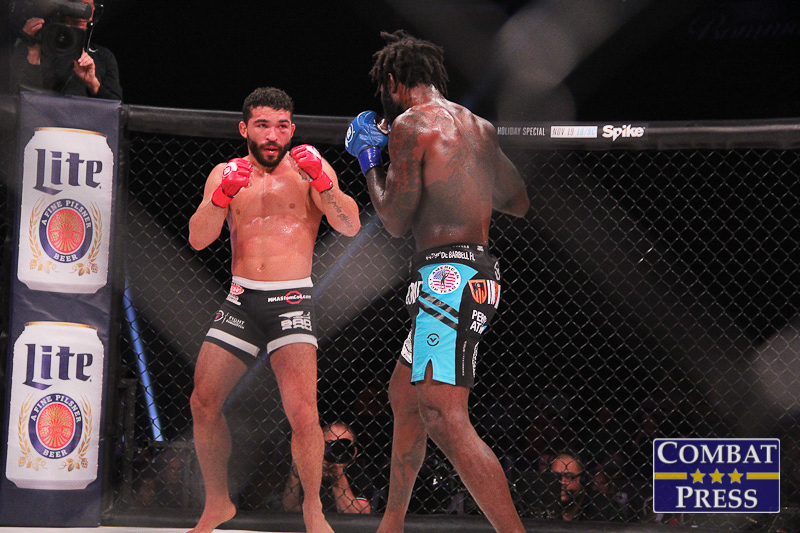 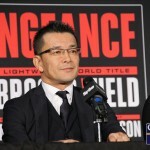 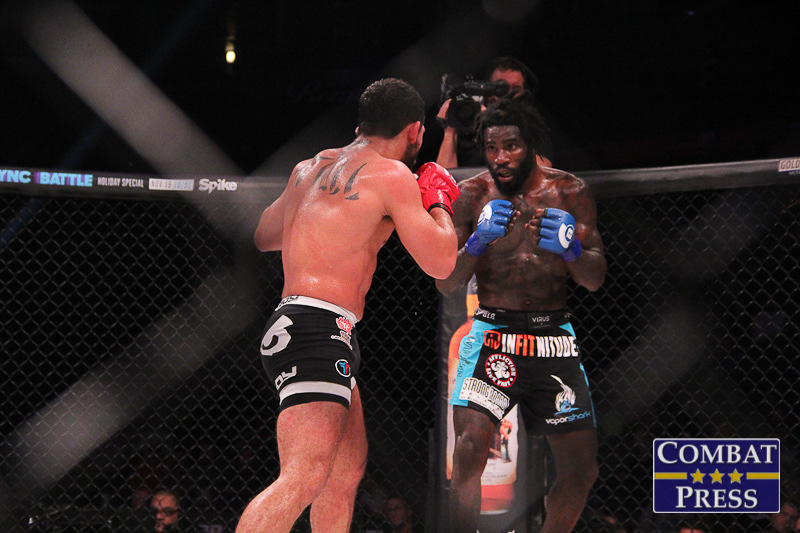 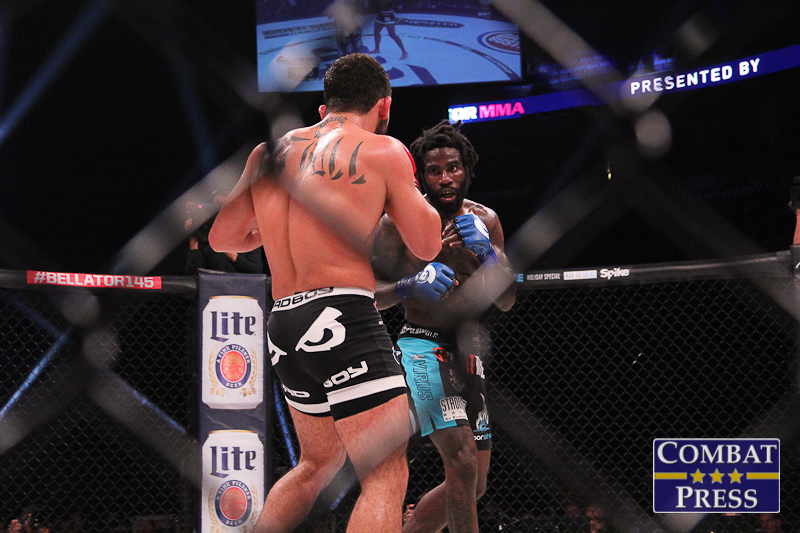 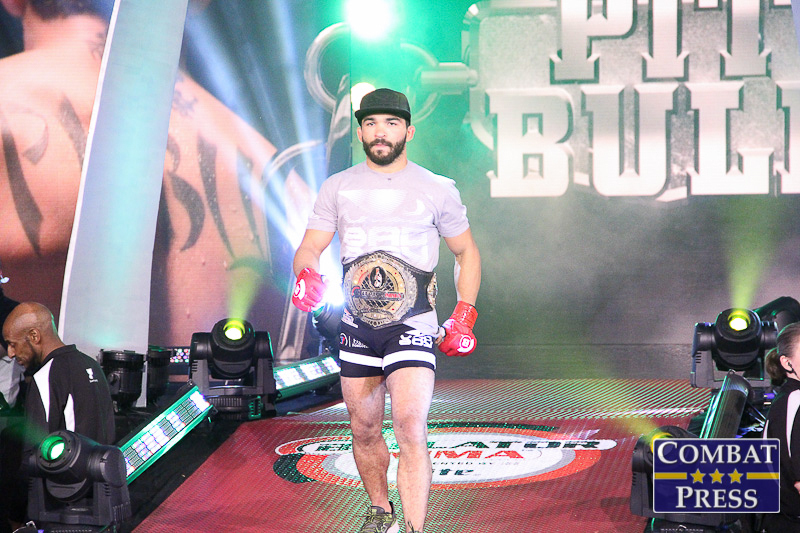 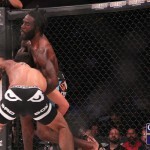 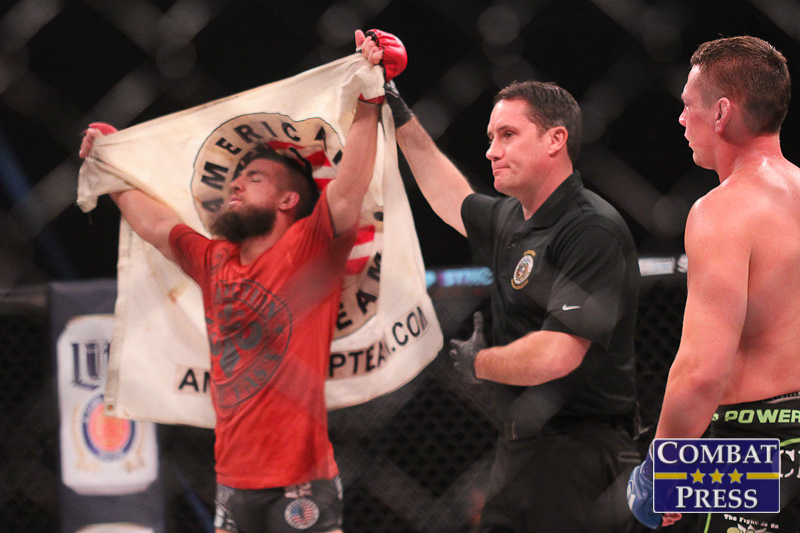 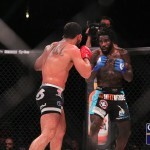 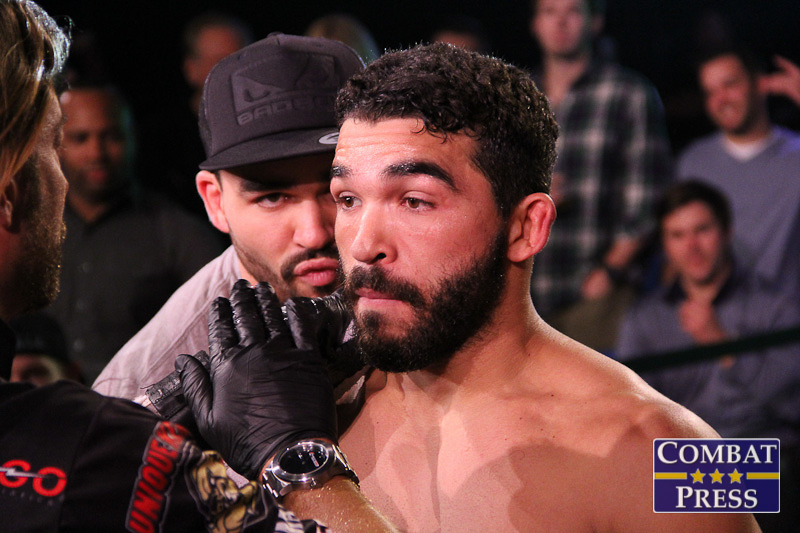 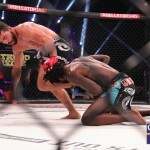 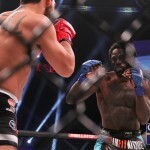 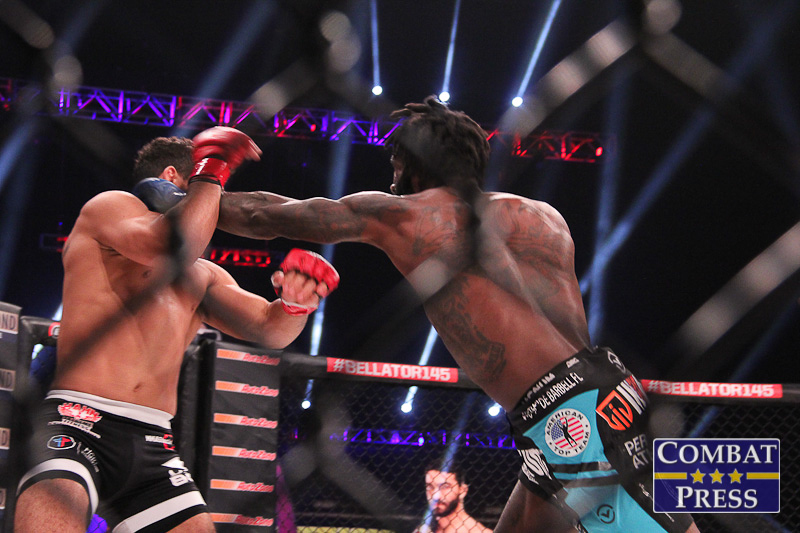 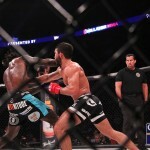 In the night’s main event, the promotion’s featherweight belt was on the line as Patricio “Pitbull” Freire faced former titleholder Daniel Straus for a third time. 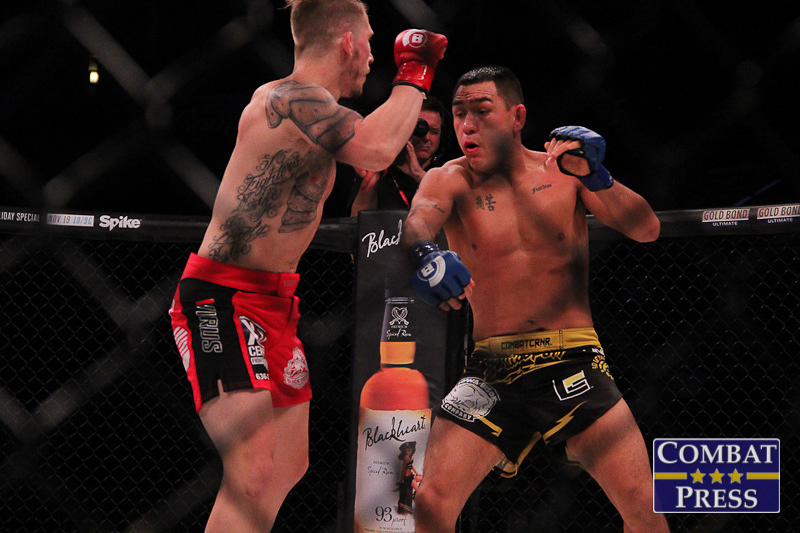 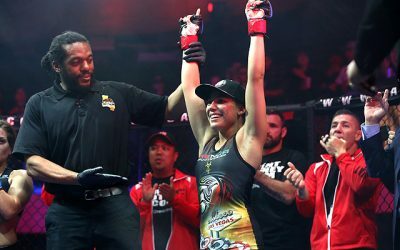 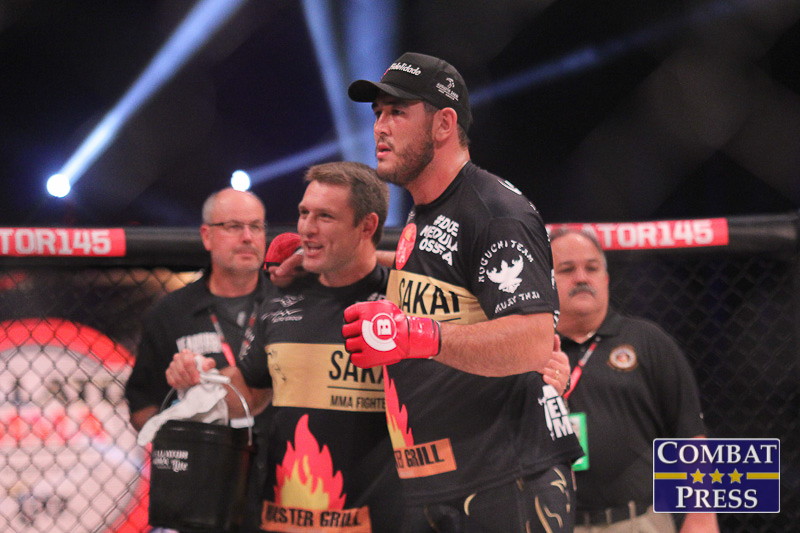 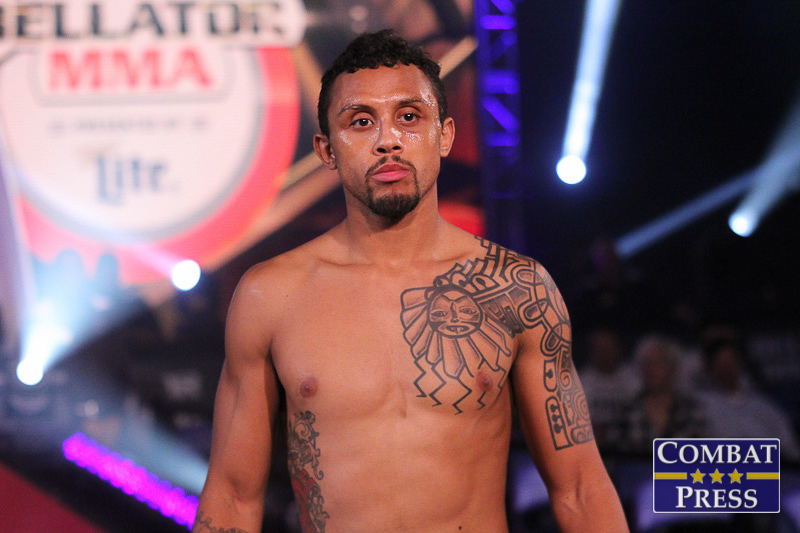 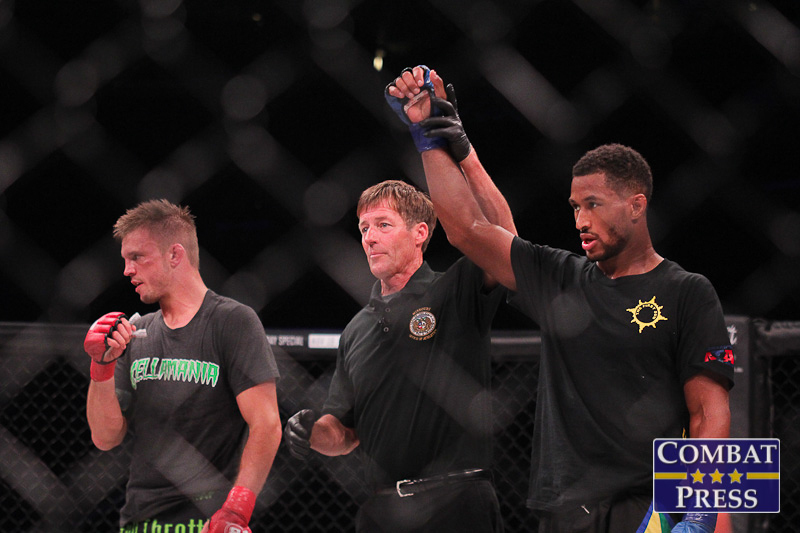 The pair first met in 2011 in the finals of the season four tournament with the Brazilian Freire earning a unanimous decision victory. 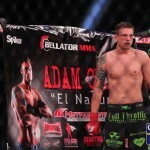 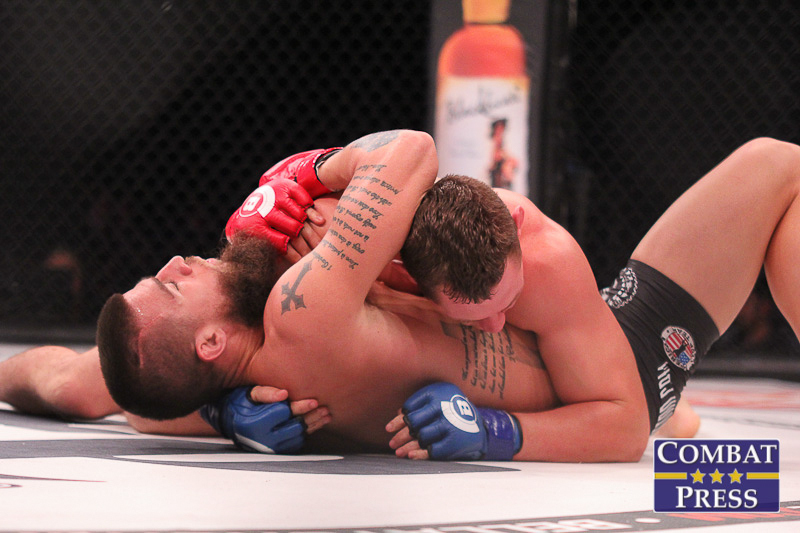 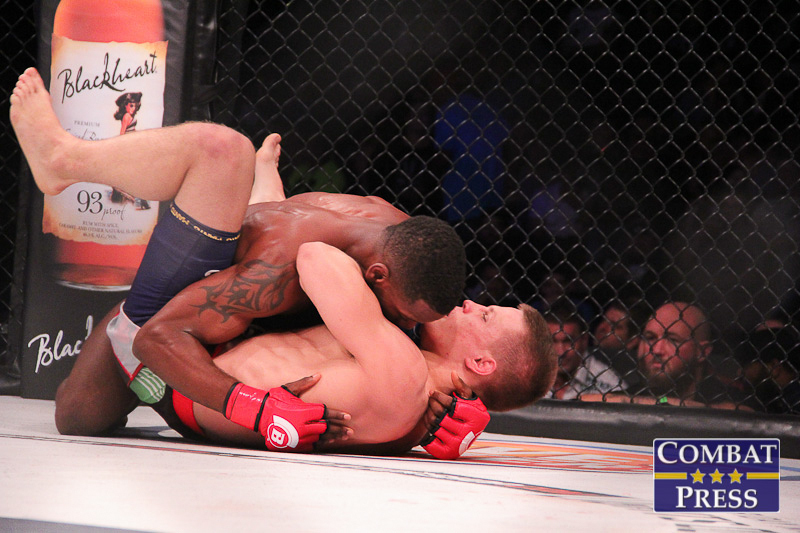 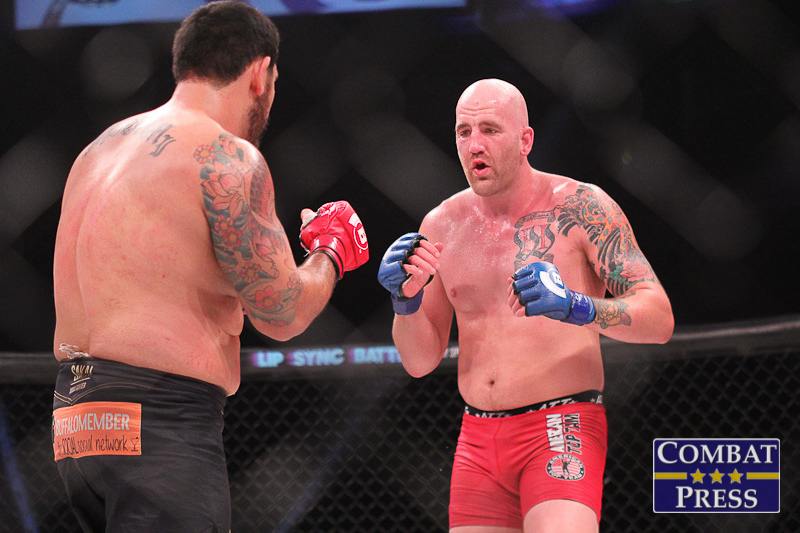 They met again in January of this year at Bellator 132 with Freire submitting Straus via fourth-round rear-naked choke. 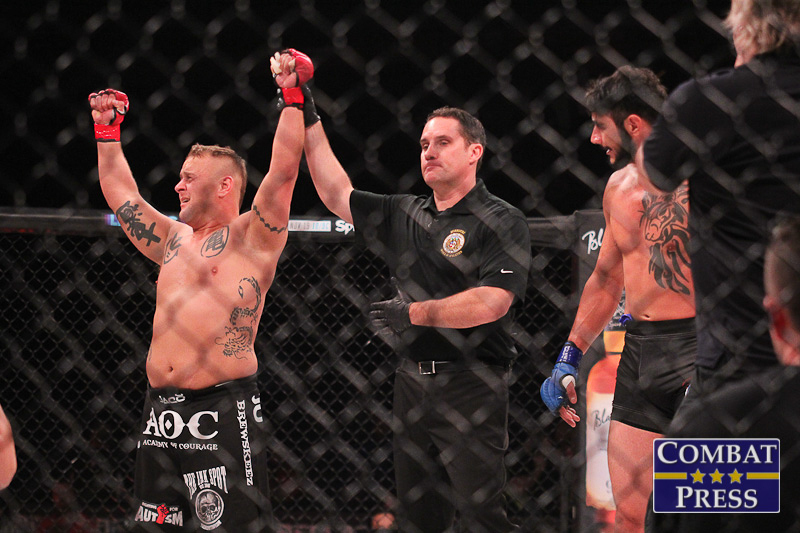 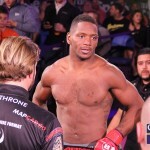 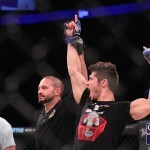 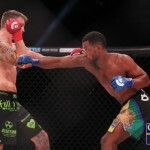 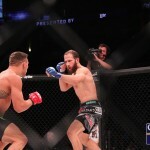 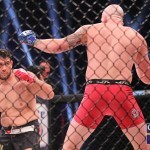 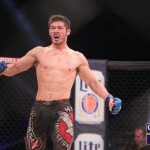 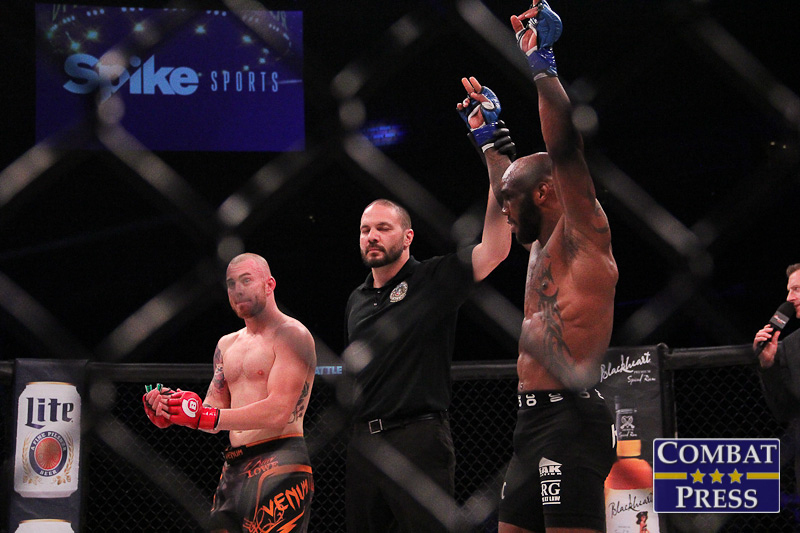 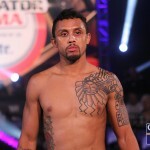 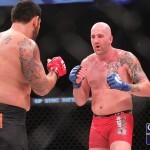 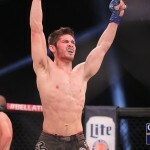 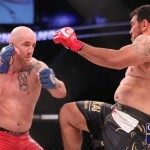 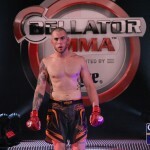 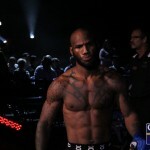 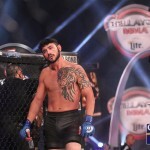 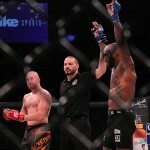 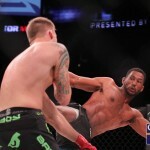 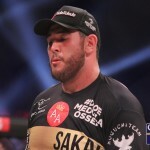 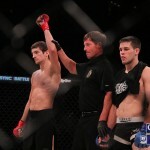 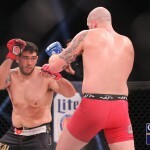 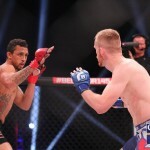 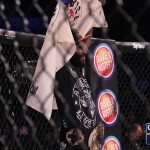 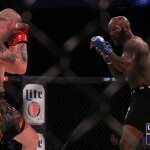 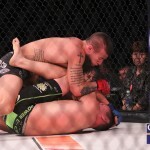 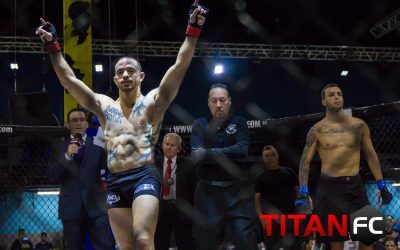 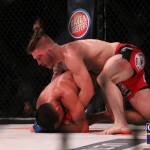 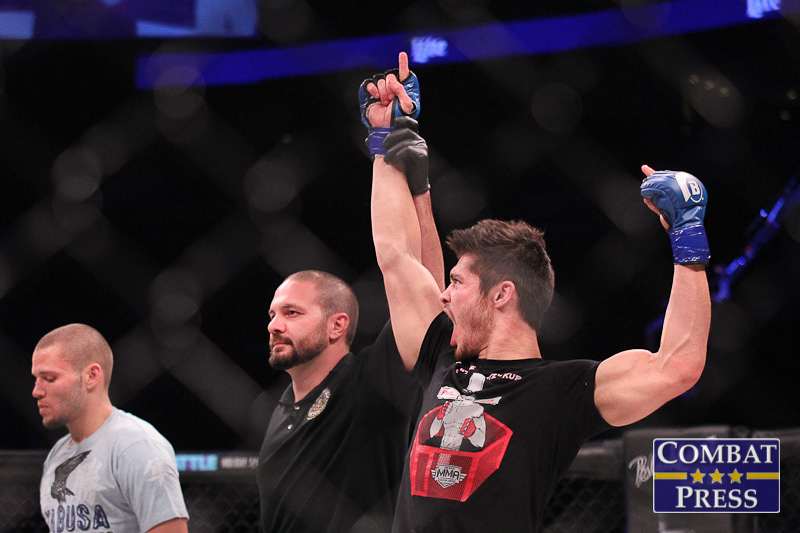 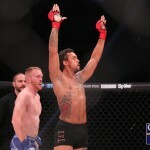 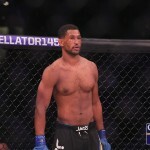 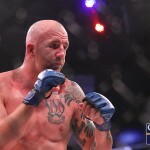 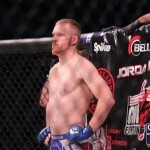 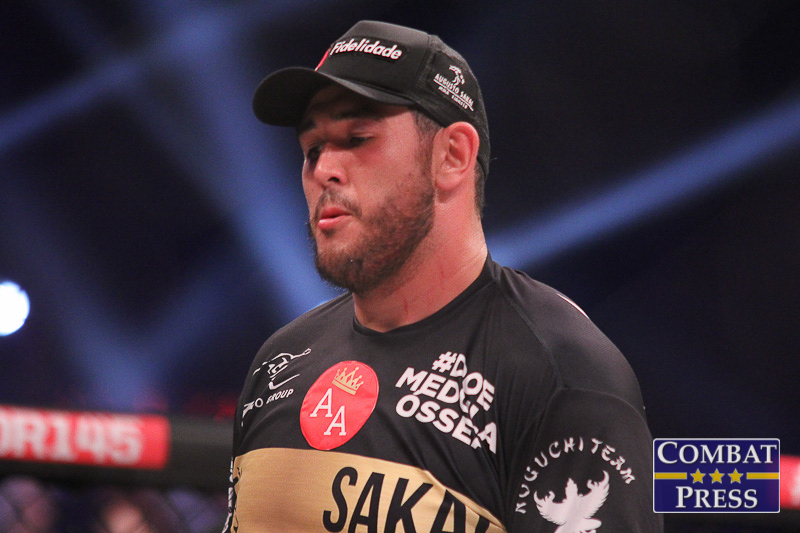 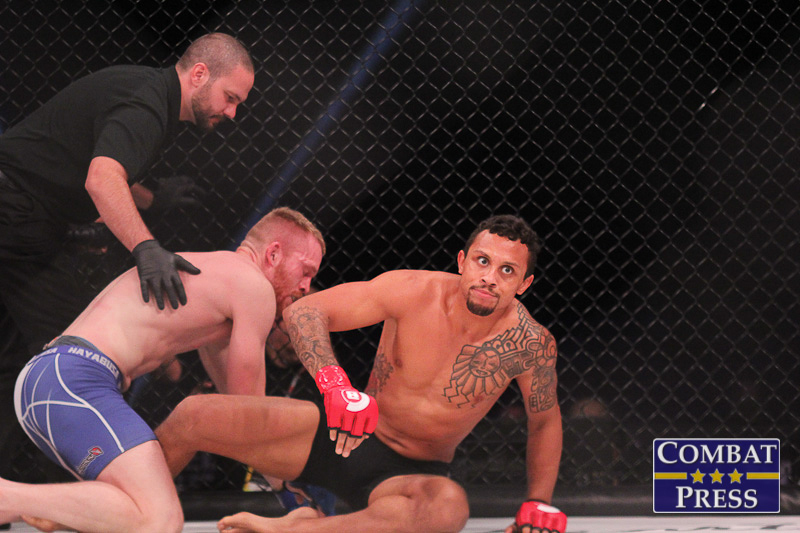 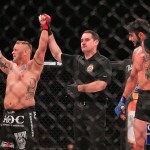 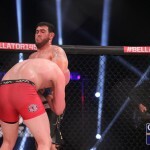 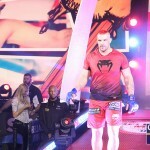 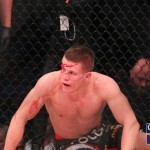 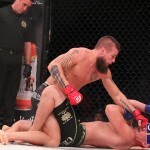 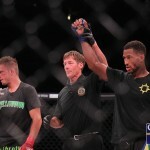 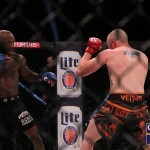 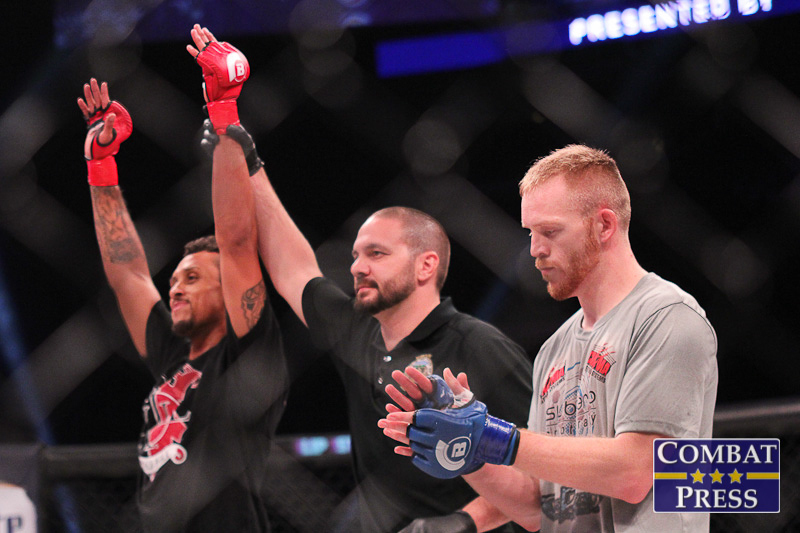 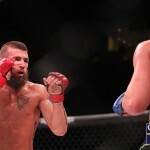 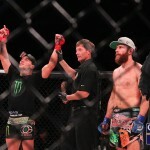 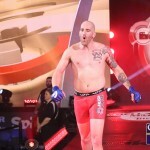 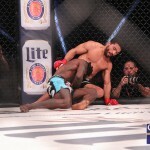 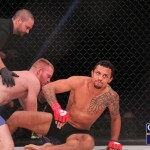 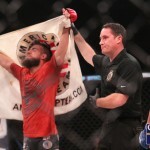 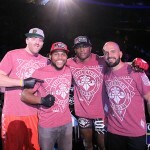 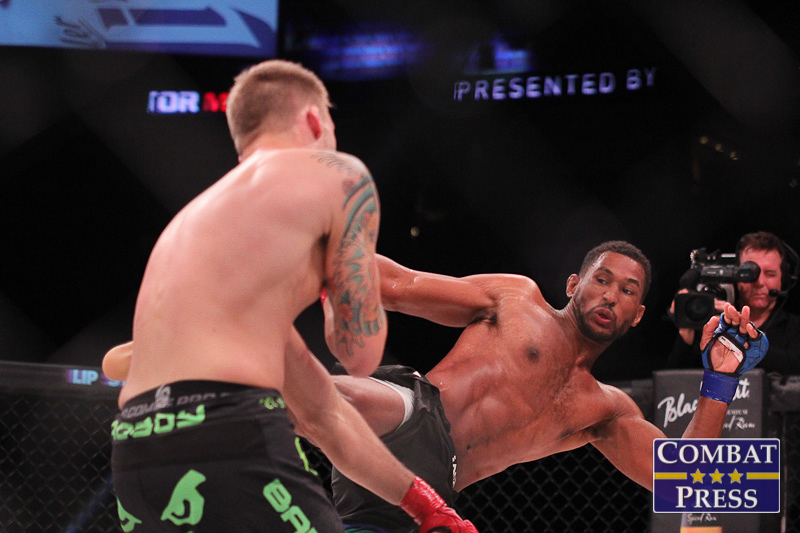 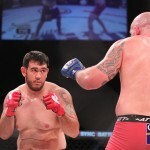 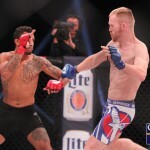 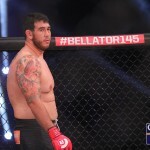 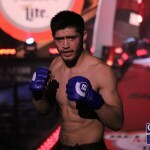 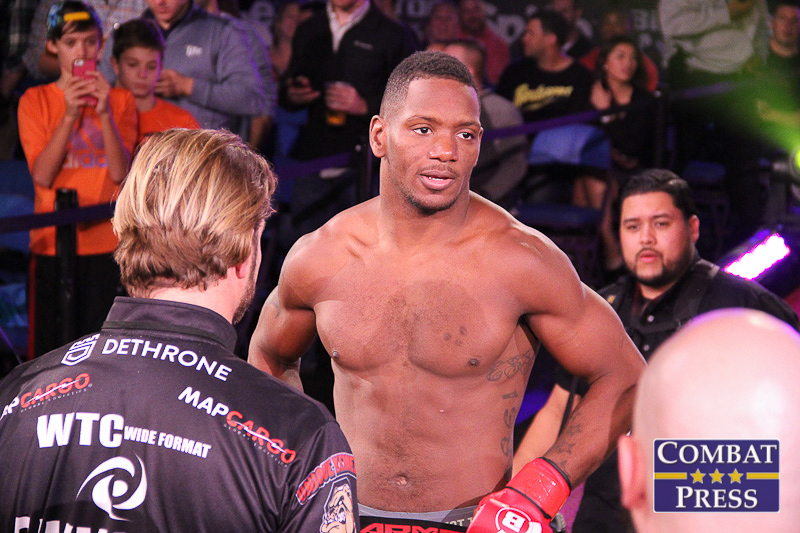 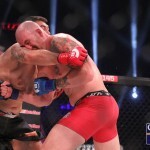 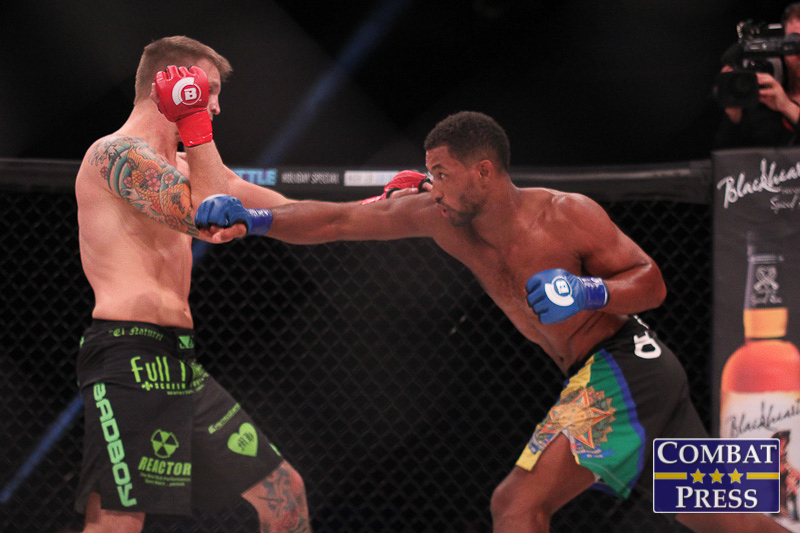 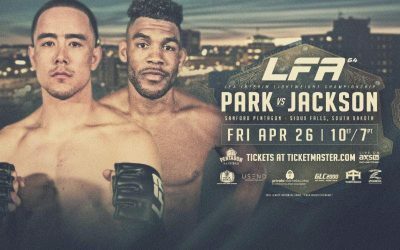 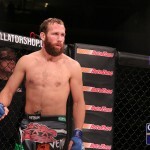 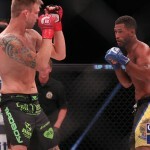 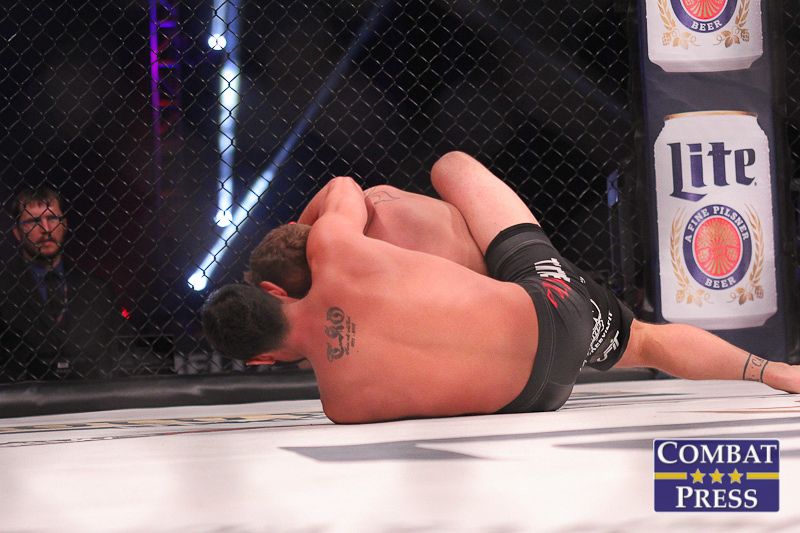 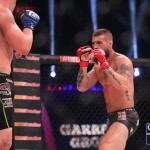 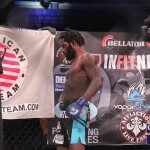 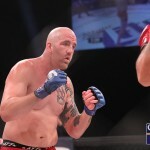 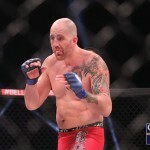 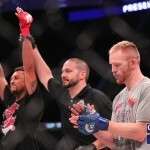 Freire defended his belt in June with a second-round finish of Daniel Weichel, while Straus got back in the win column with a second-round submission of Henry Corrales at the same event. 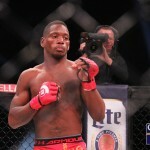 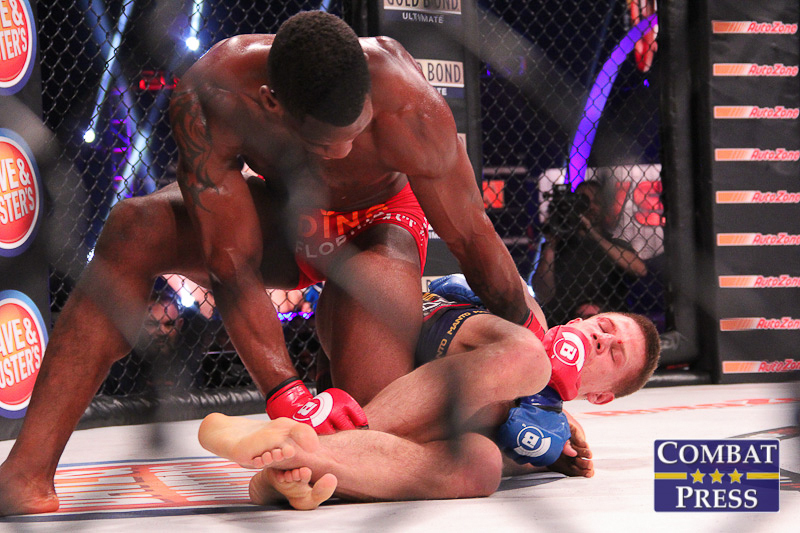 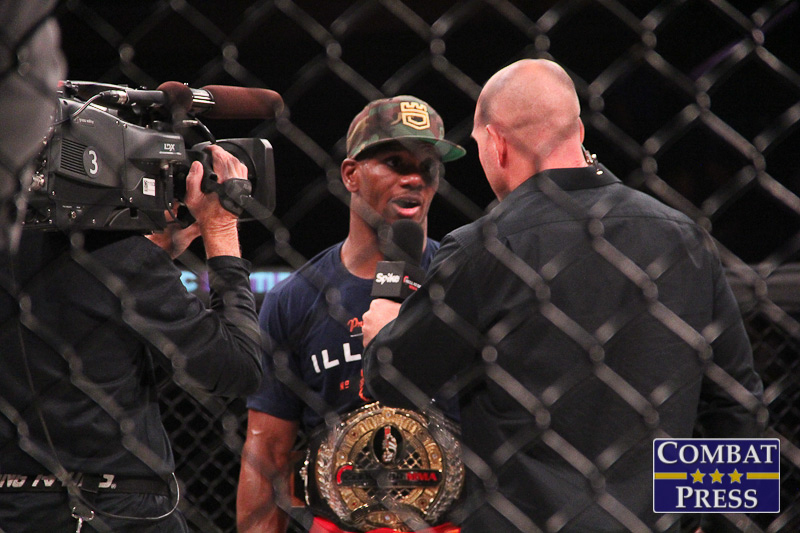 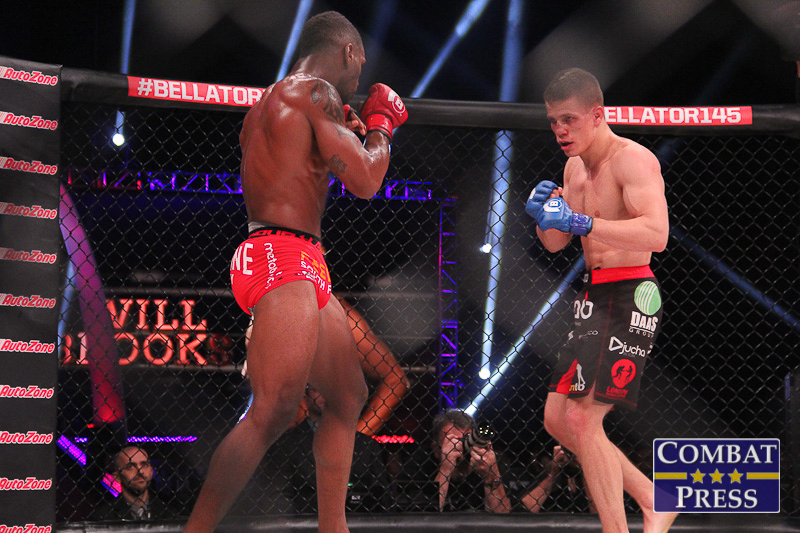 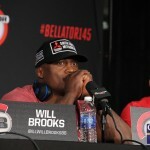 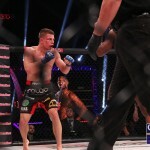 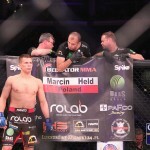 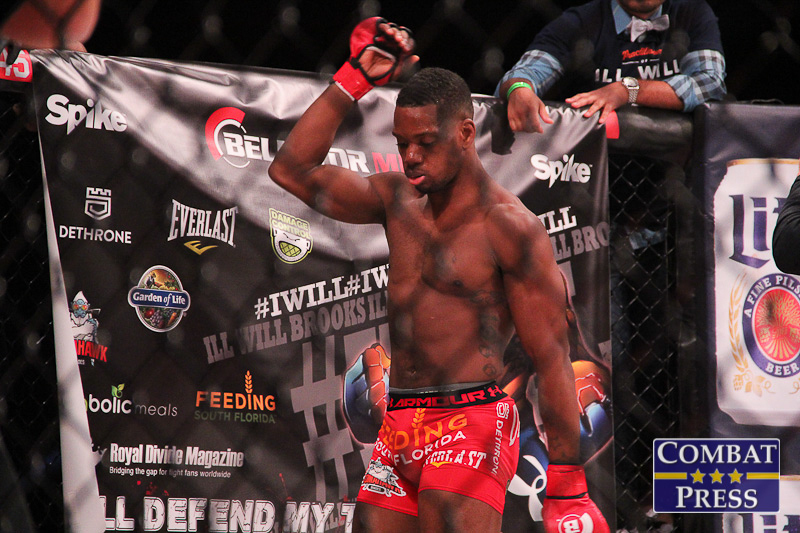 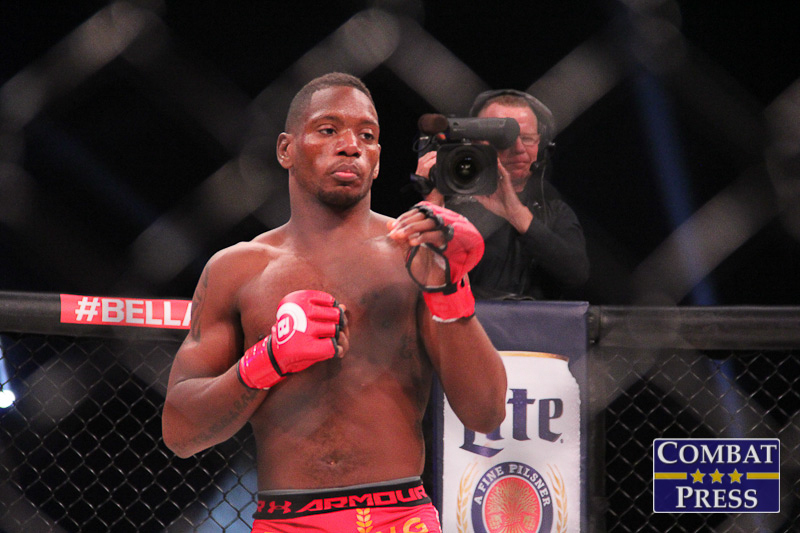 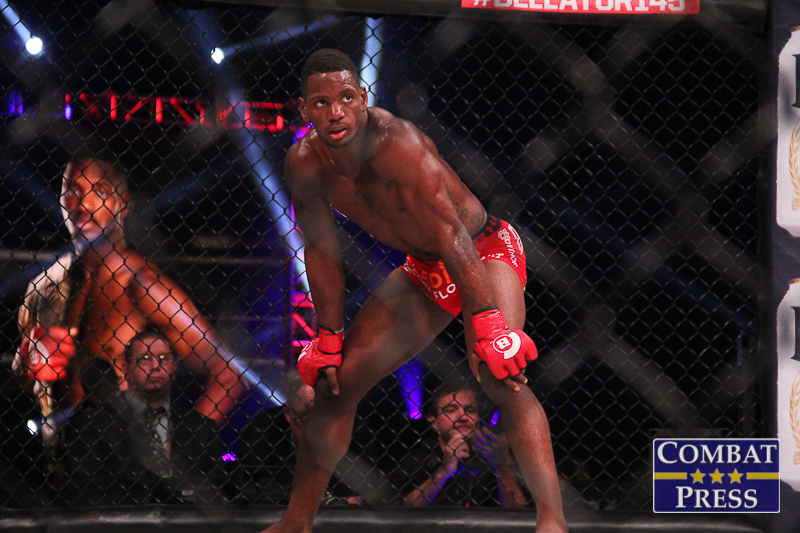 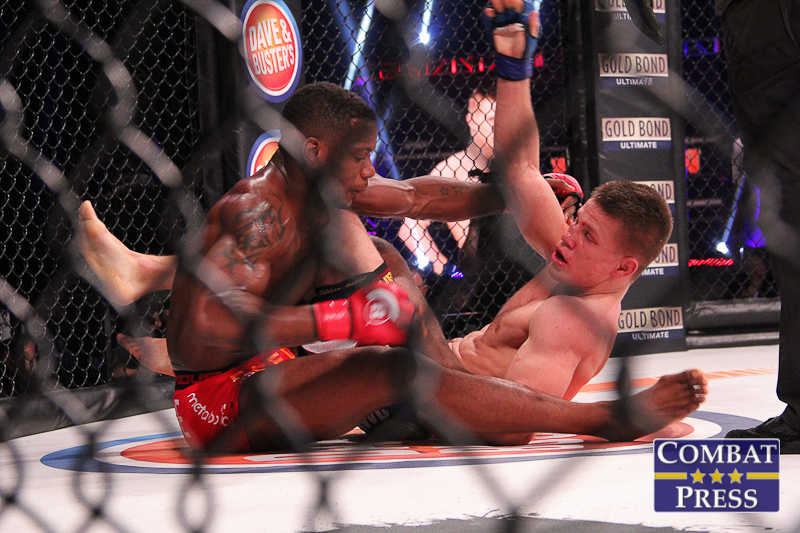 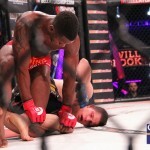 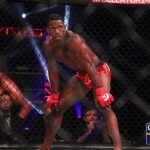 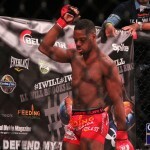 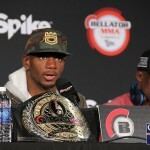 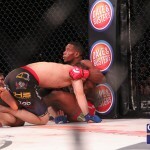 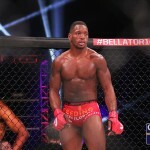 There was a second title on the line in the night’s co-main event as champion Will Brooks looked to defend against Poland’s Marcin Held. 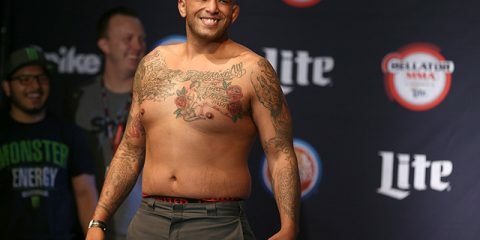 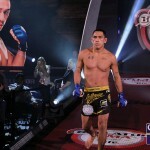 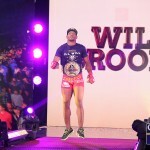 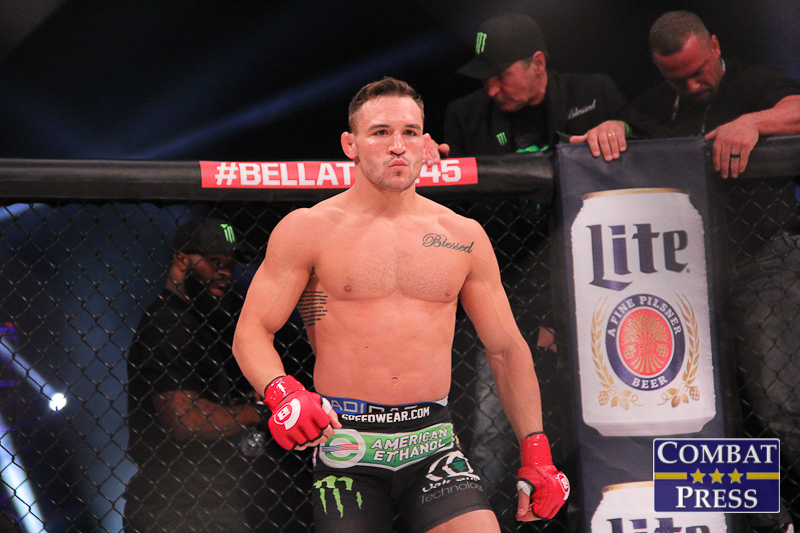 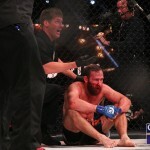 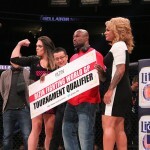 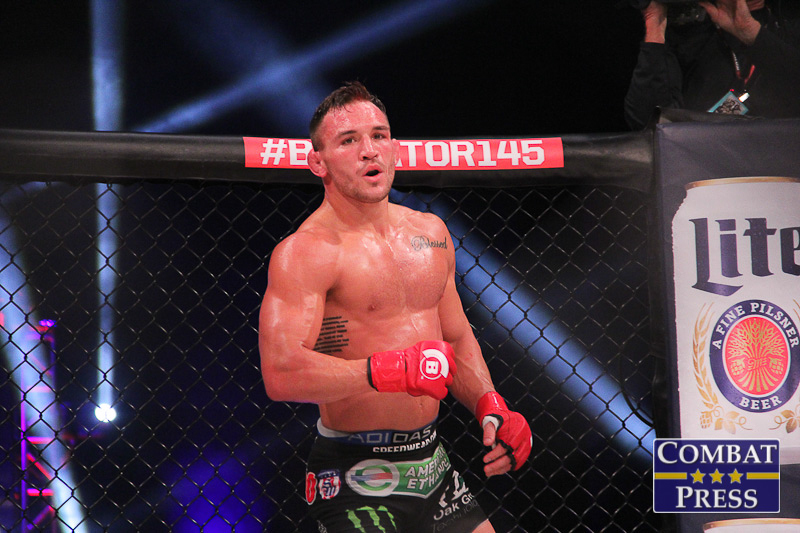 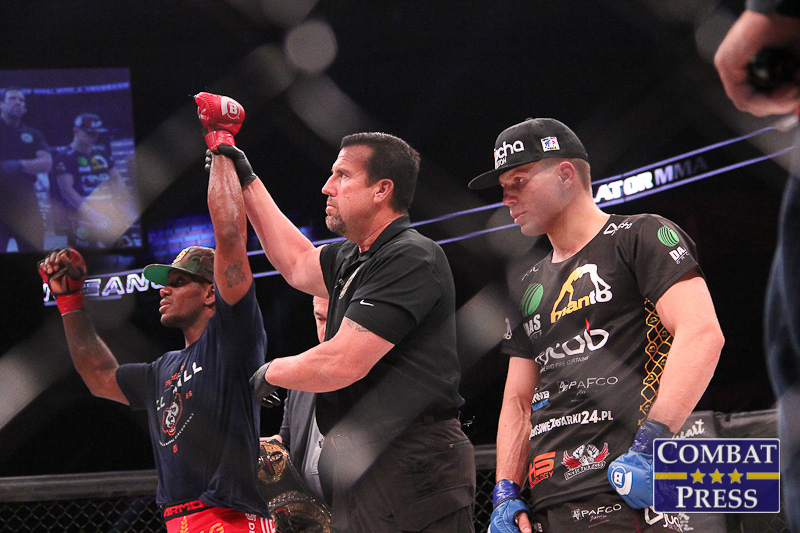 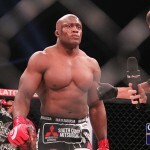 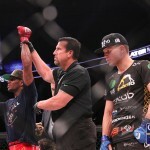 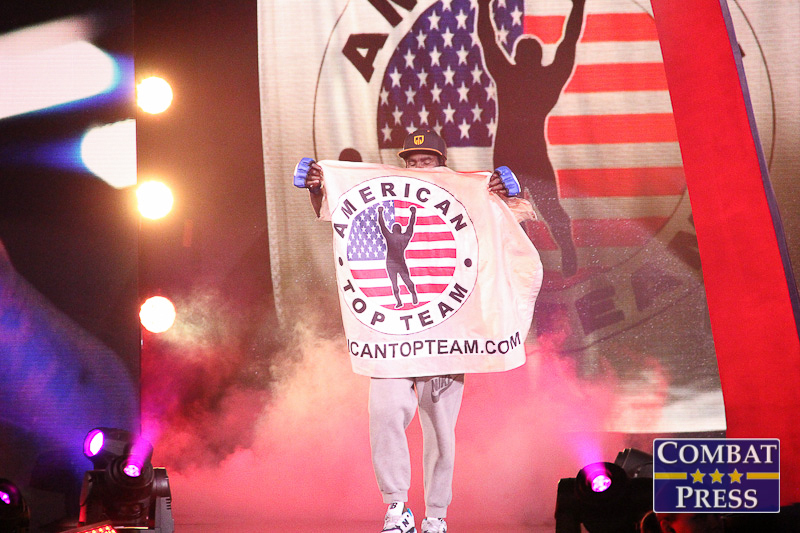 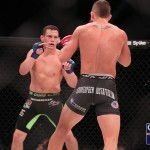 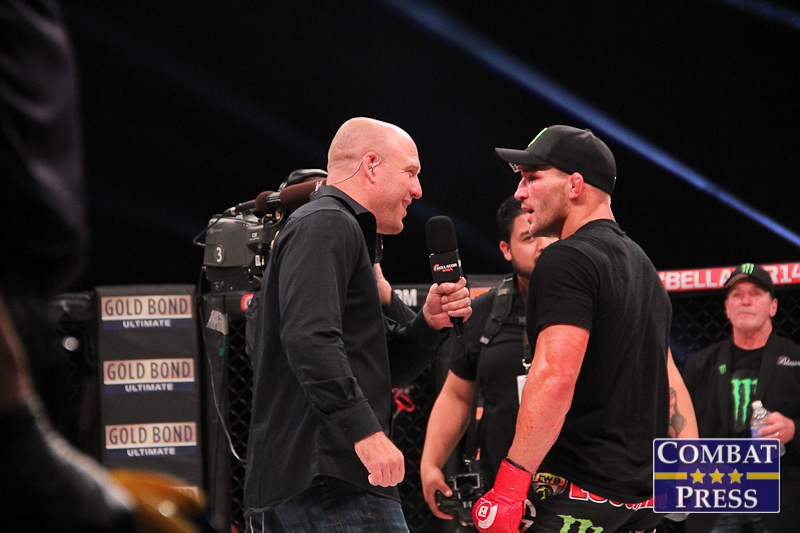 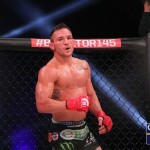 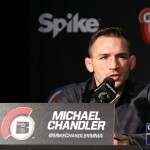 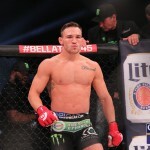 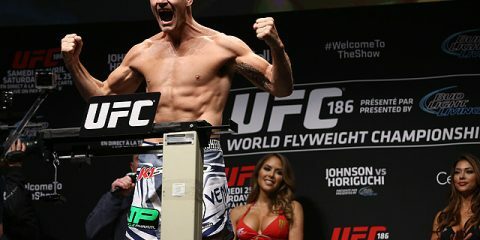 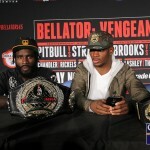 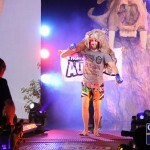 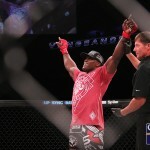 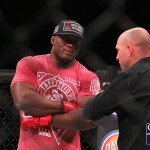 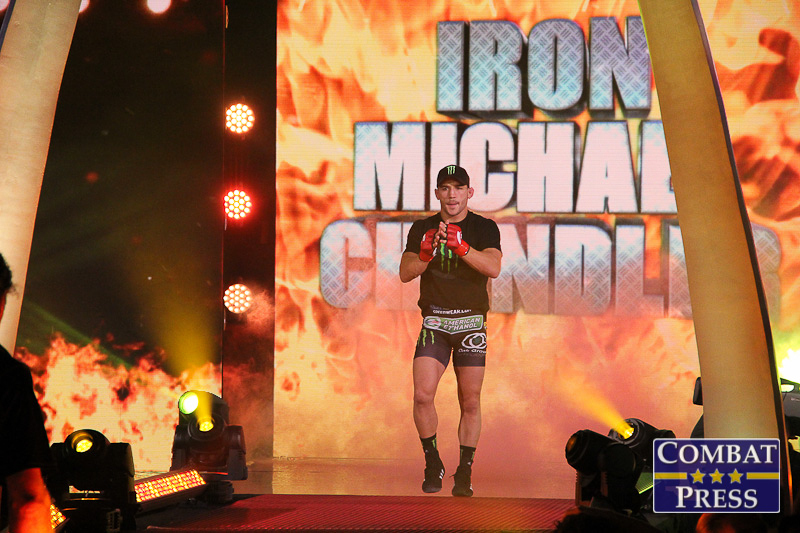 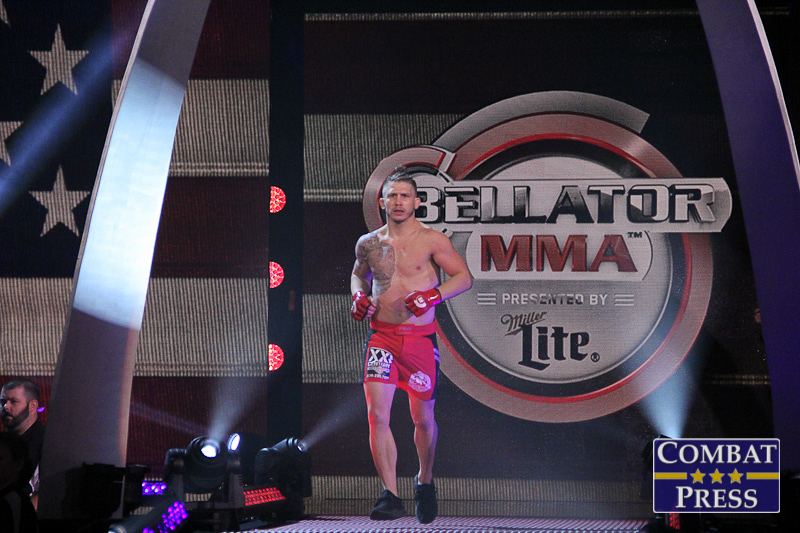 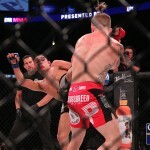 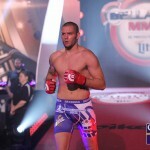 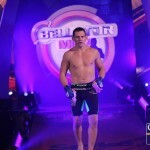 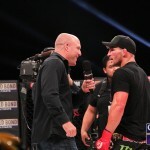 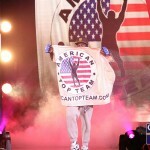 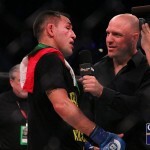 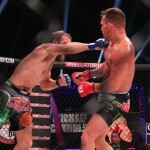 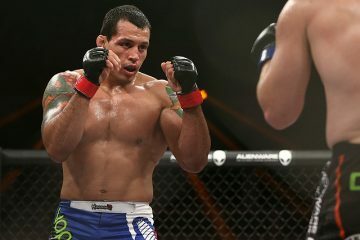 Brooks entered the contest riding a seven-fight winning streak, including a pair of wins over Michael Chandler. 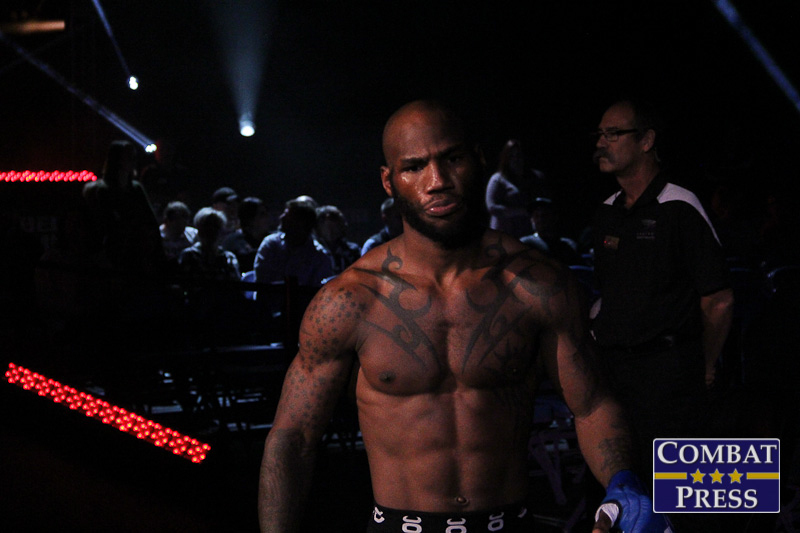 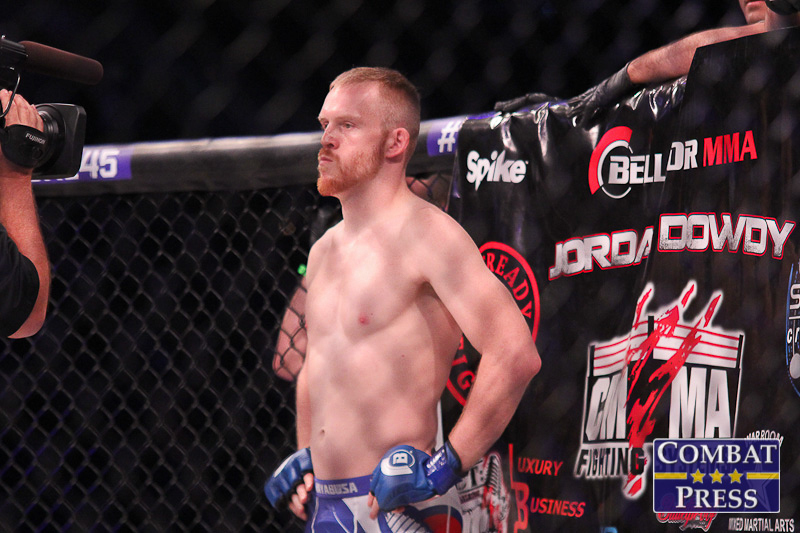 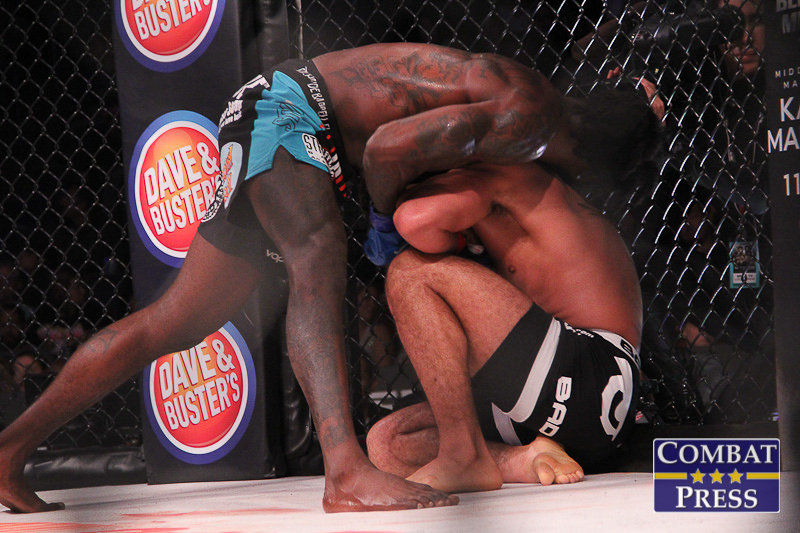 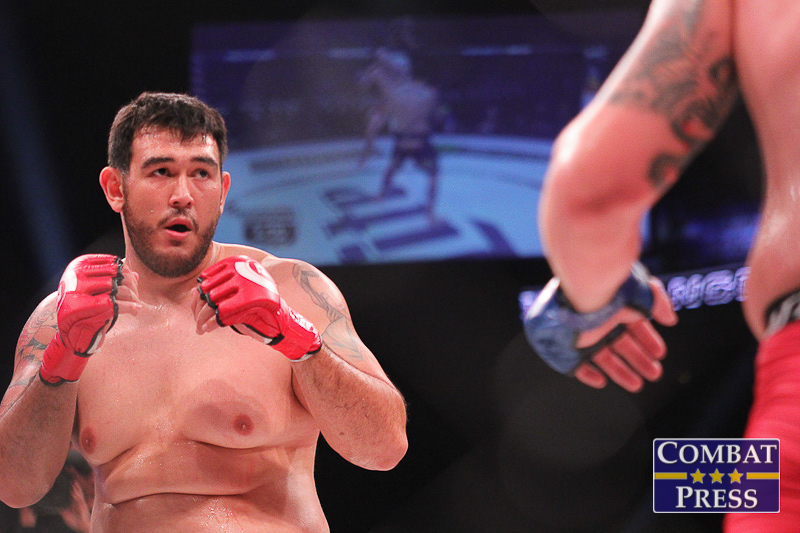 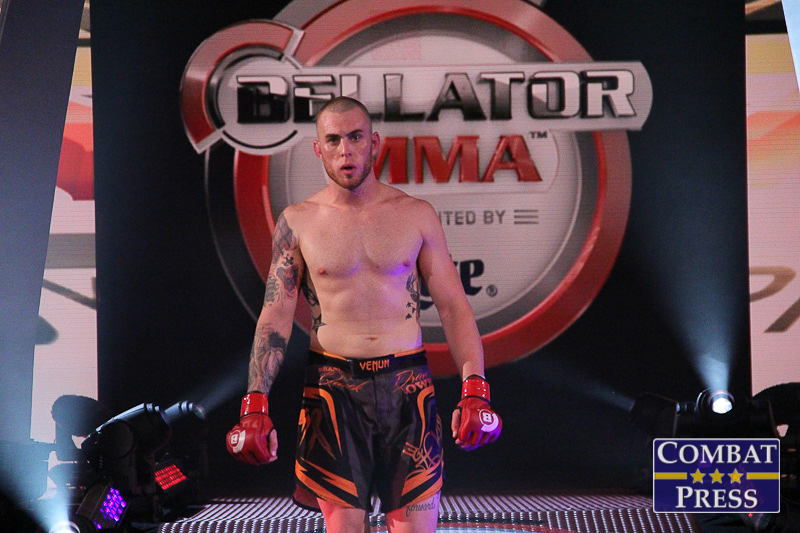 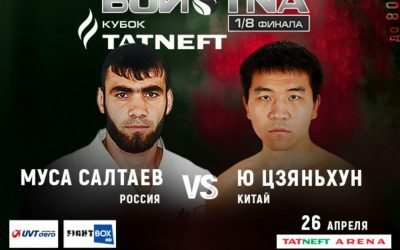 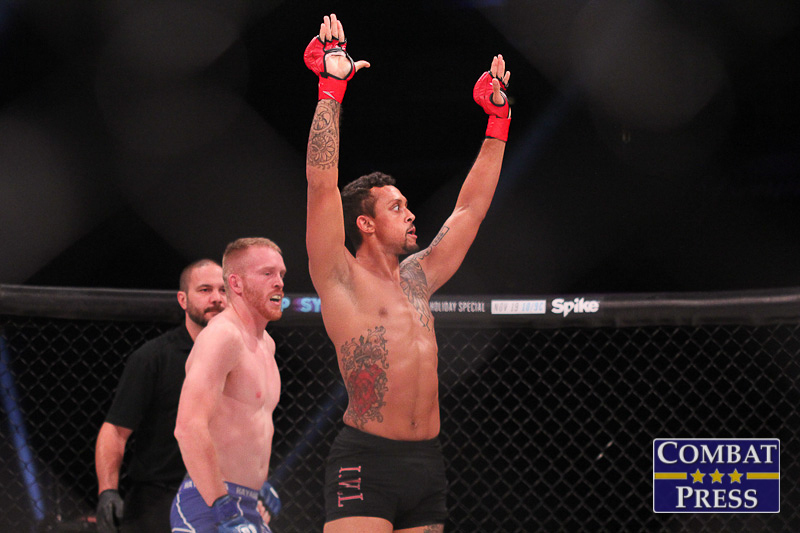 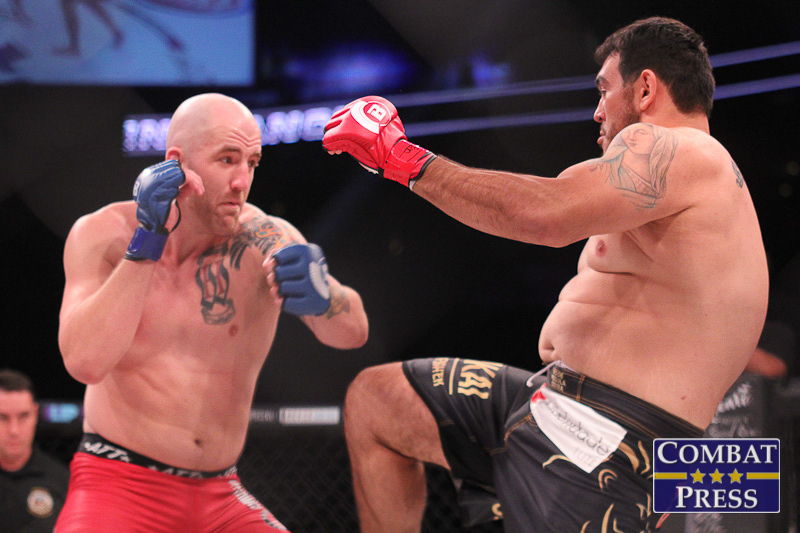 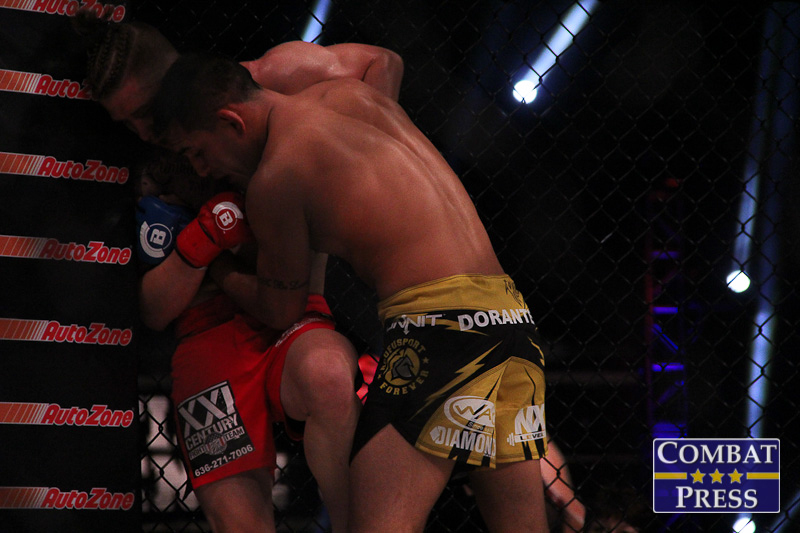 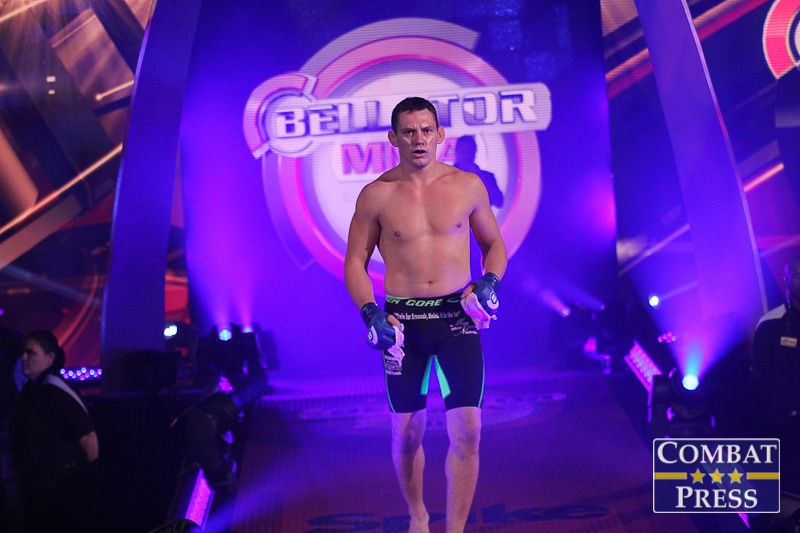 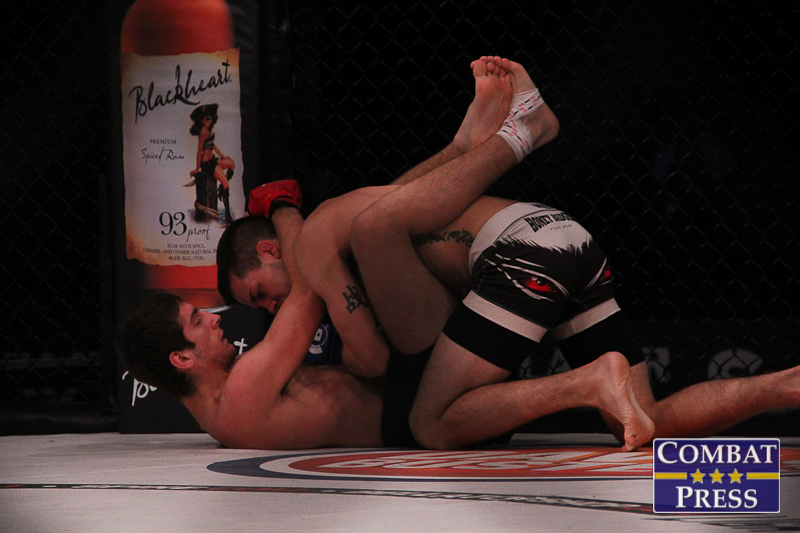 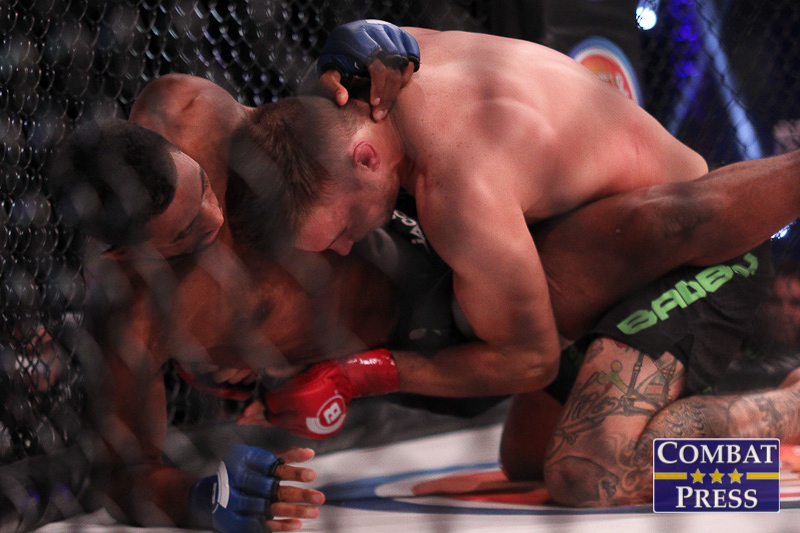 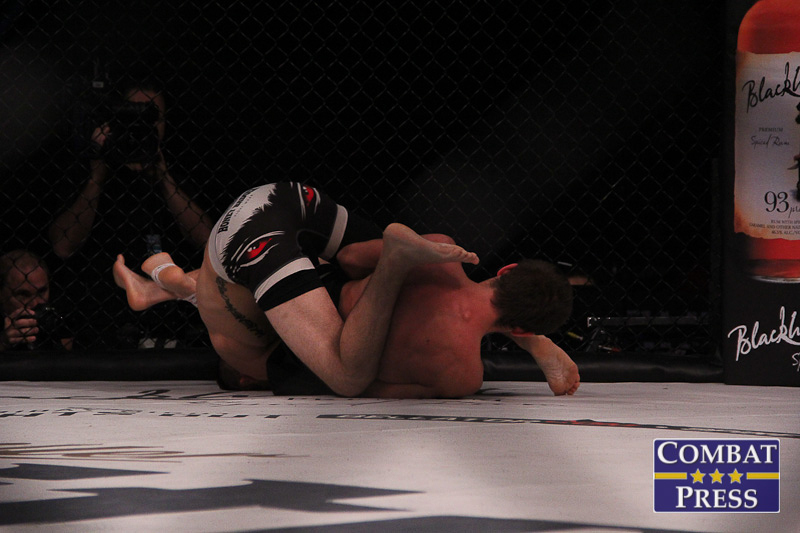 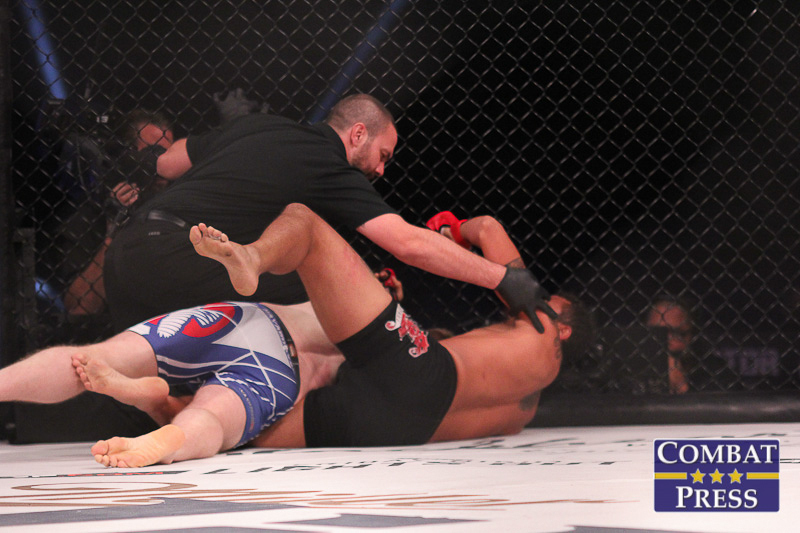 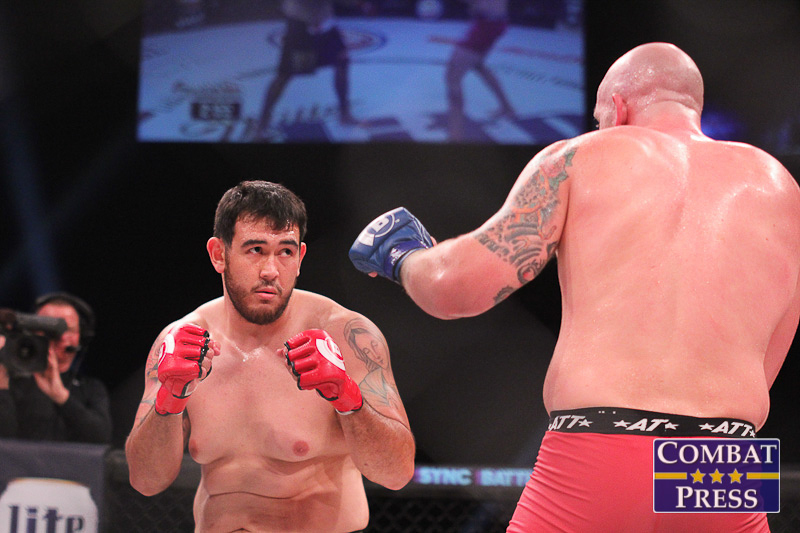 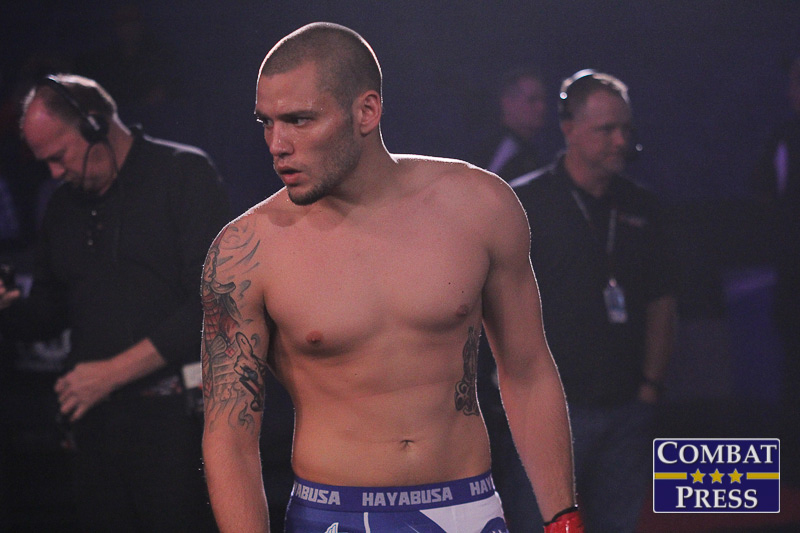 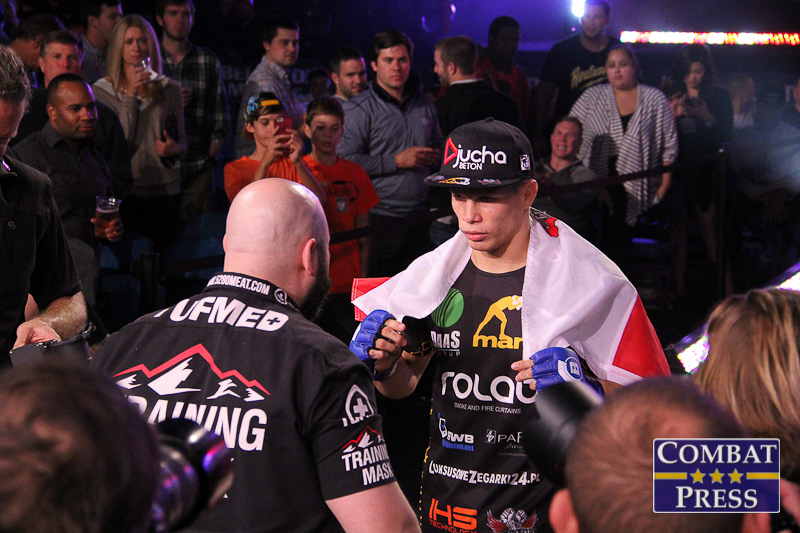 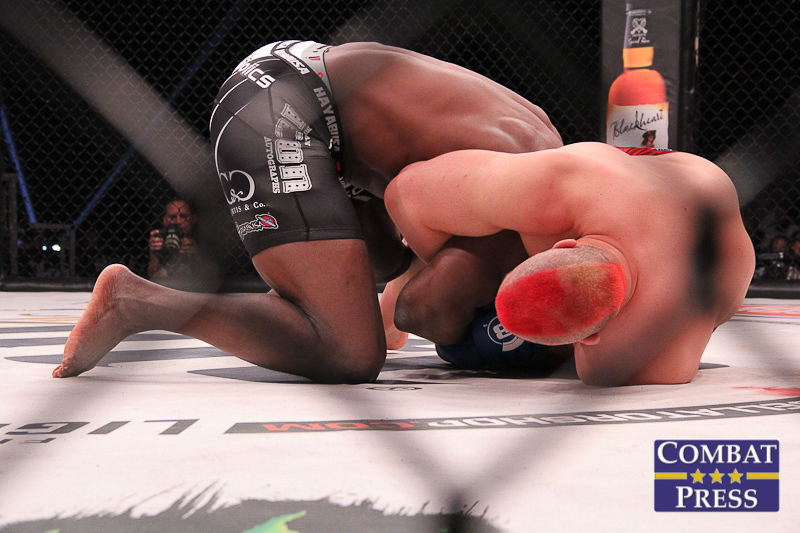 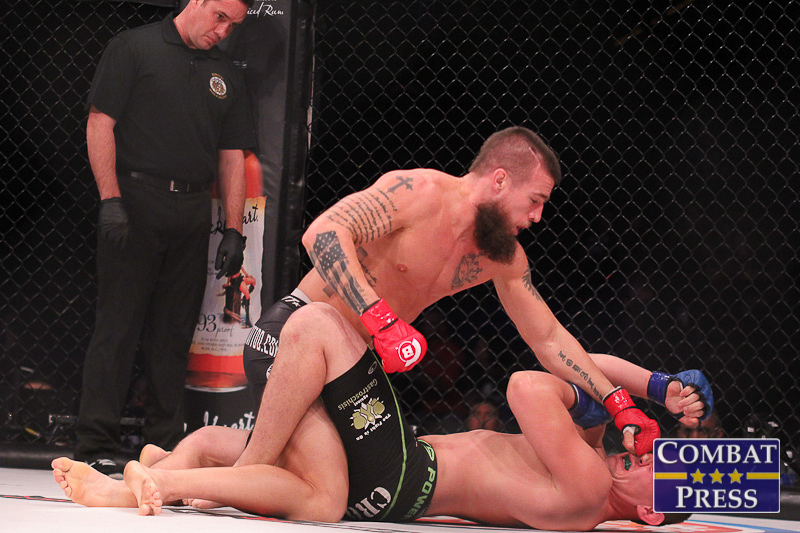 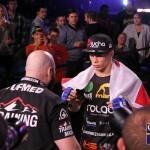 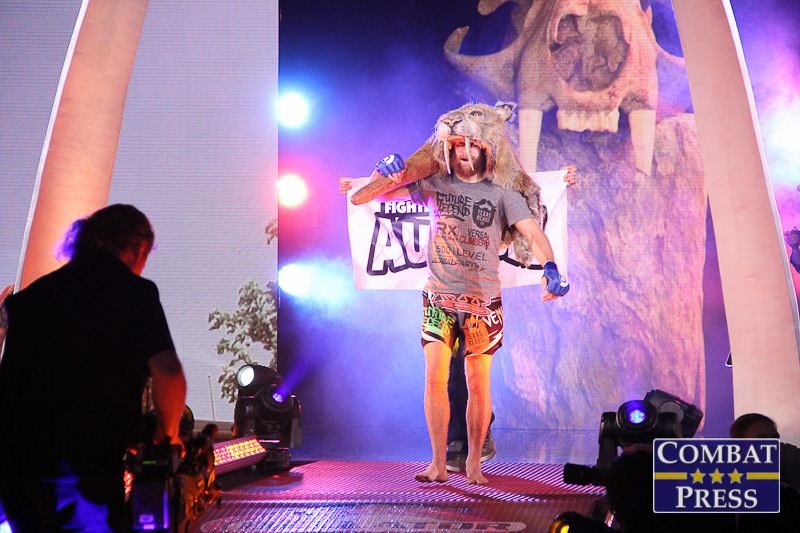 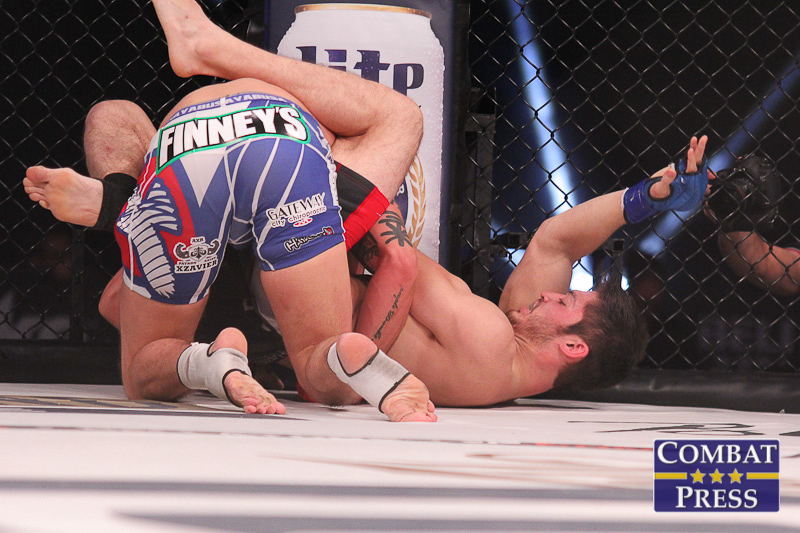 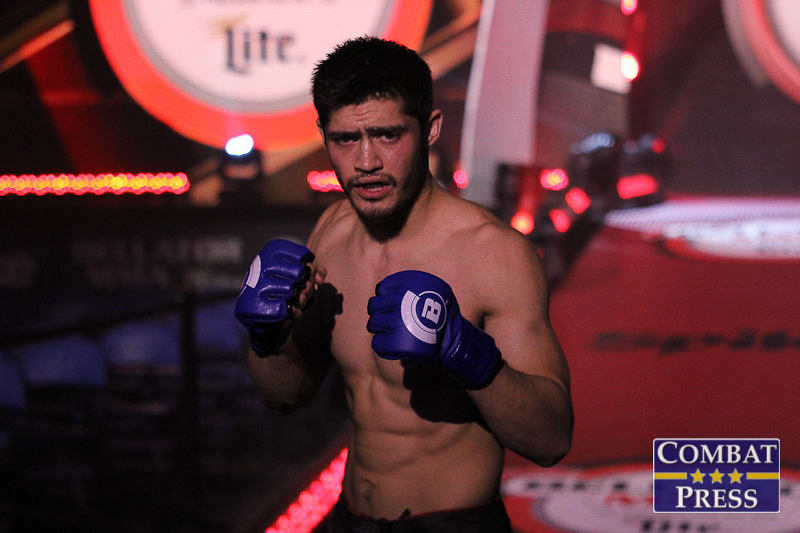 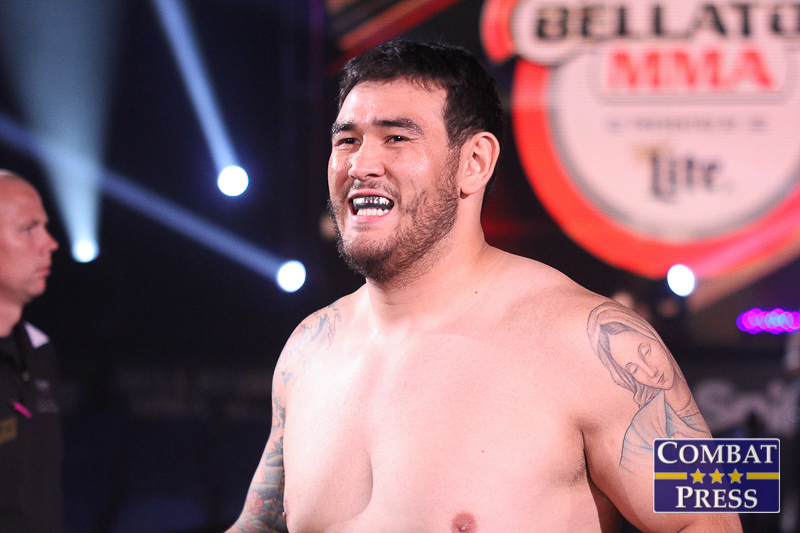 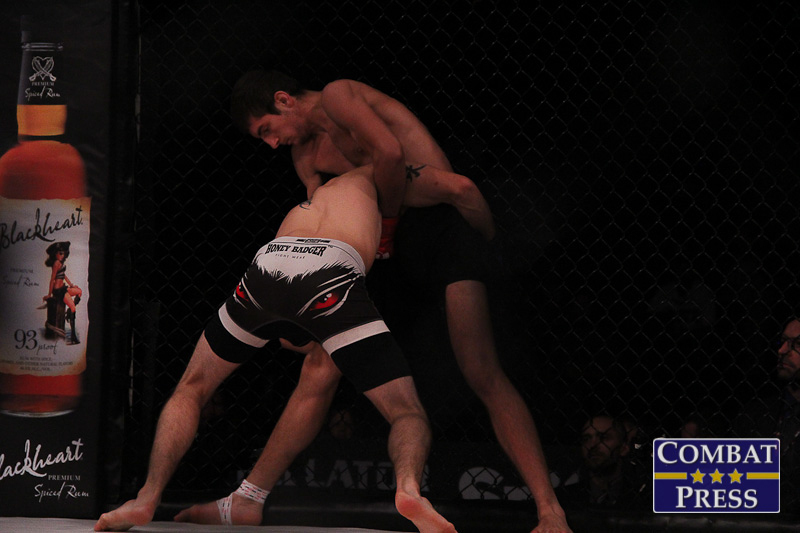 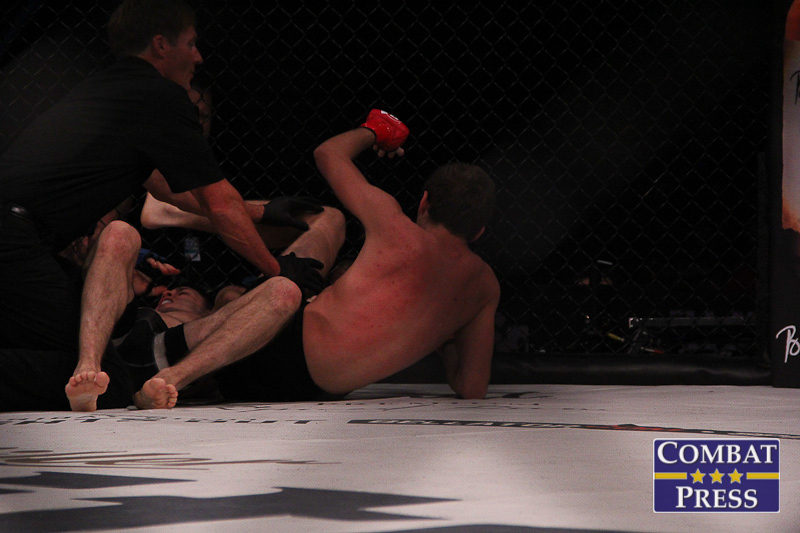 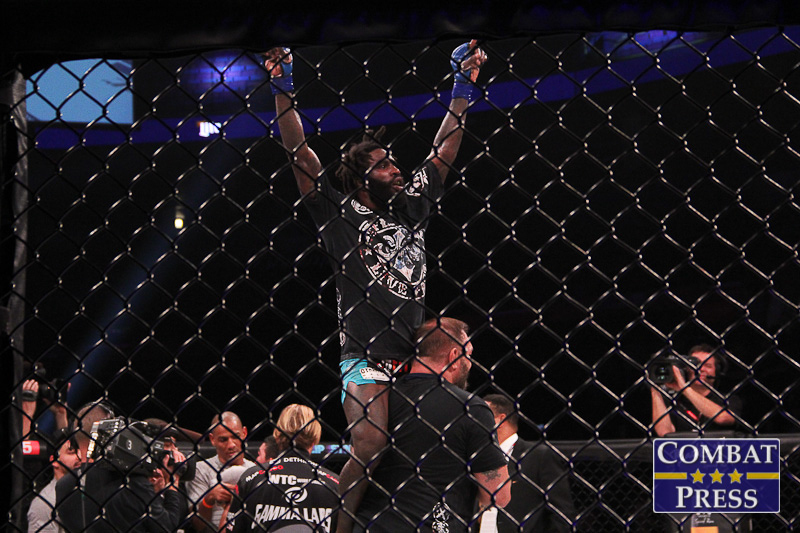 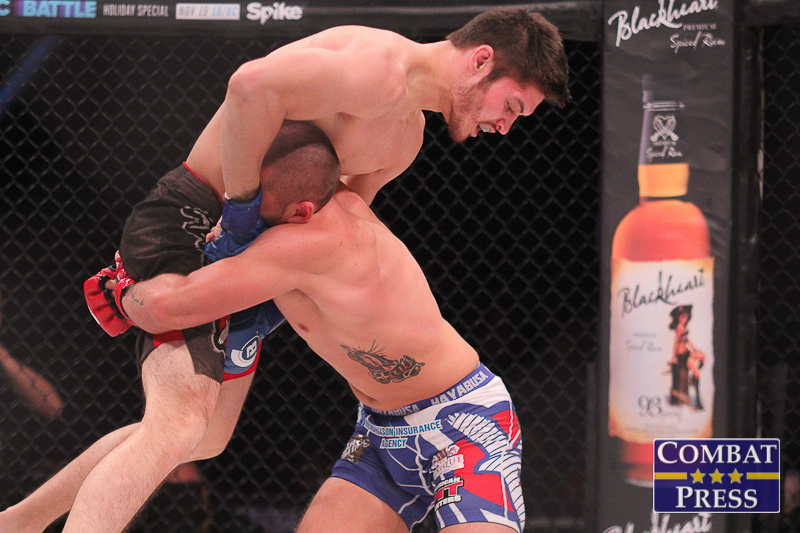 He was most recently in action against Dave Jansen in April, retaining his belt with a decision win. 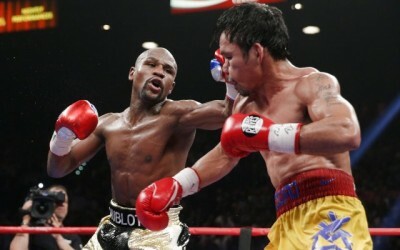 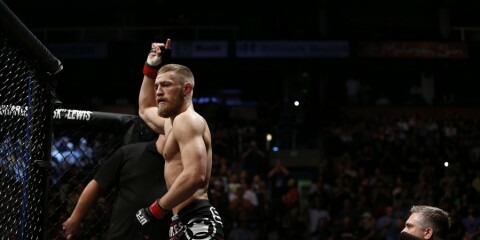 The 23-year-old Held rode a similar wave of momentum into the title affair, having won six straight bouts. 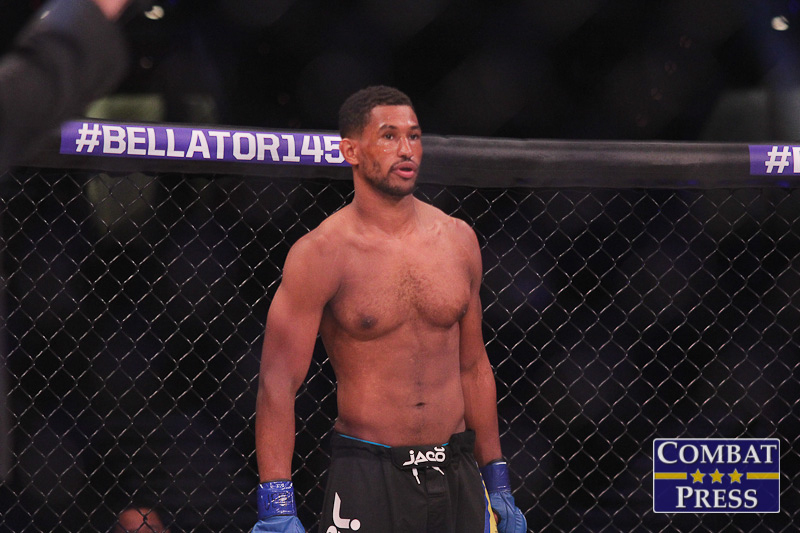 His only two losses since 2010 had come against the aforementioned Chandler and Jansen.